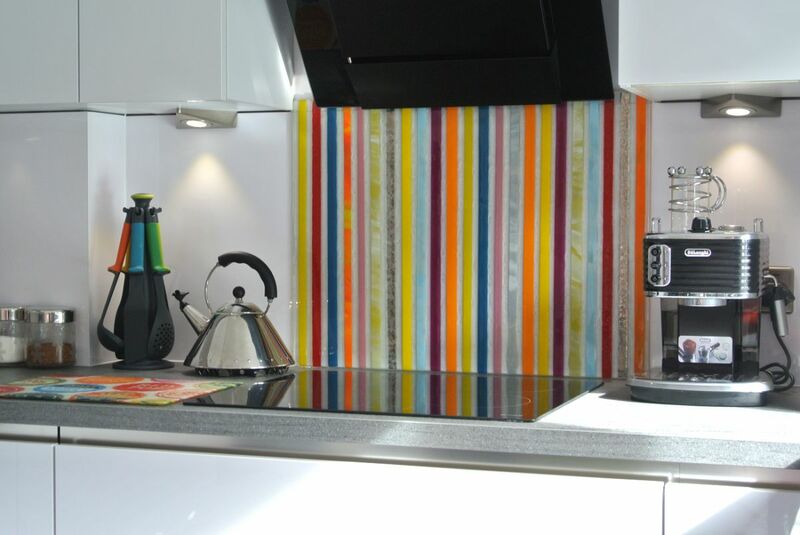 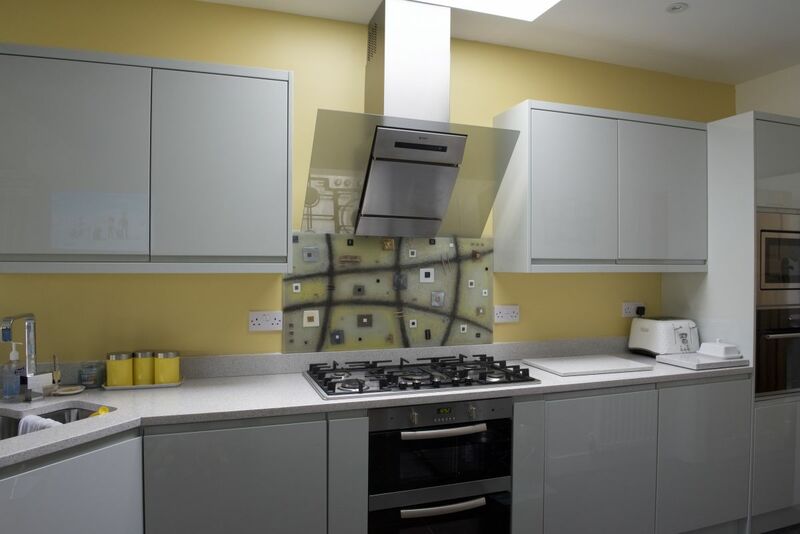 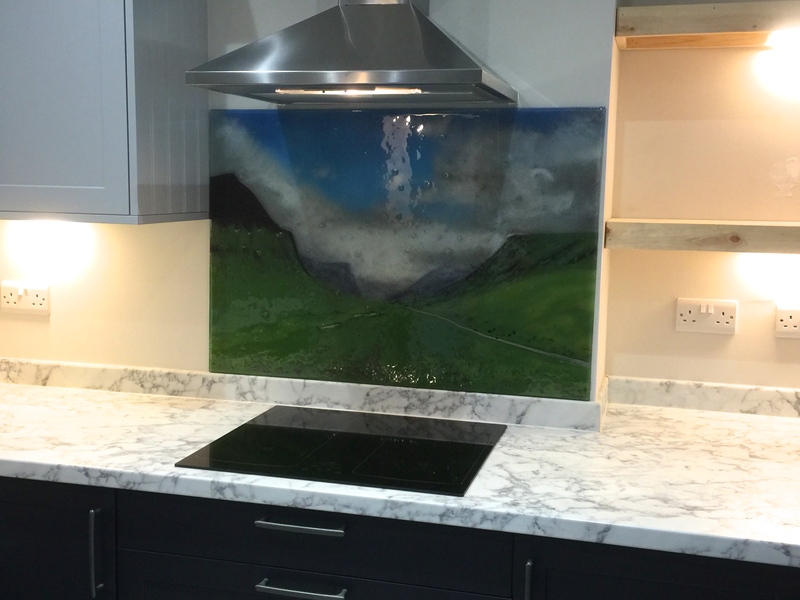 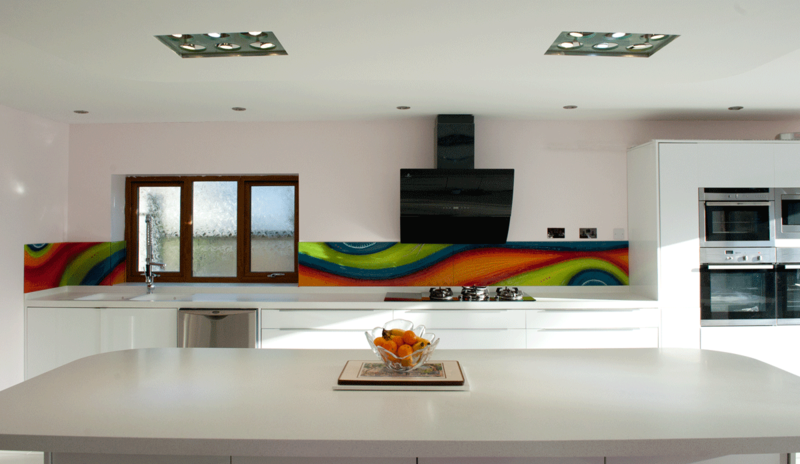 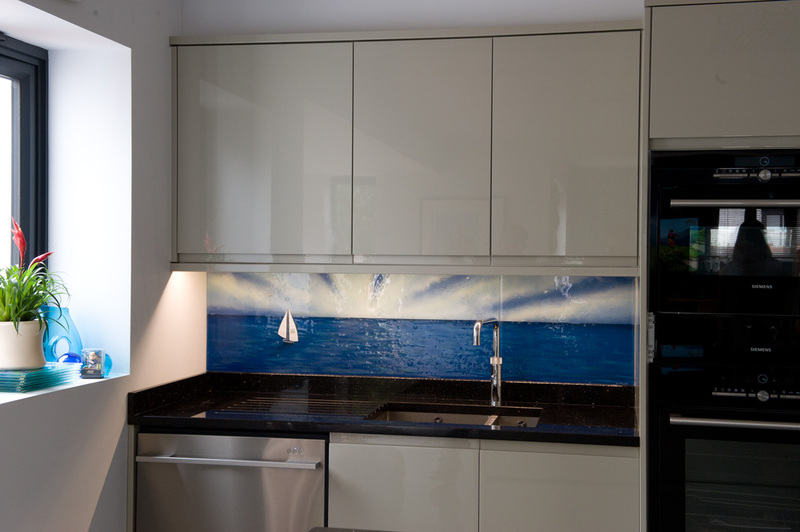 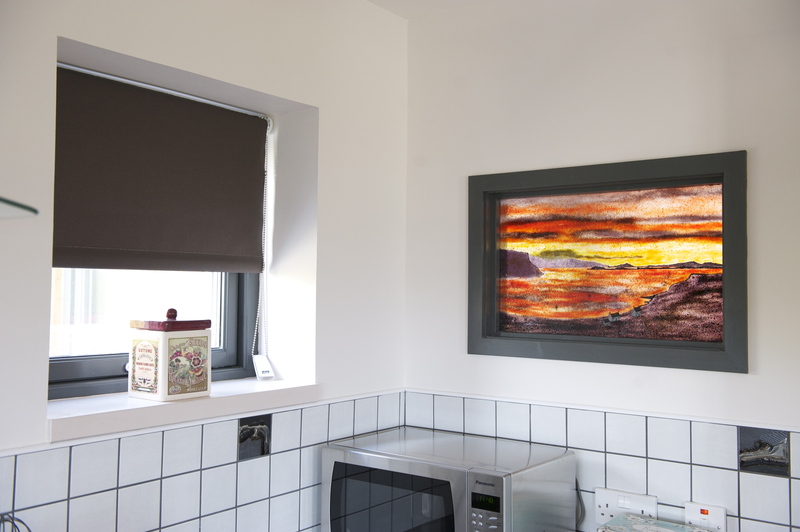 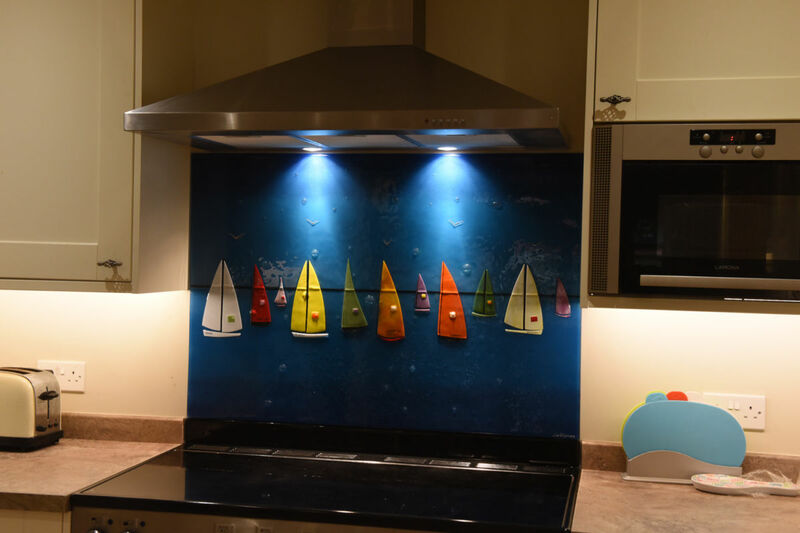 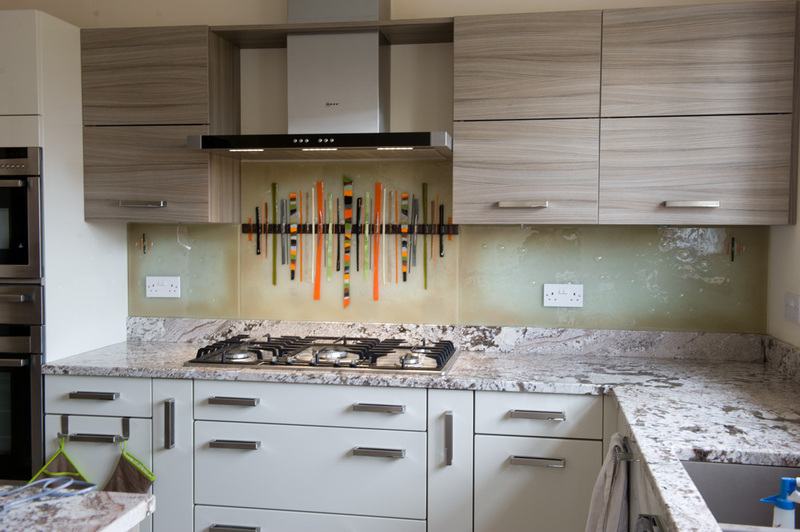 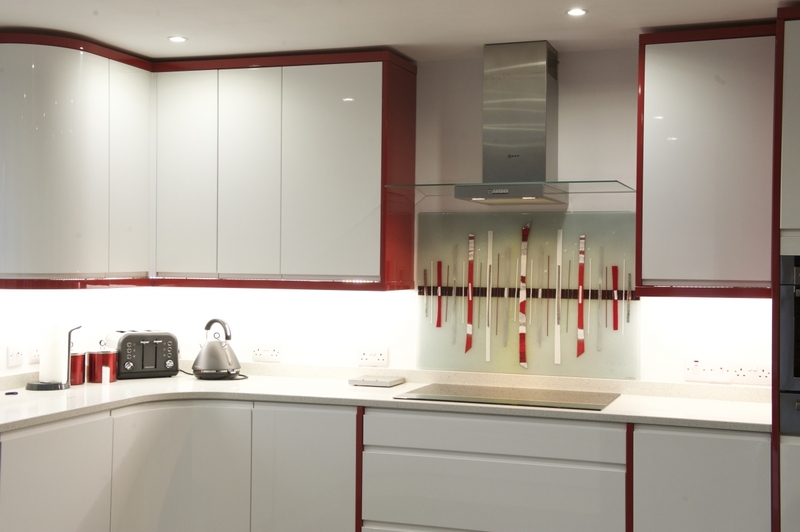 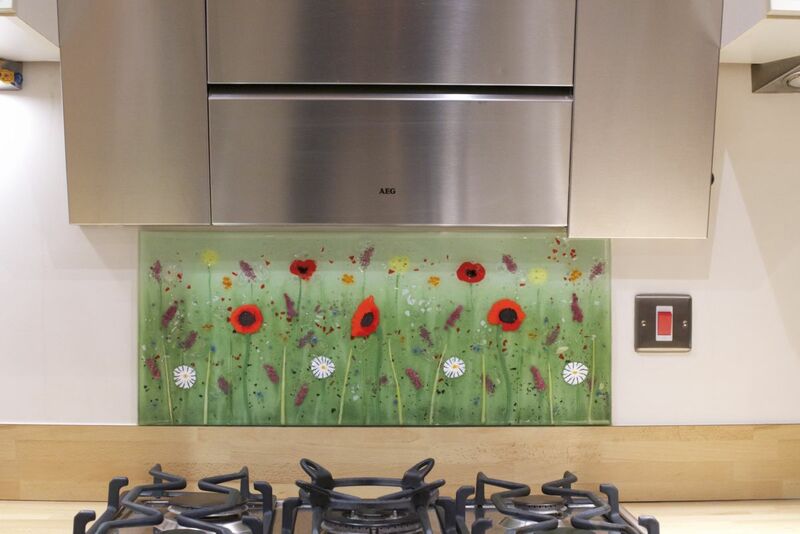 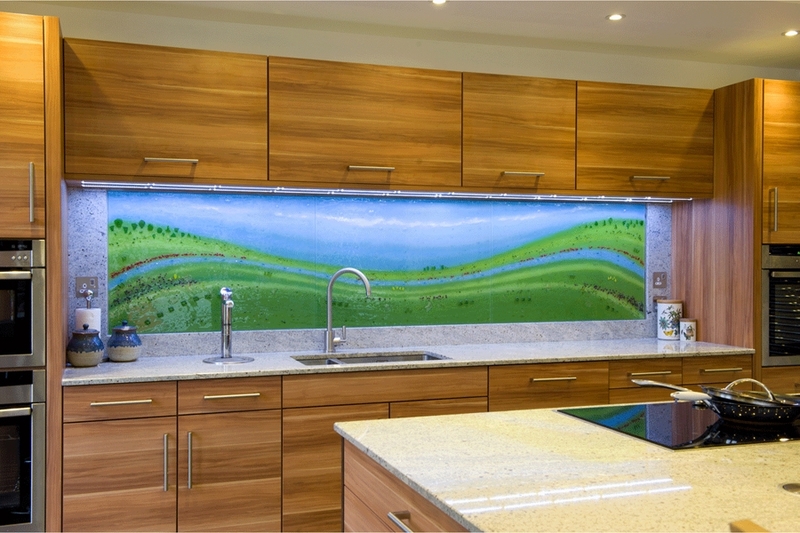 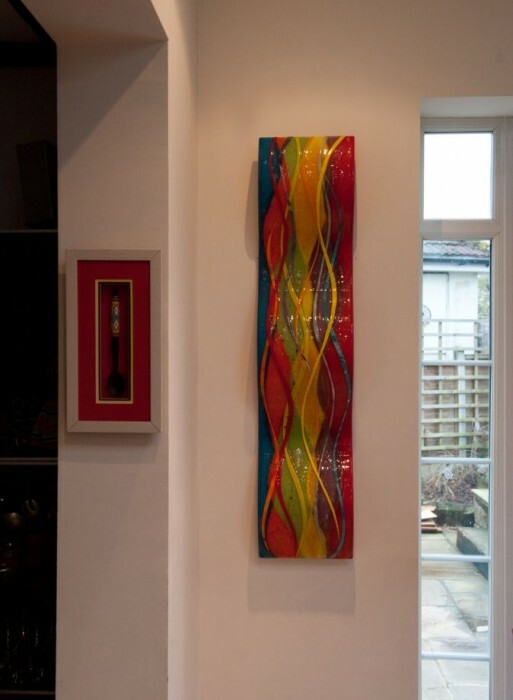 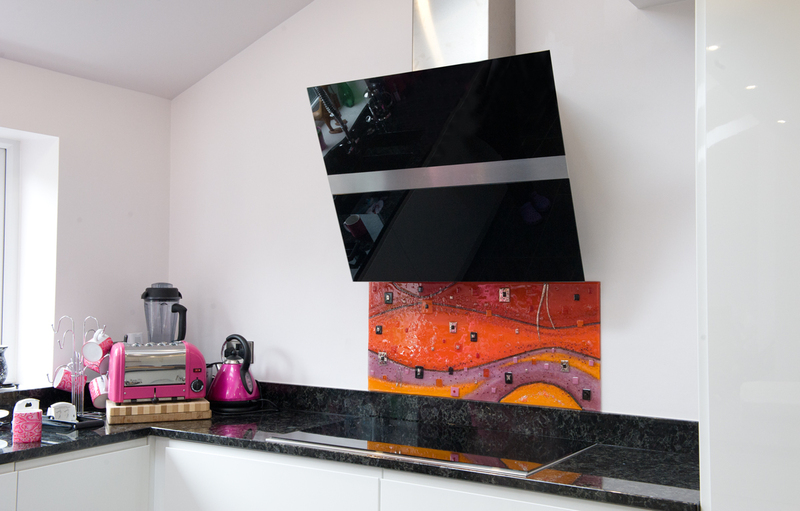 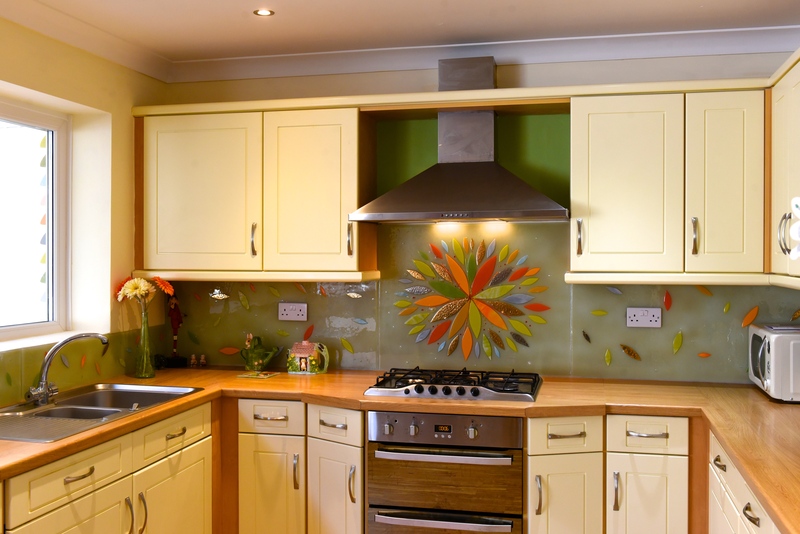 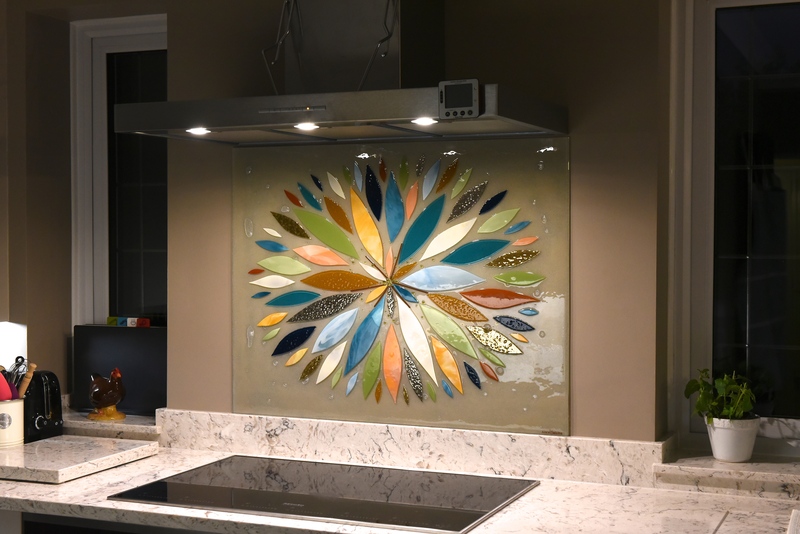 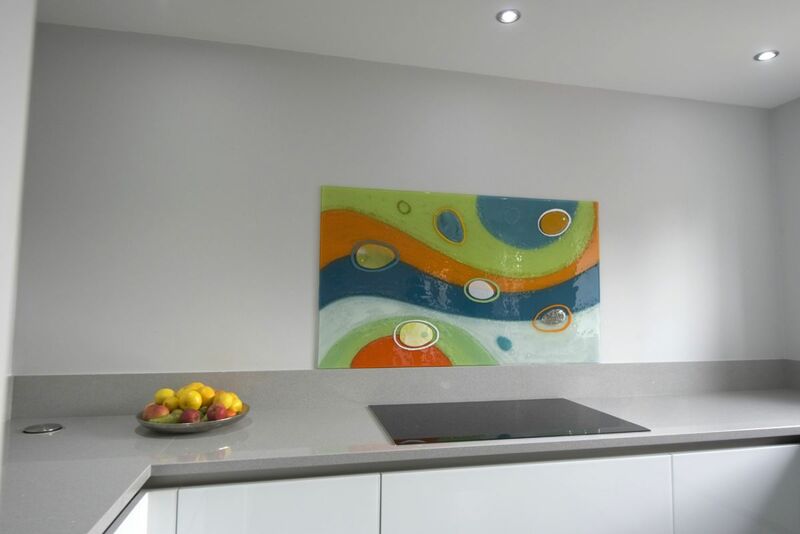 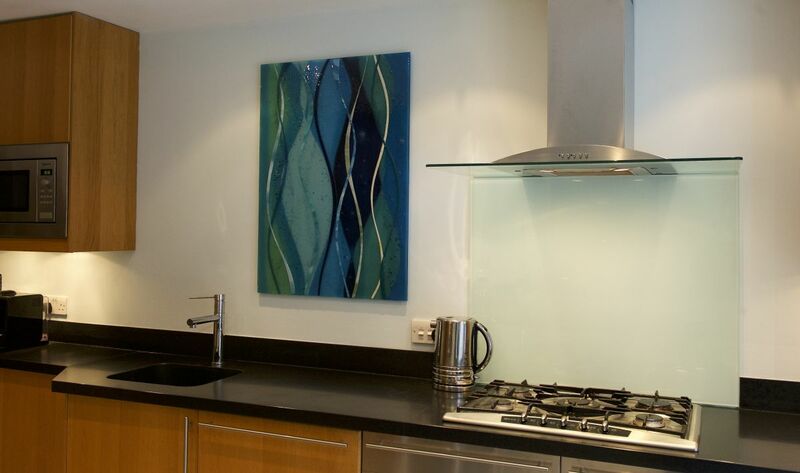 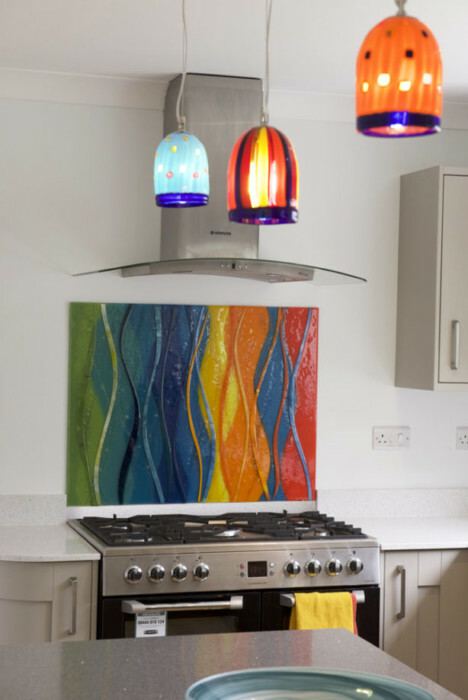 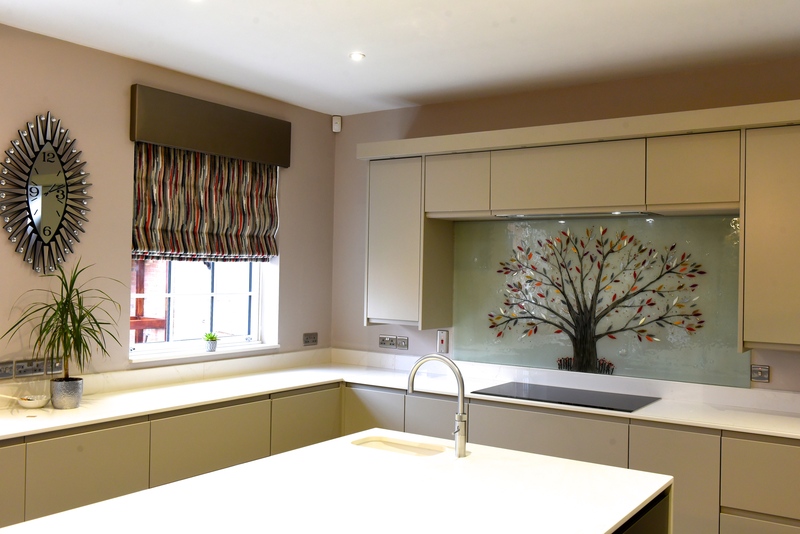 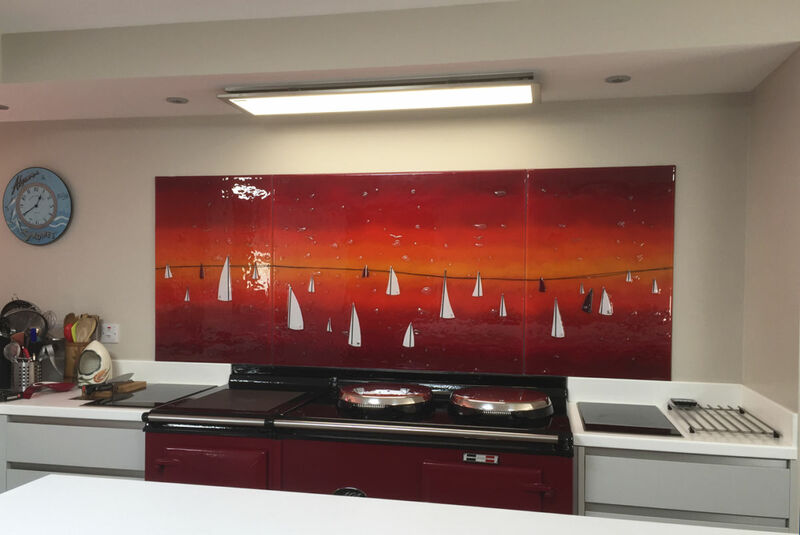 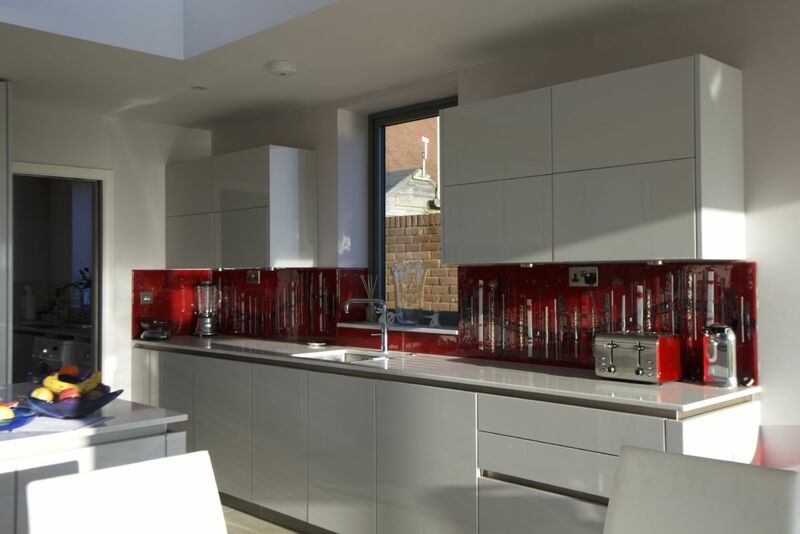 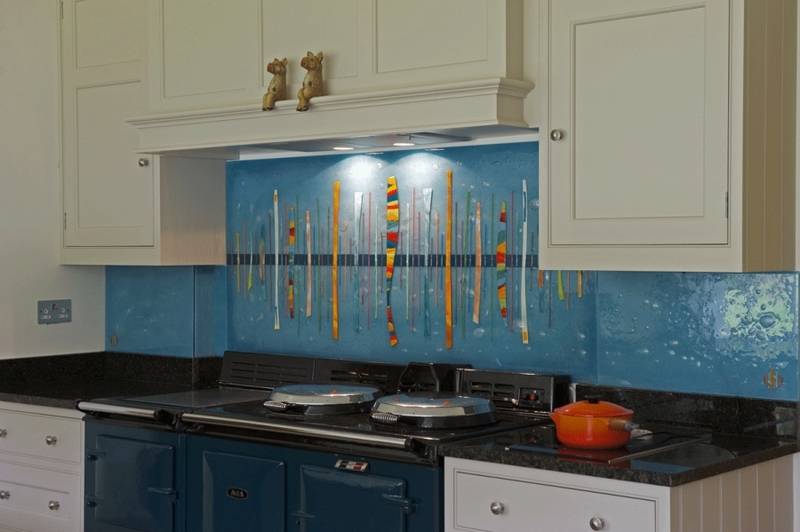 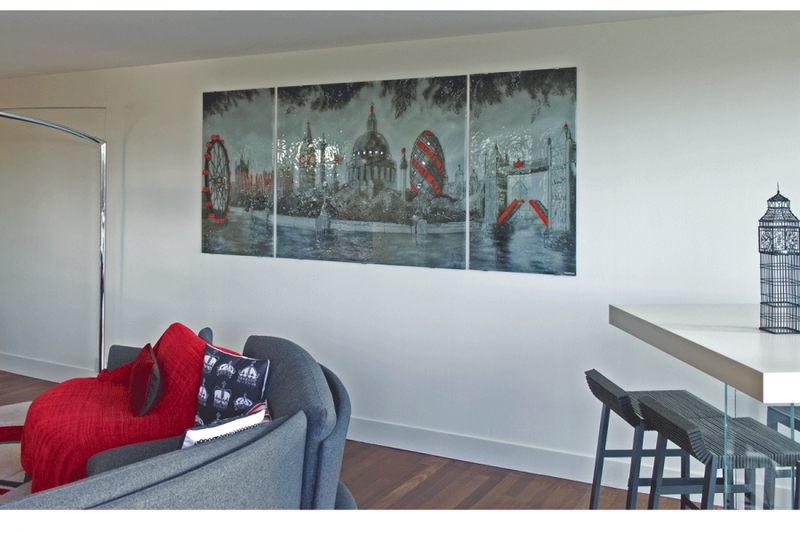 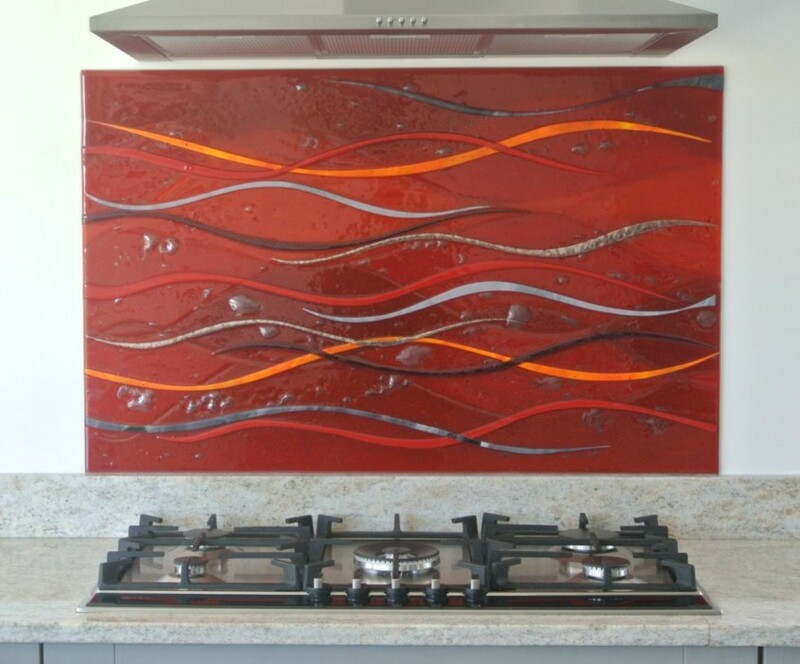 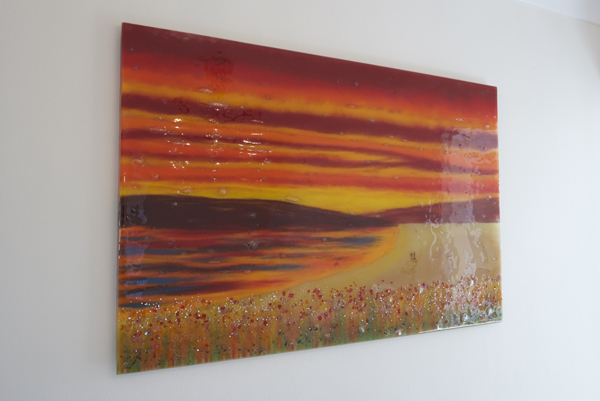 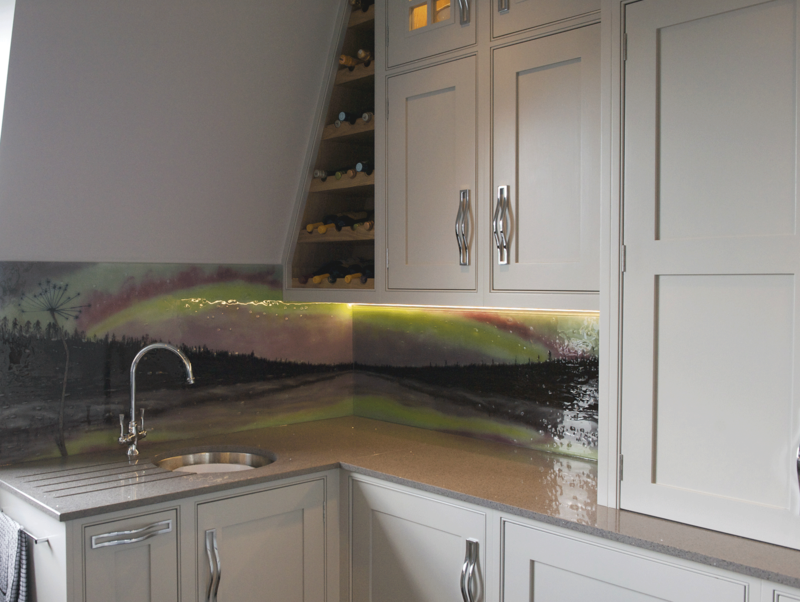 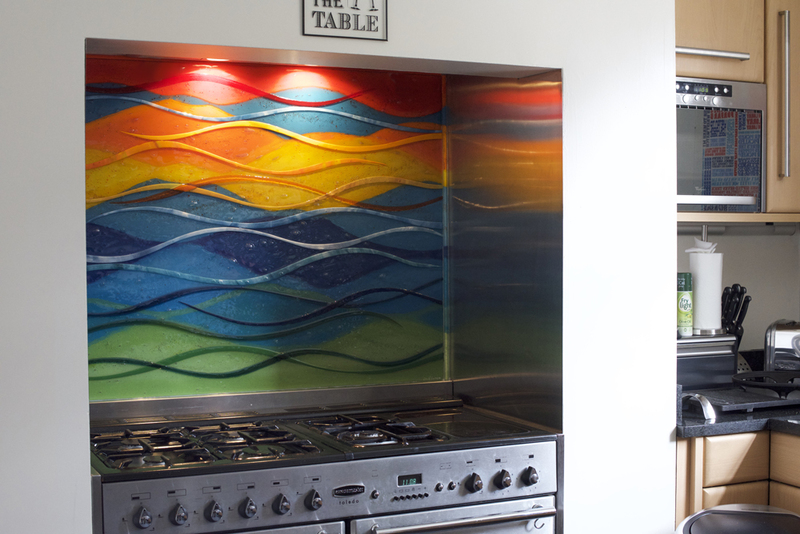 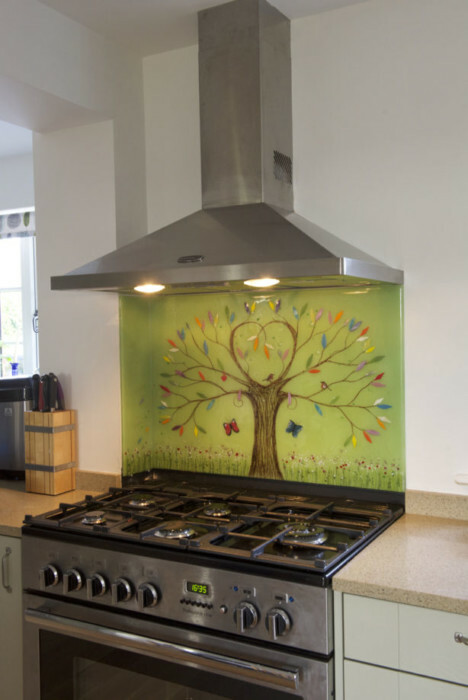 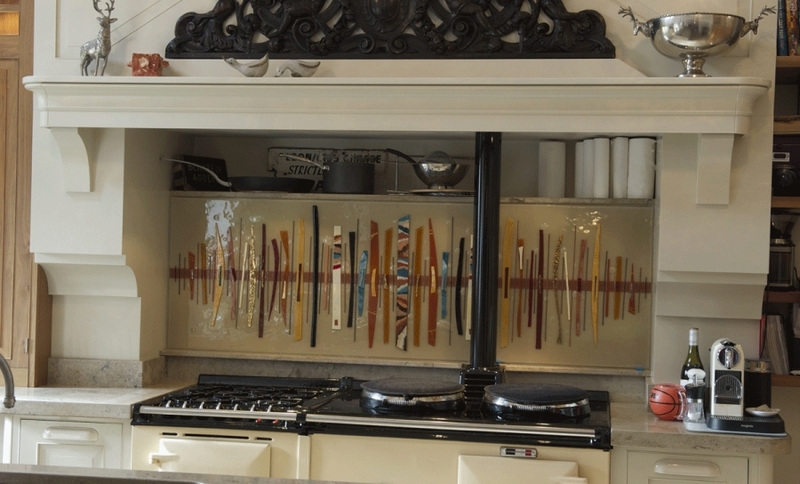 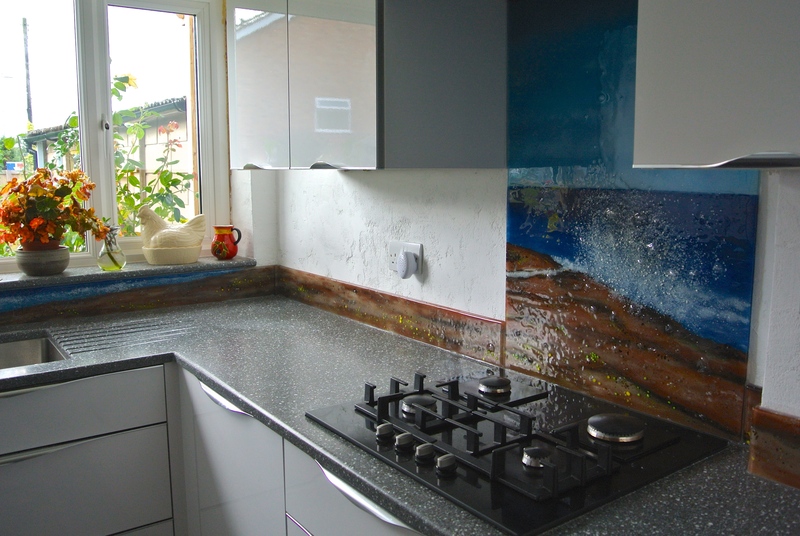 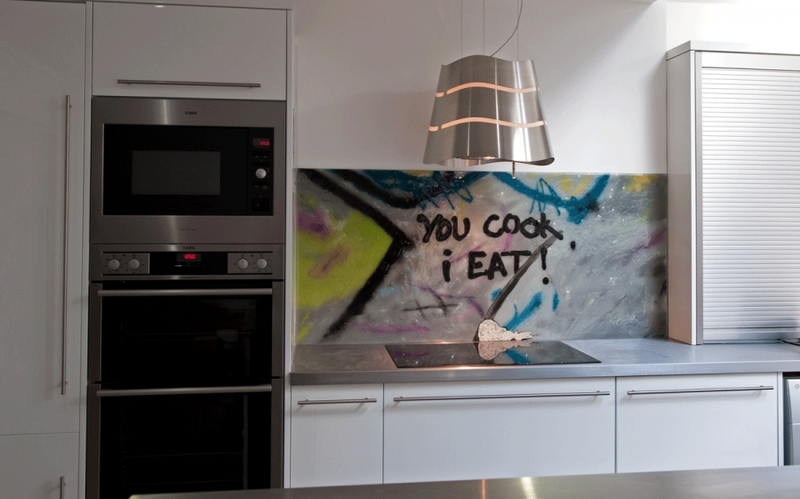 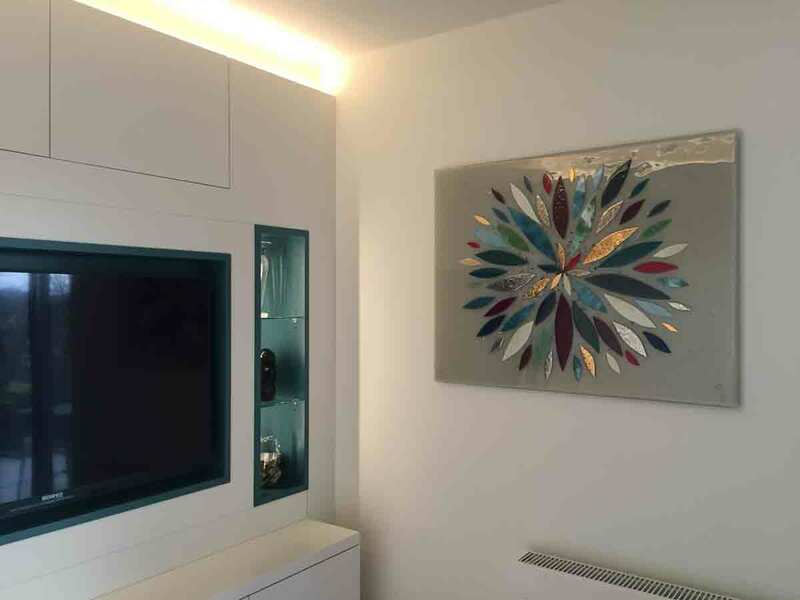 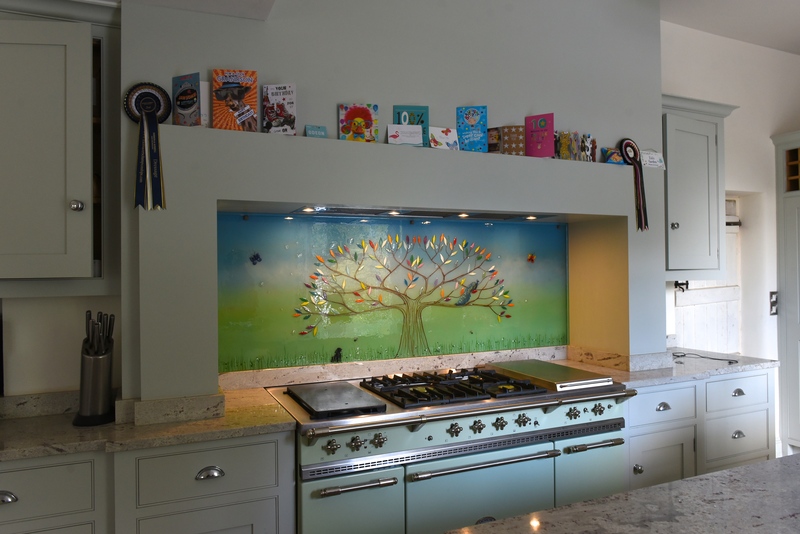 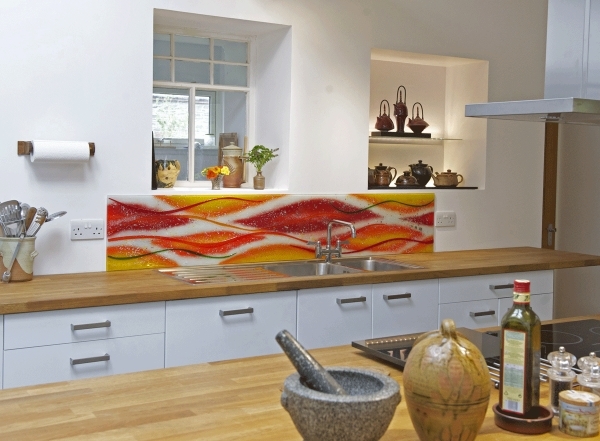 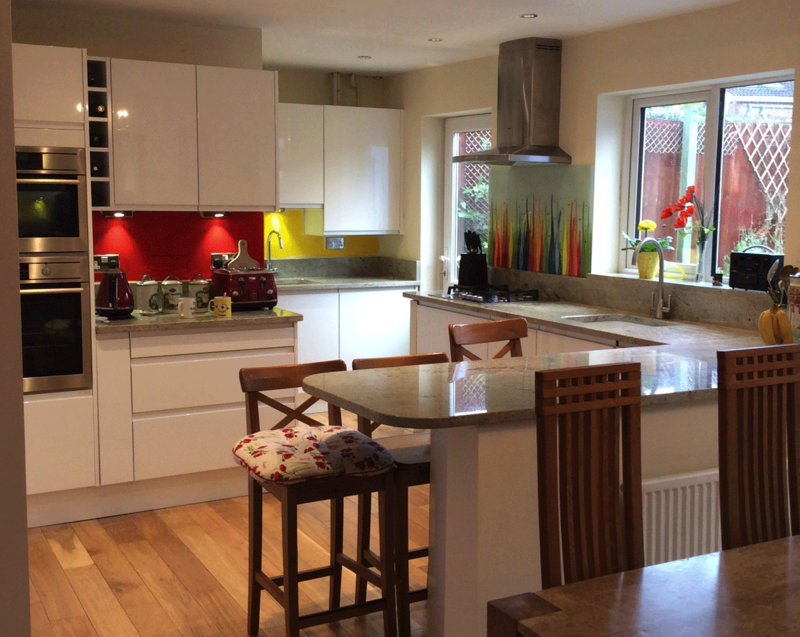 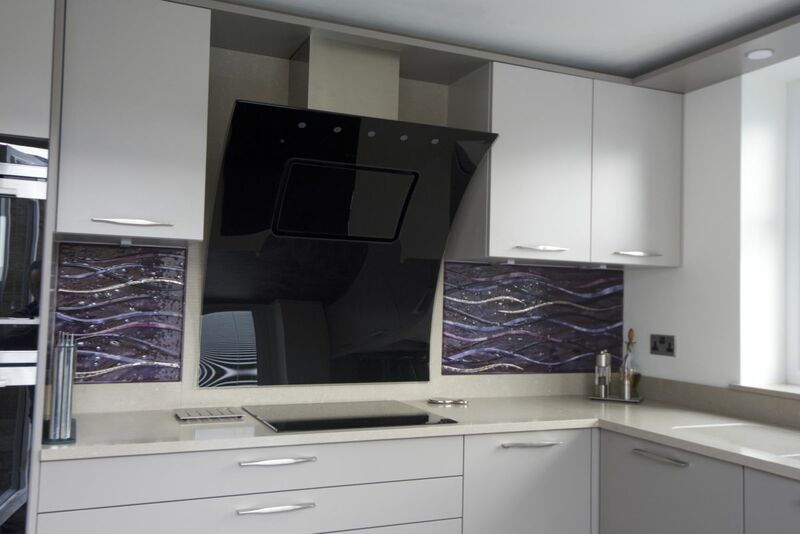 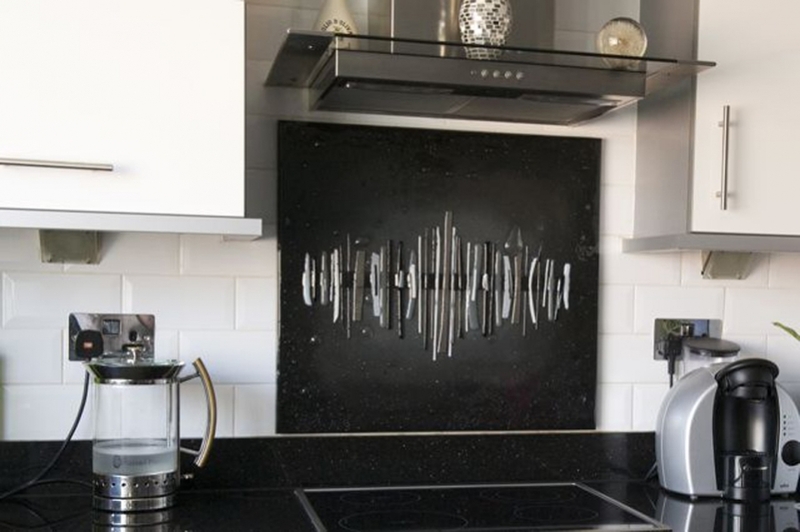 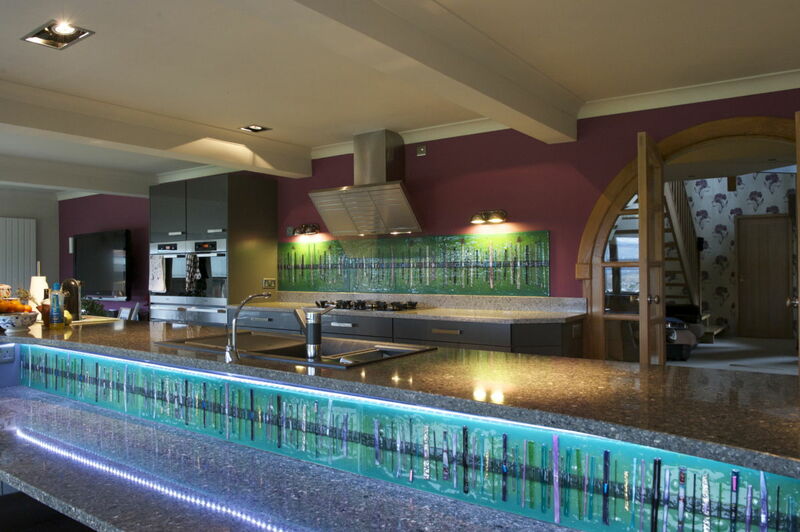 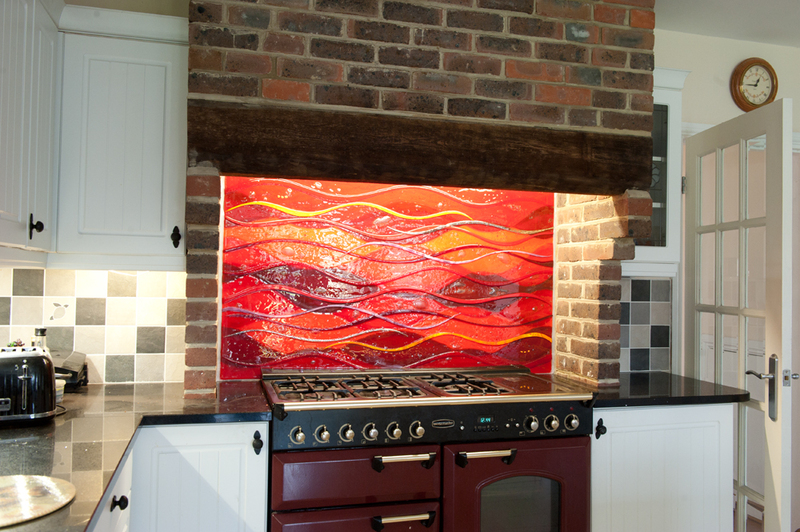 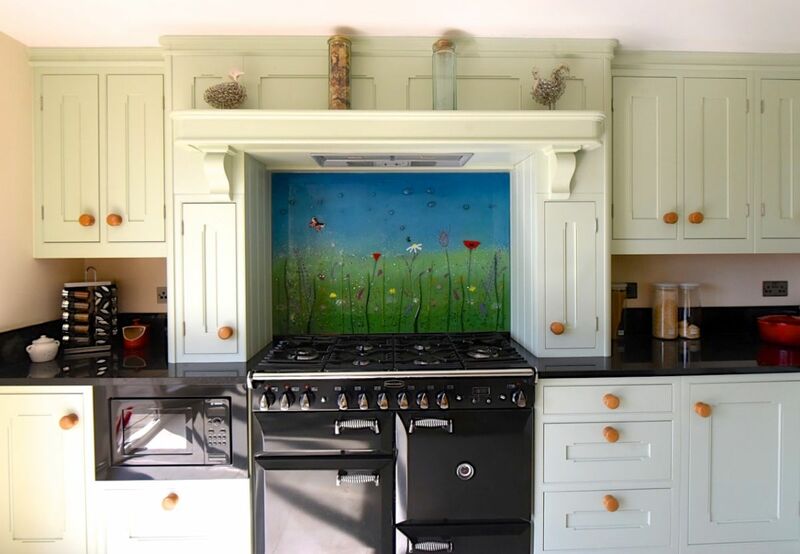 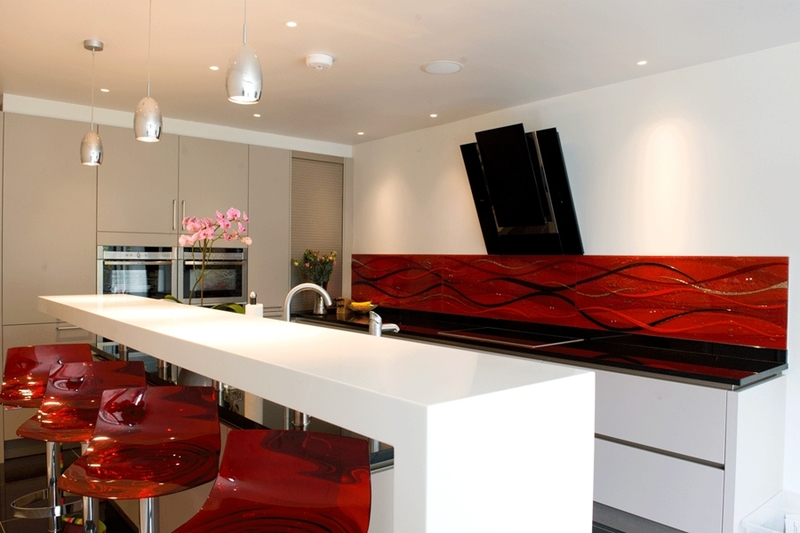 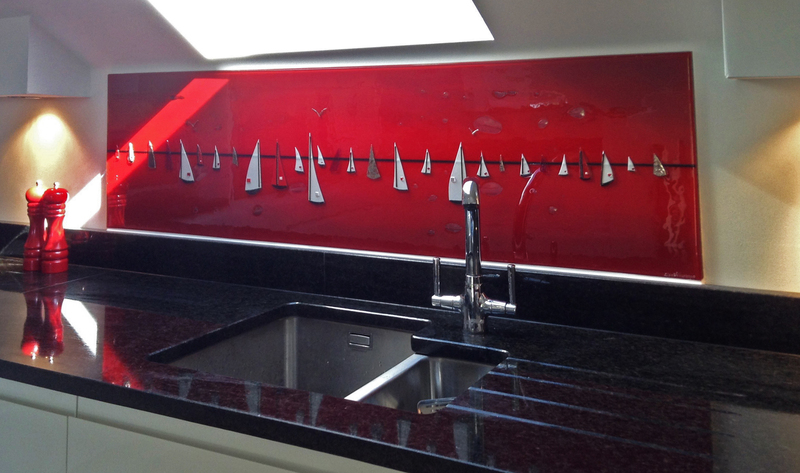 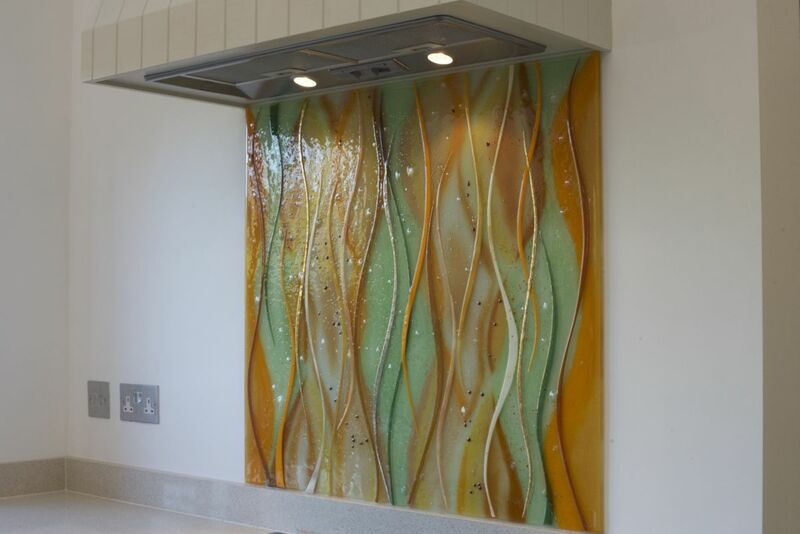 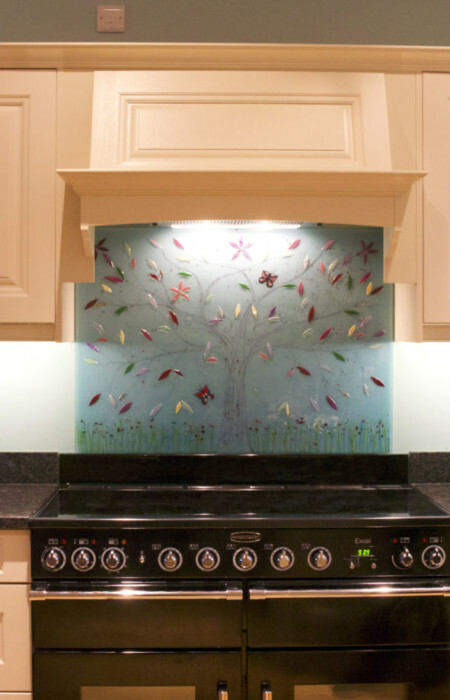 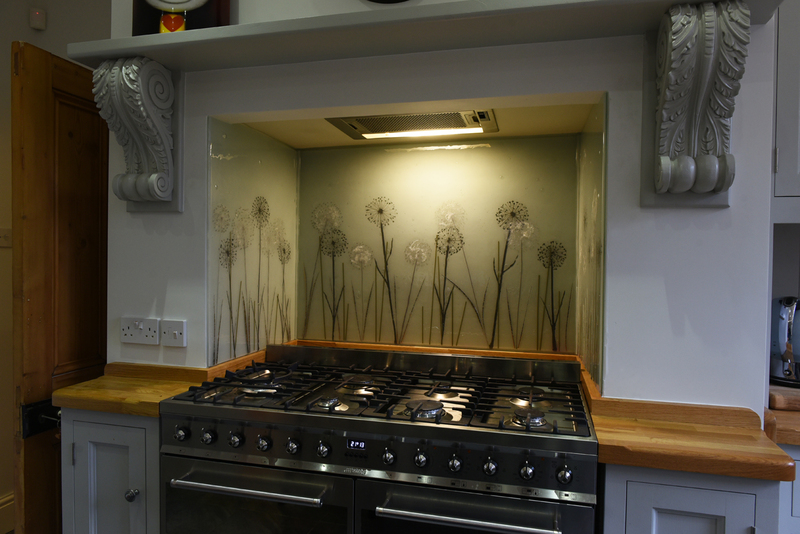 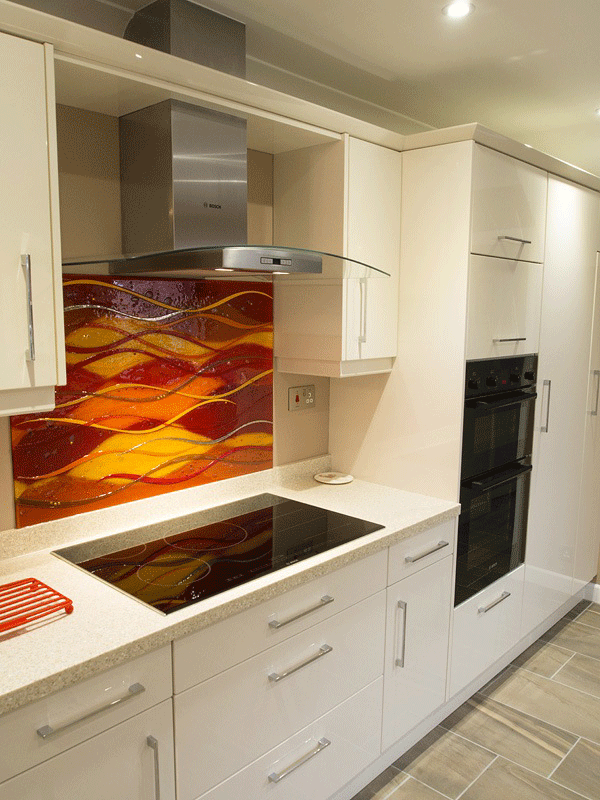 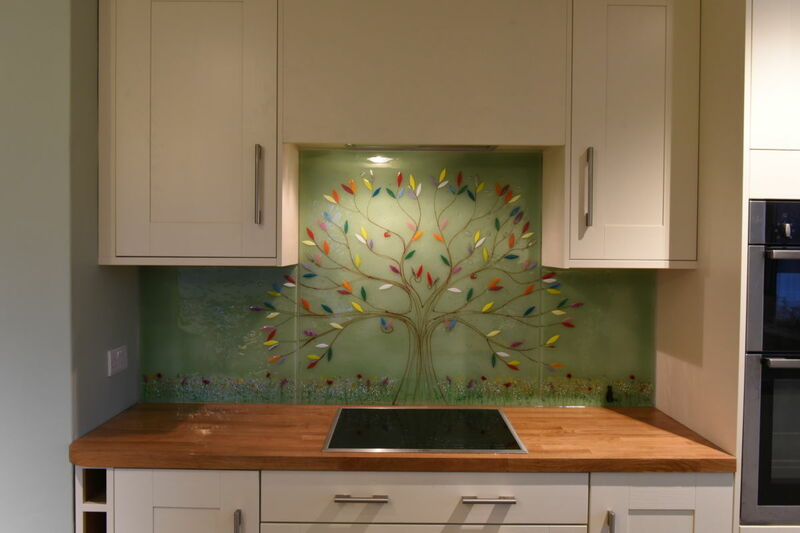 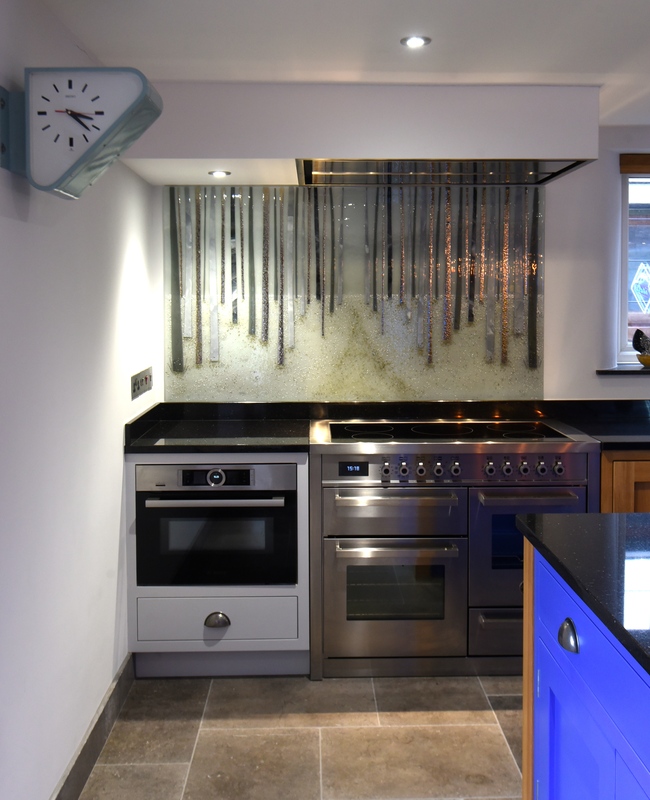 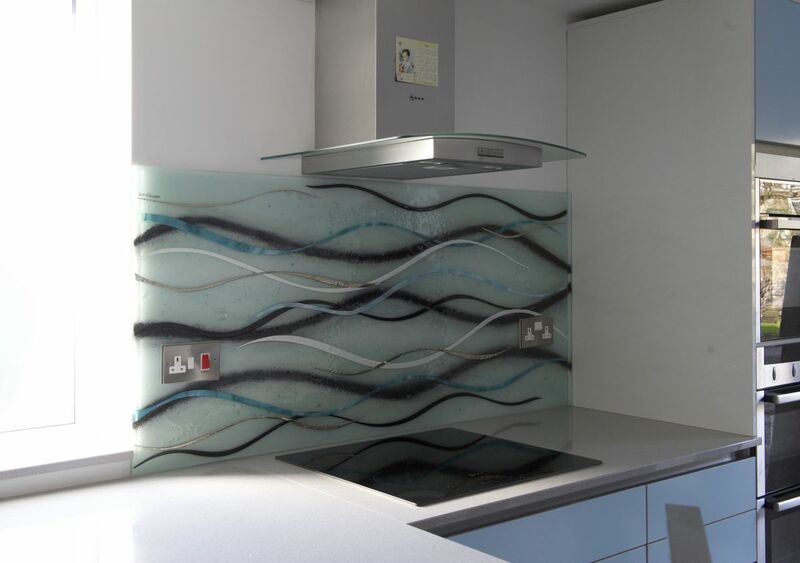 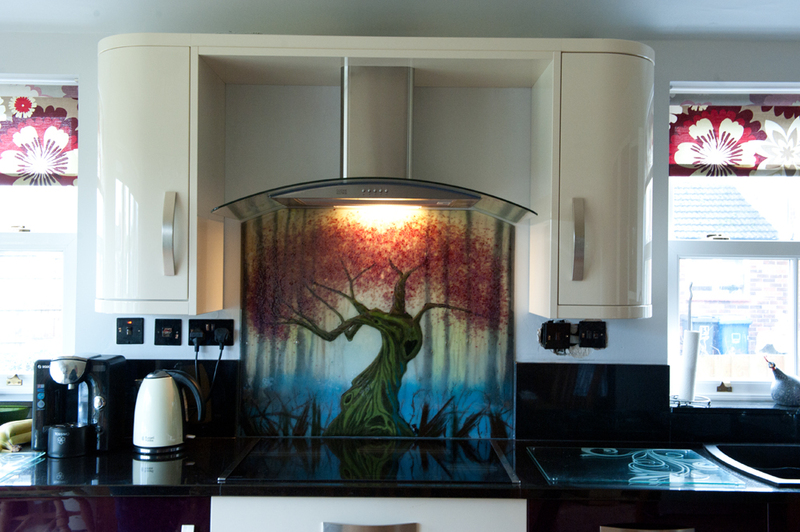 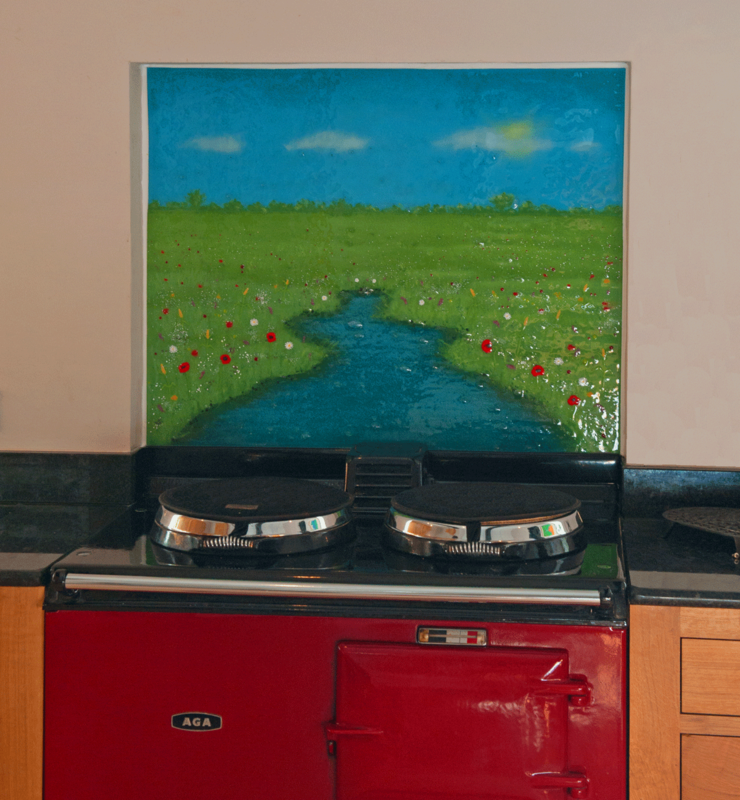 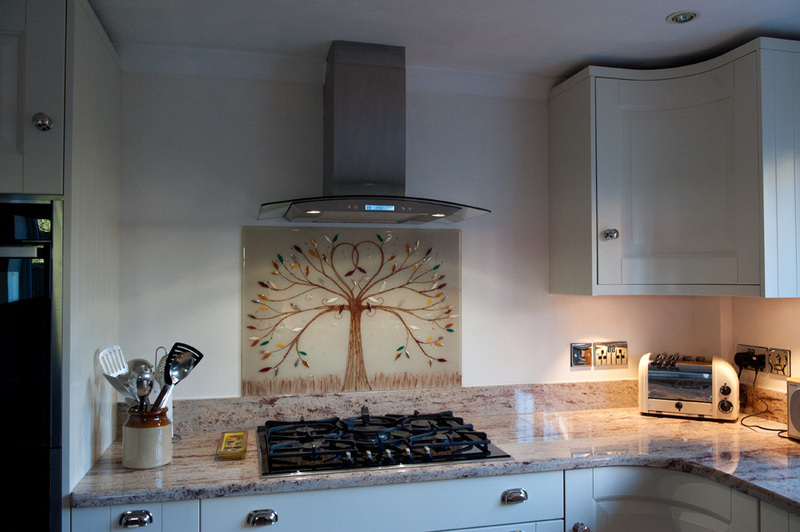 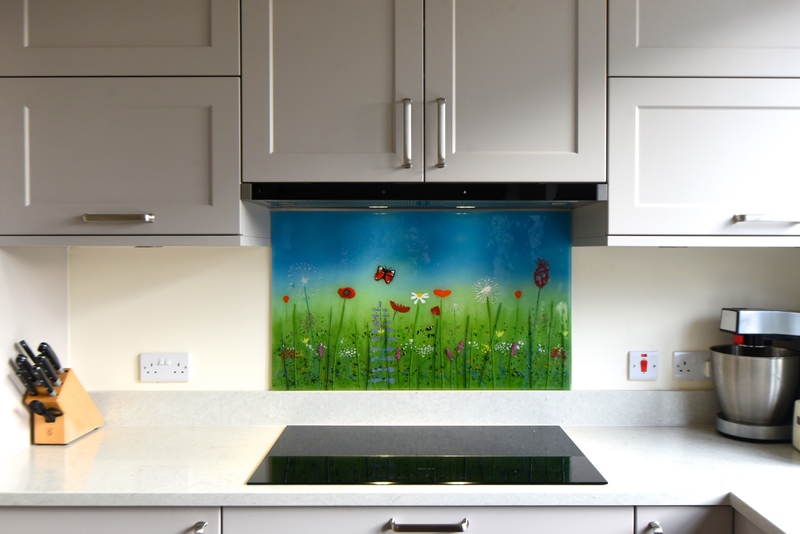 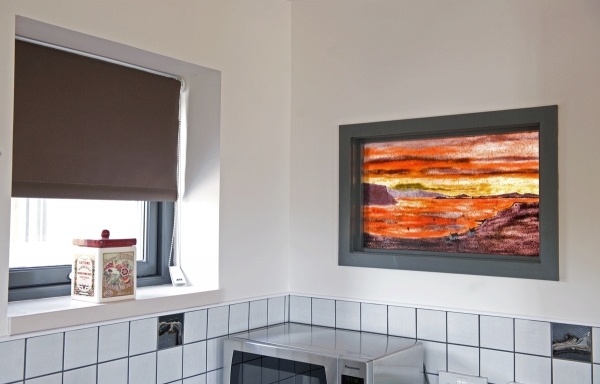 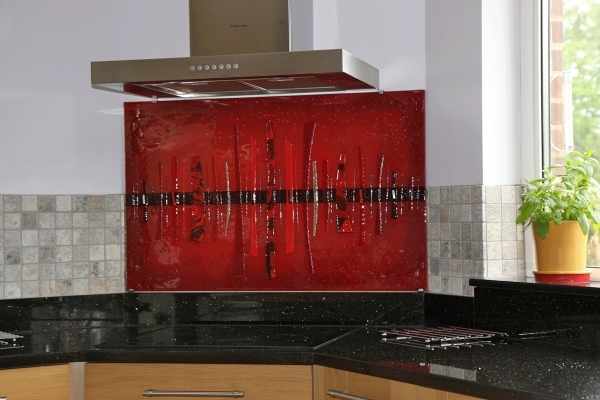 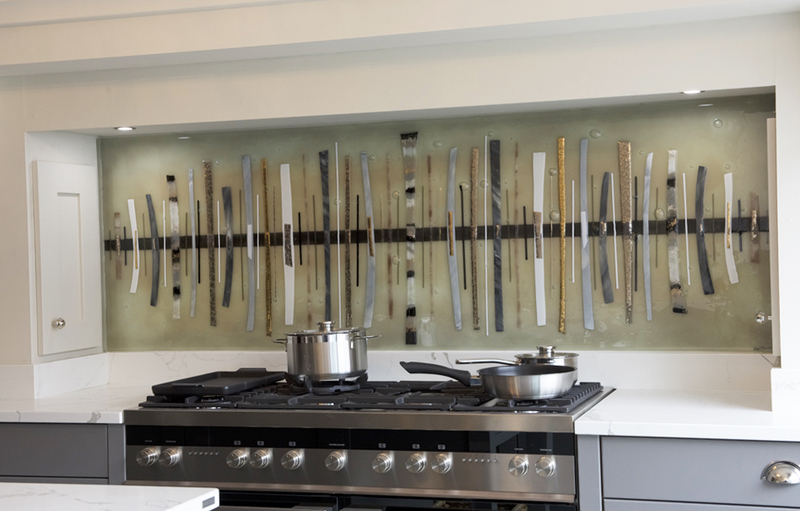 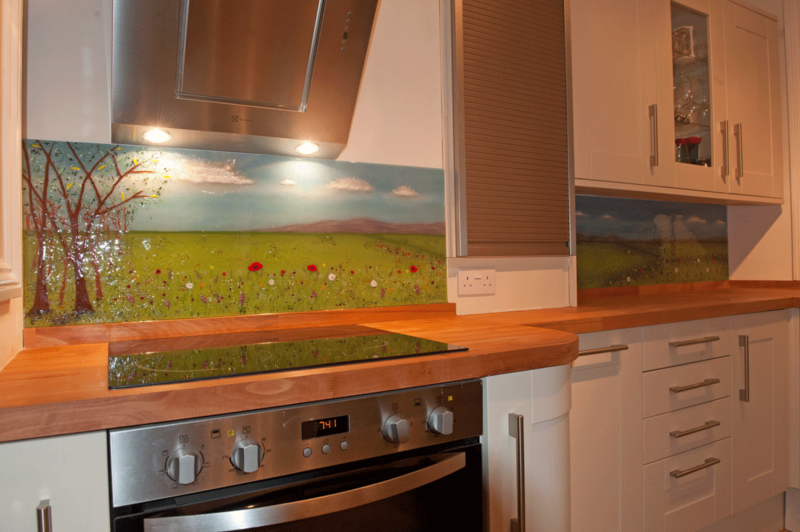 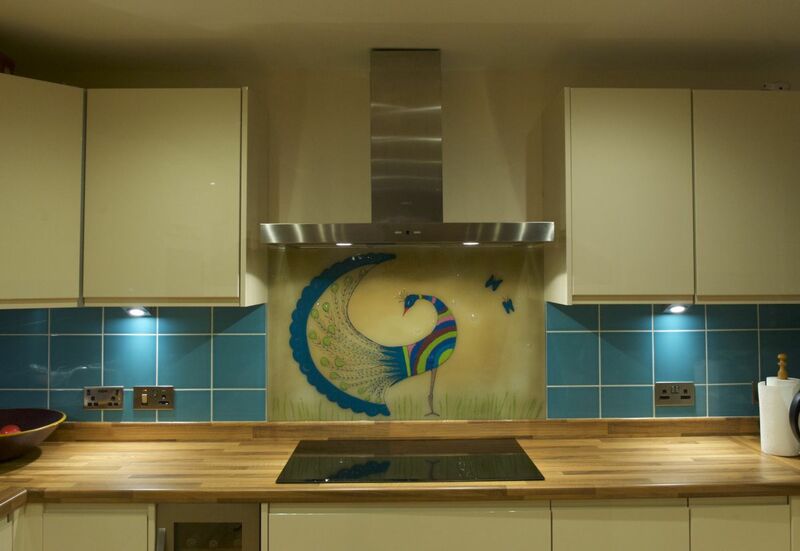 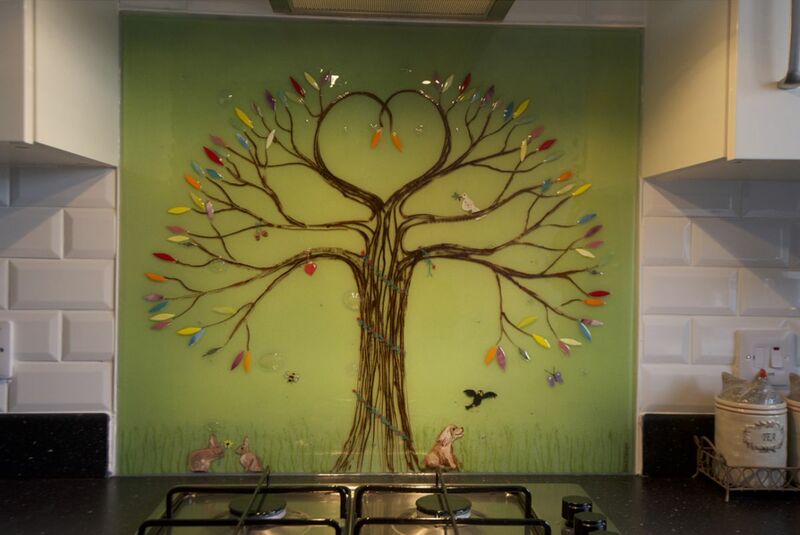 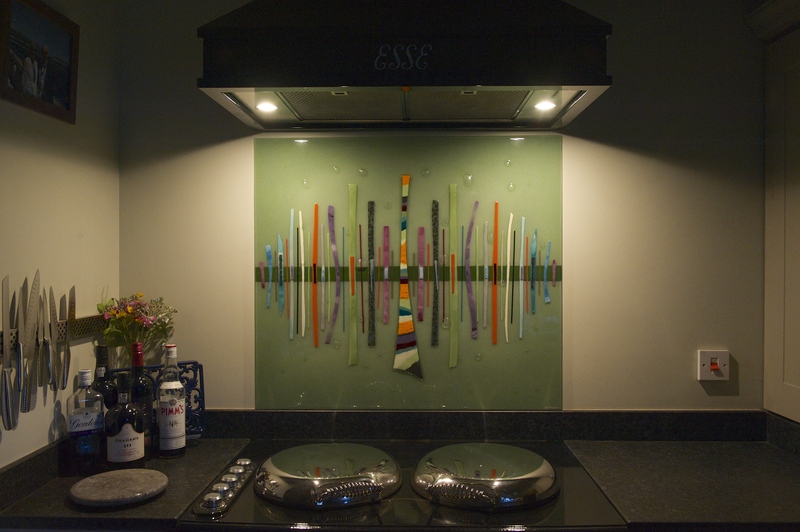 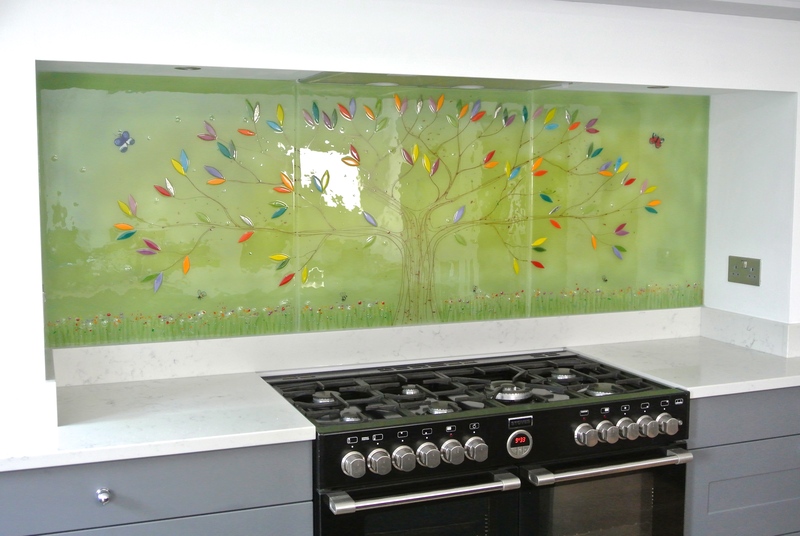 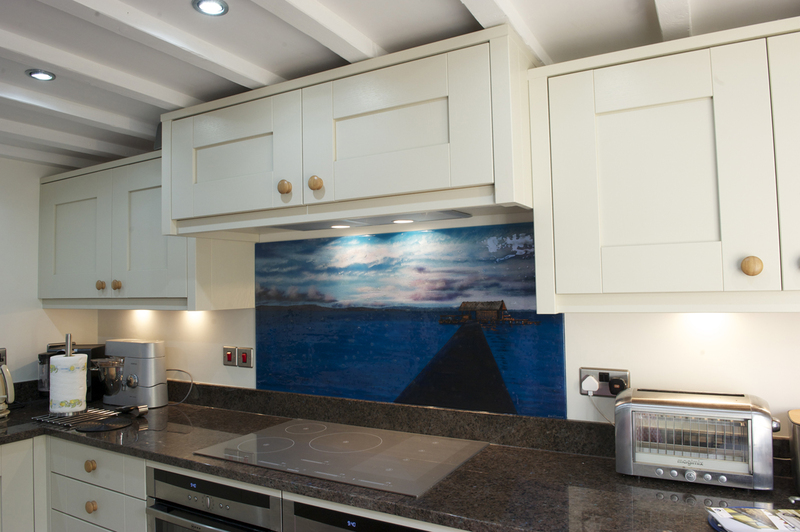 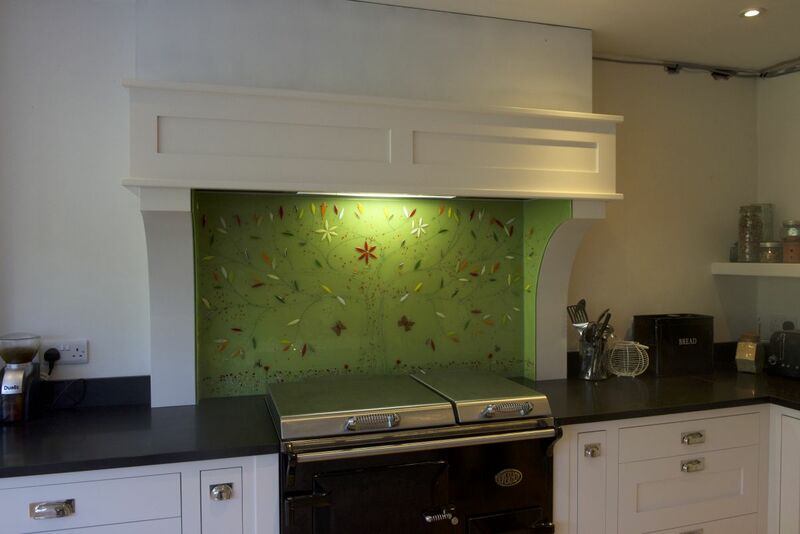 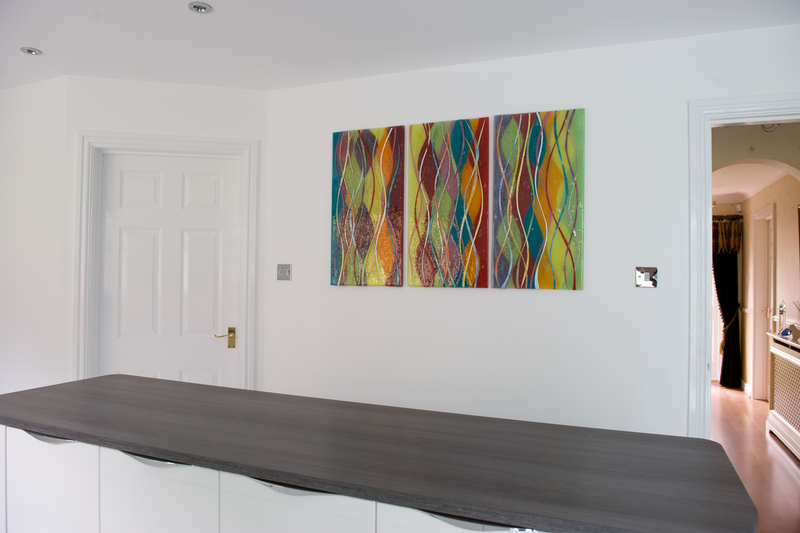 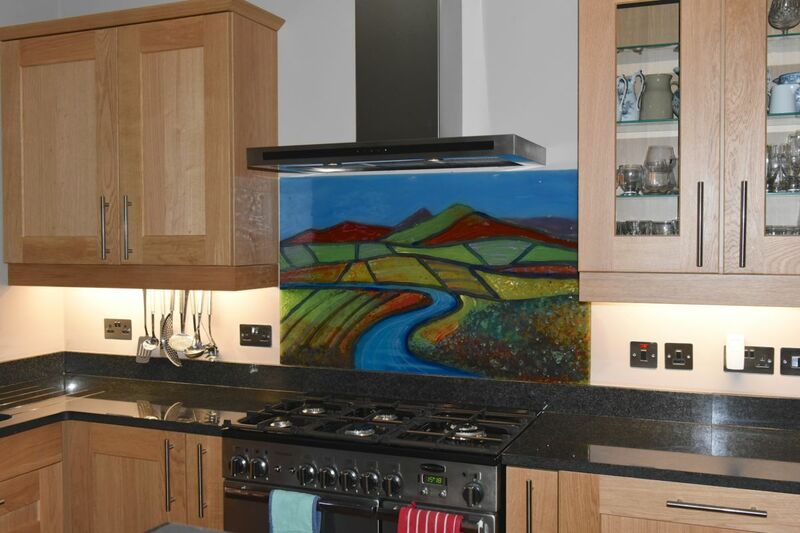 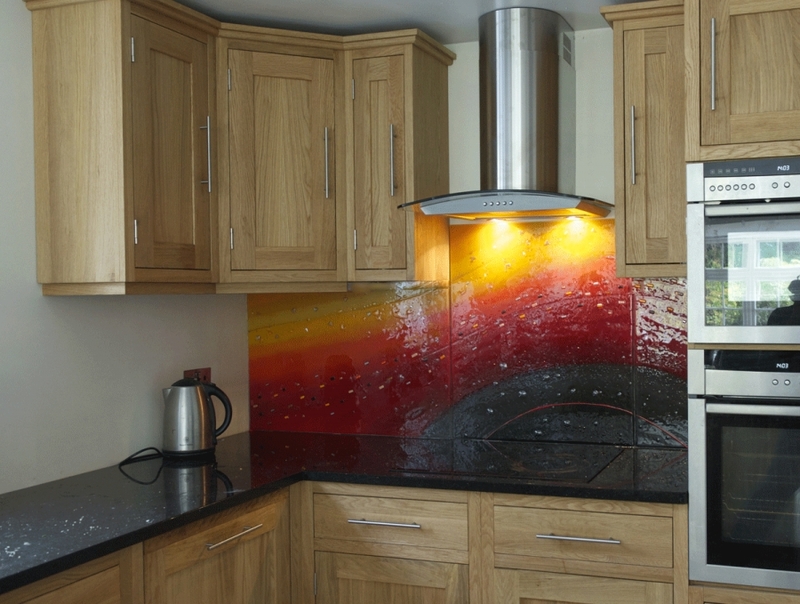 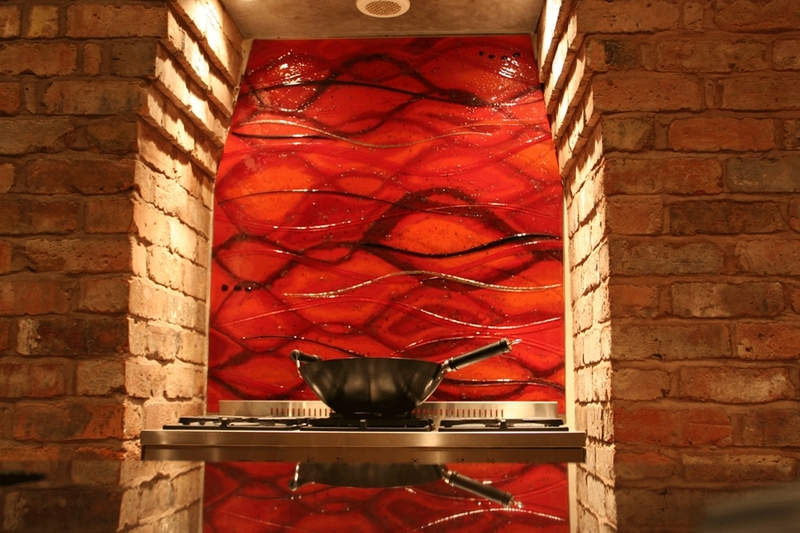 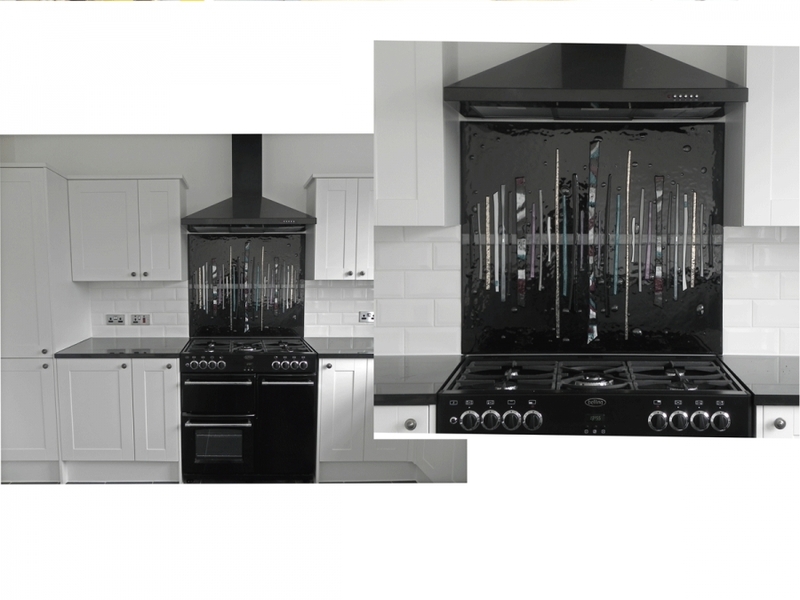 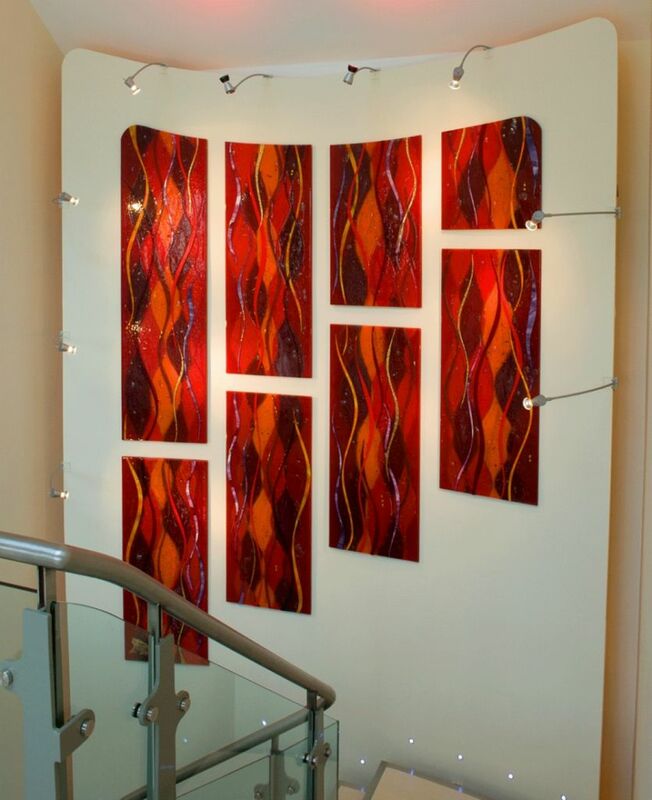 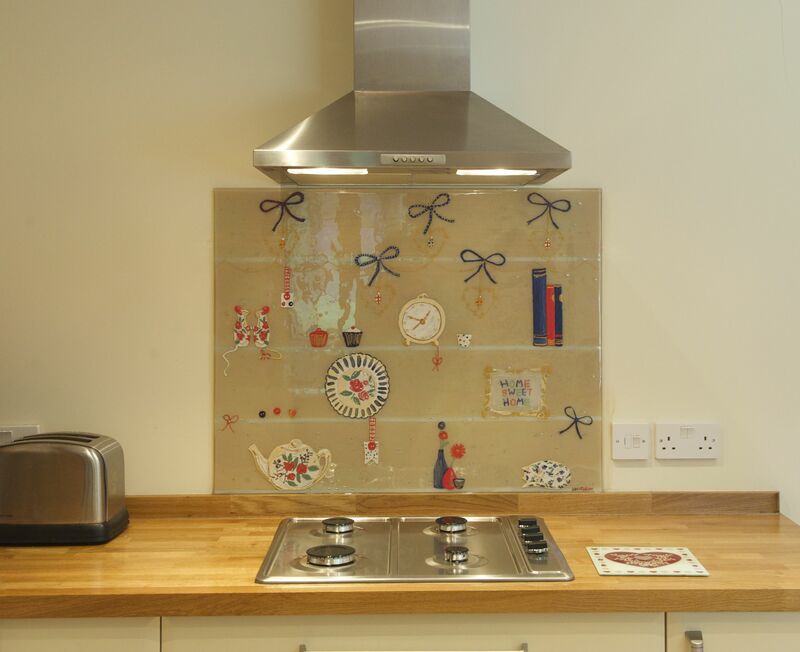 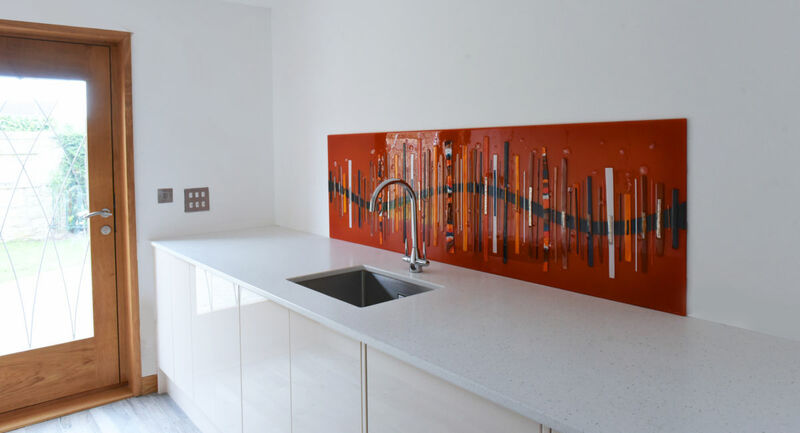 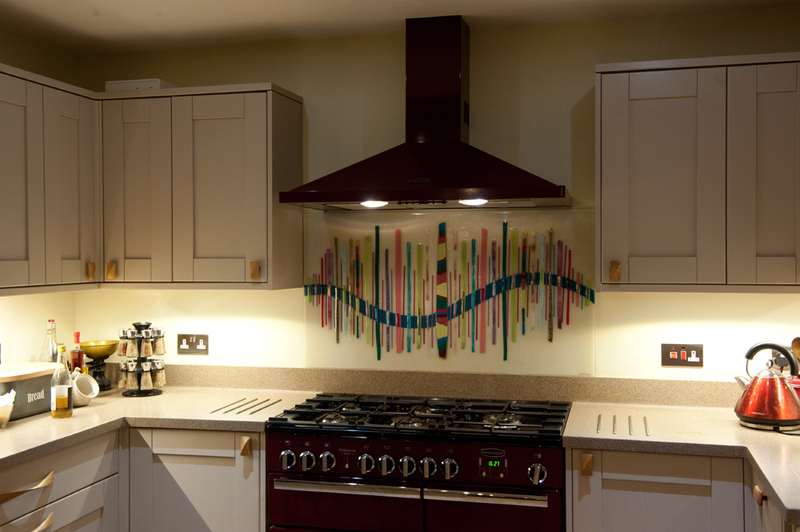 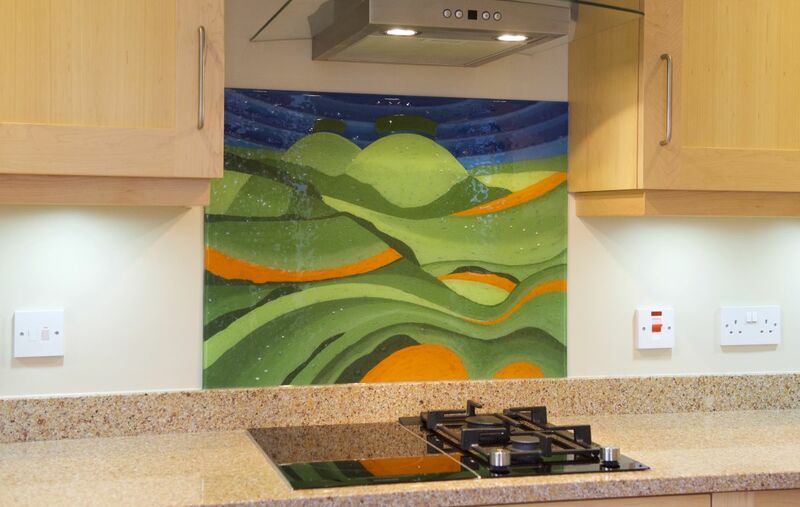 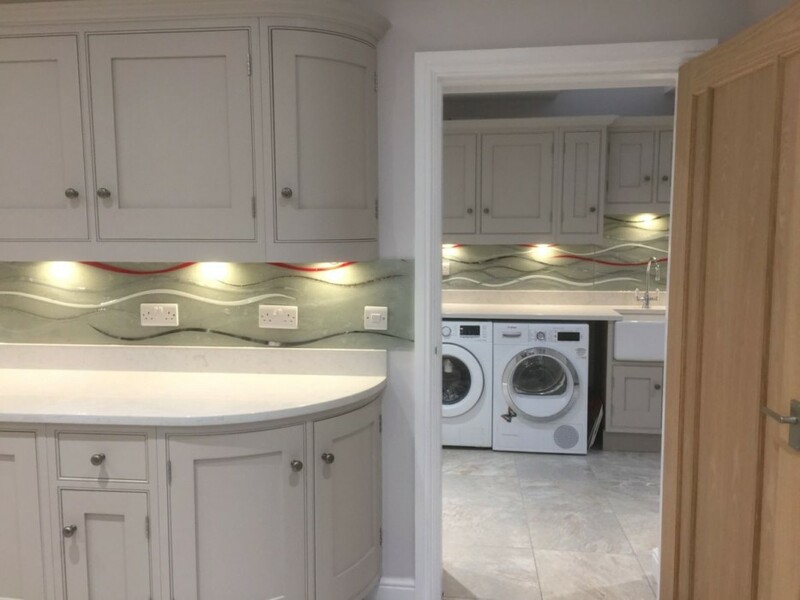 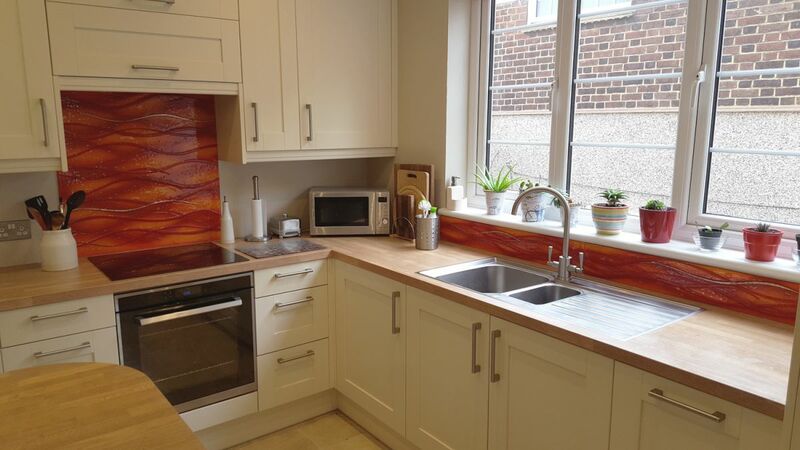 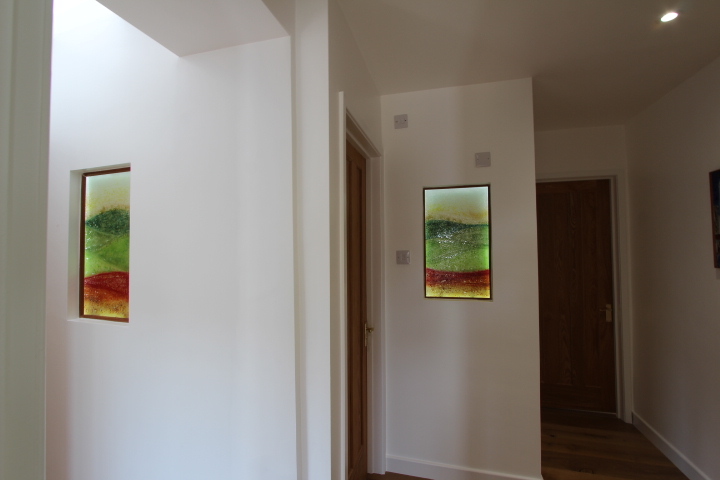 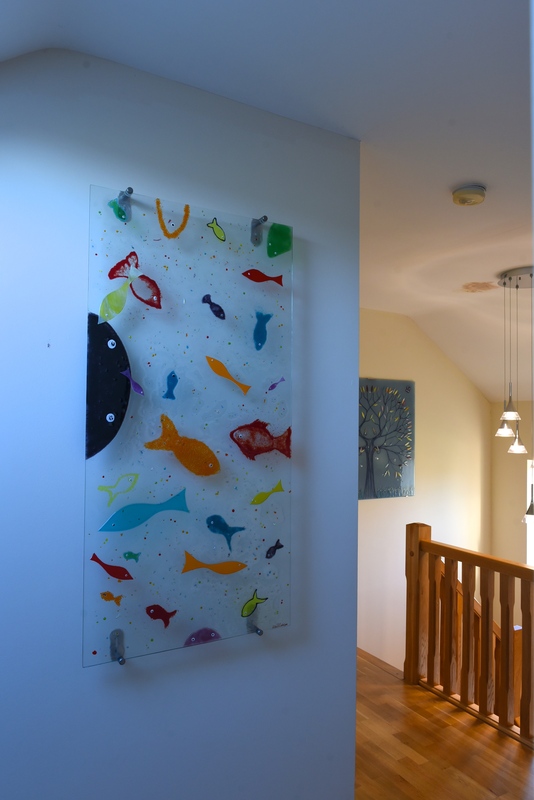 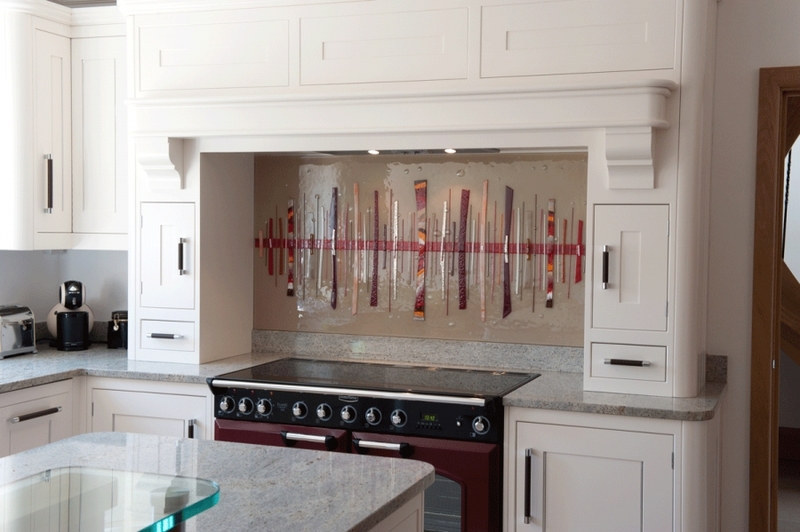 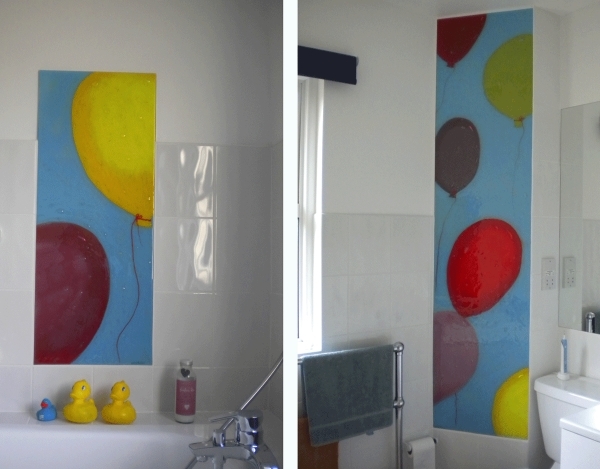 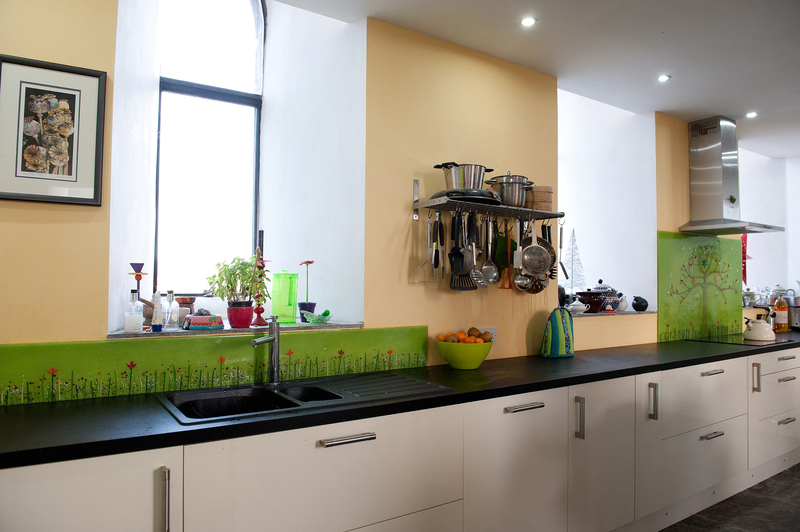 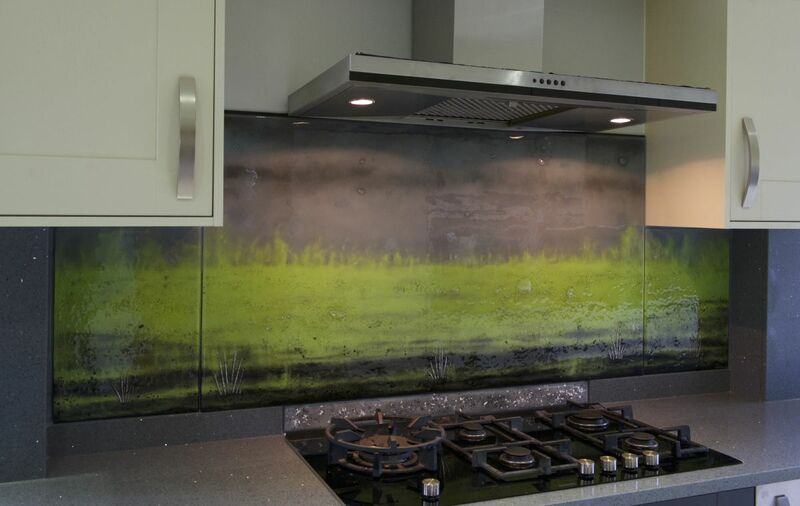 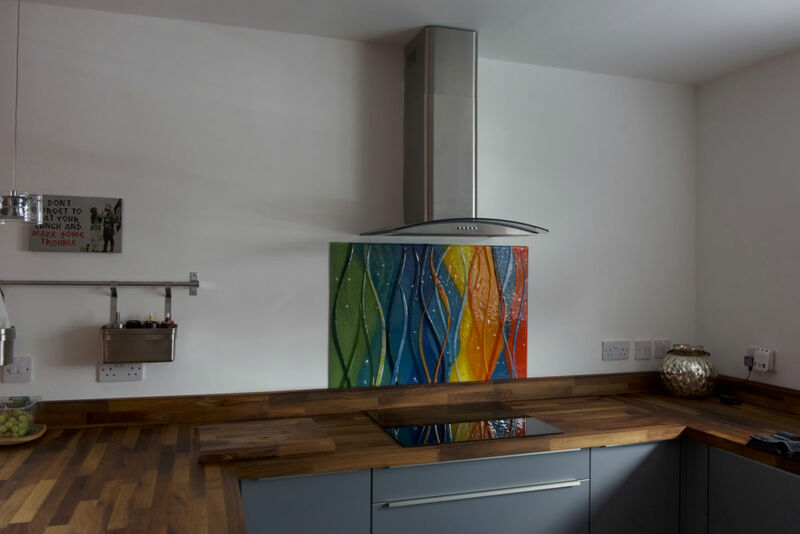 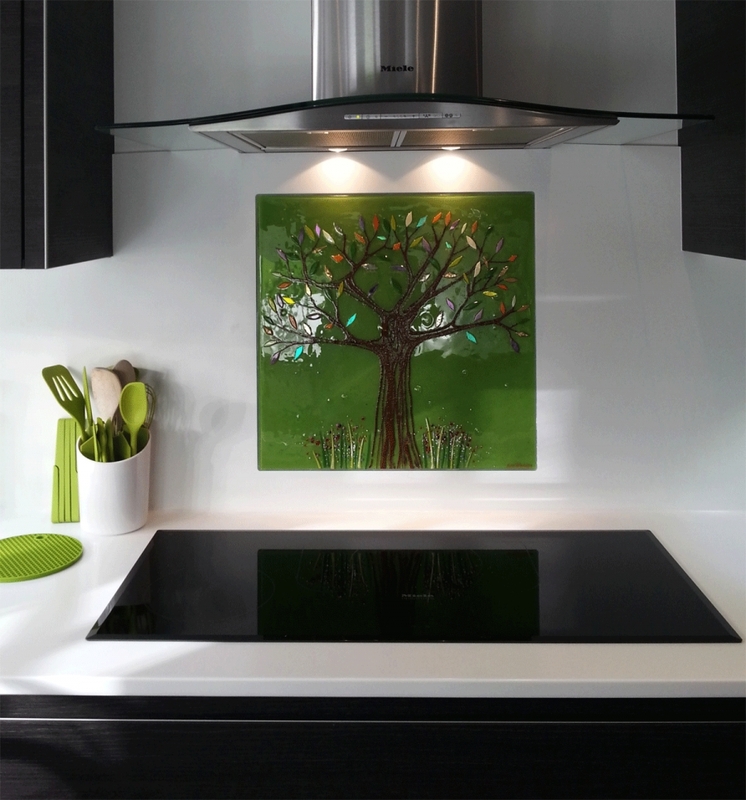 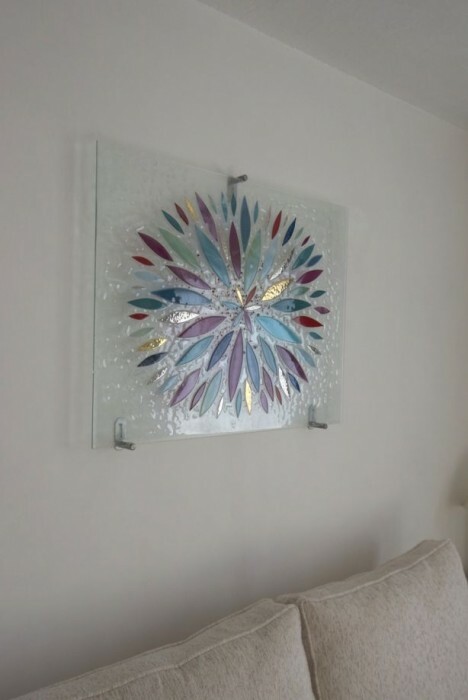 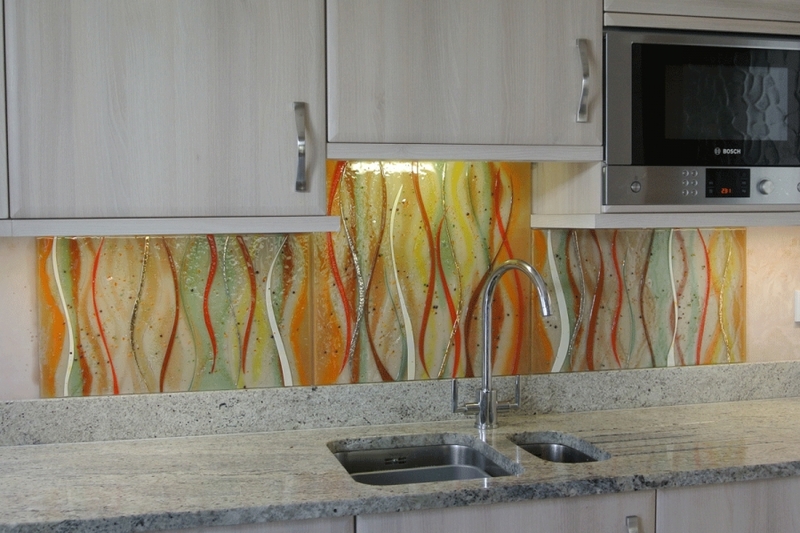 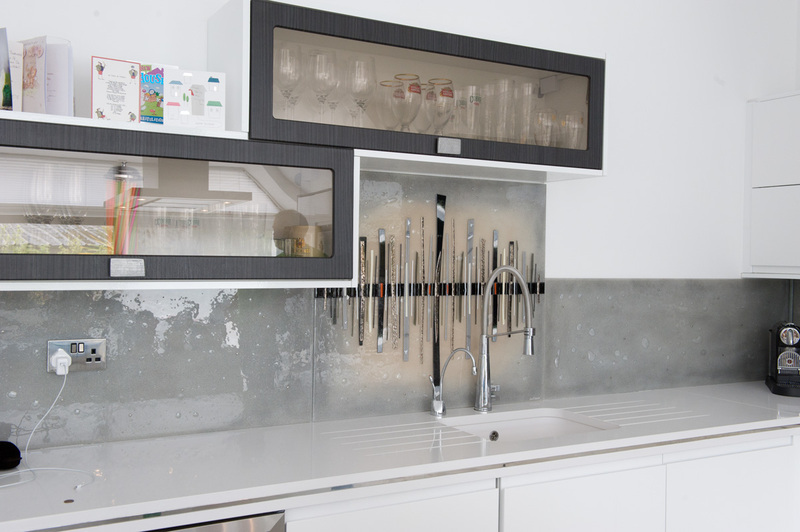 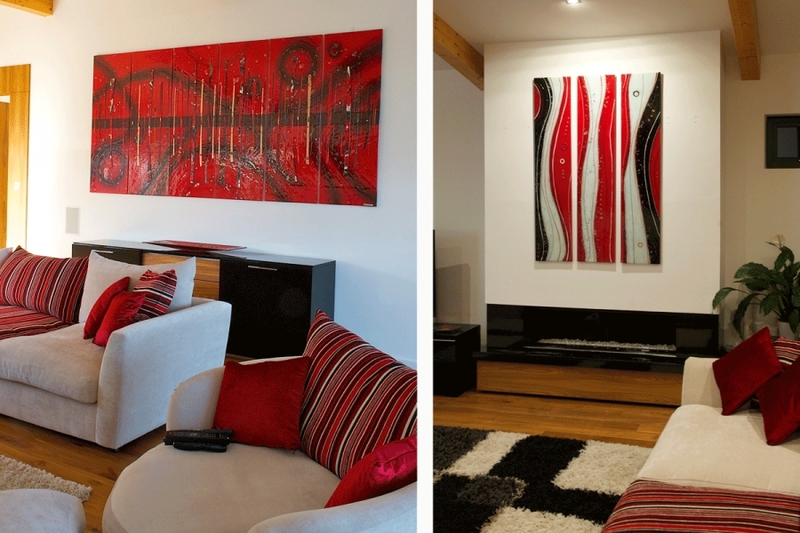 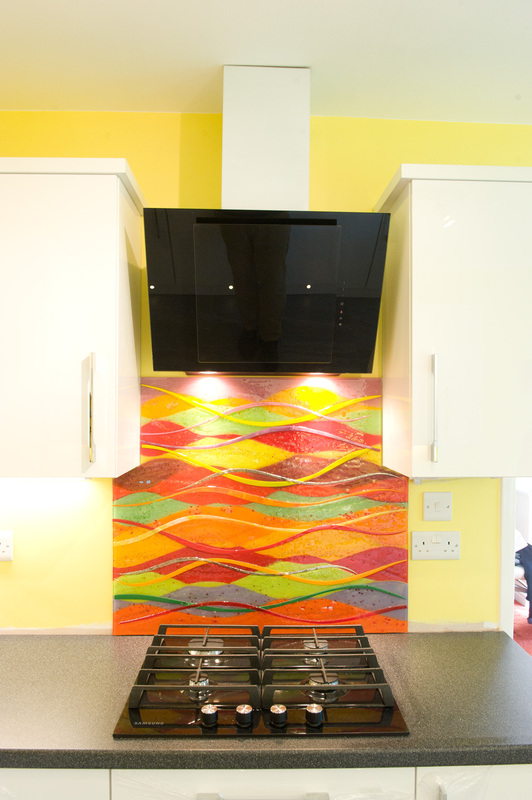 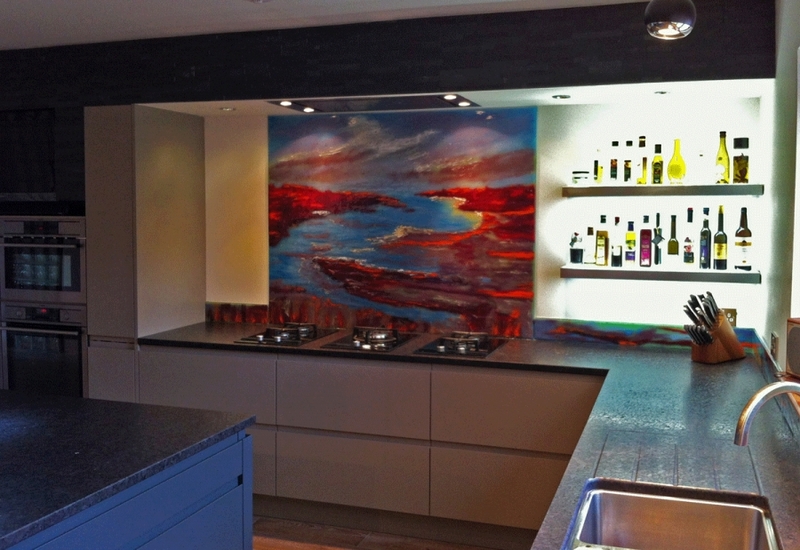 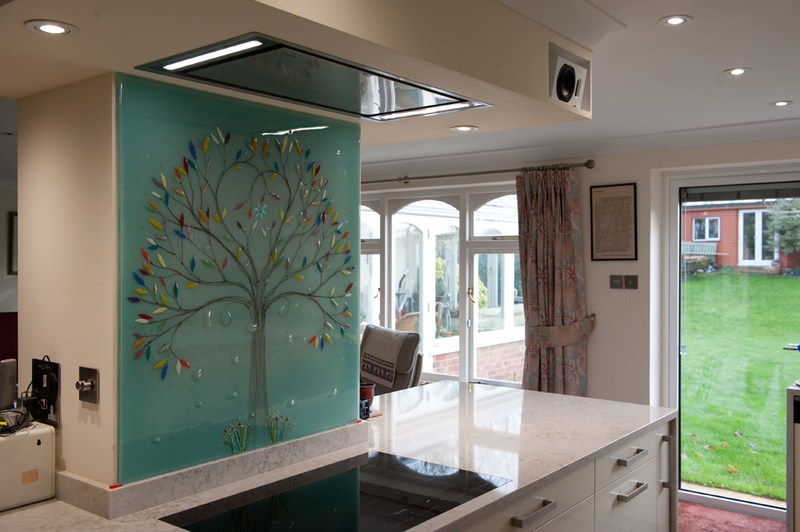 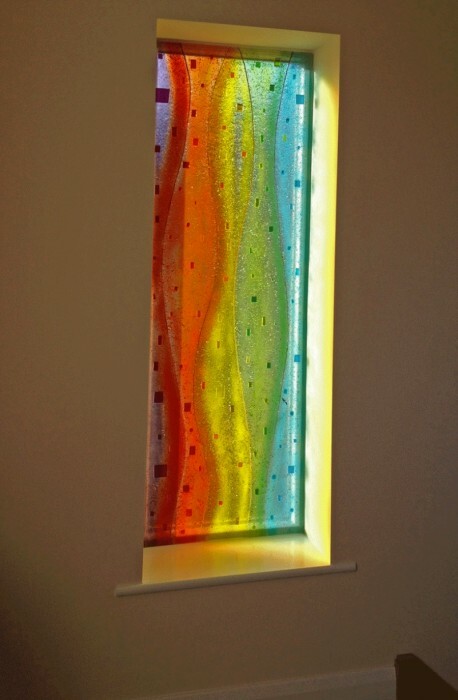 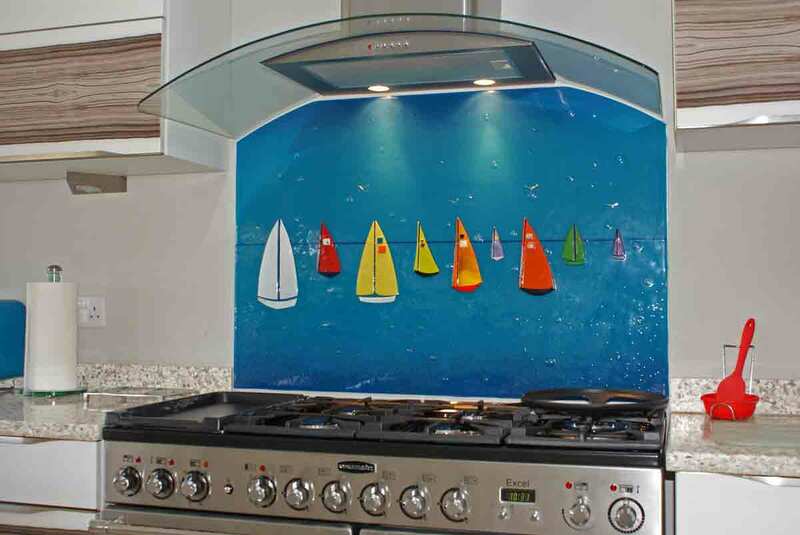 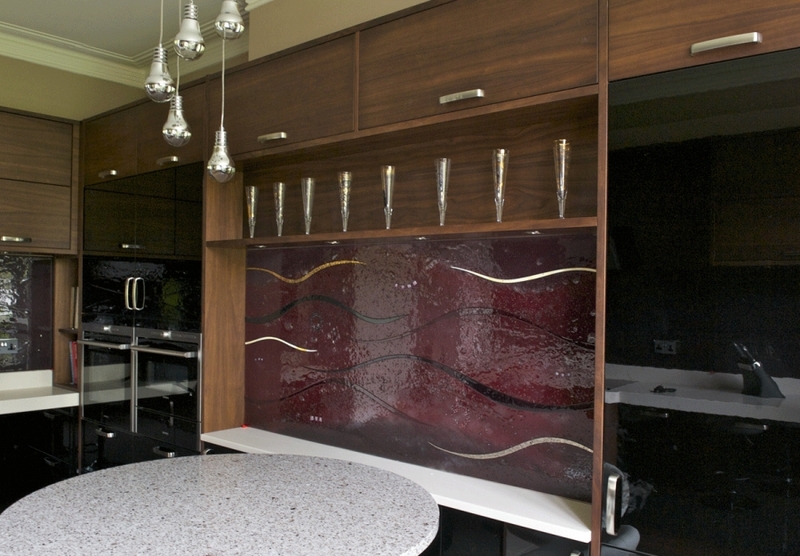 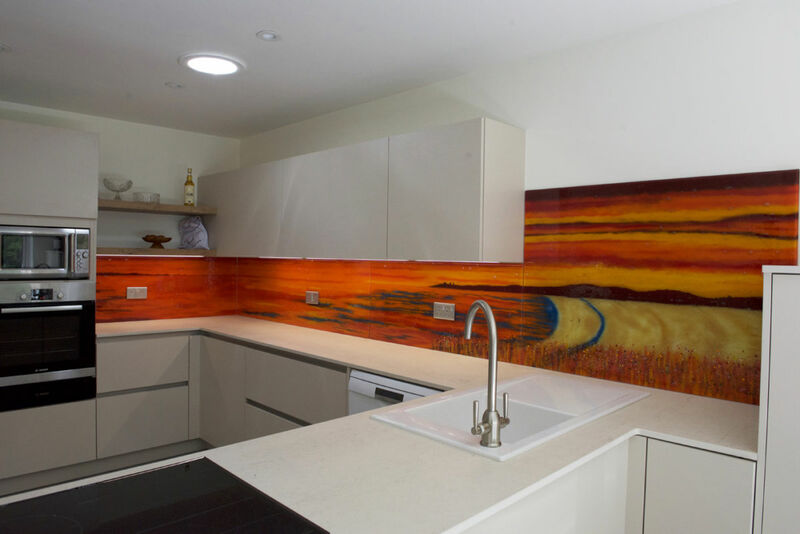 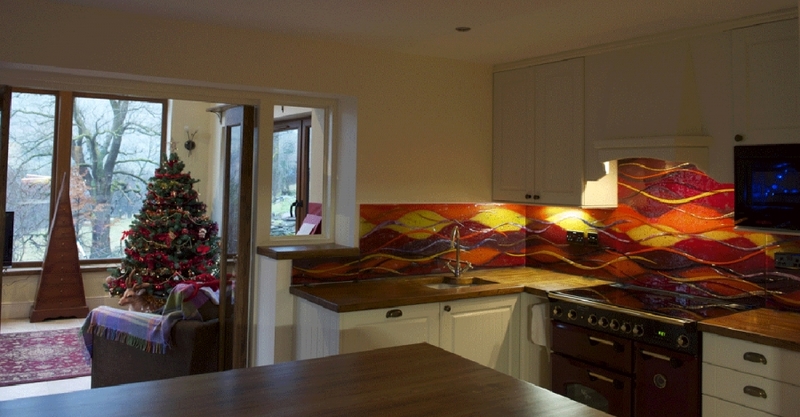 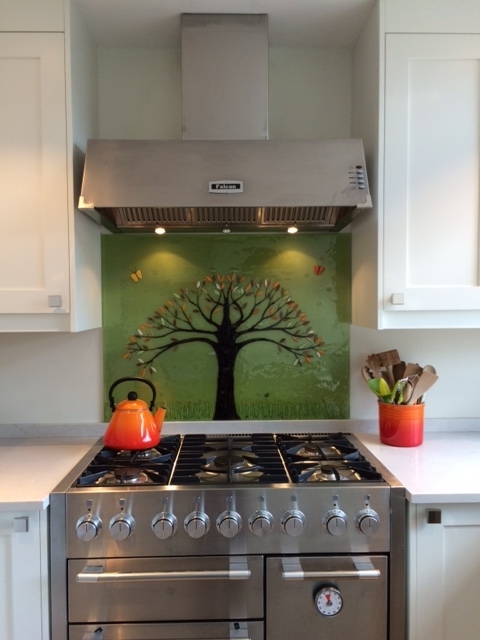 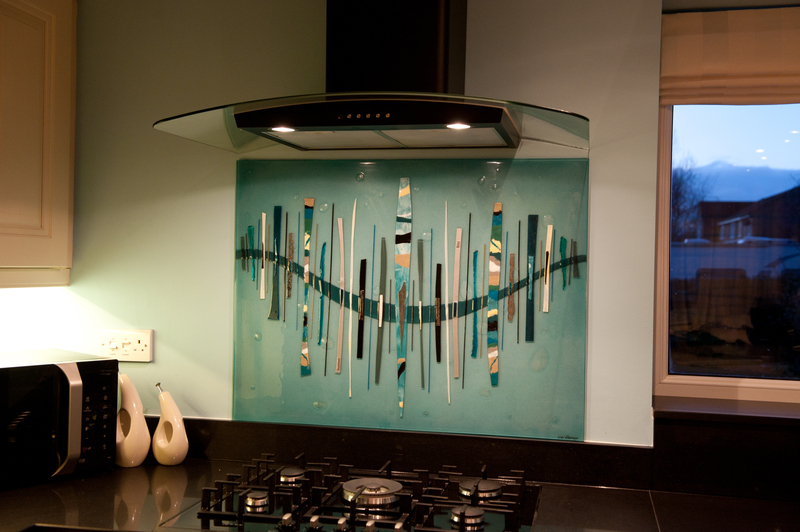 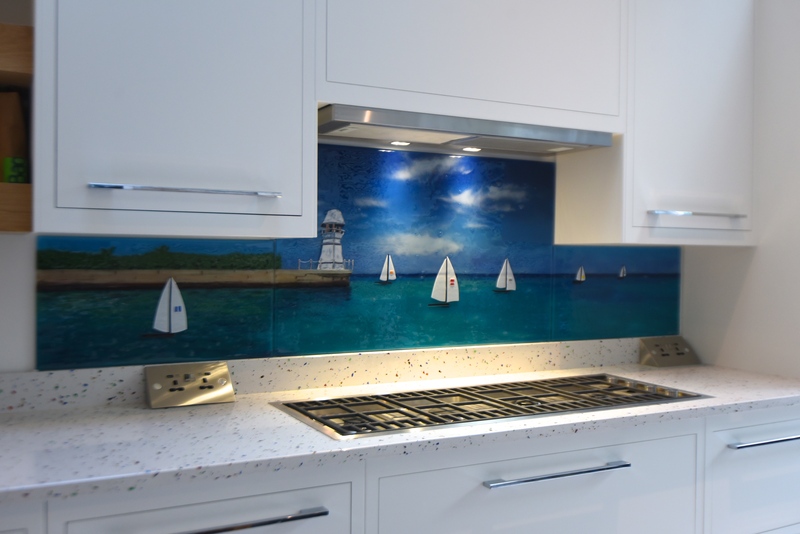 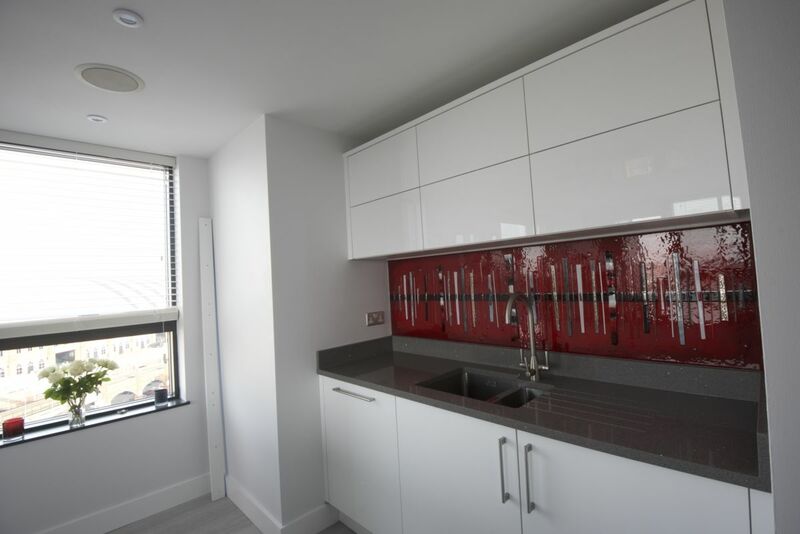 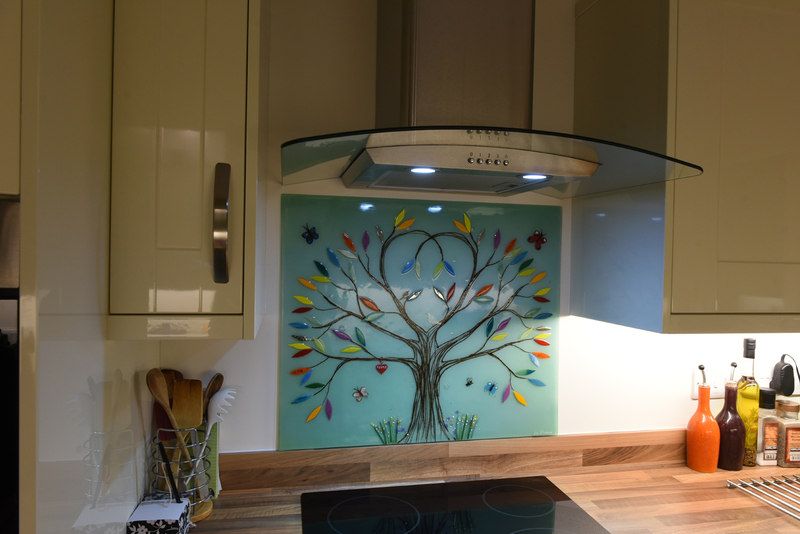 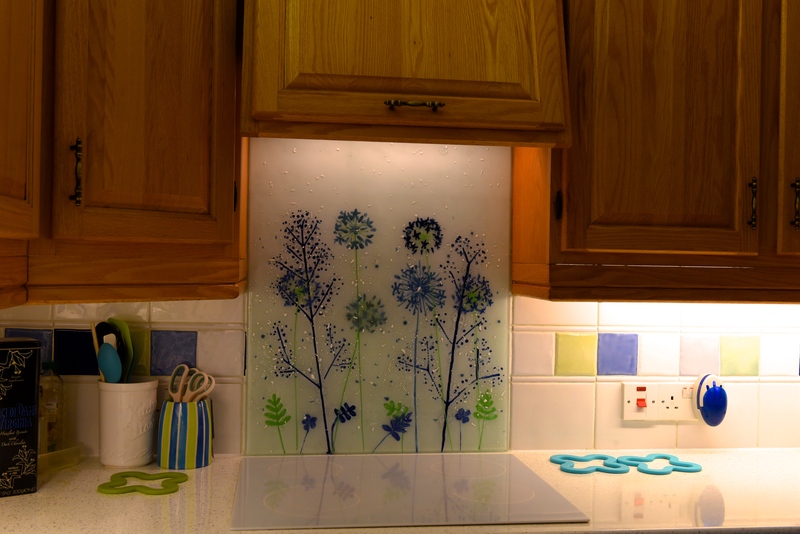 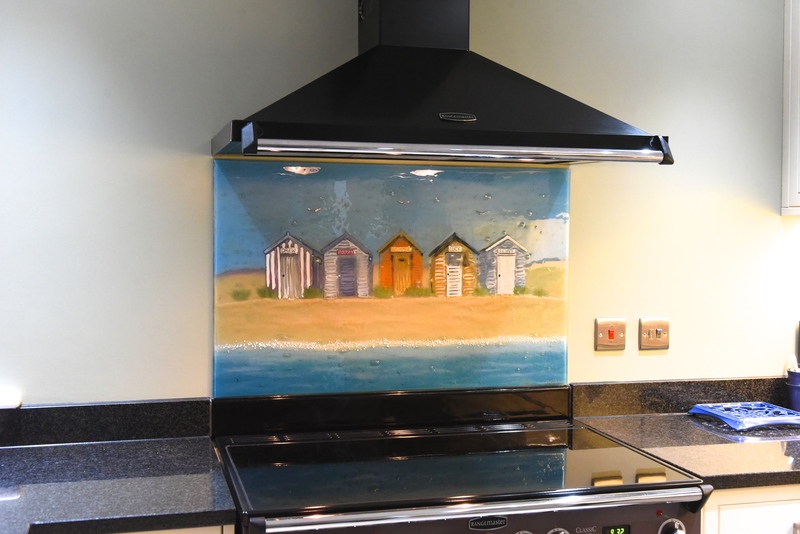 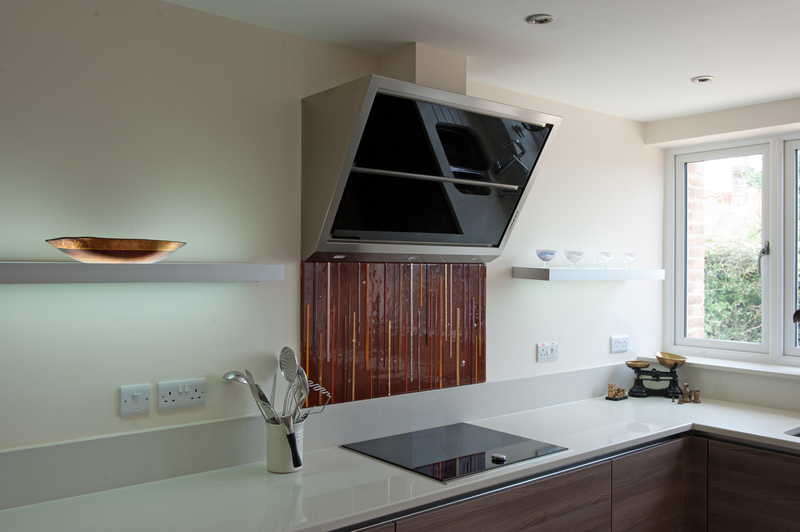 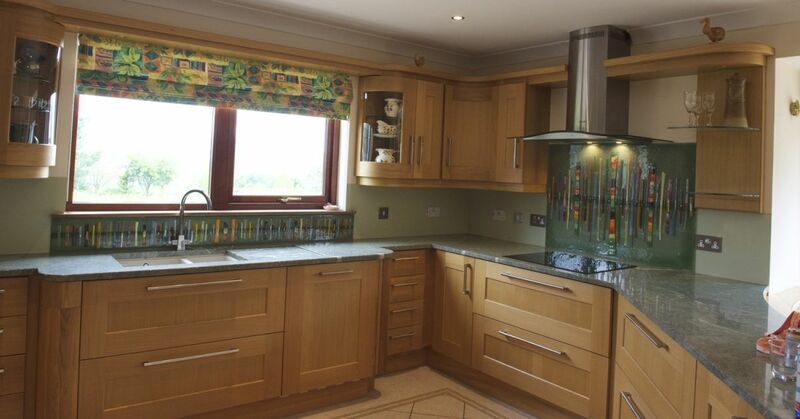 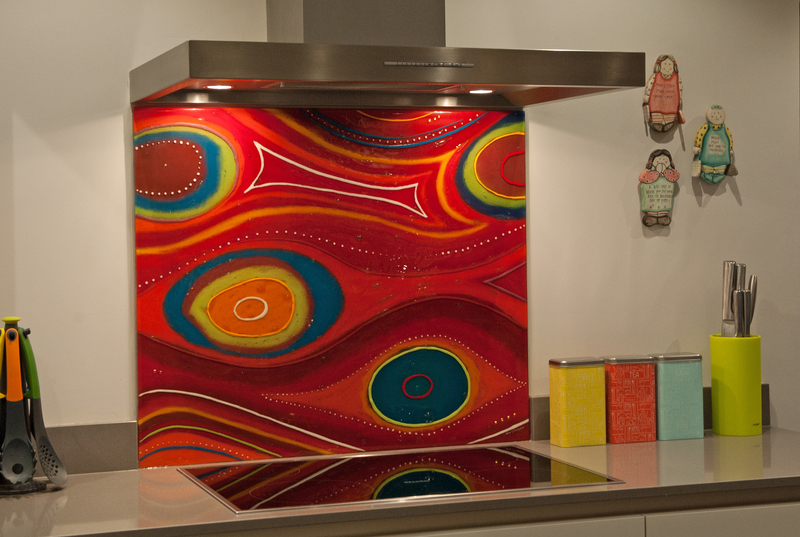 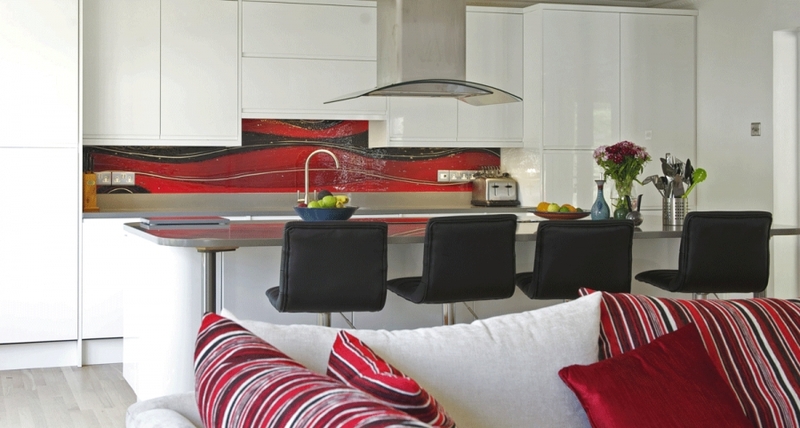 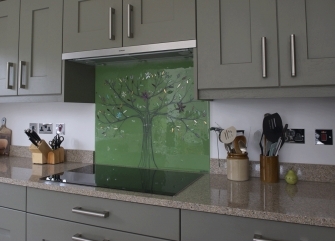 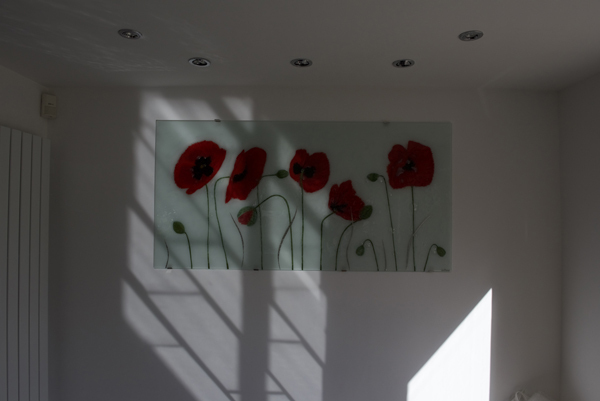 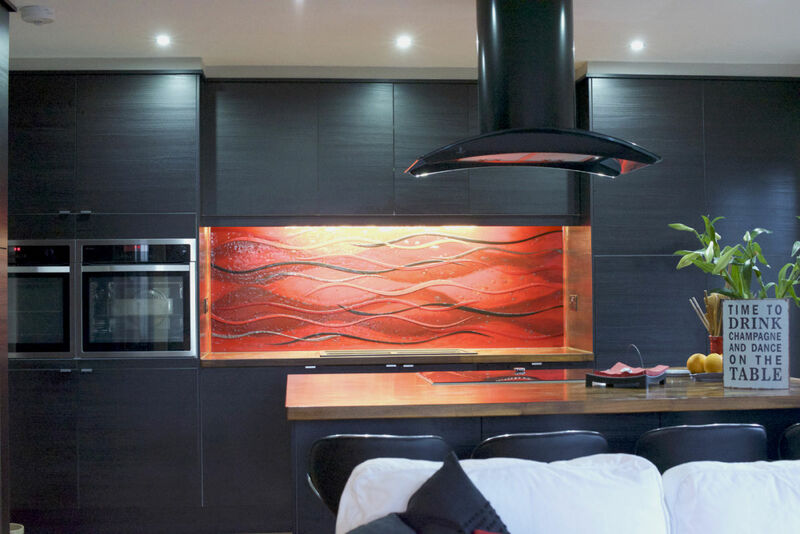 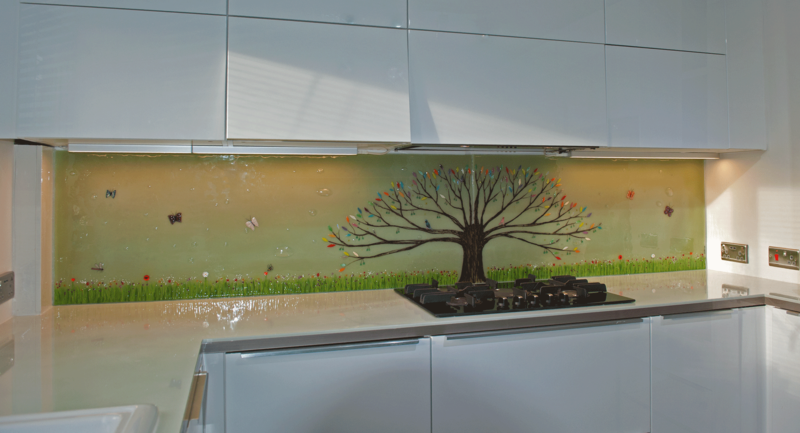 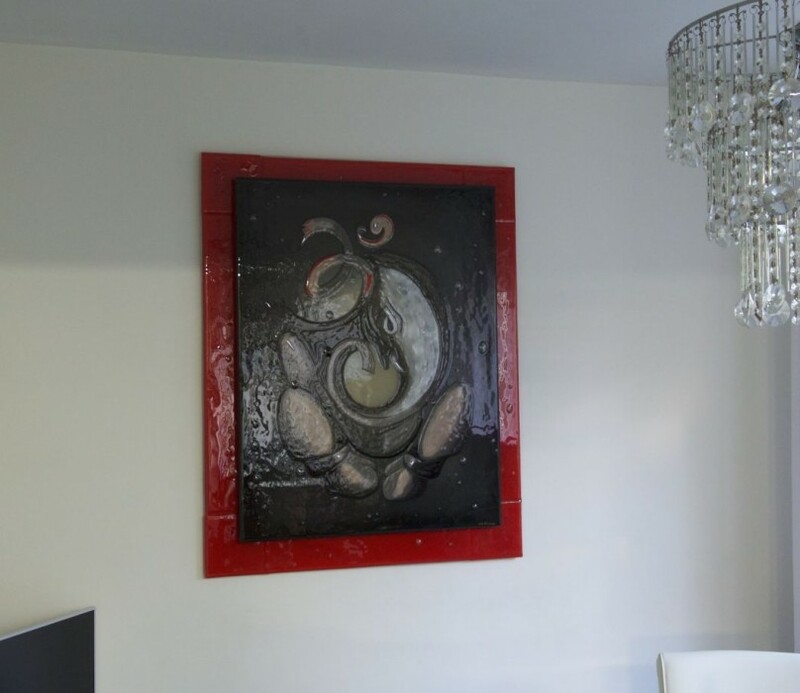 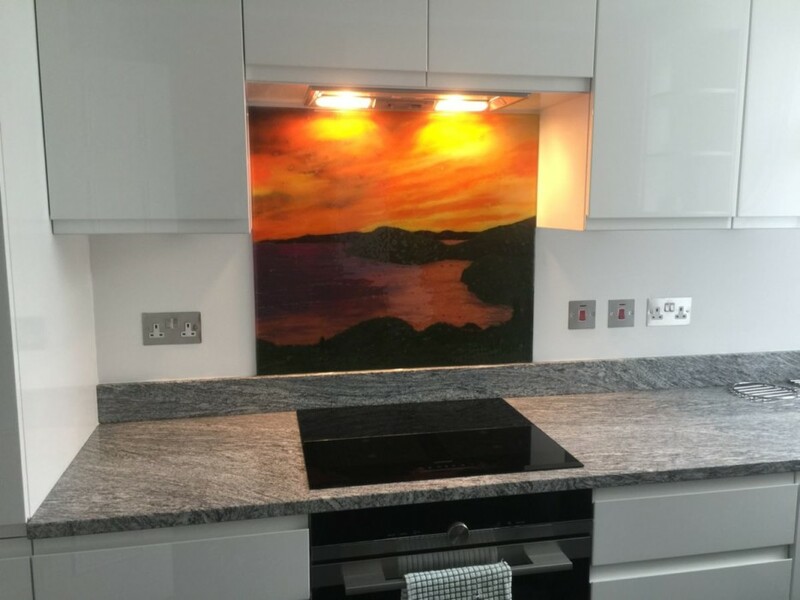 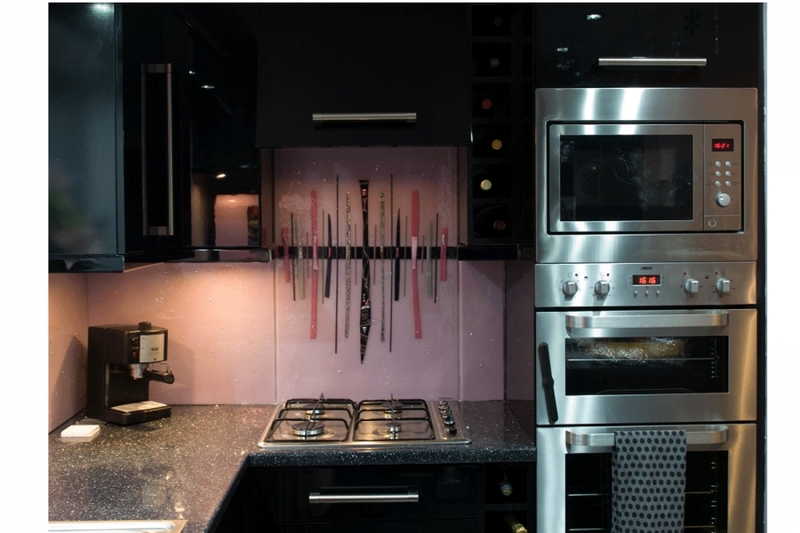 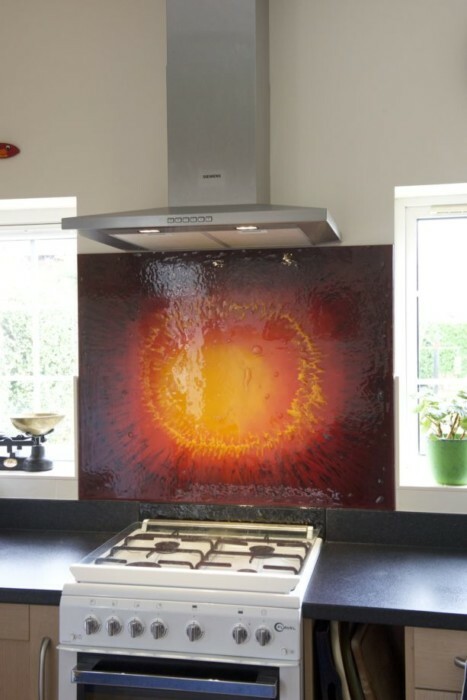 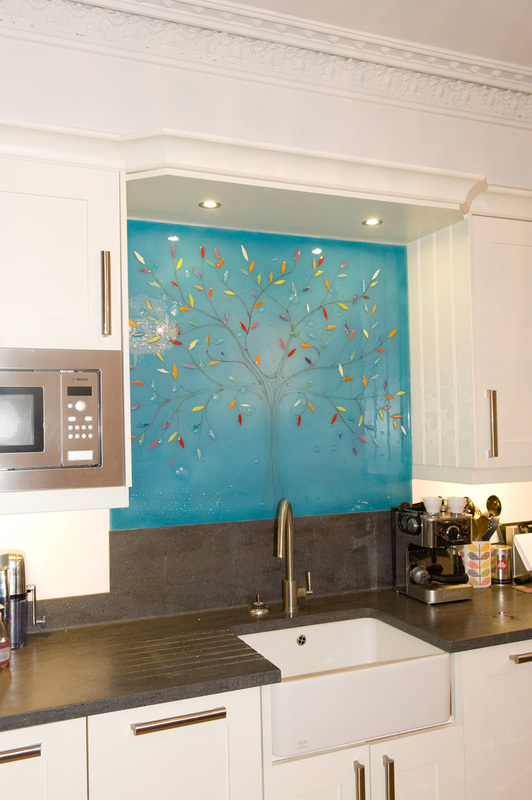 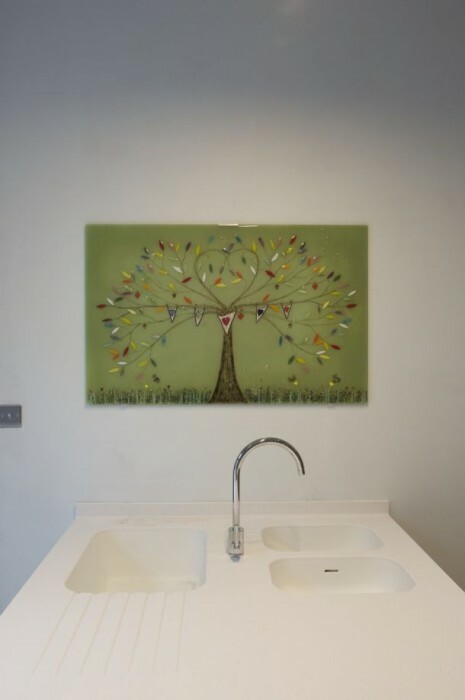 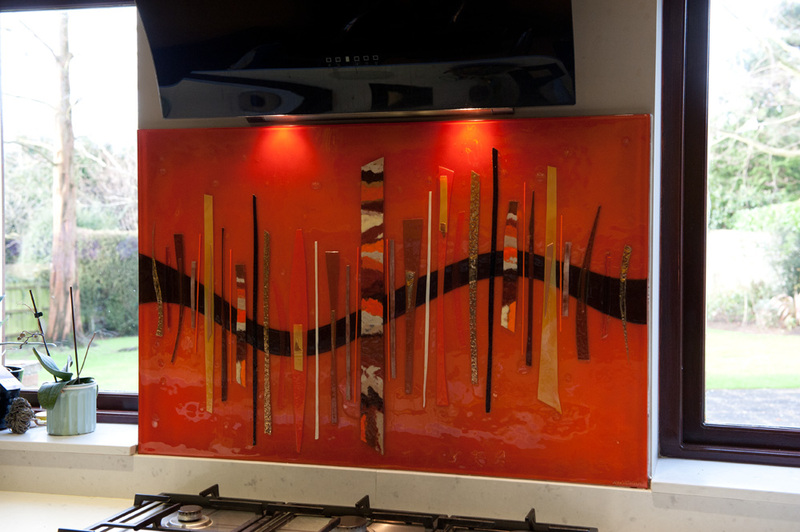 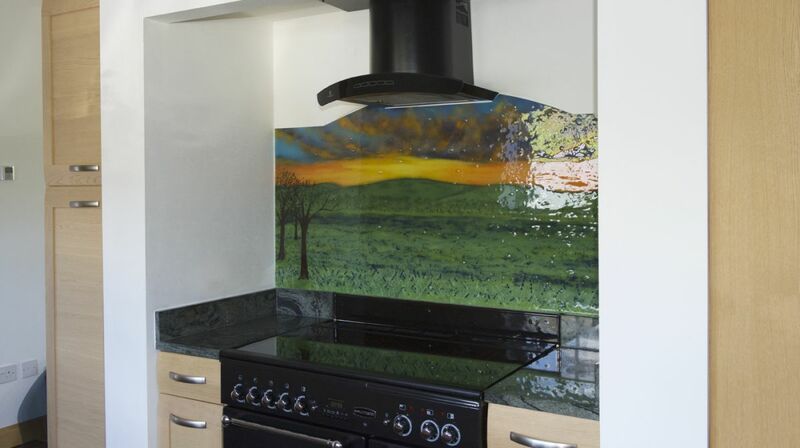 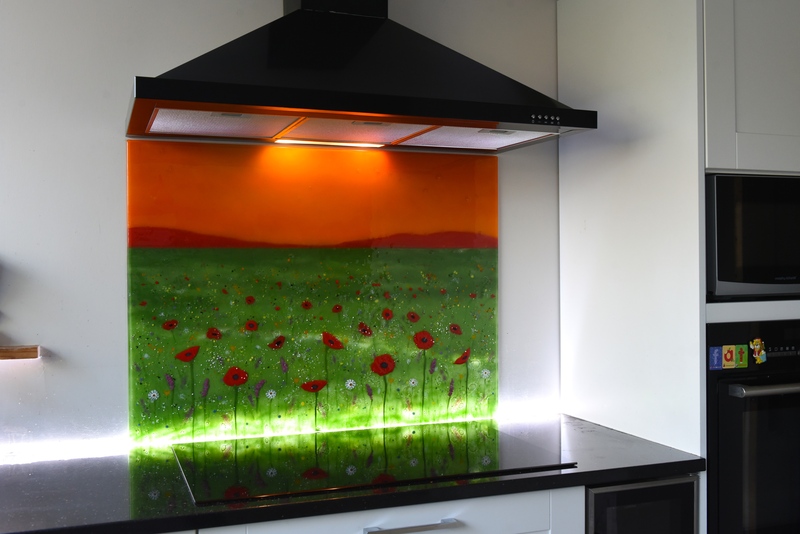 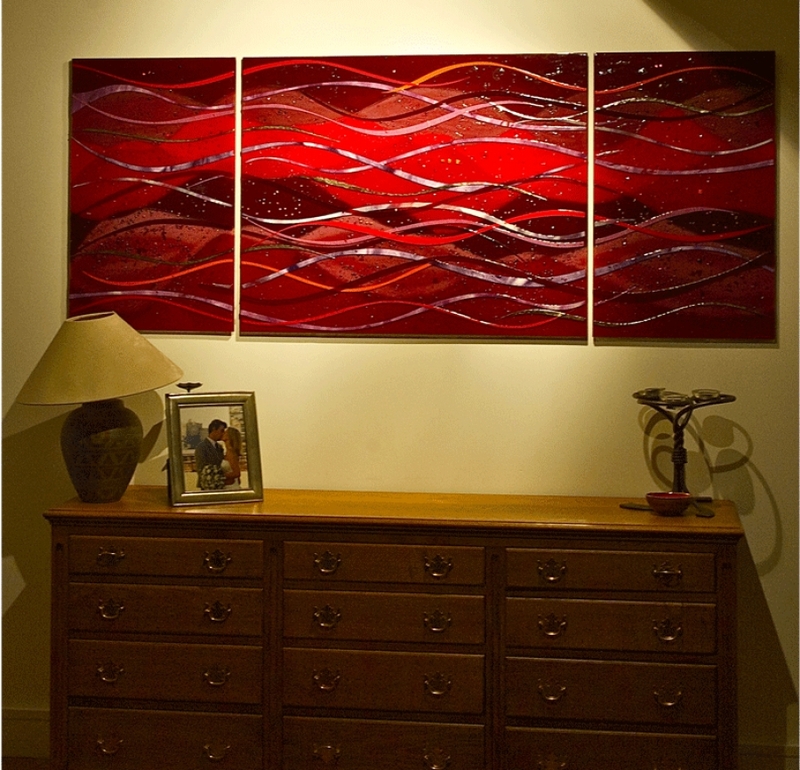 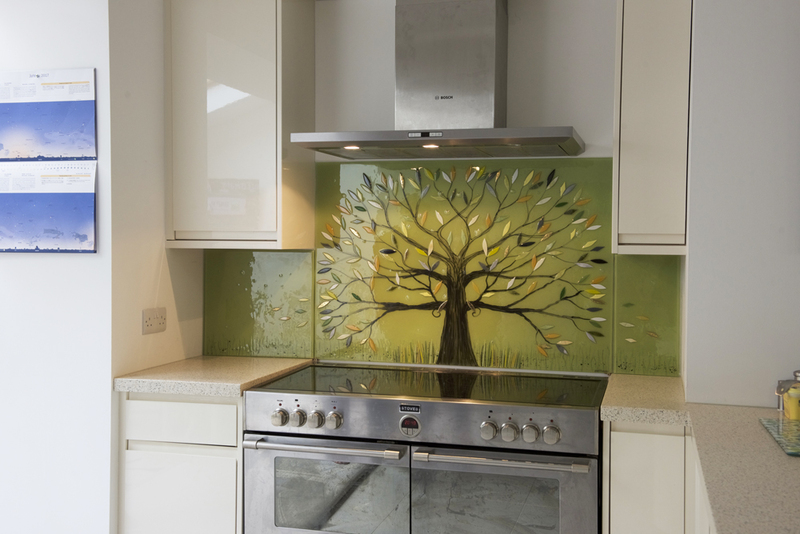 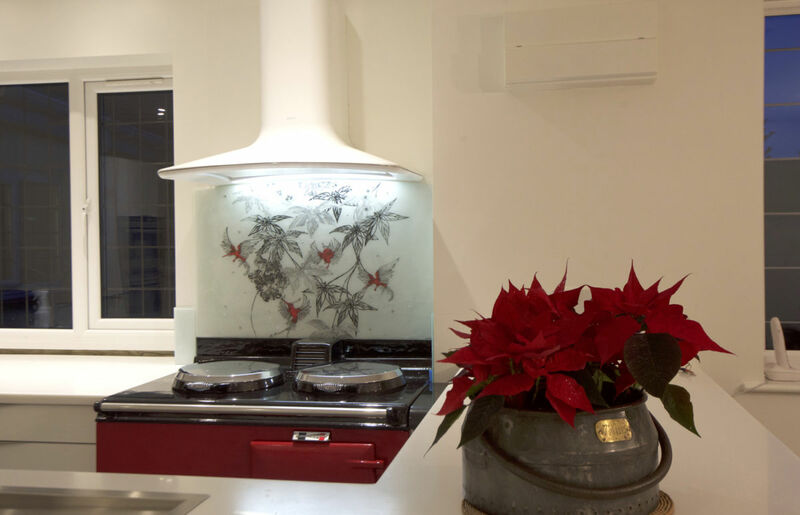 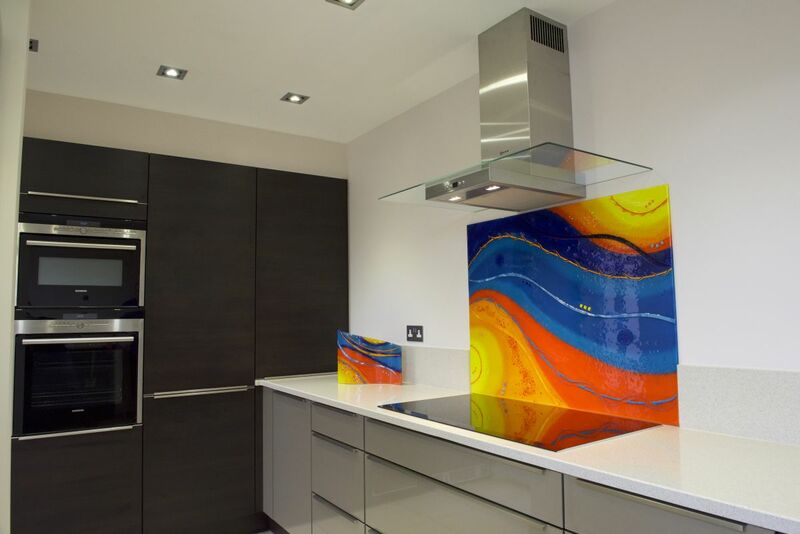 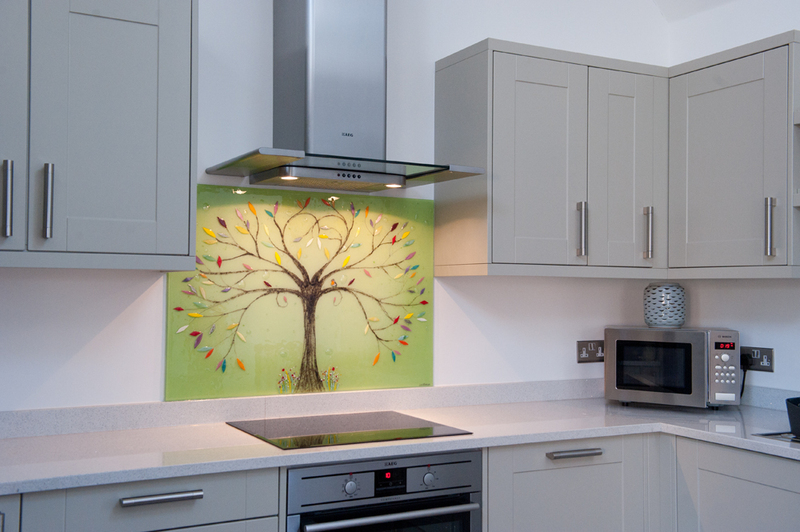 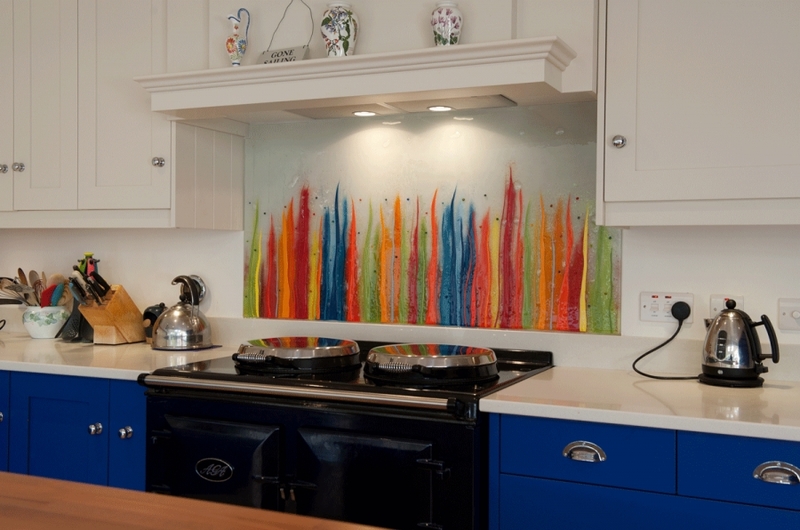 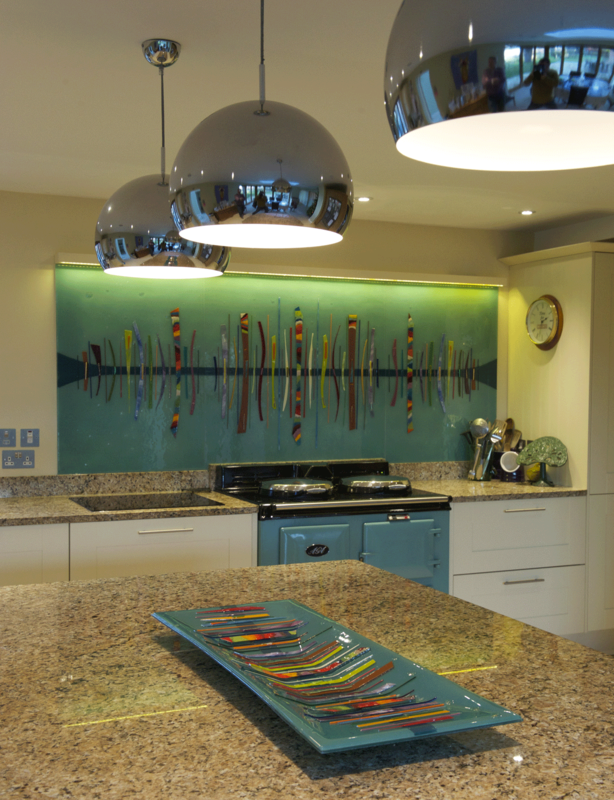 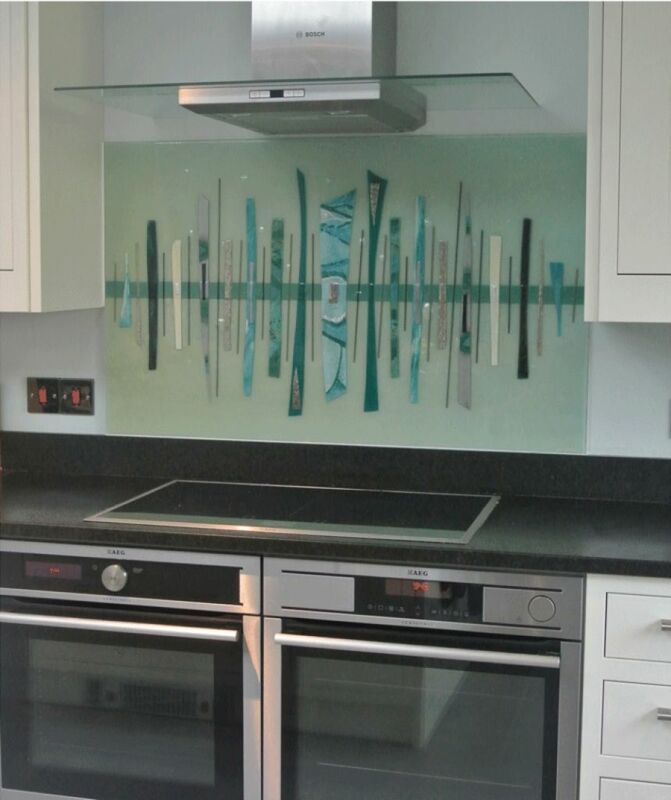 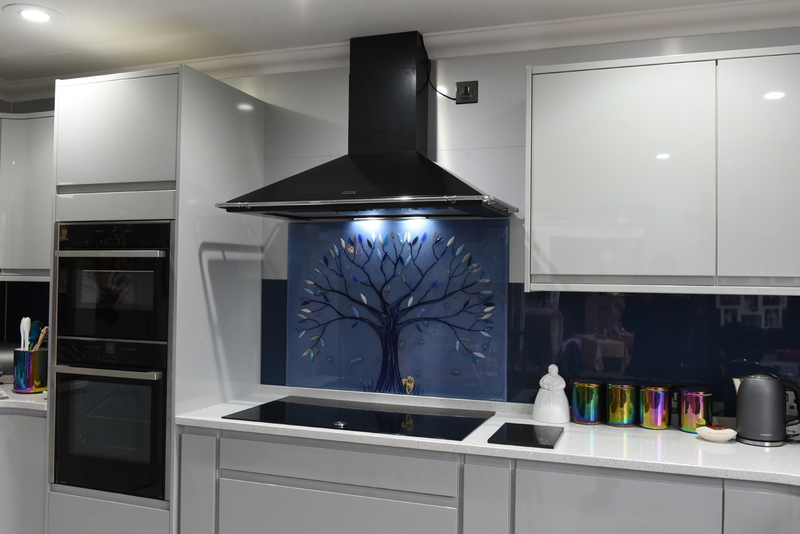 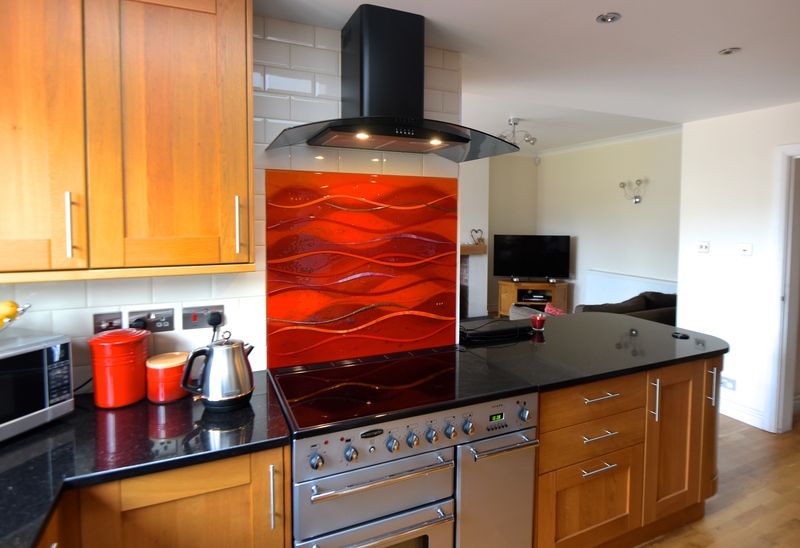 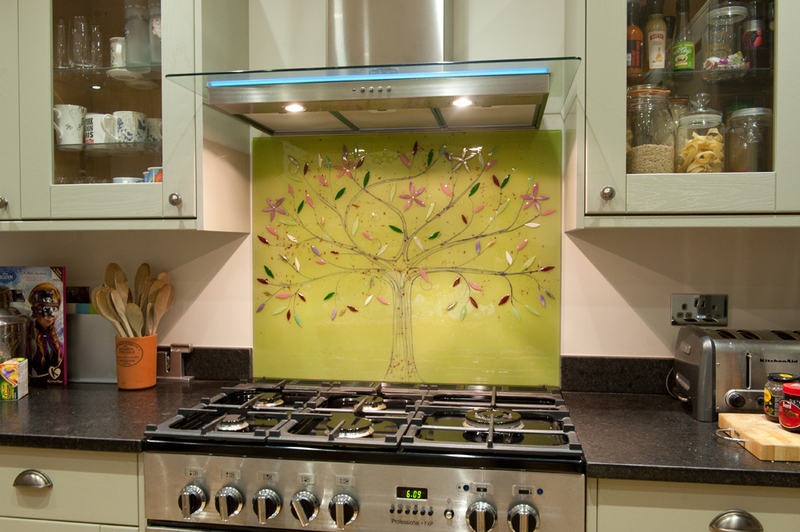 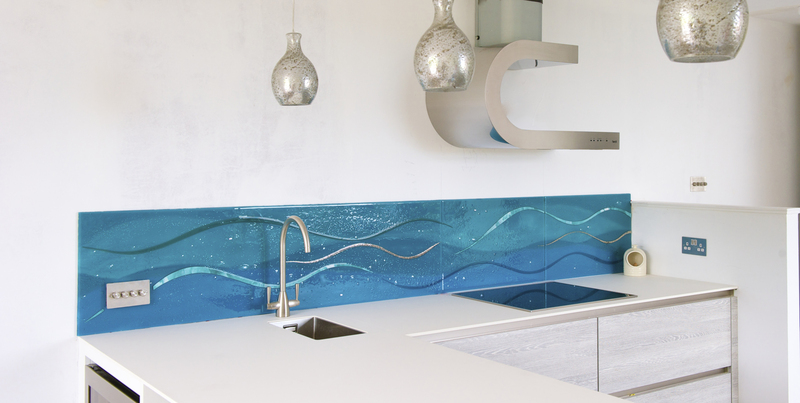 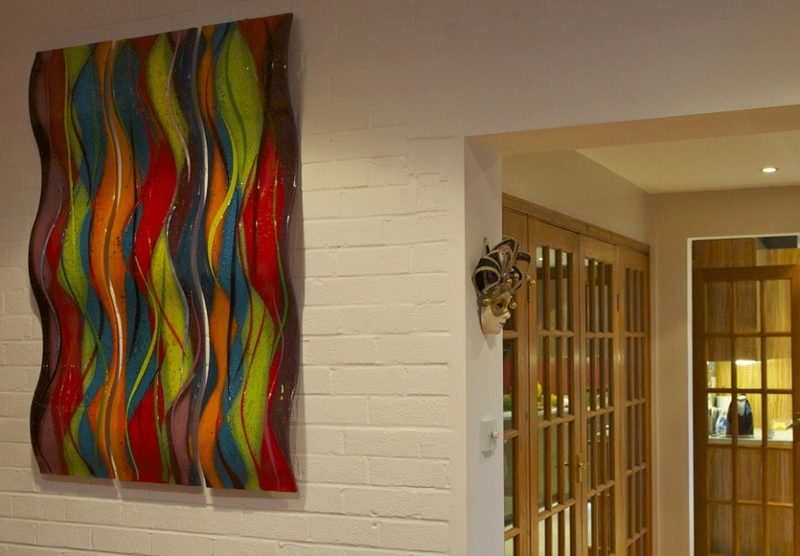 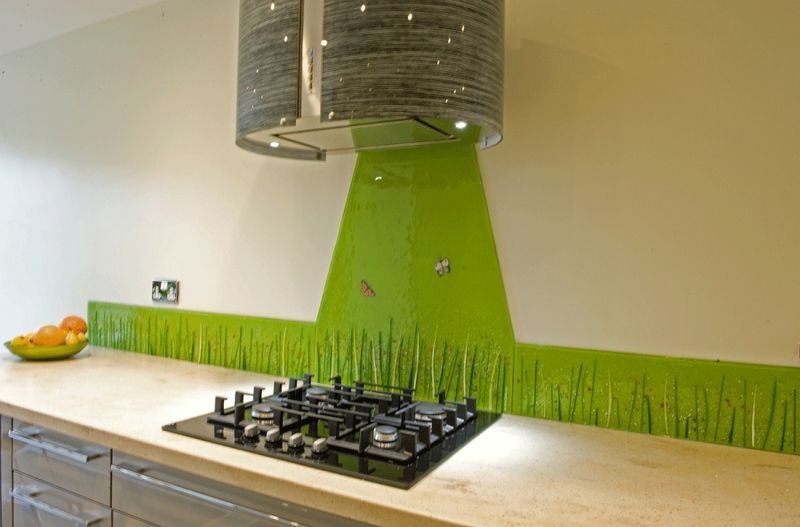 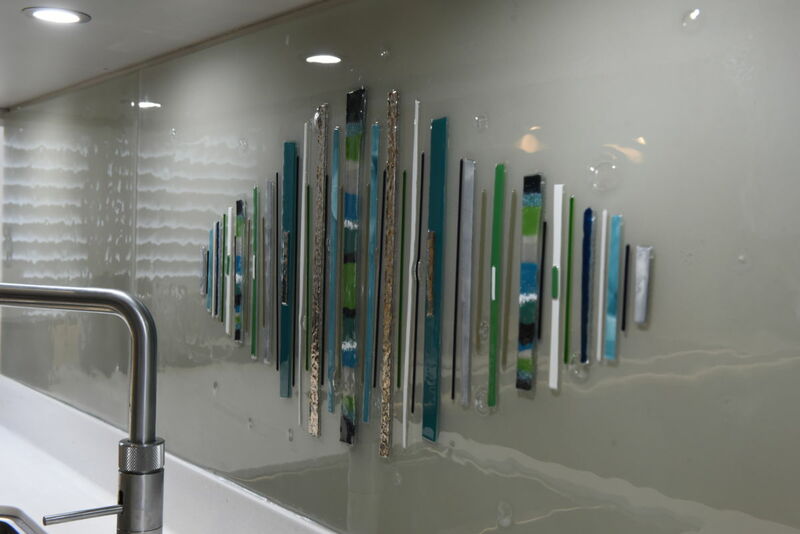 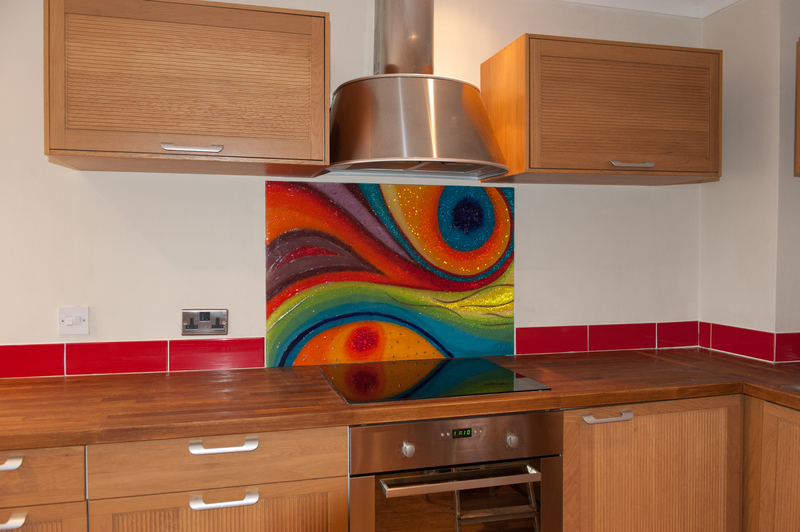 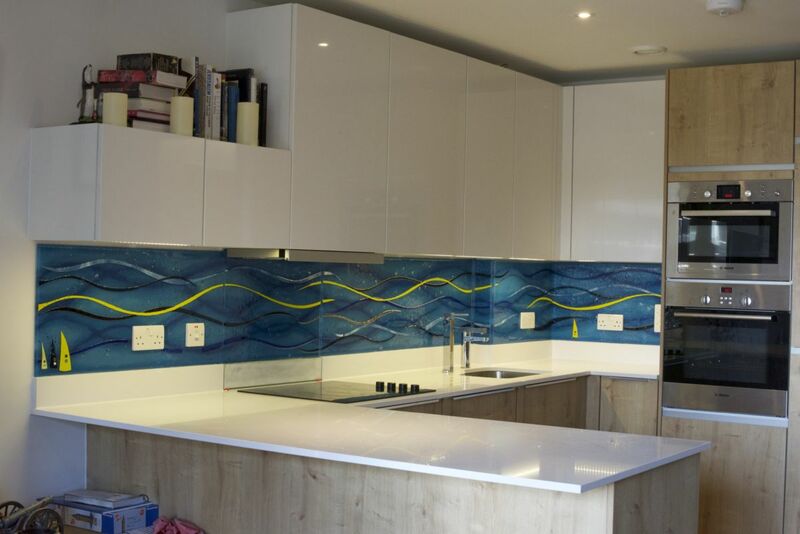 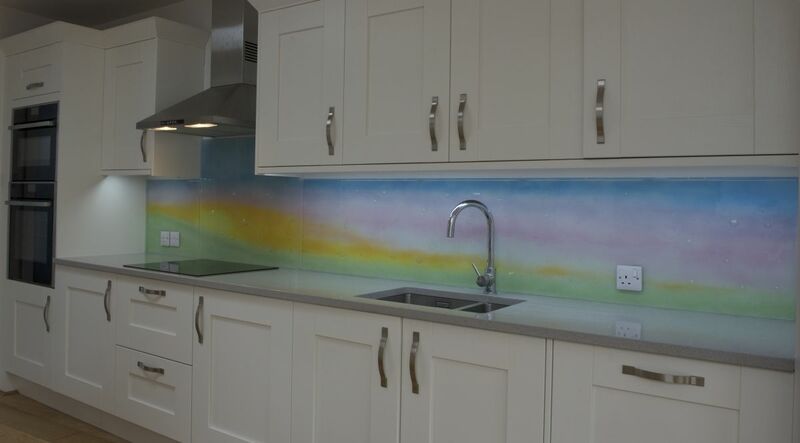 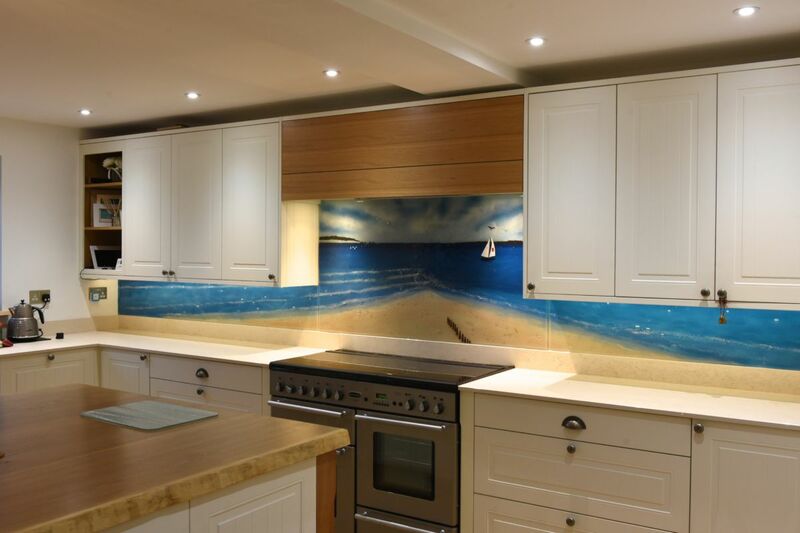 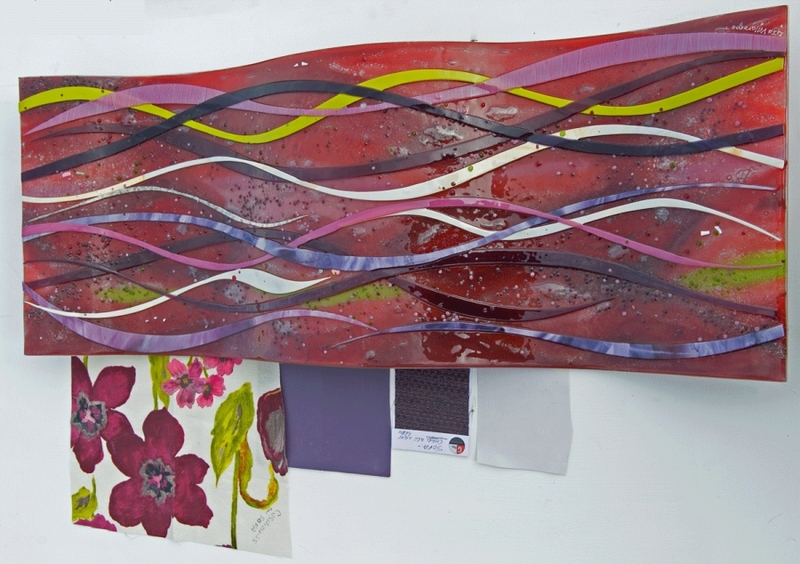 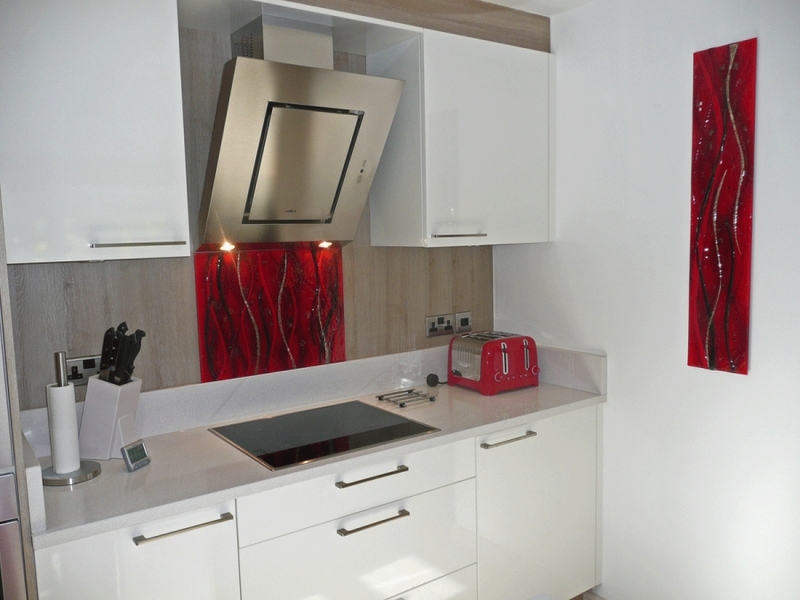 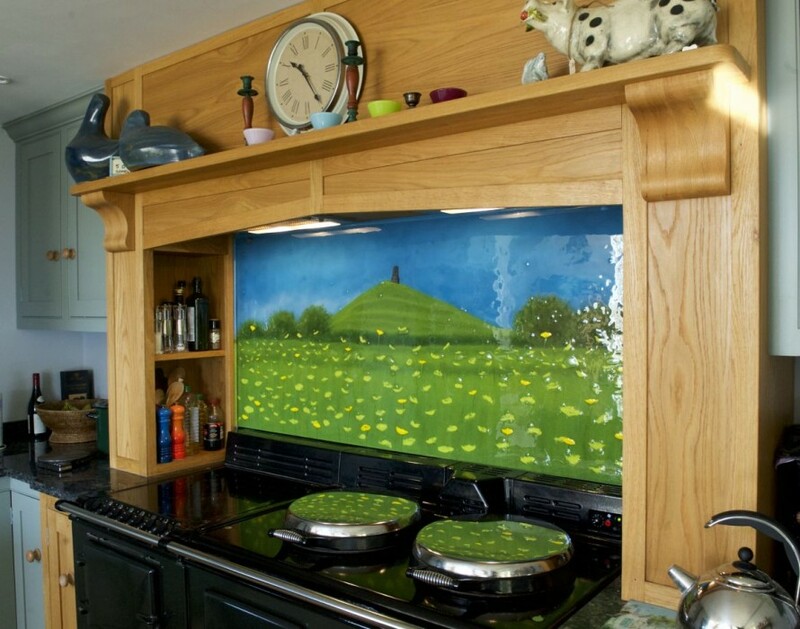 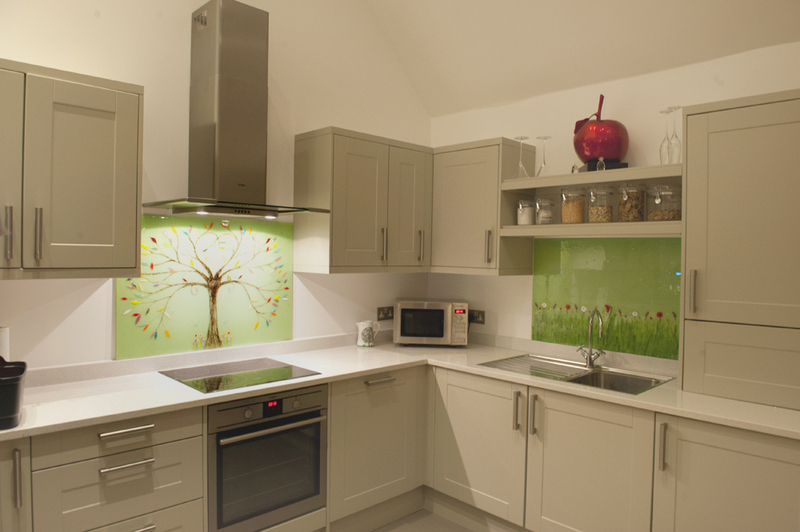 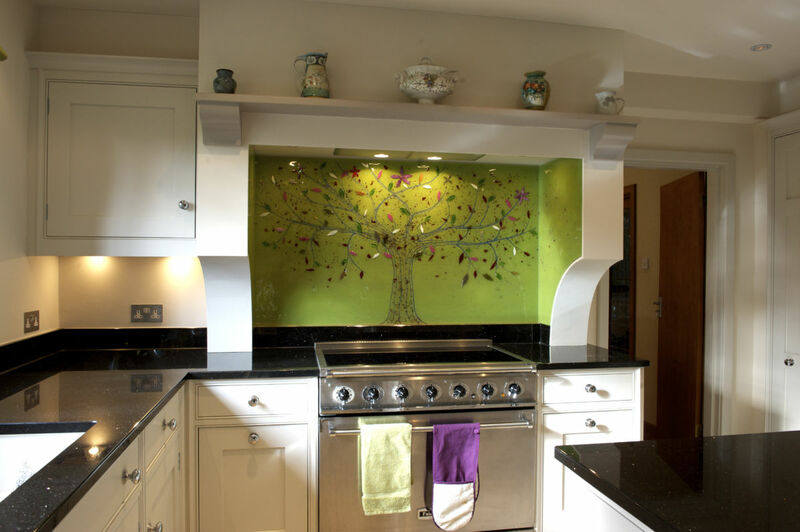 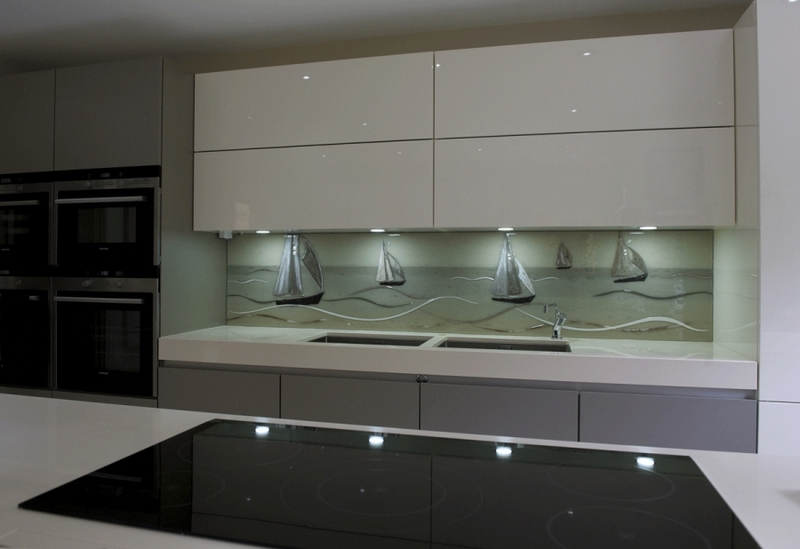 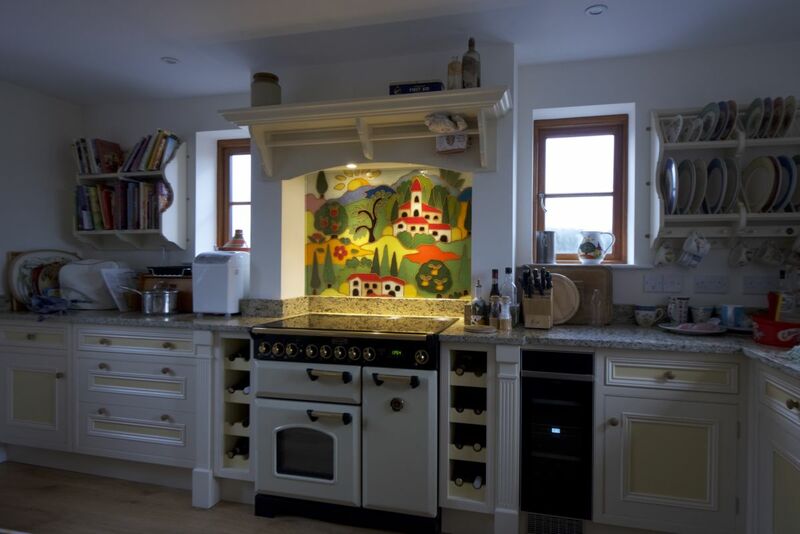 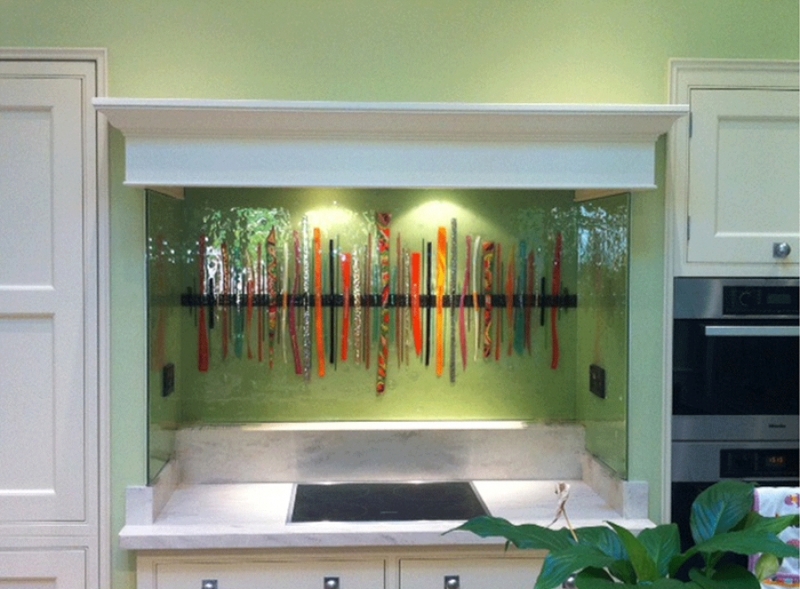 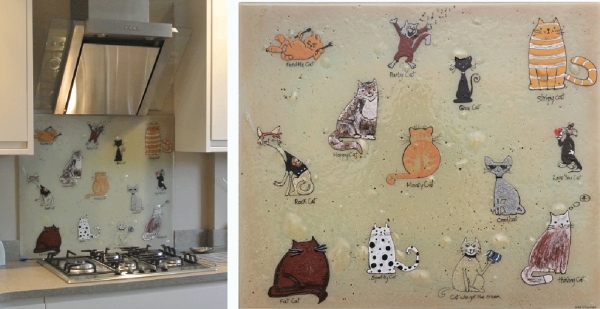 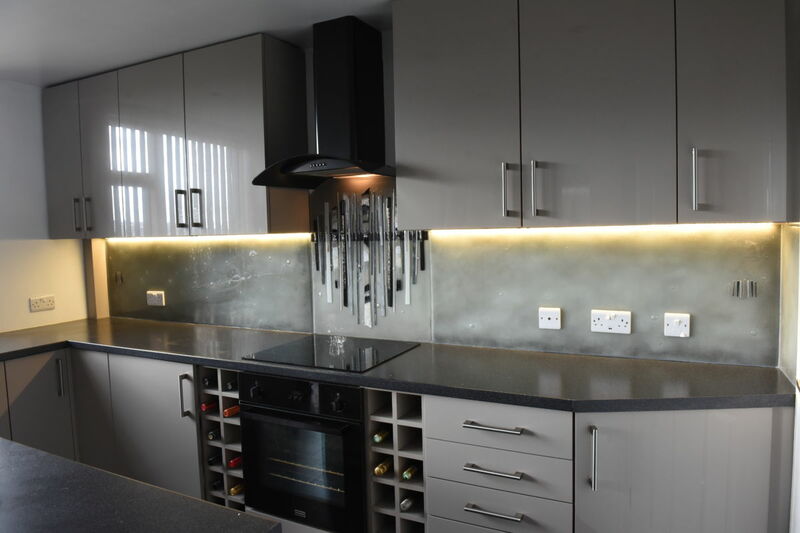 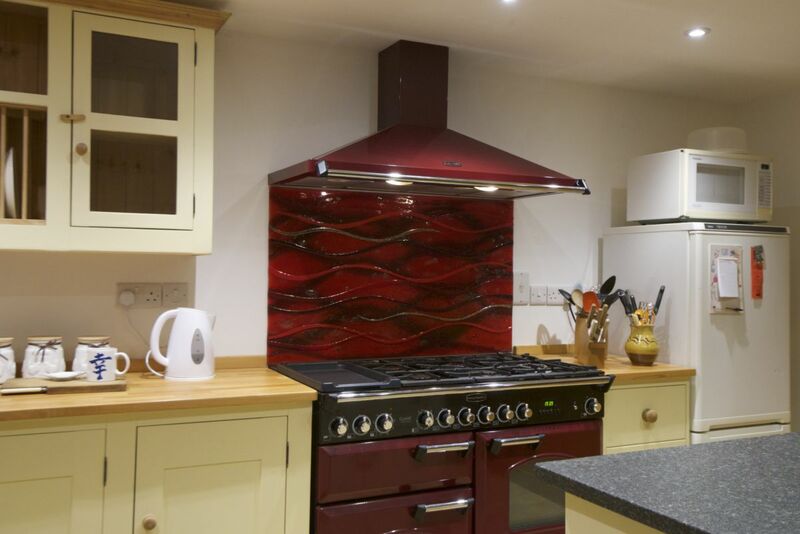 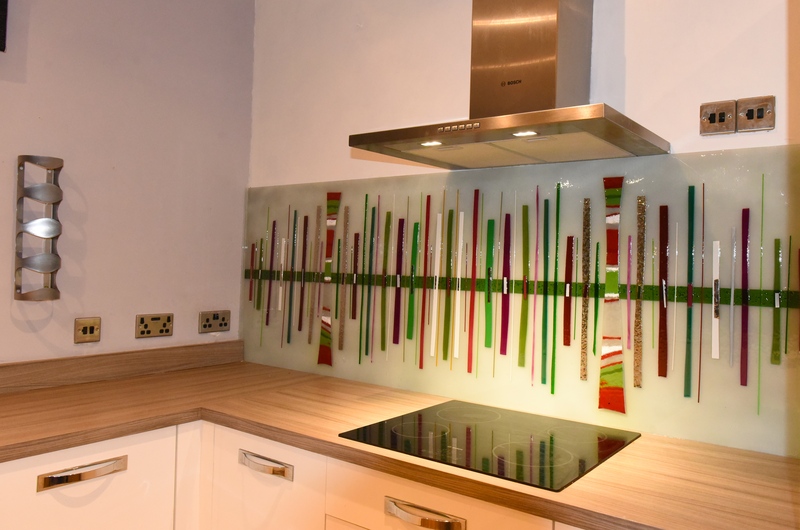 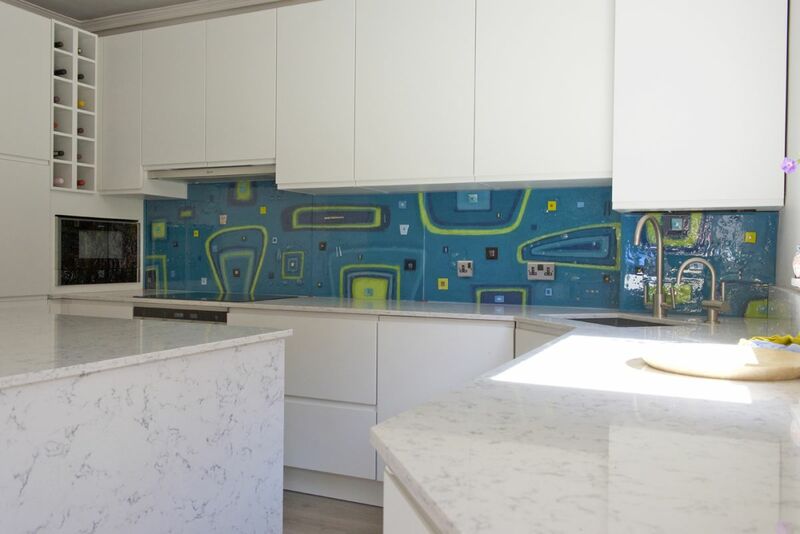 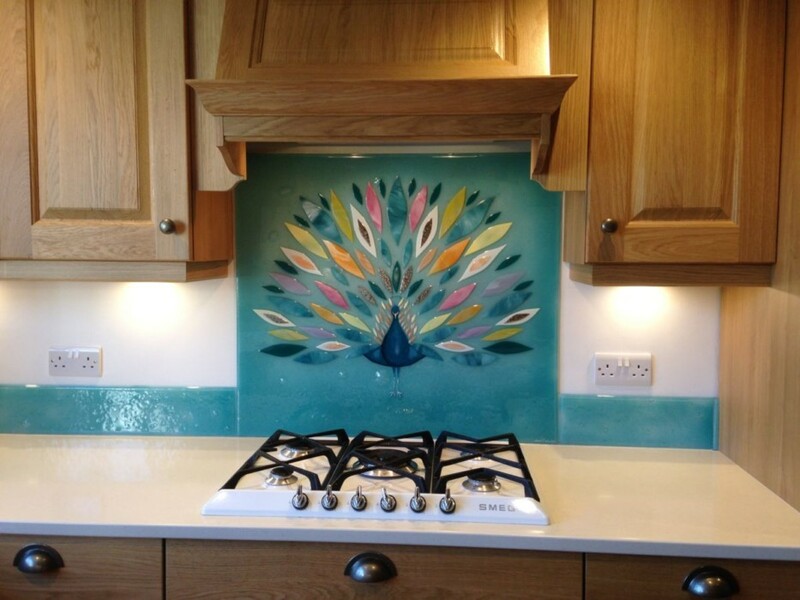 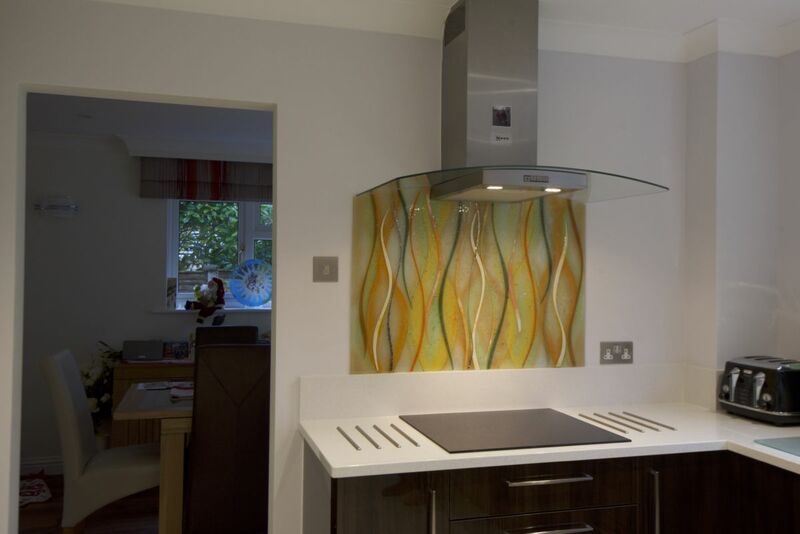 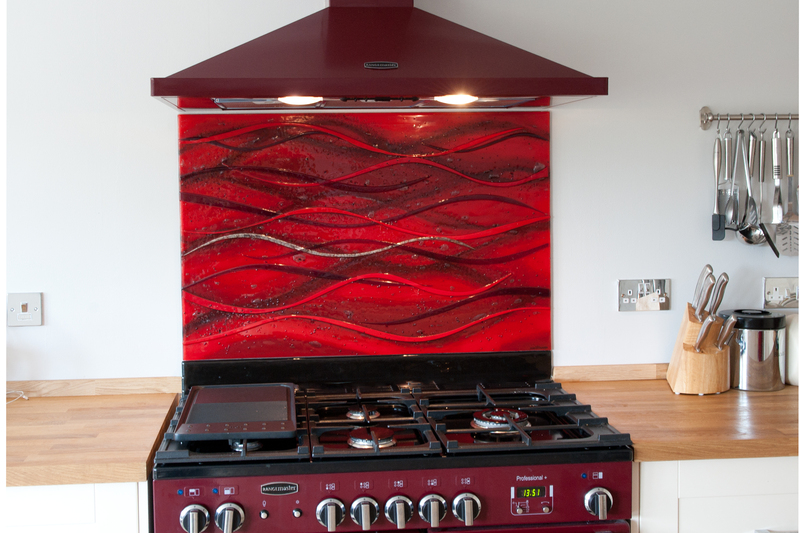 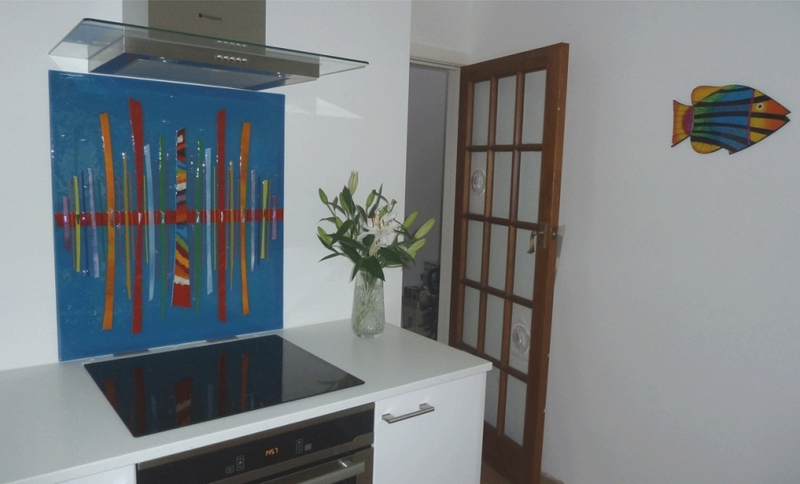 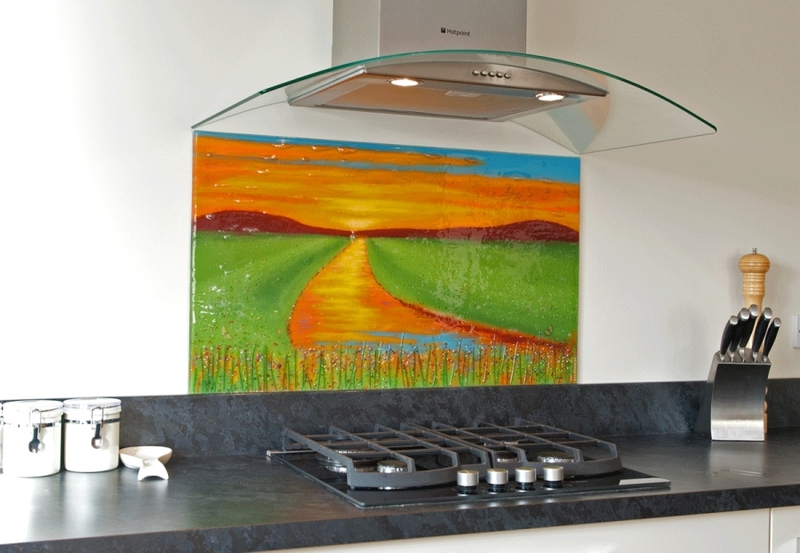 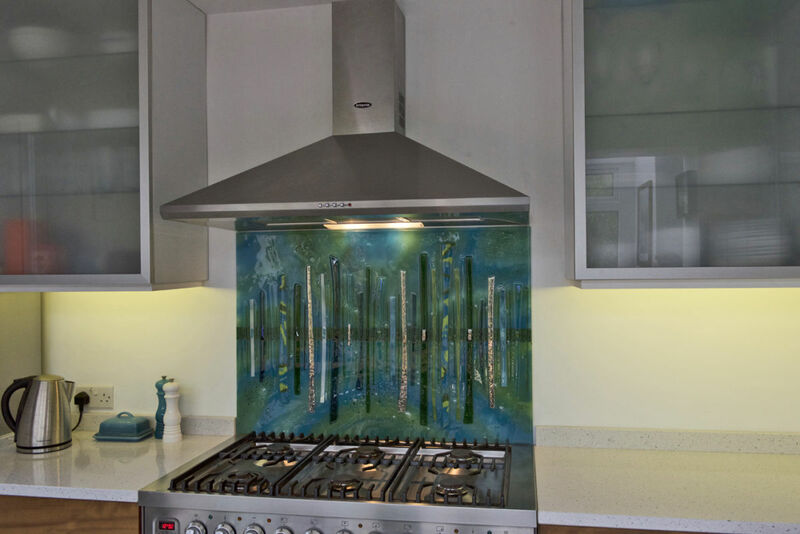 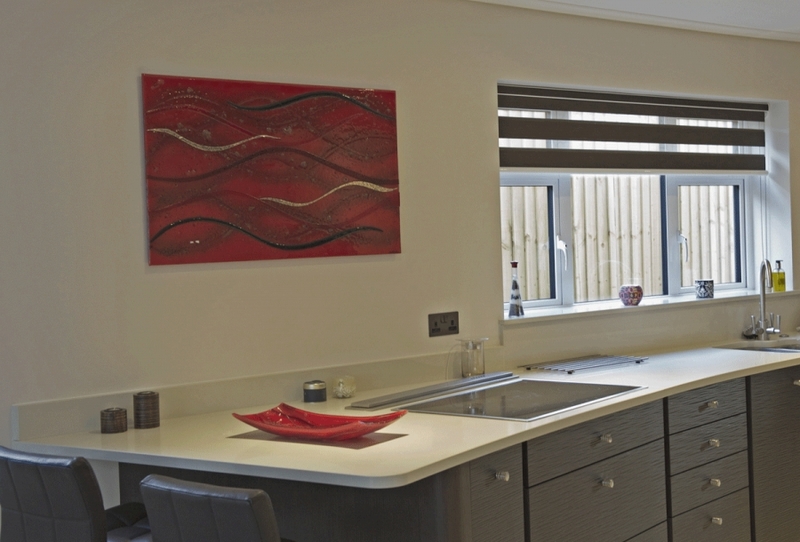 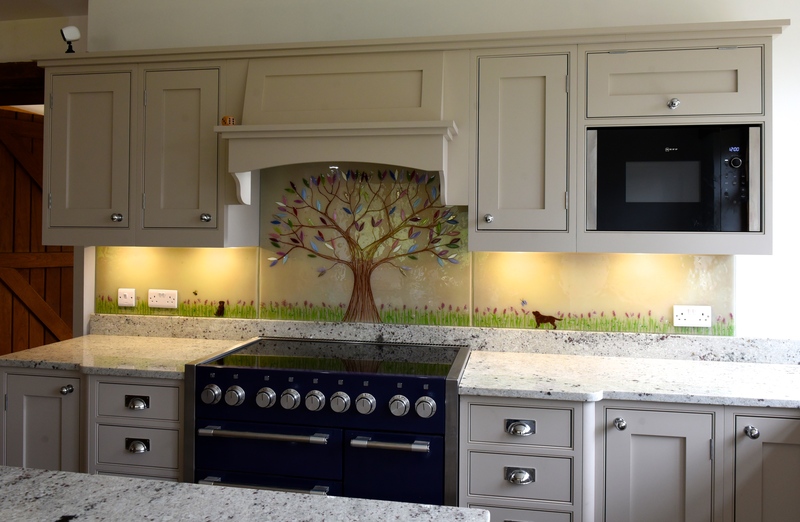 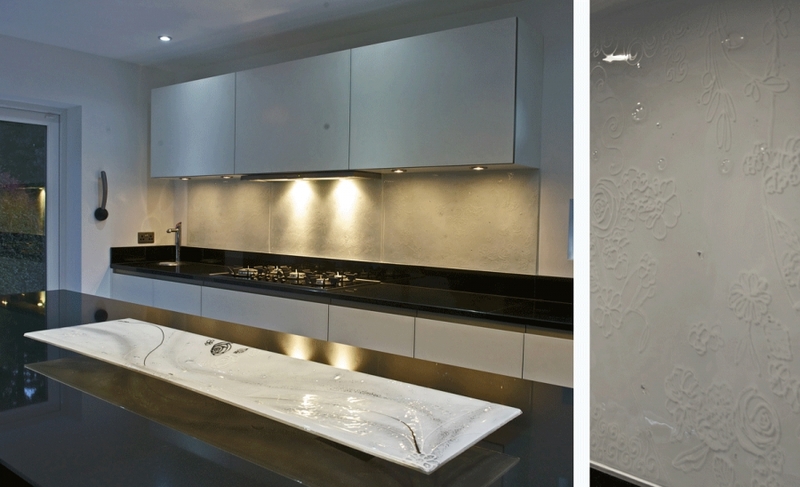 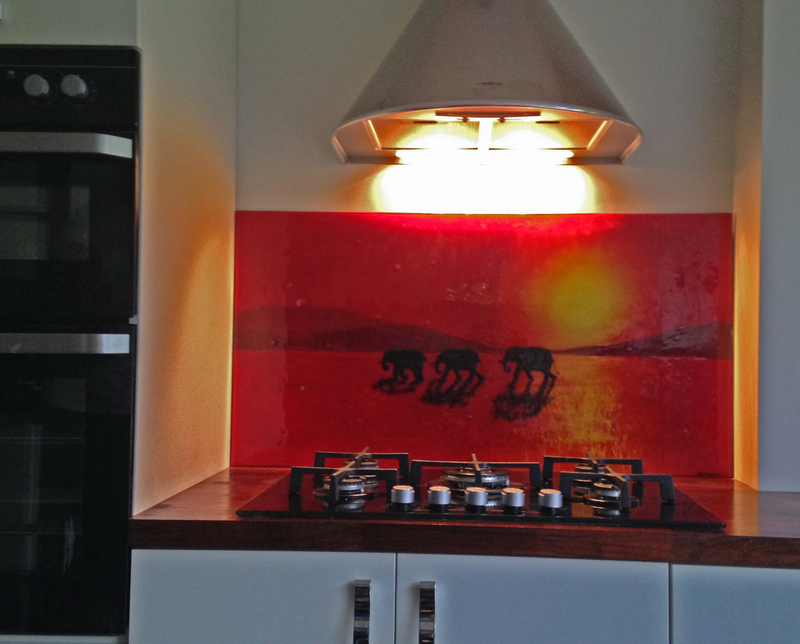 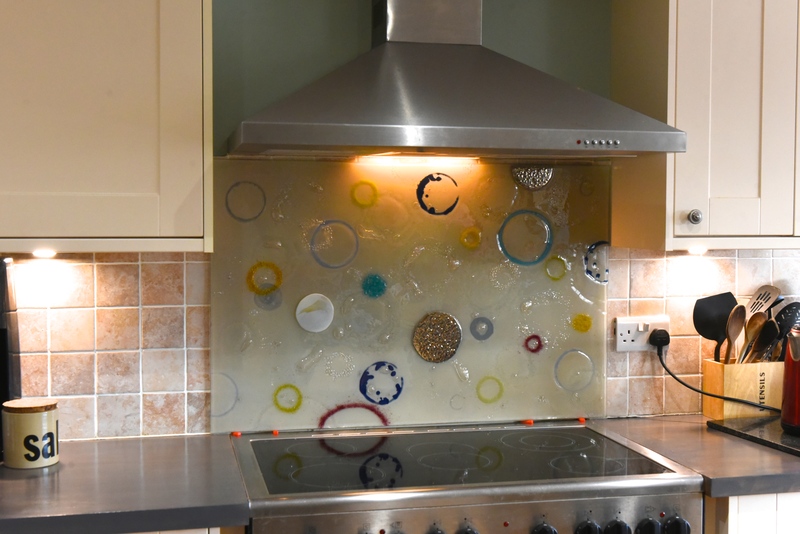 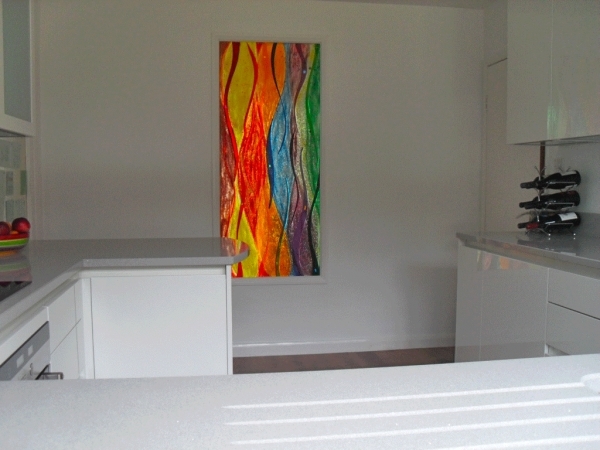 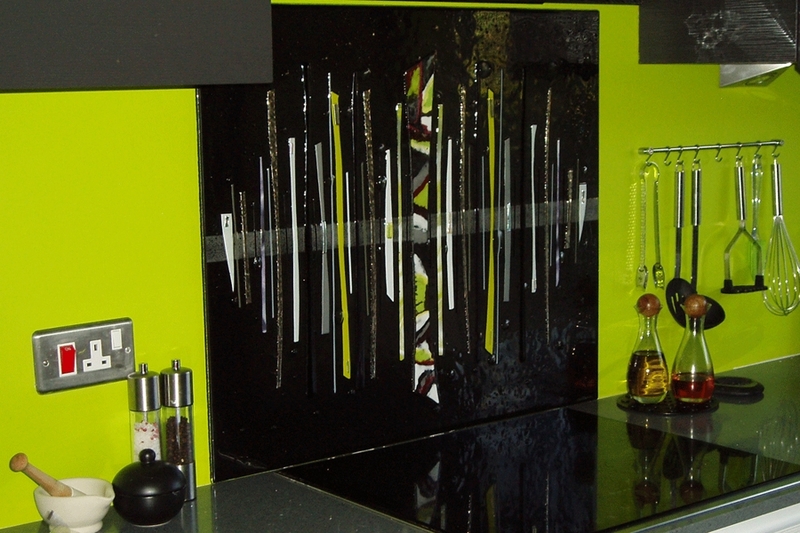 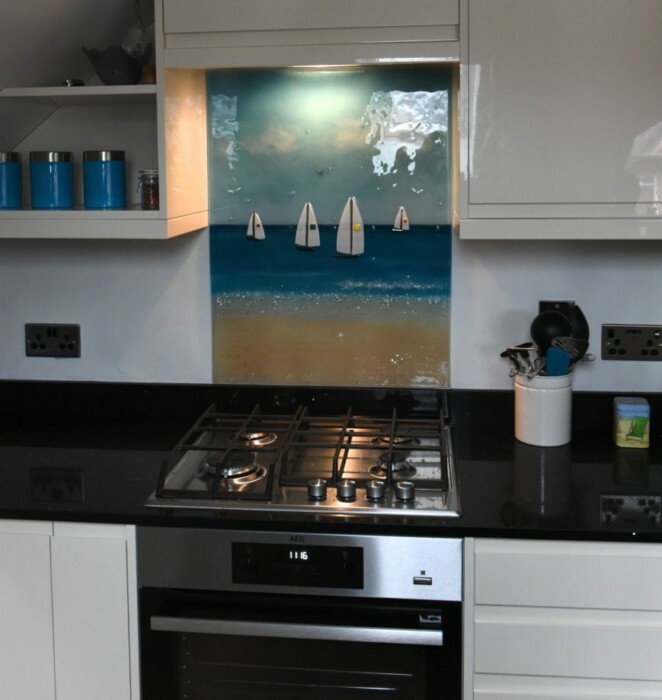 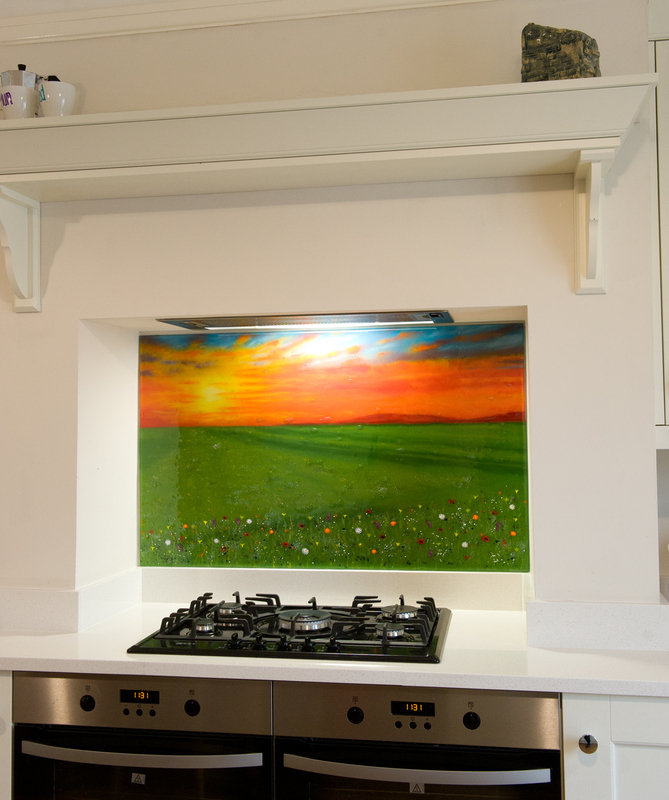 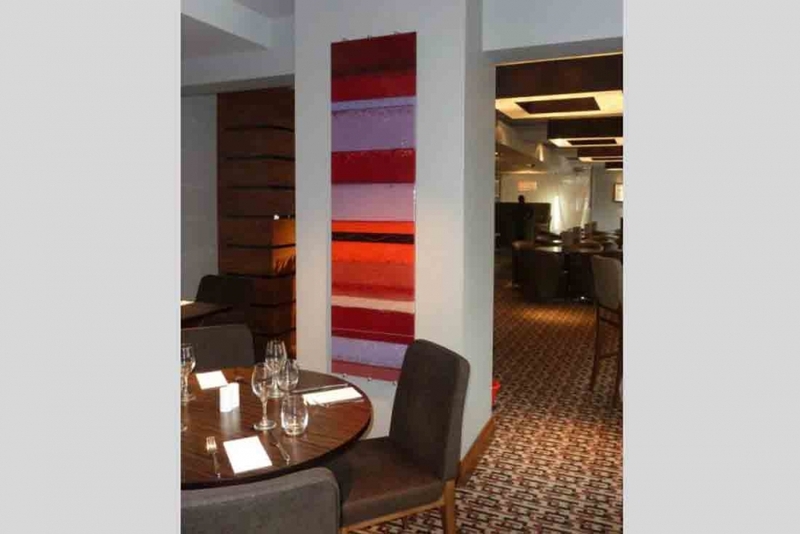 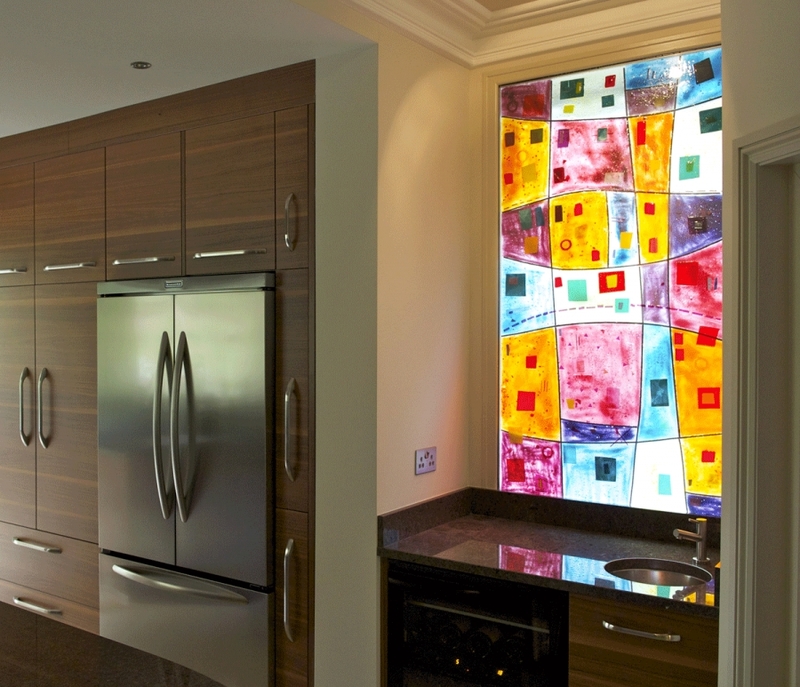 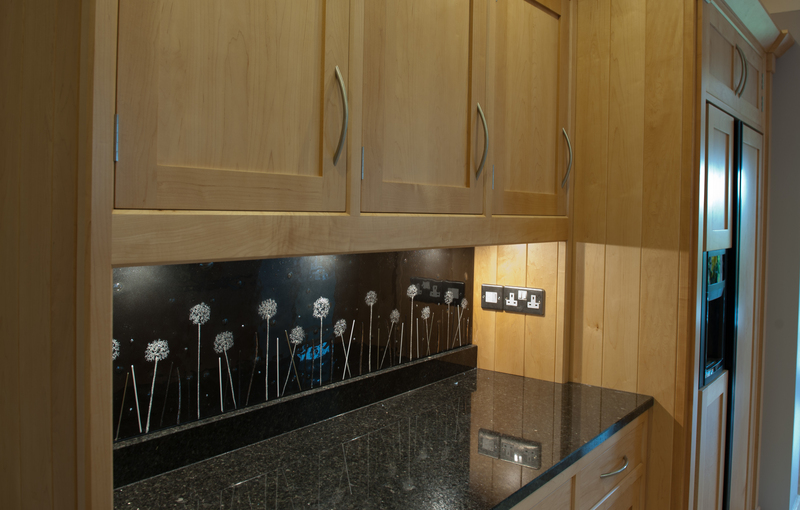 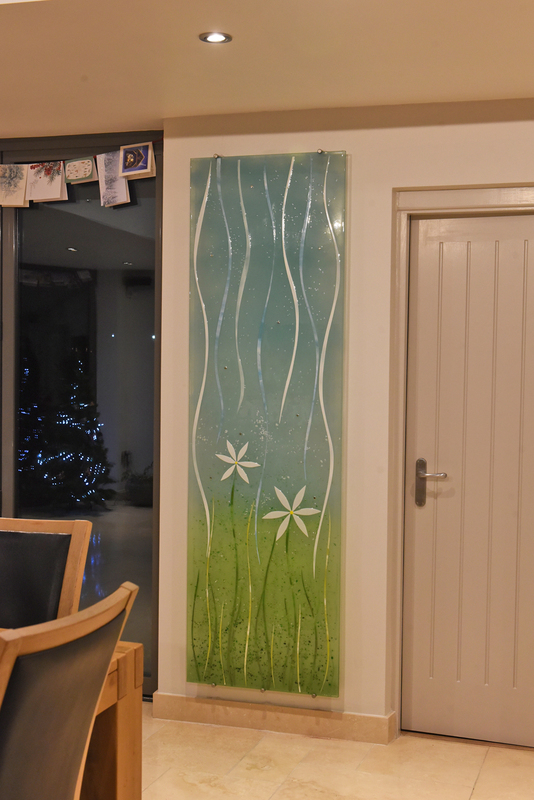 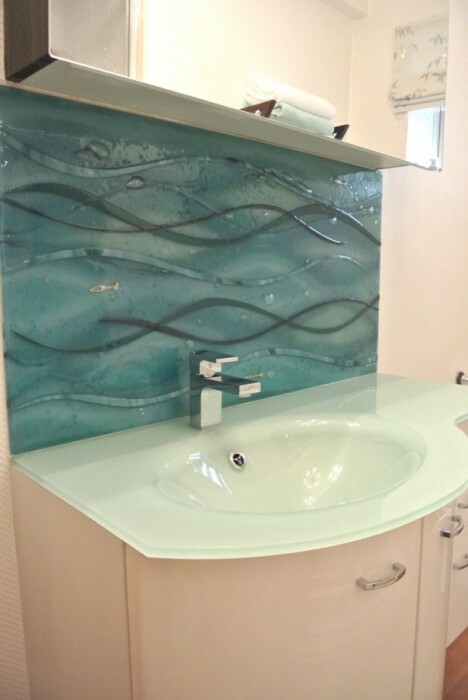 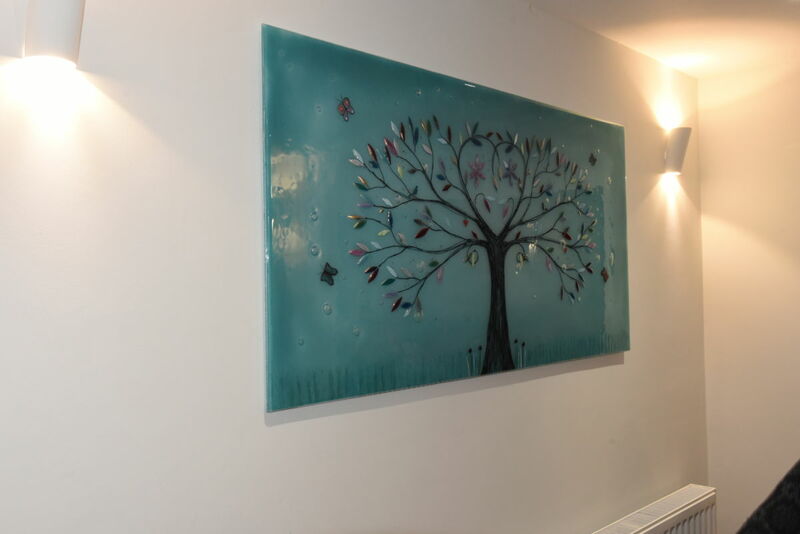 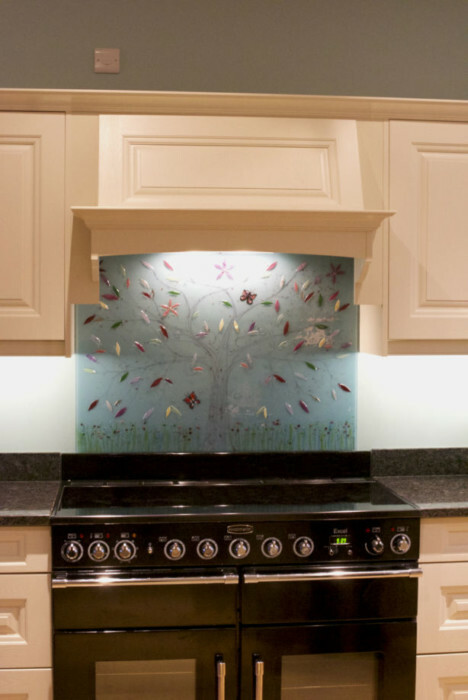 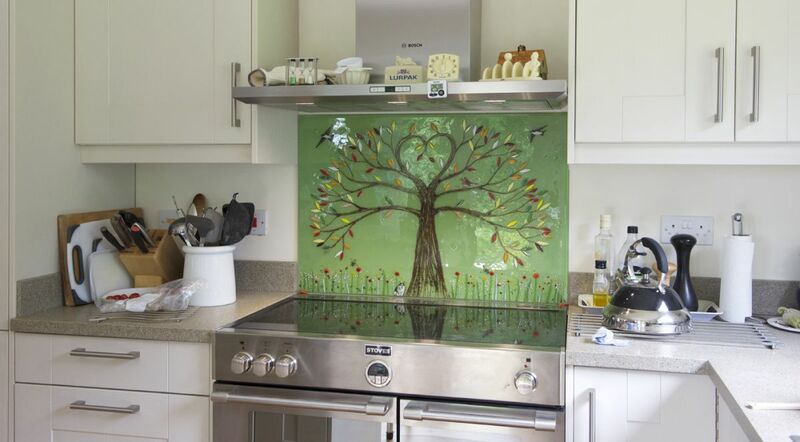 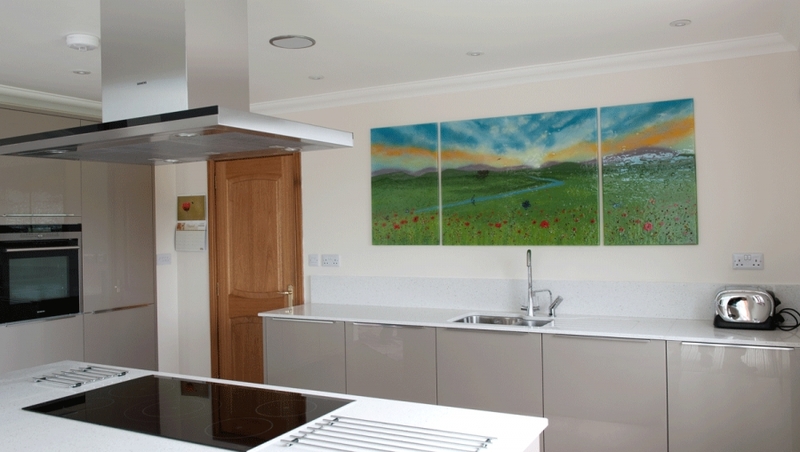 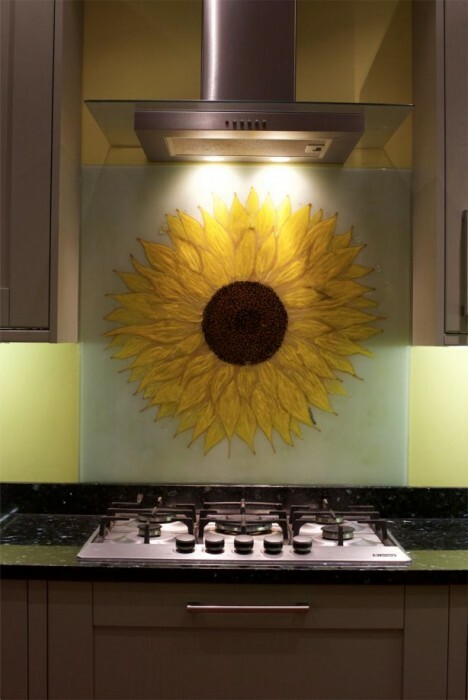 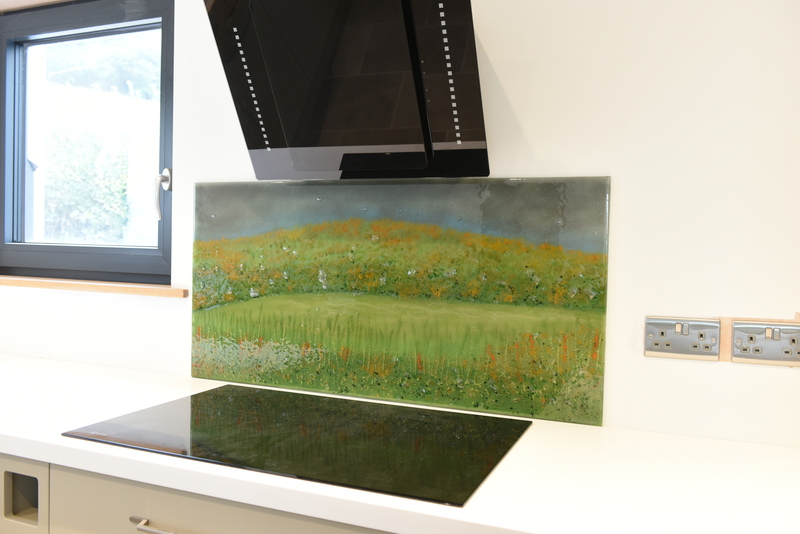 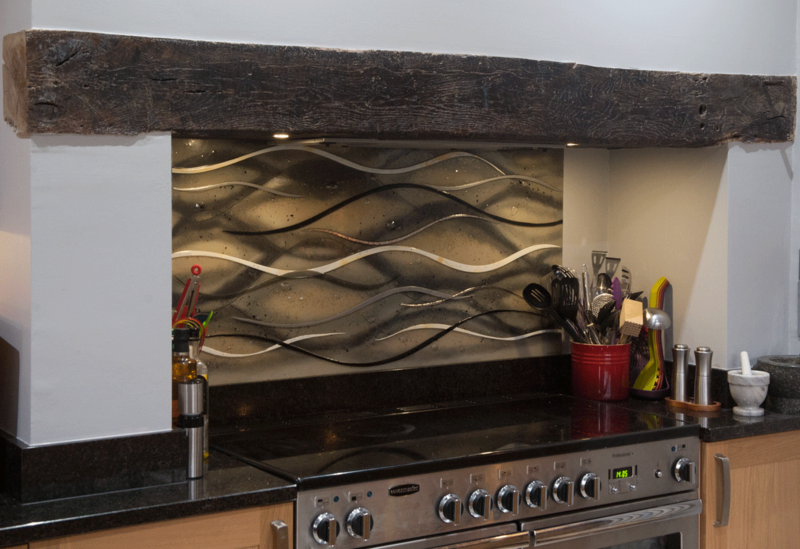 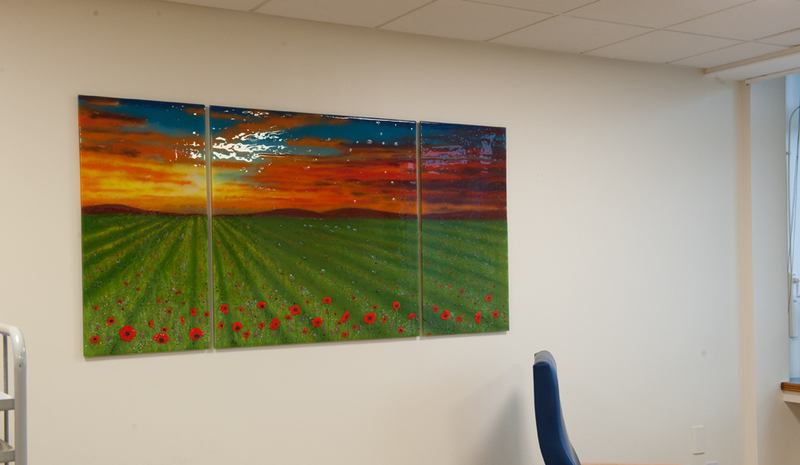 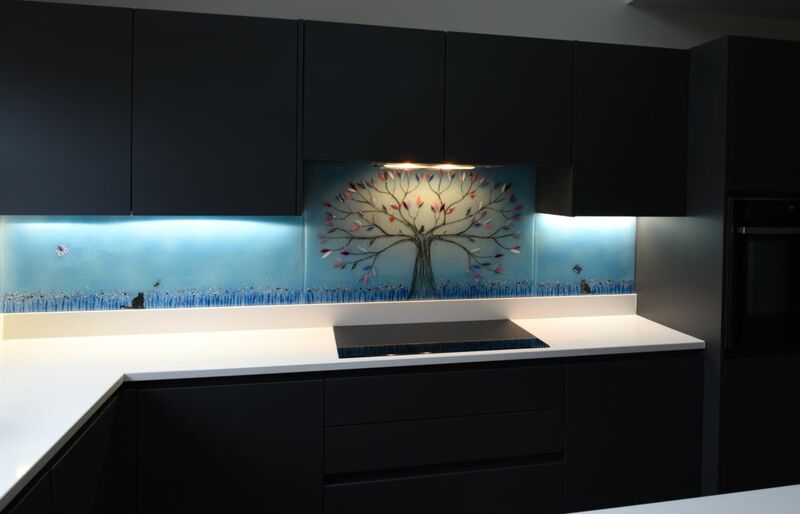 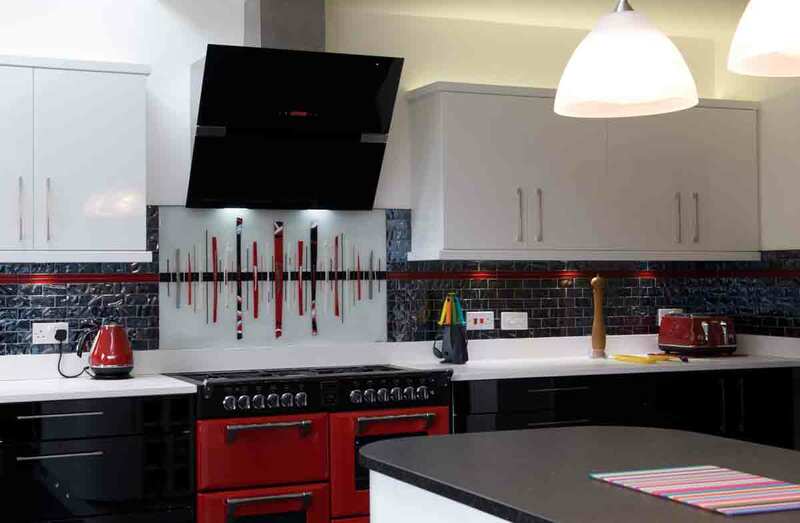 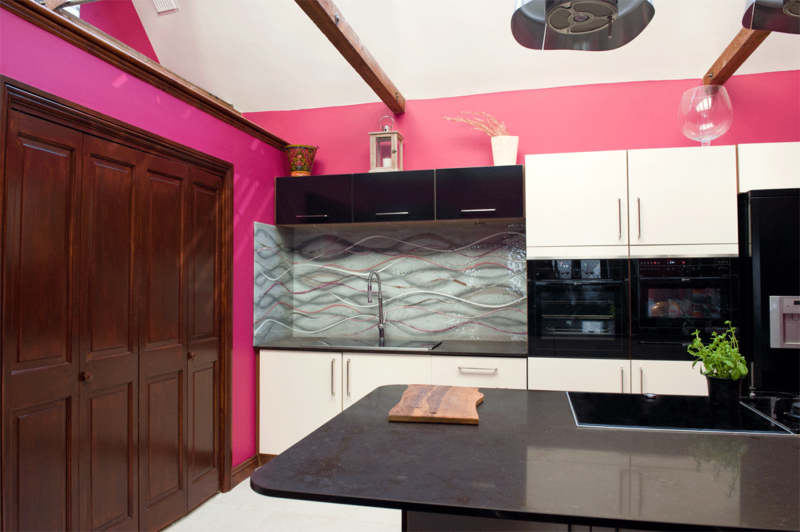 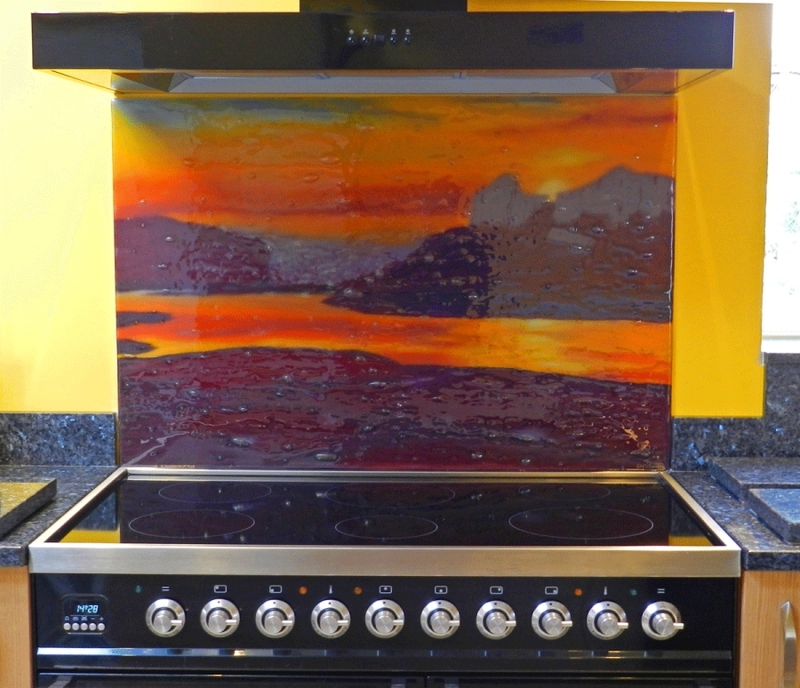 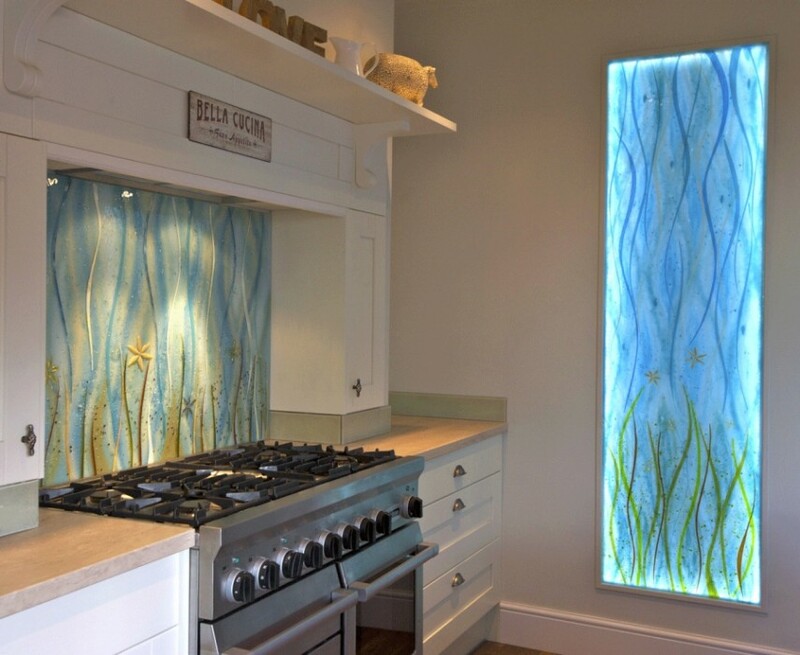 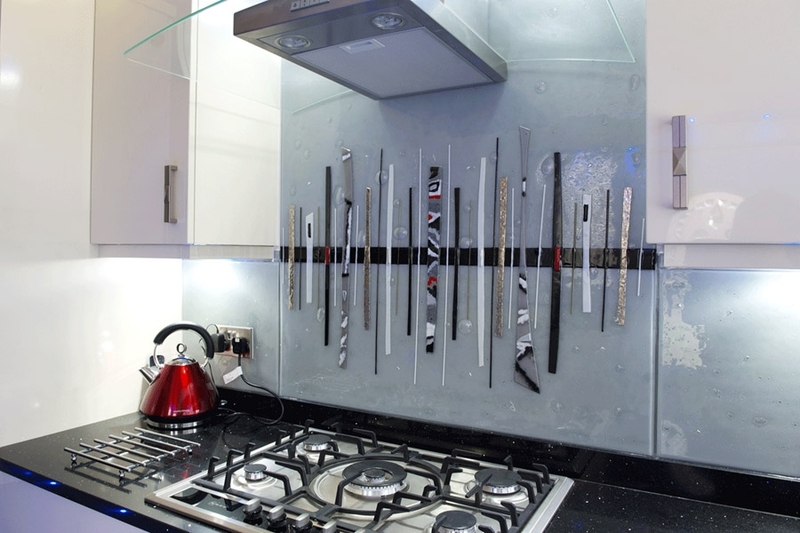 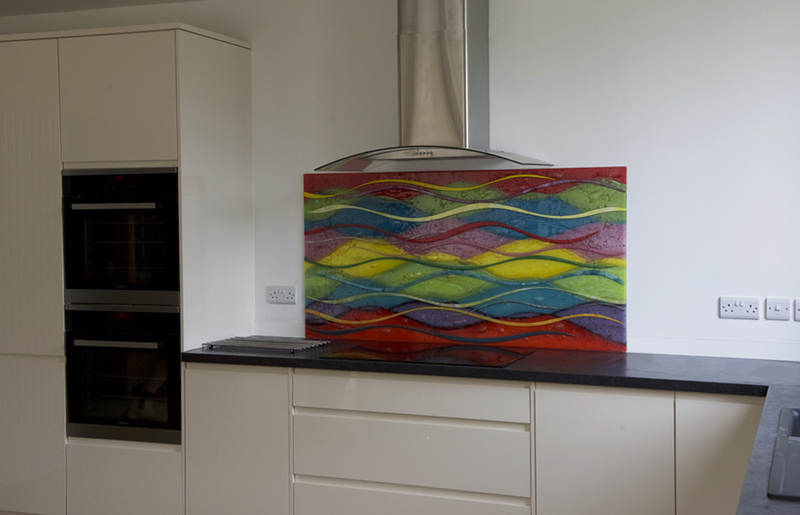 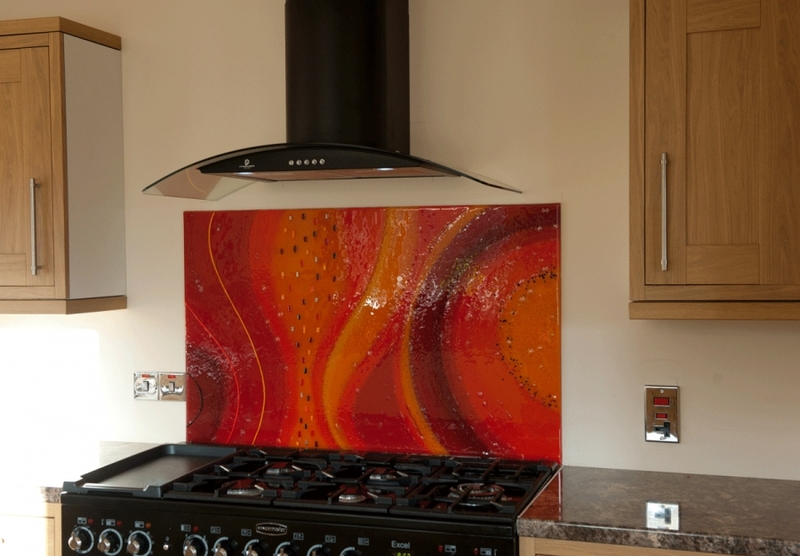 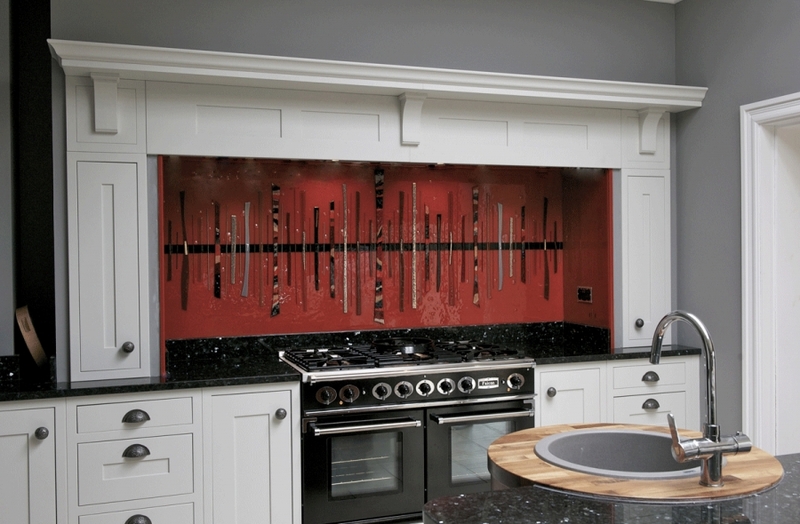 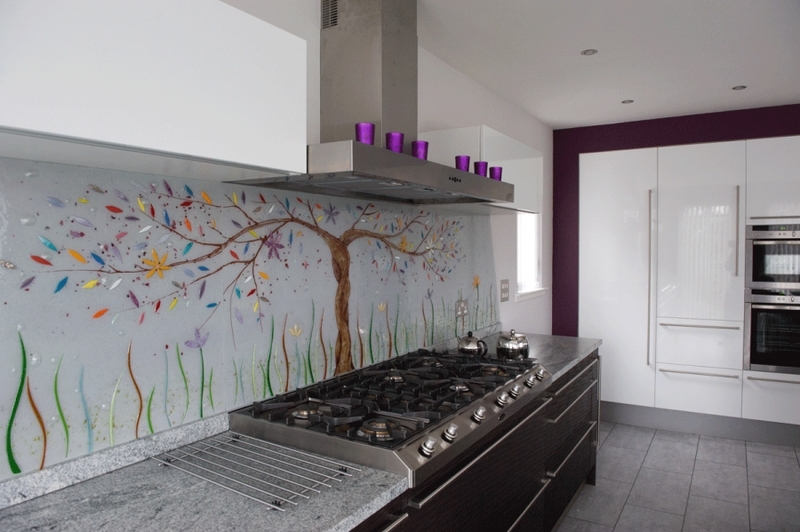 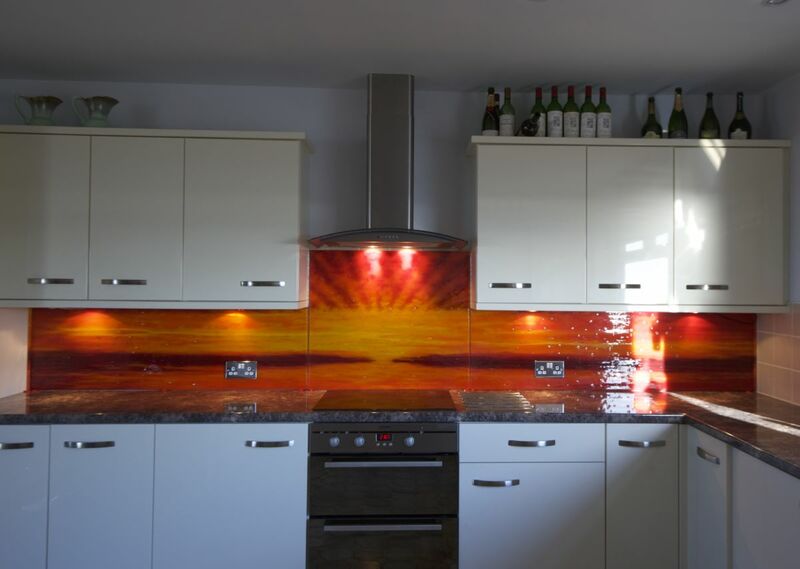 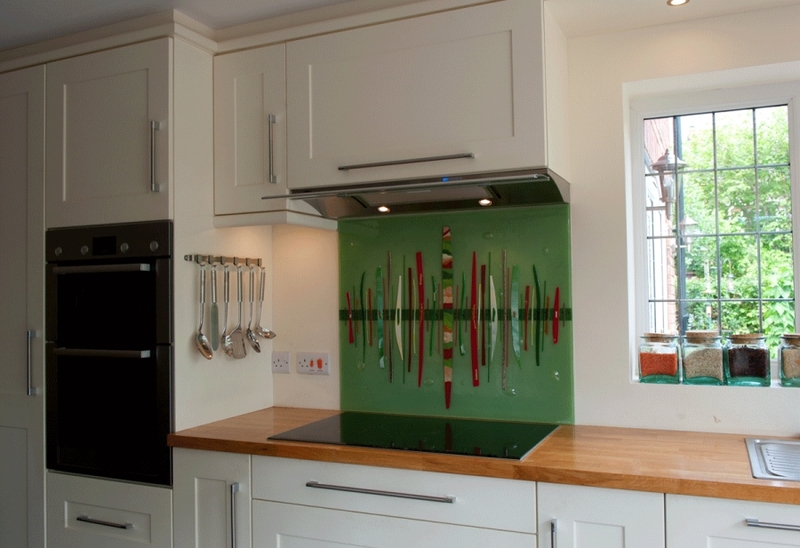 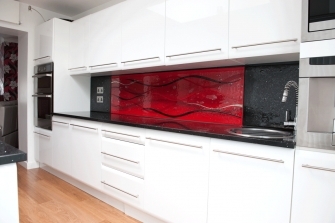 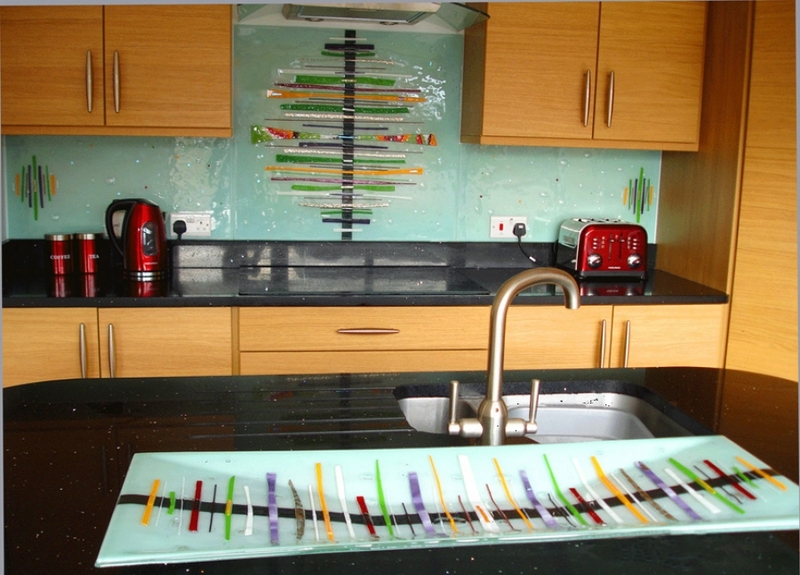 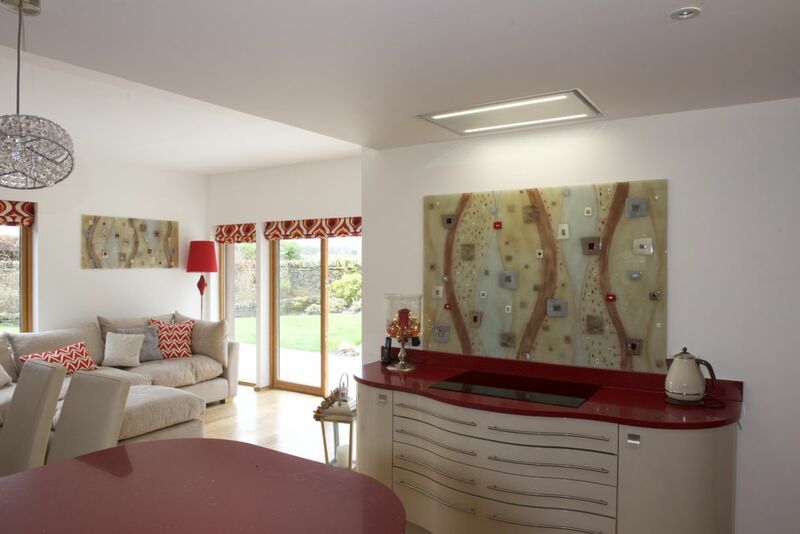 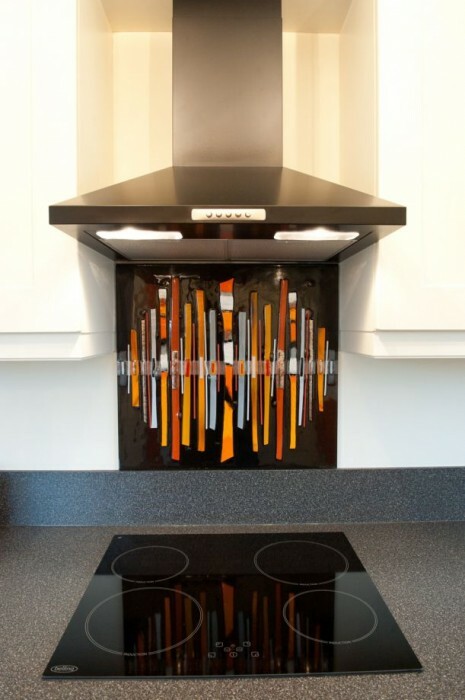 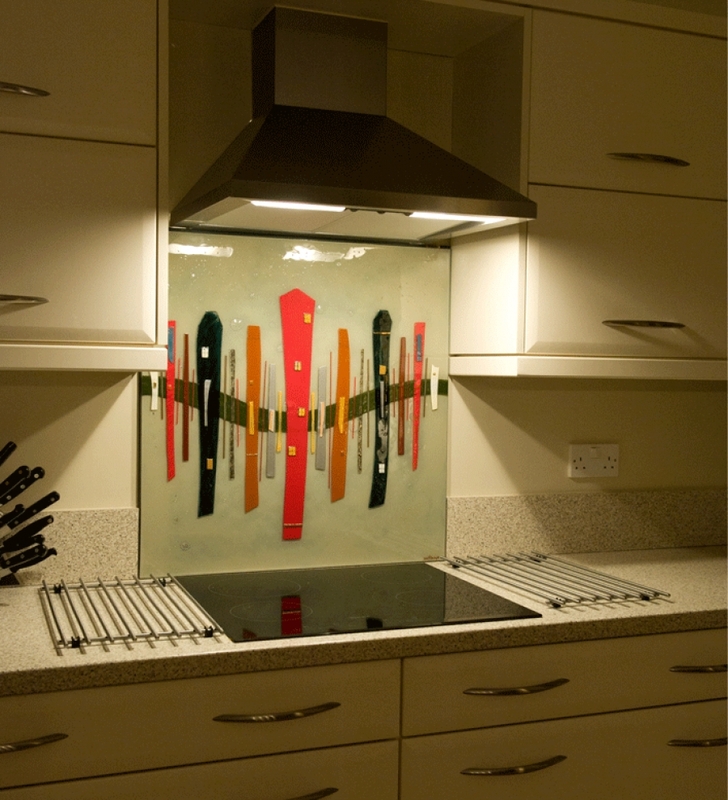 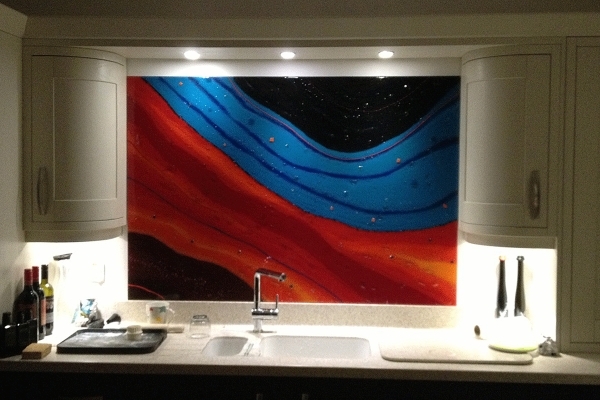 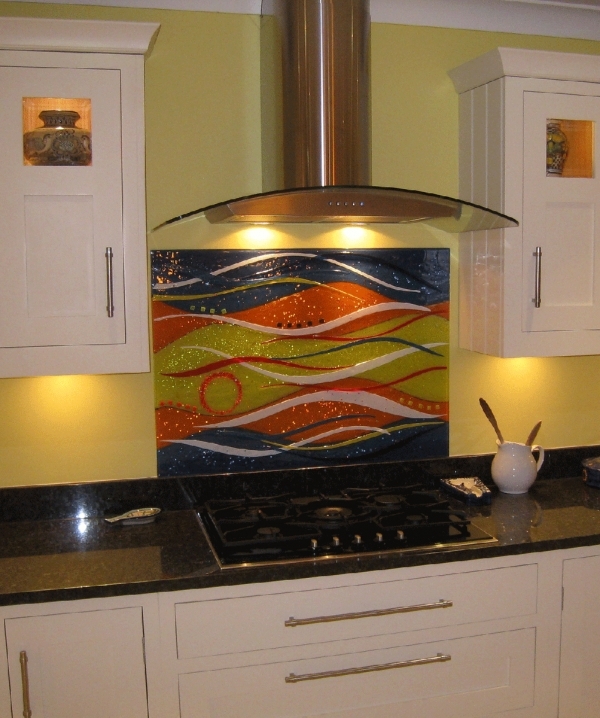 This bespoke glass splashback example of how our bespoke glass splashbacks can complement the style of a kitchen, completing any theme with a cherry on top. 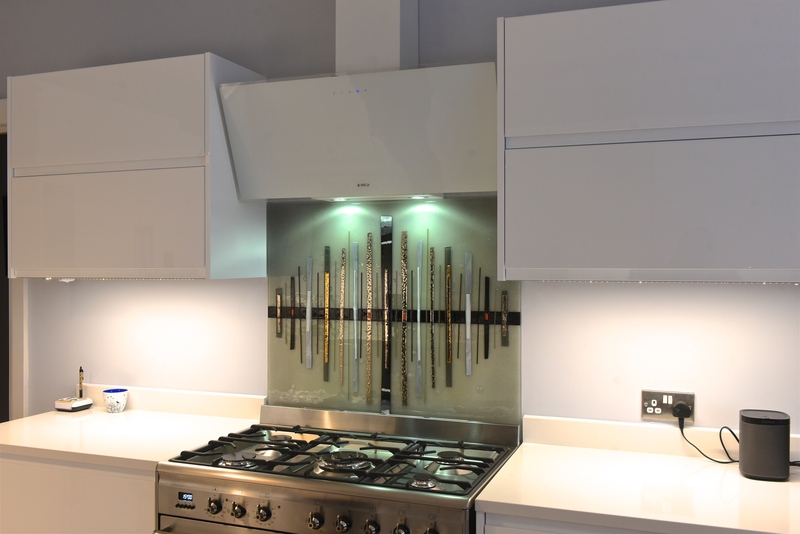 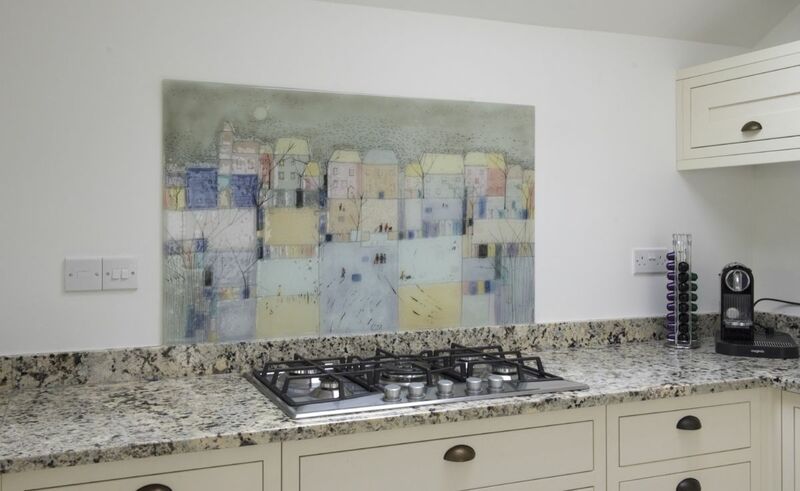 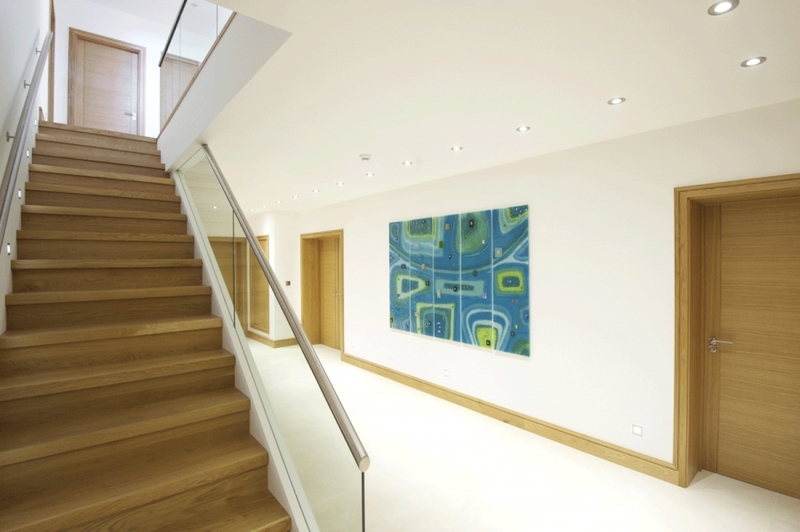 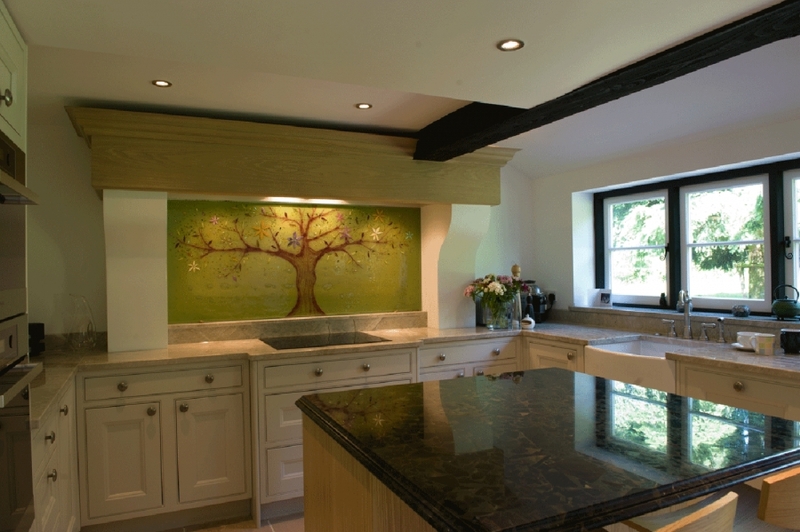 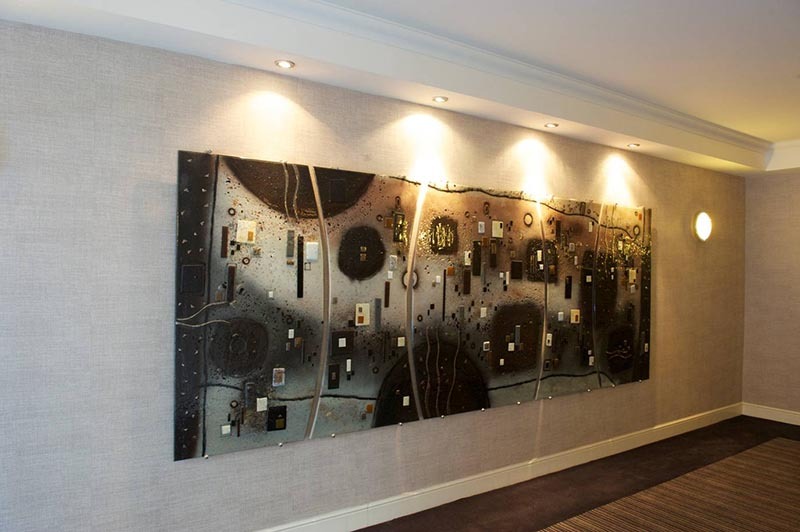 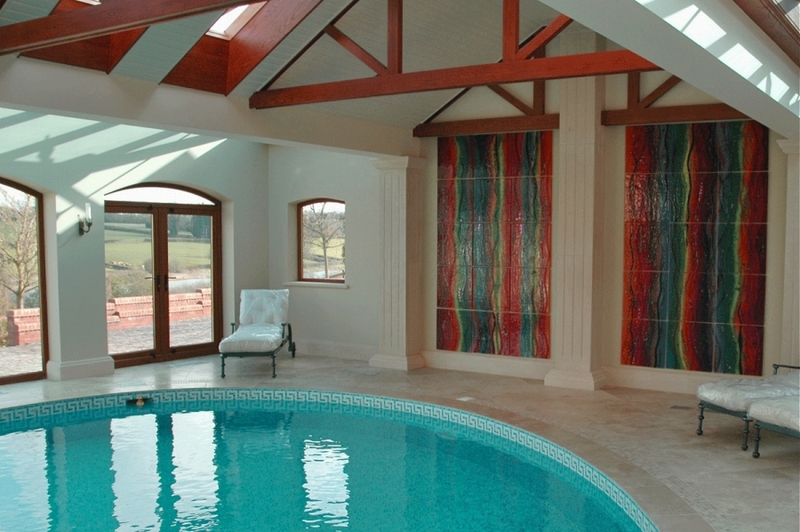 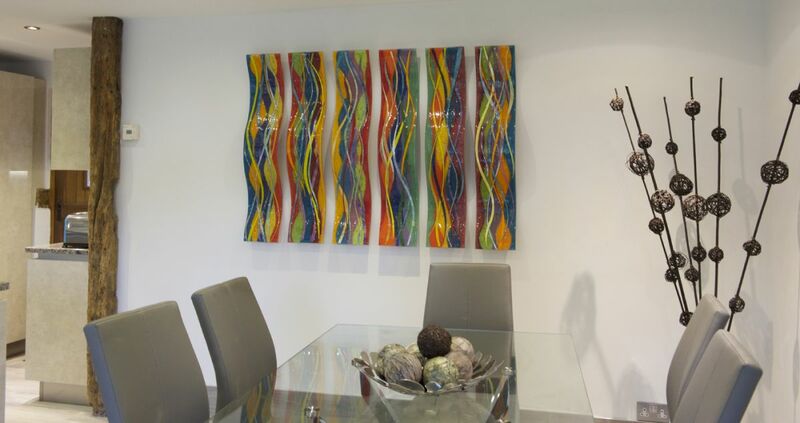 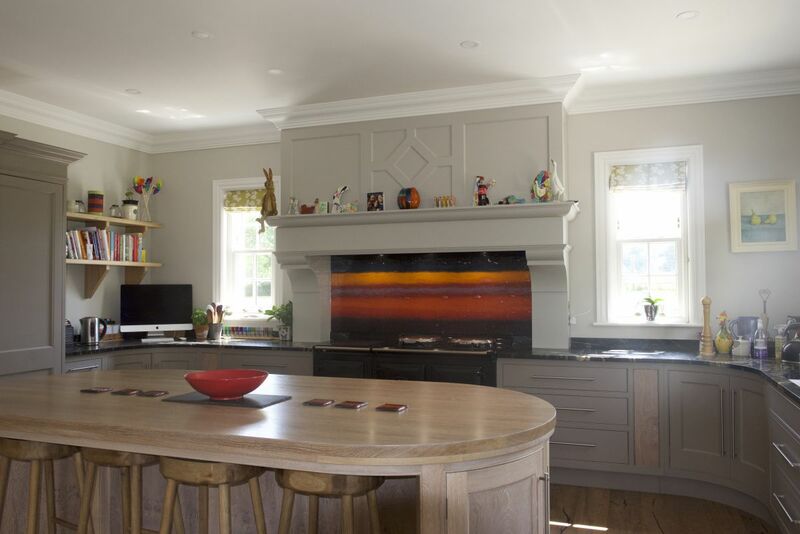 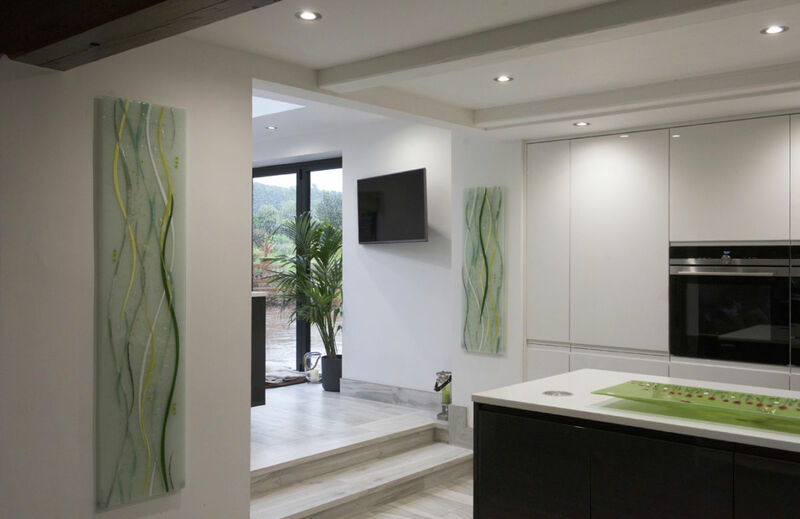 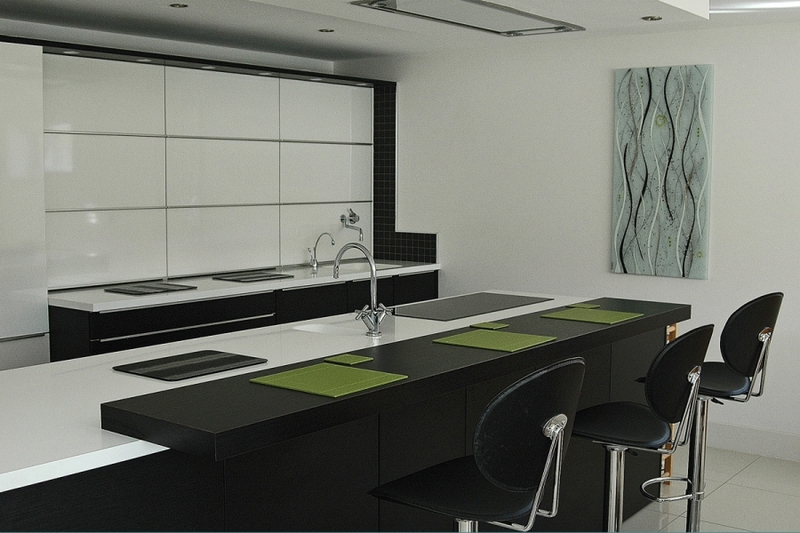 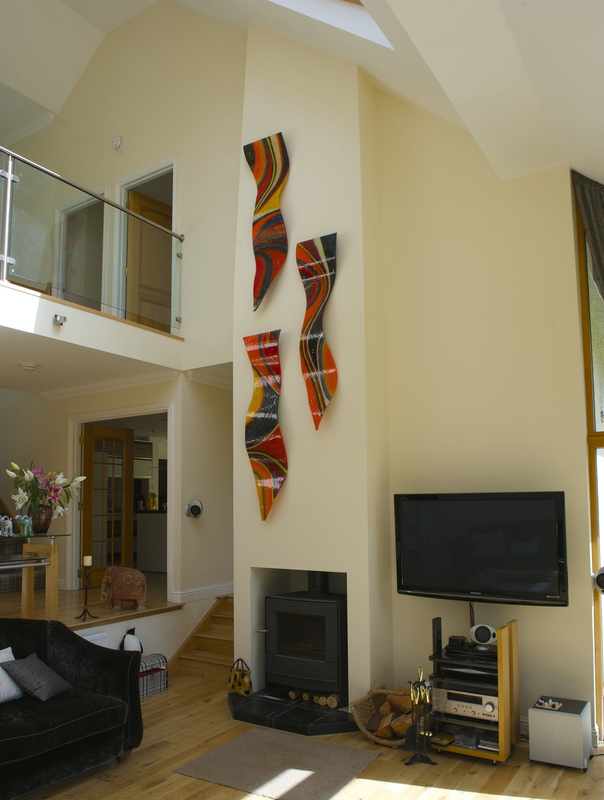 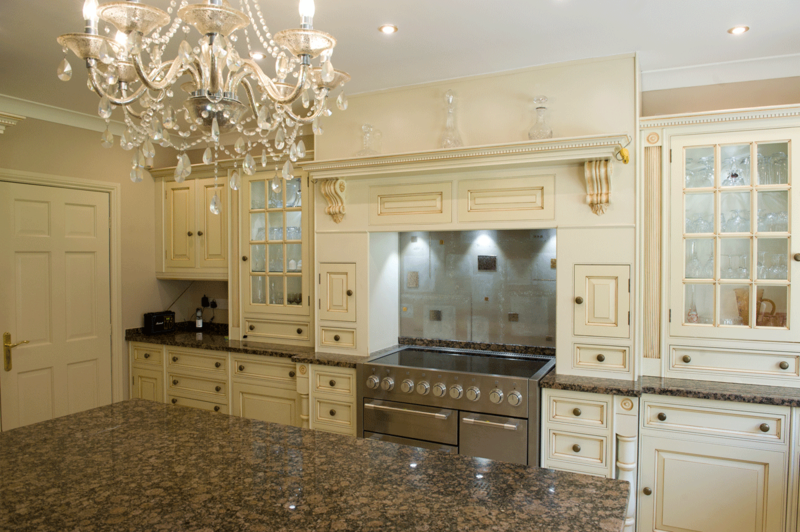 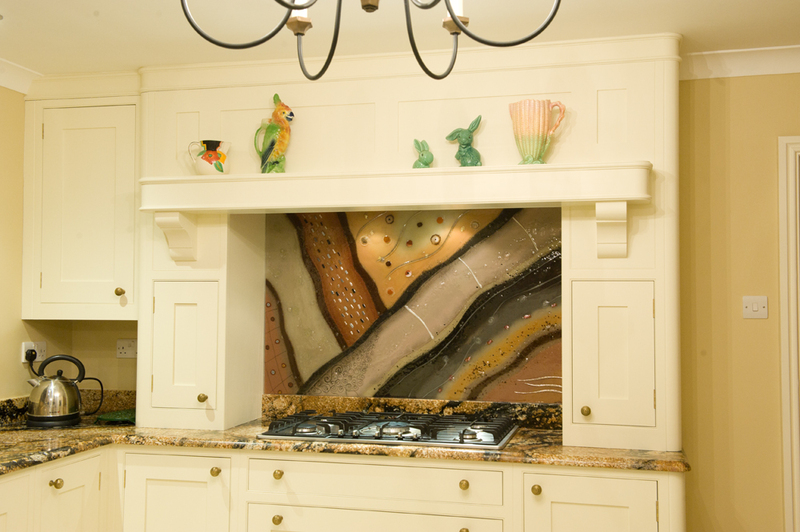 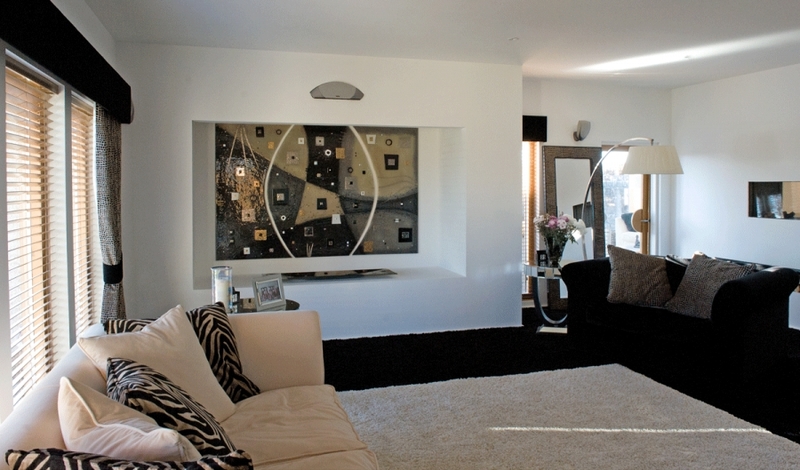 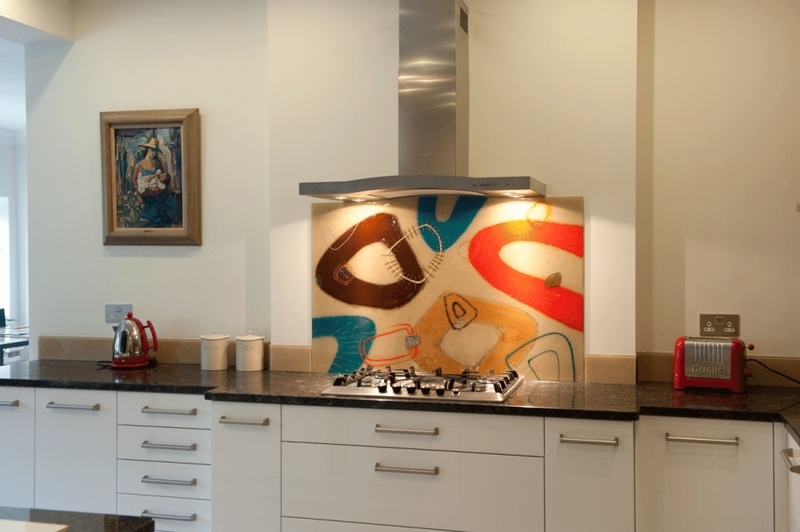 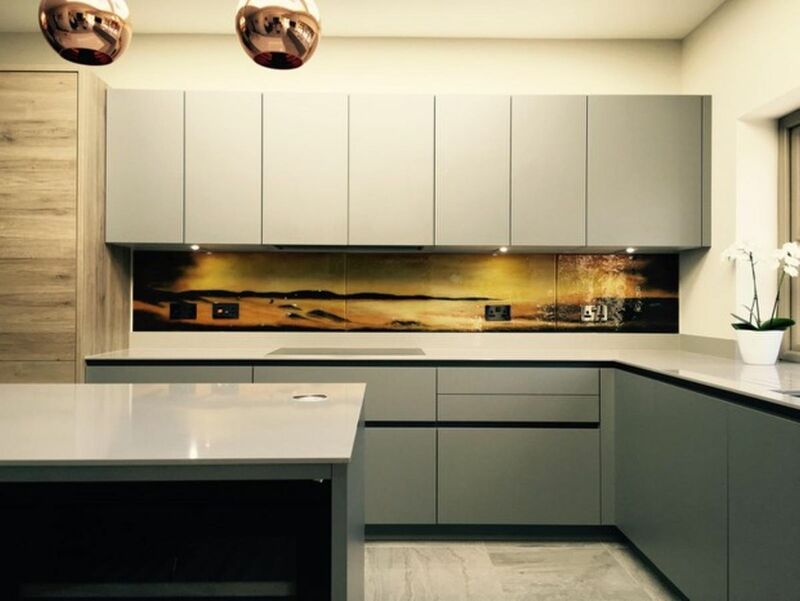 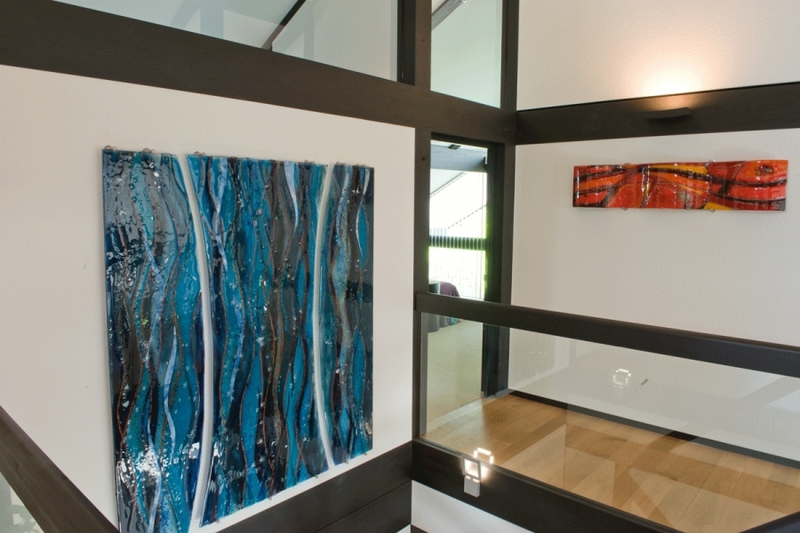 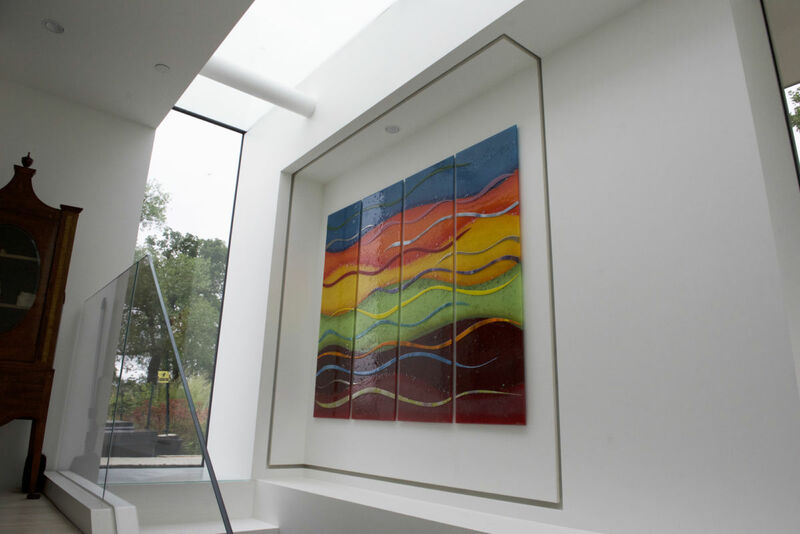 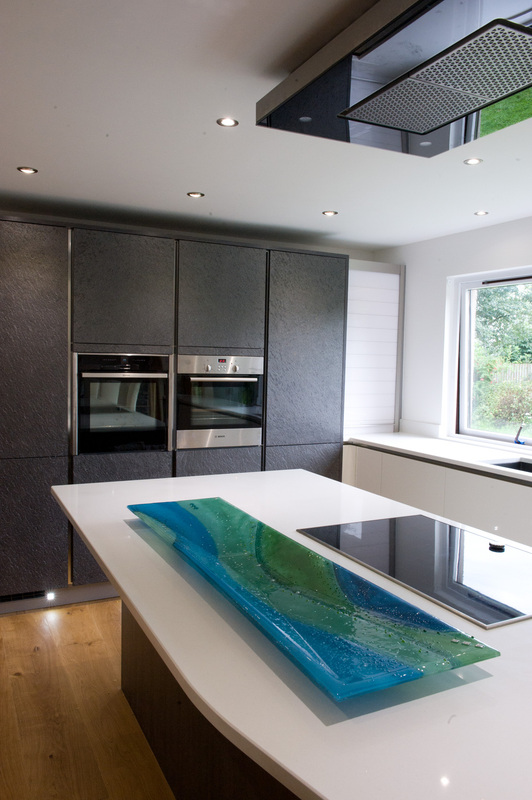 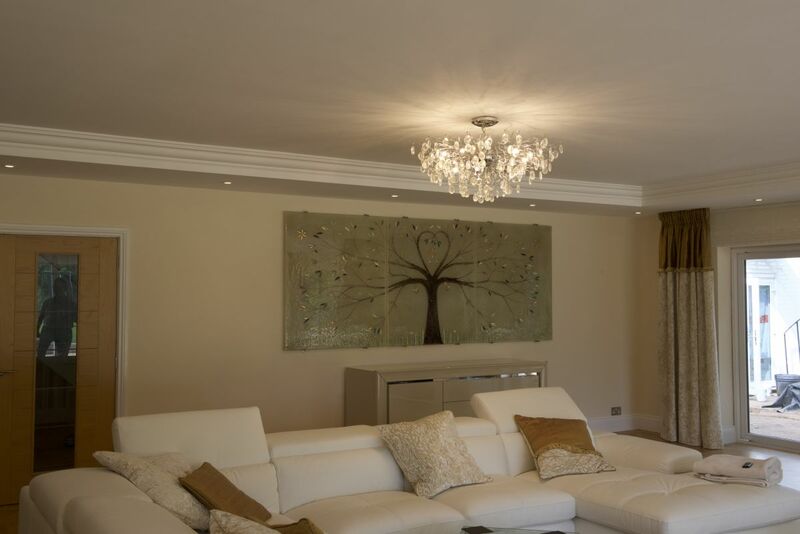 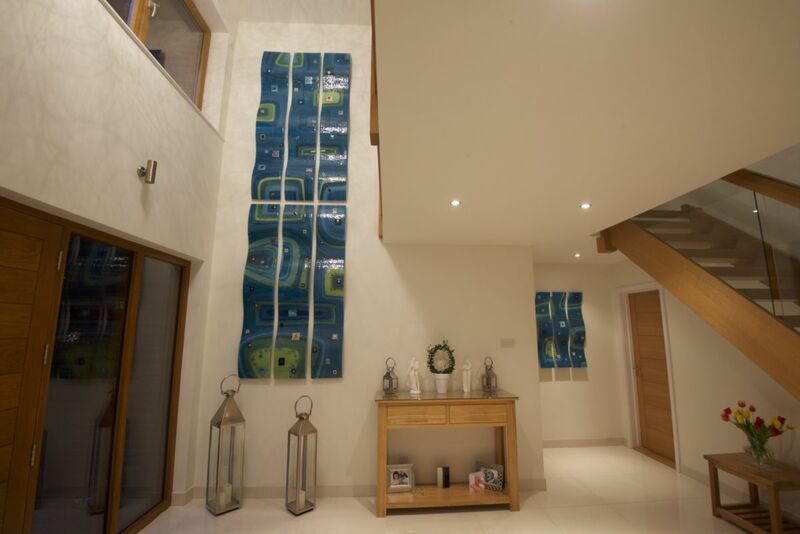 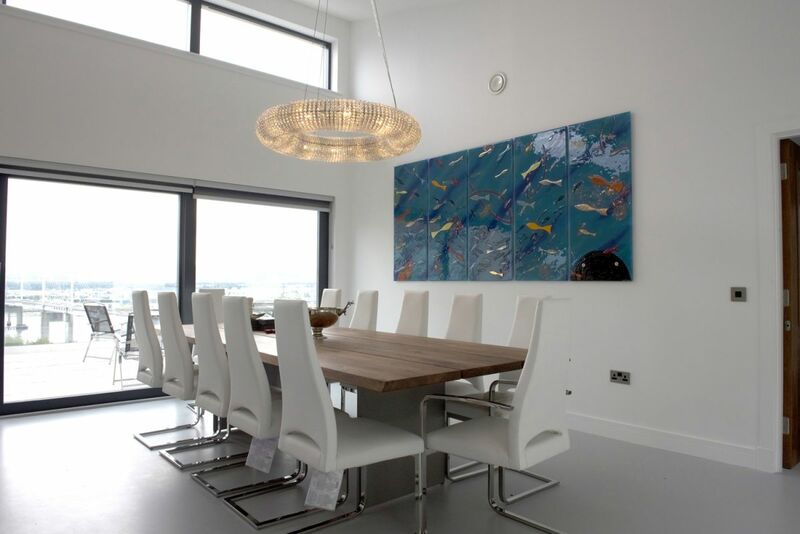 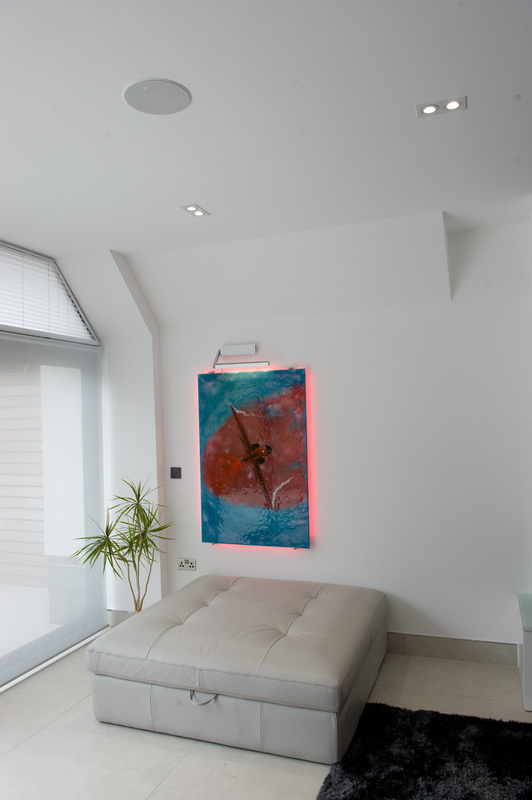 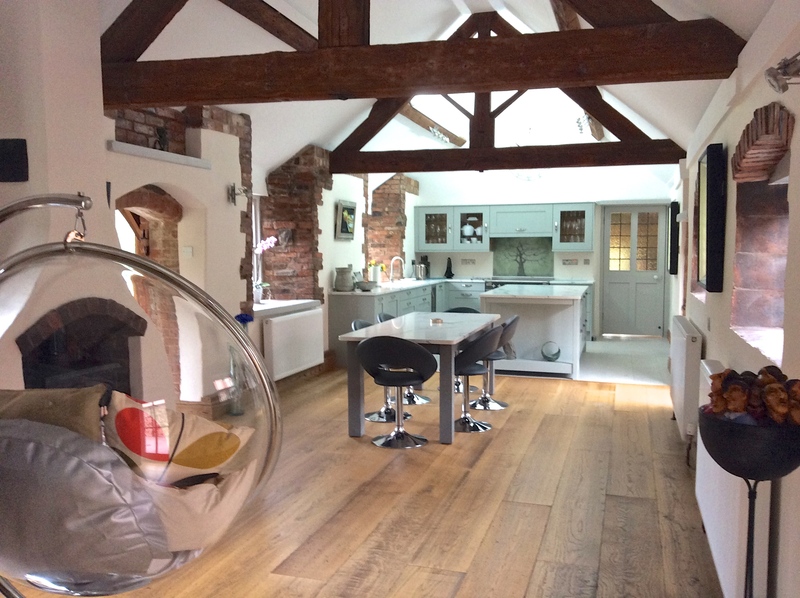 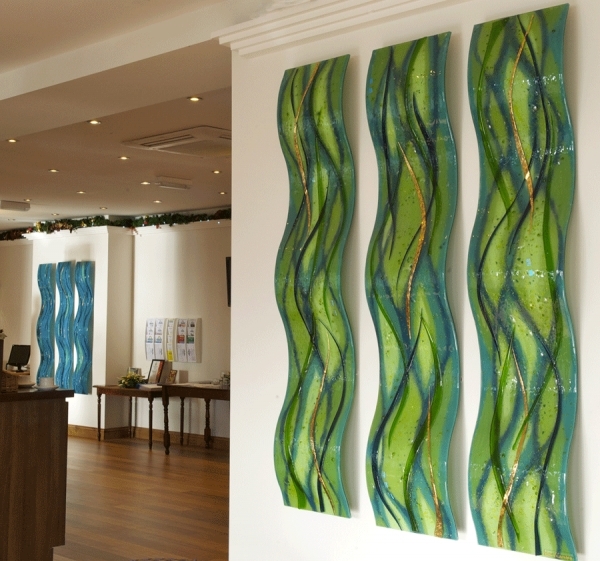 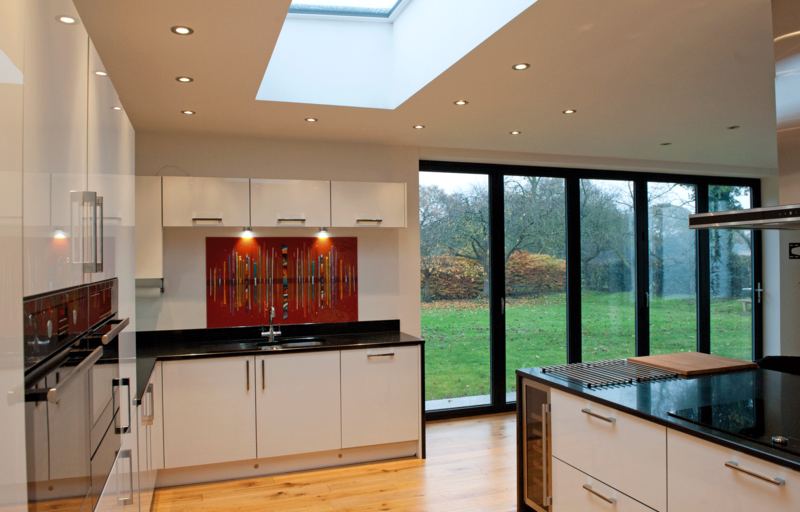 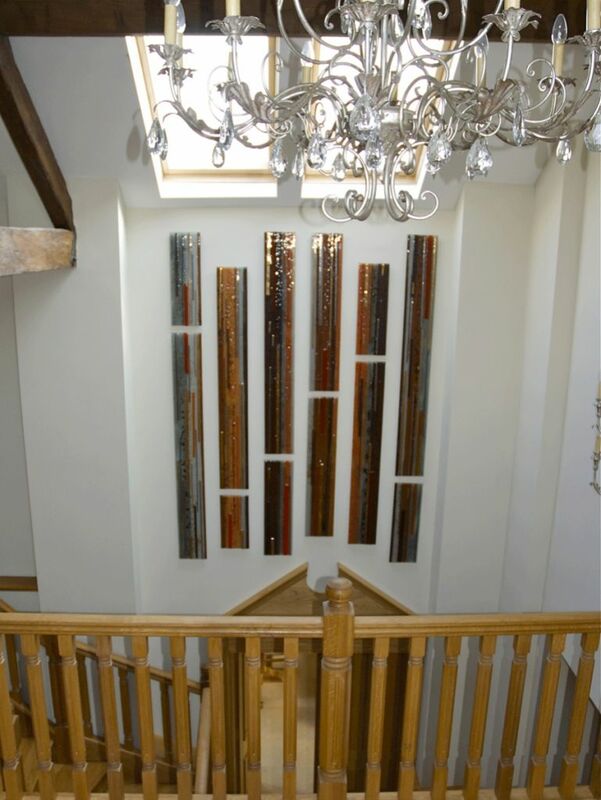 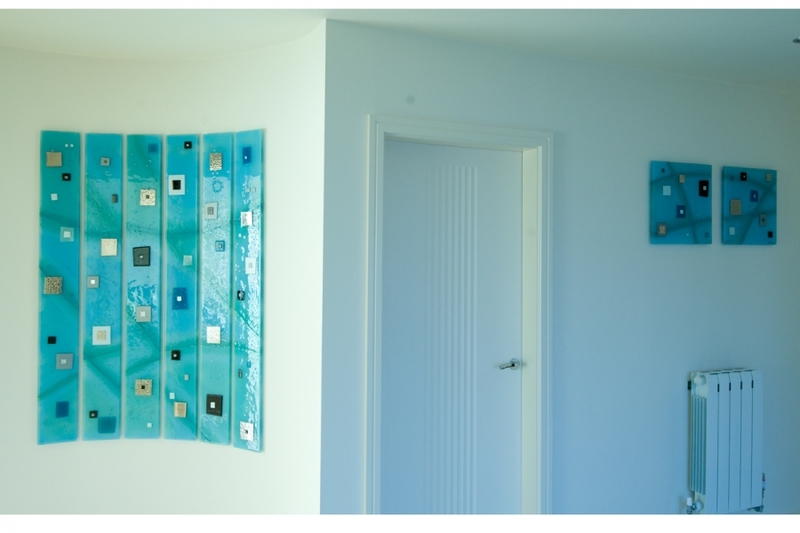 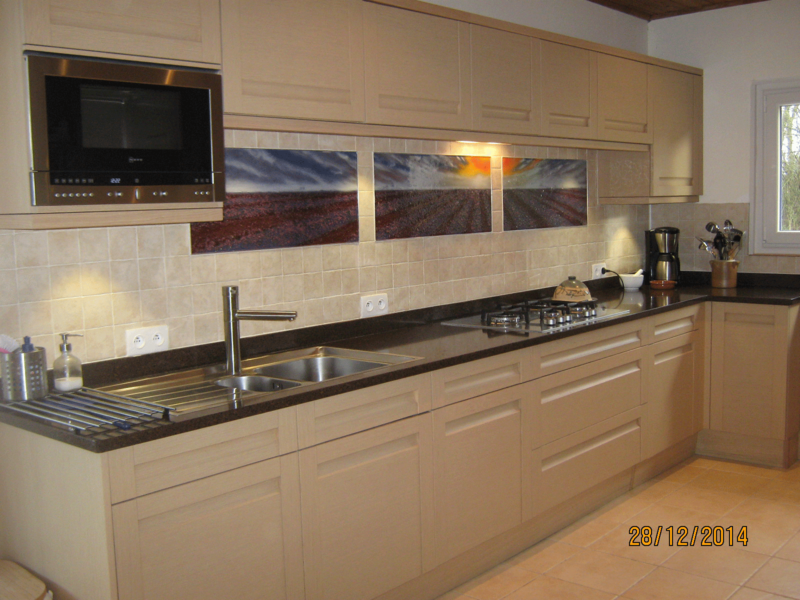 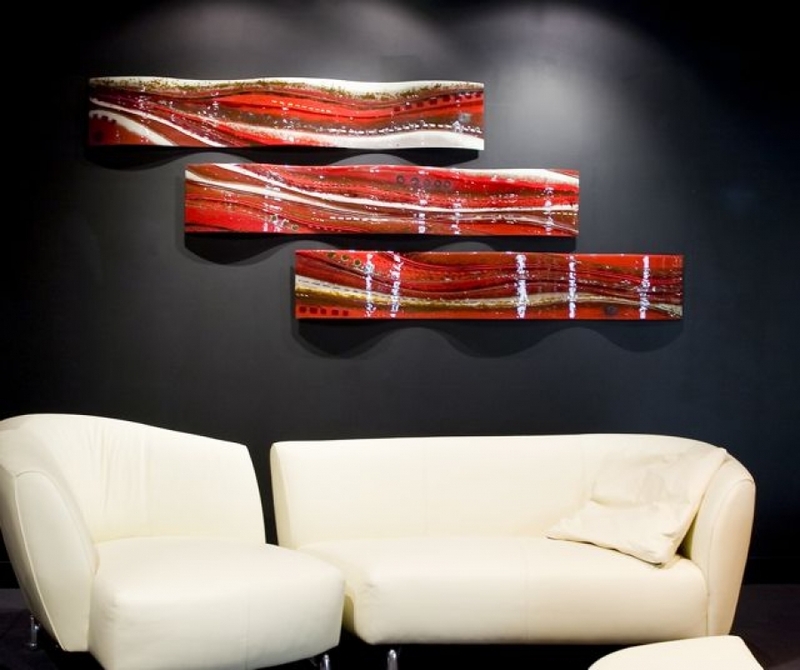 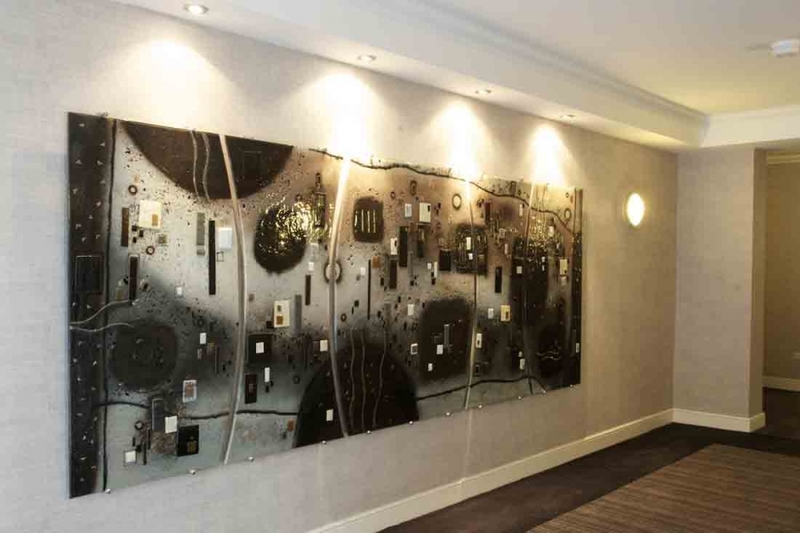 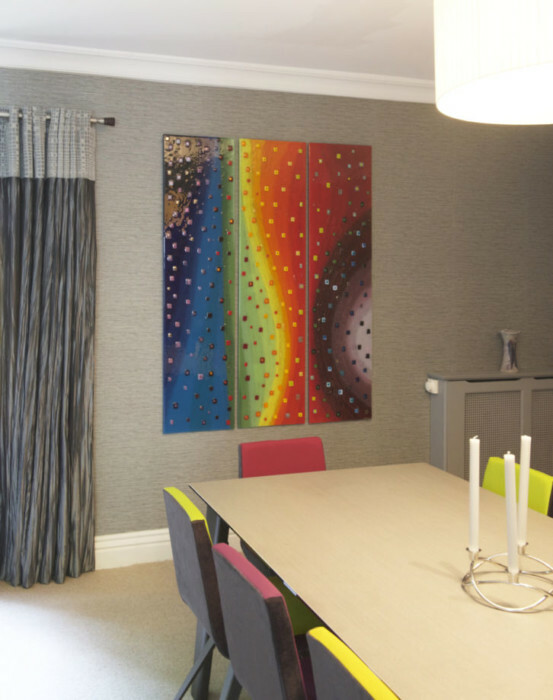 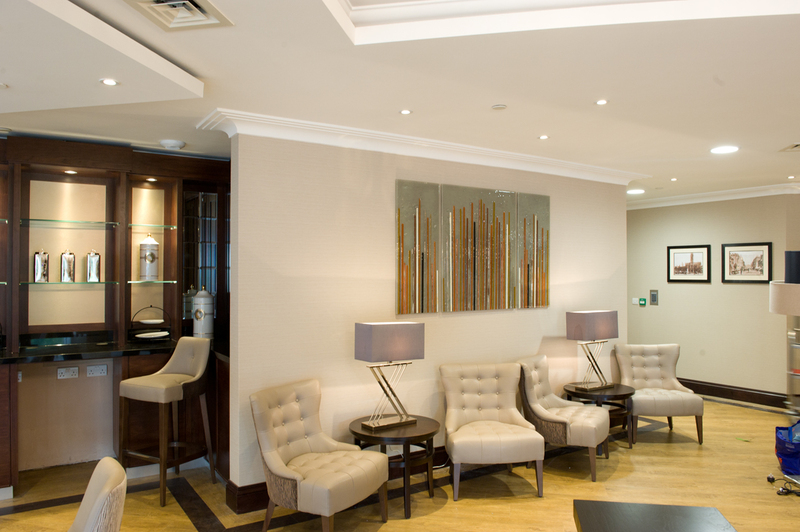 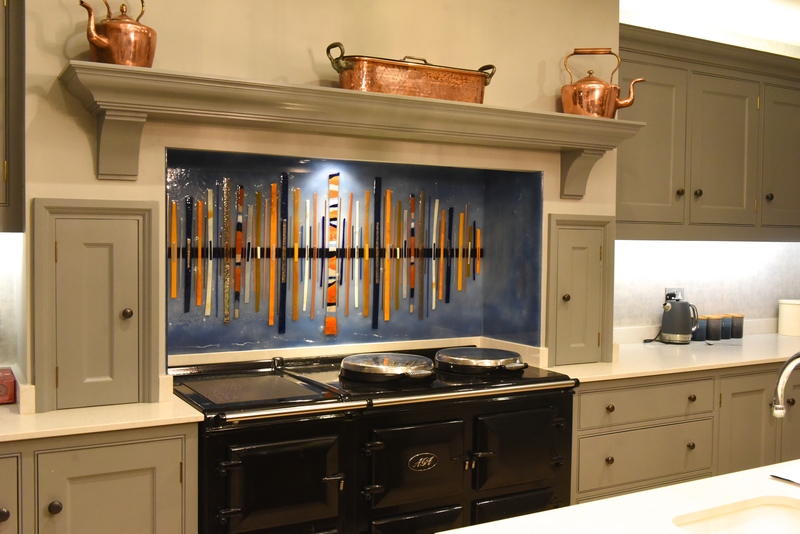 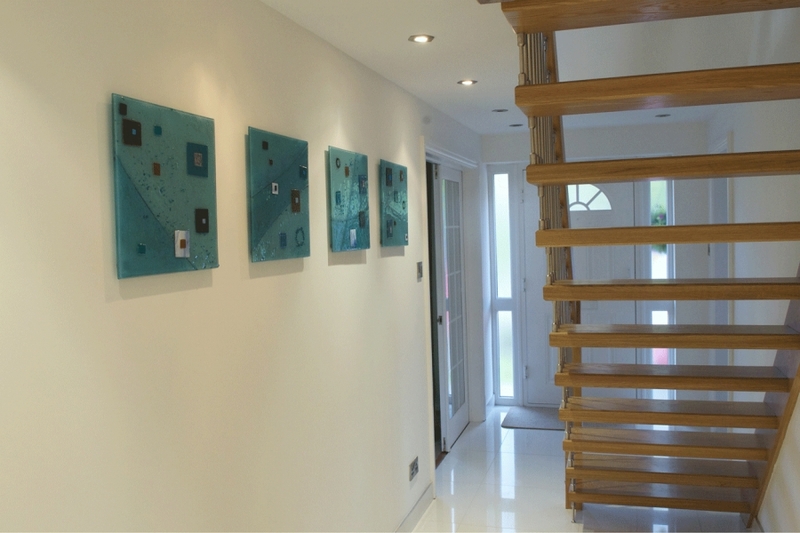 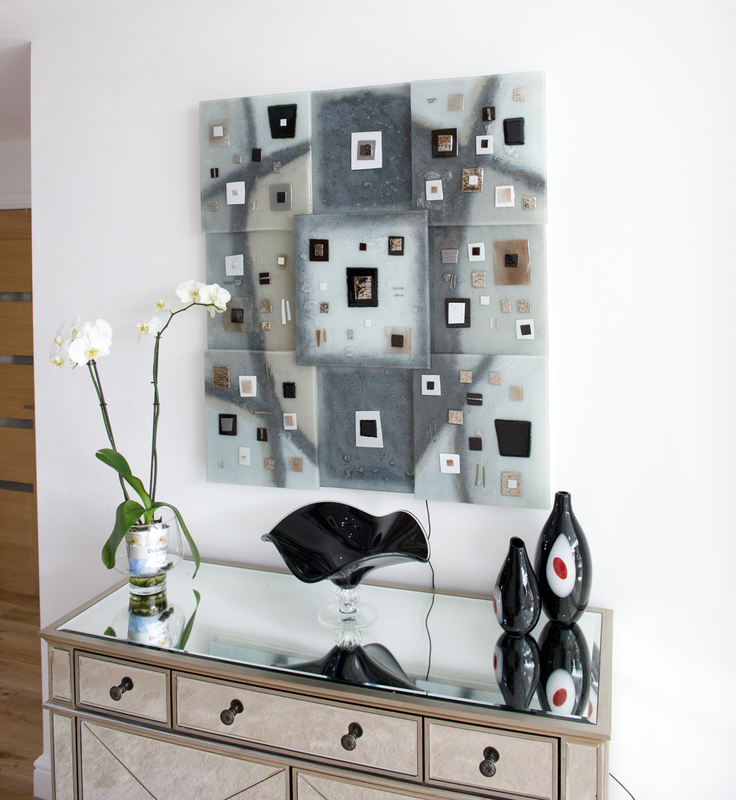 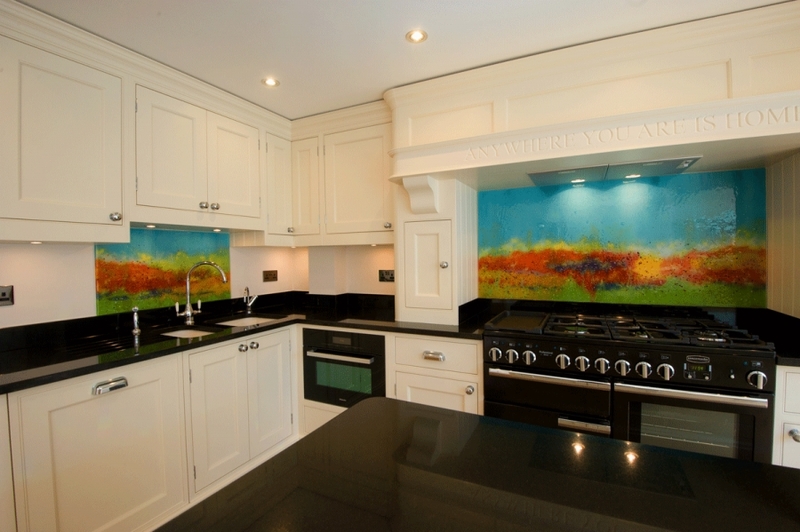 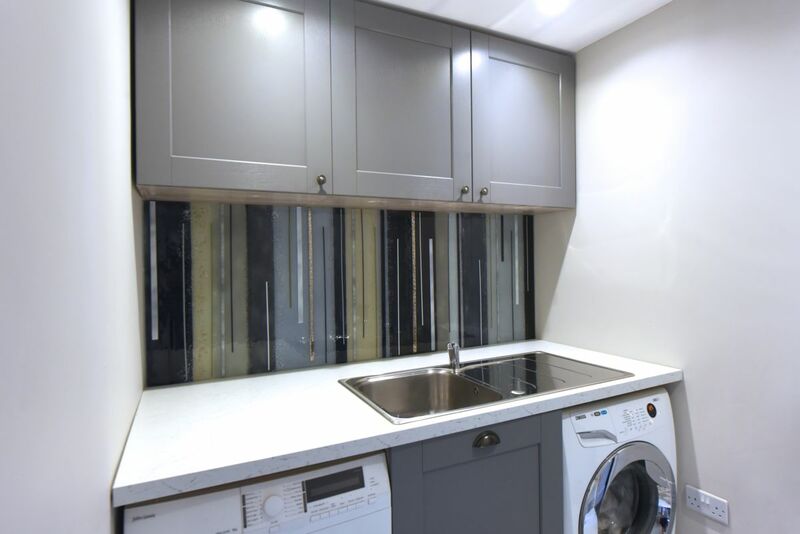 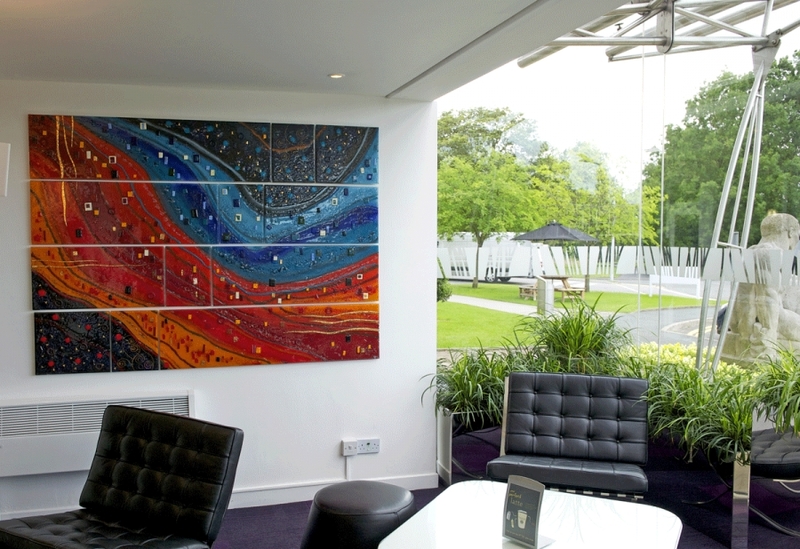 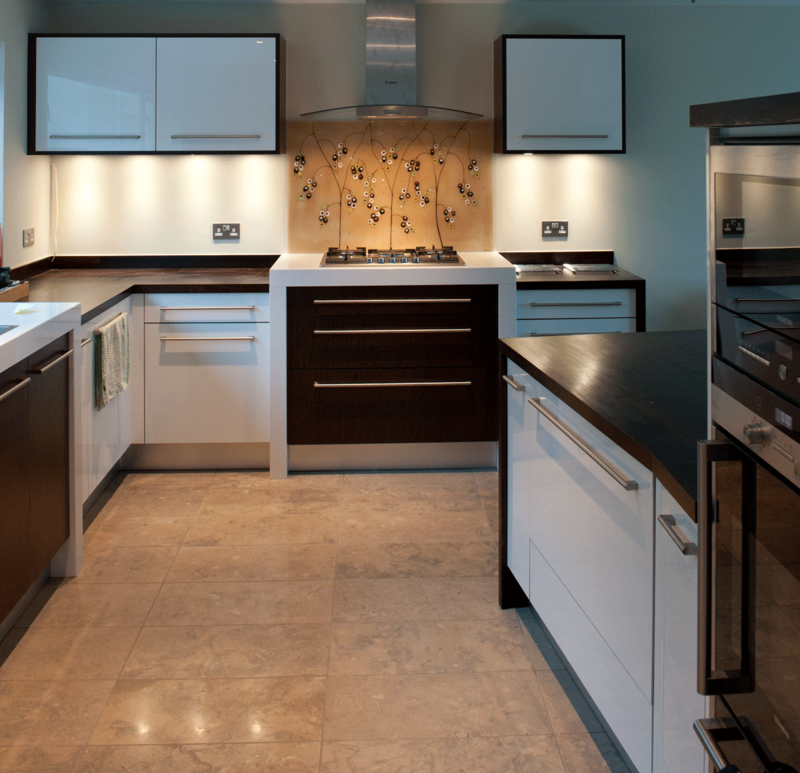 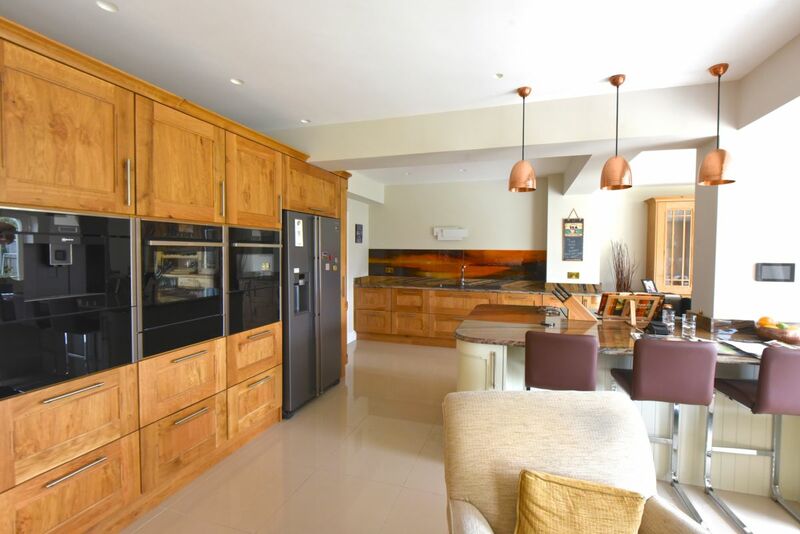 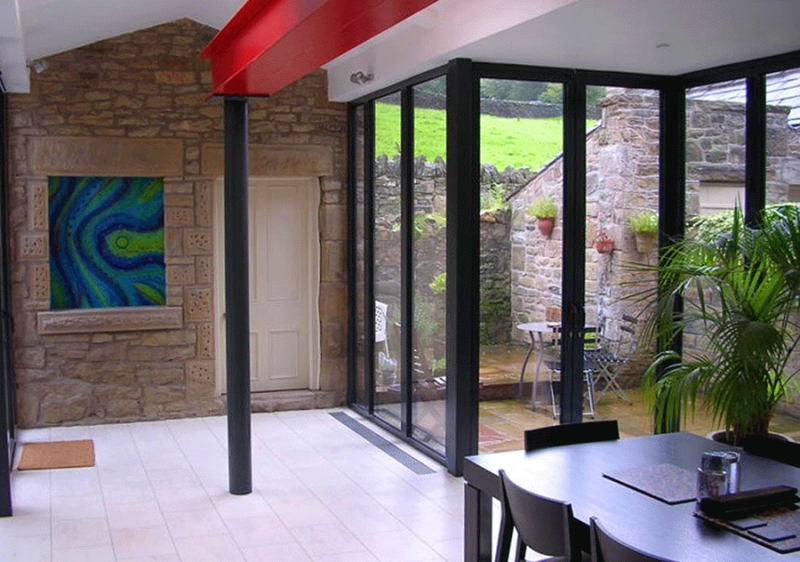 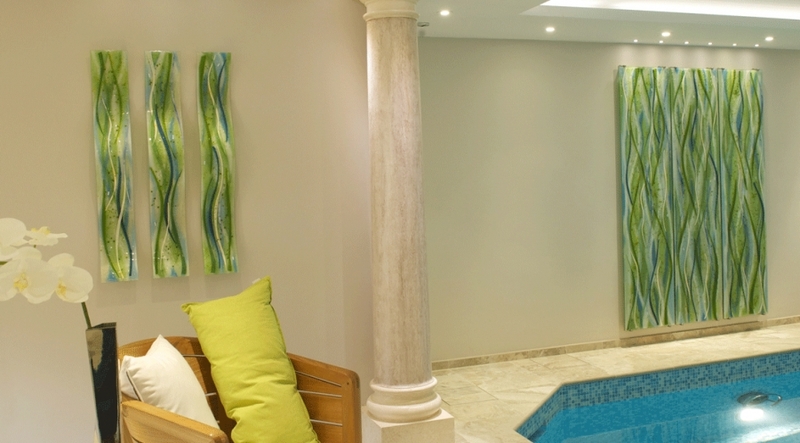 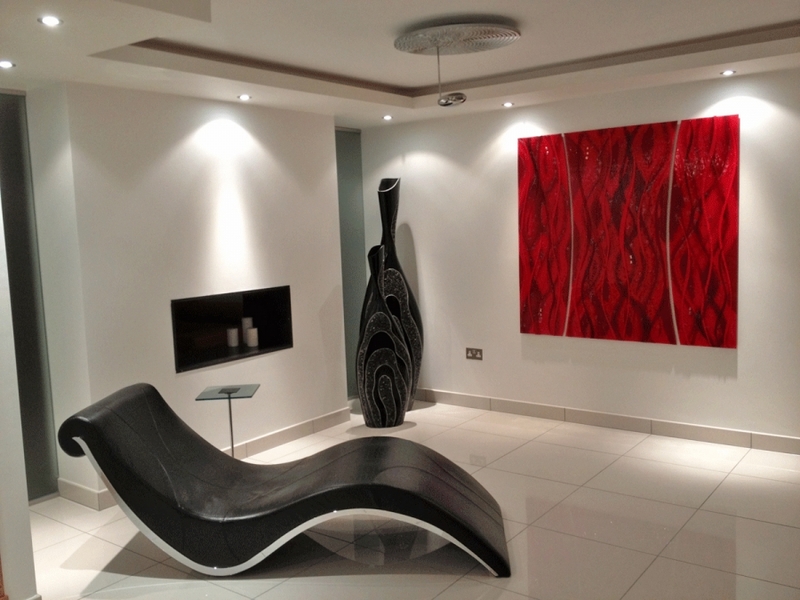 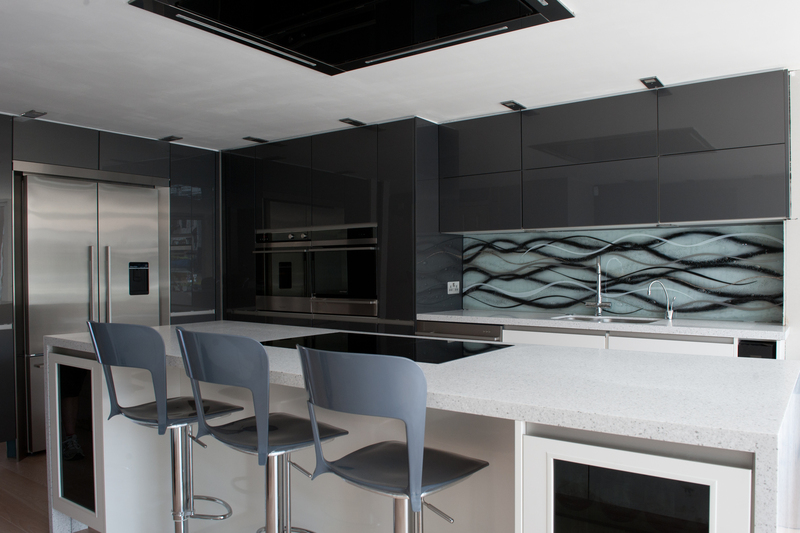 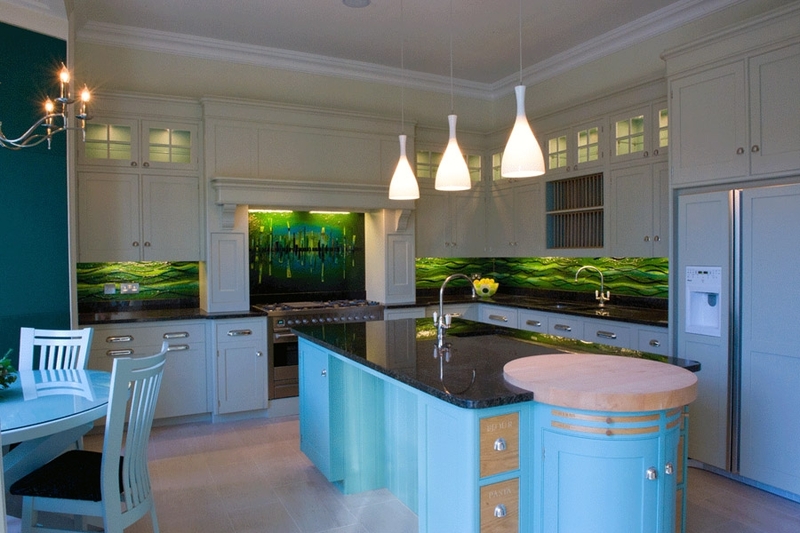 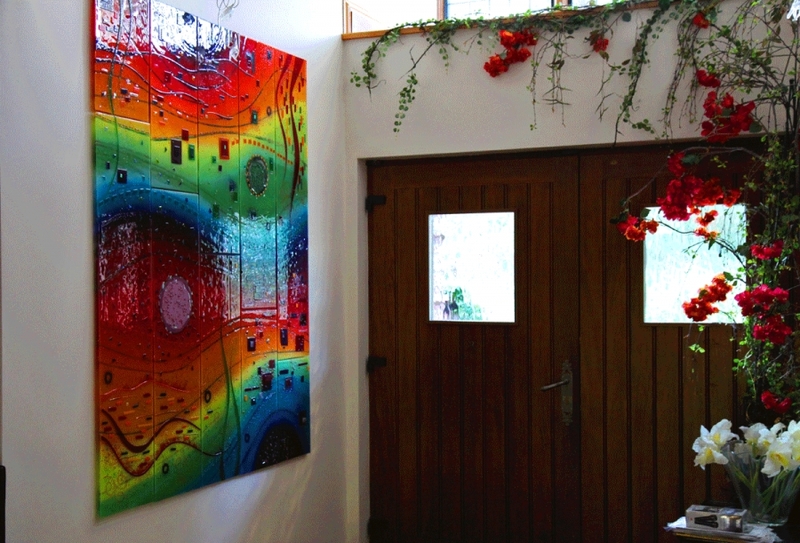 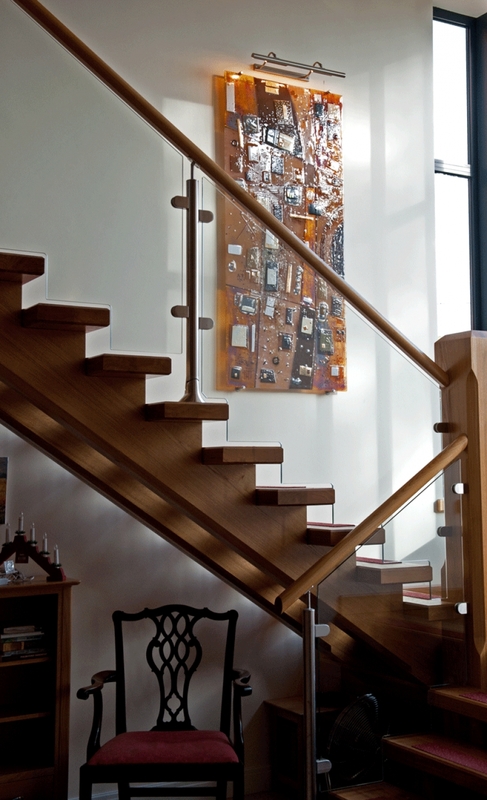 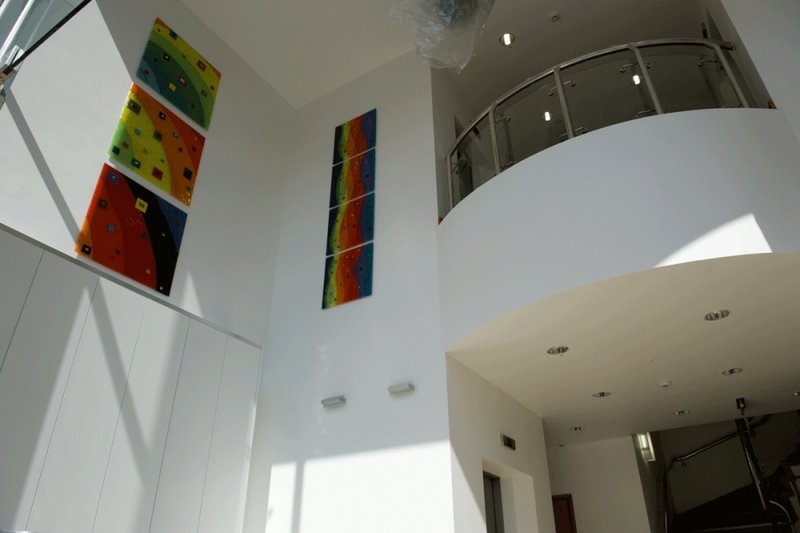 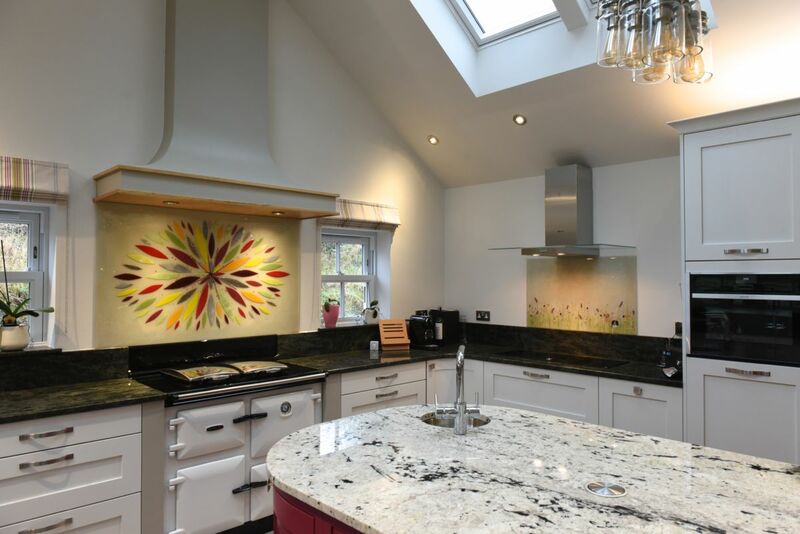 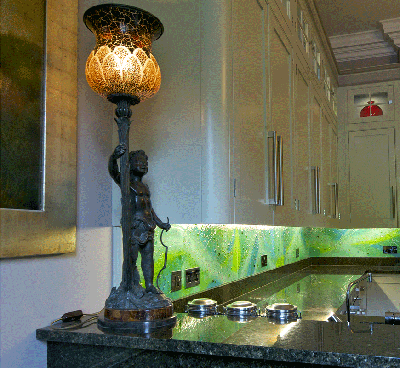 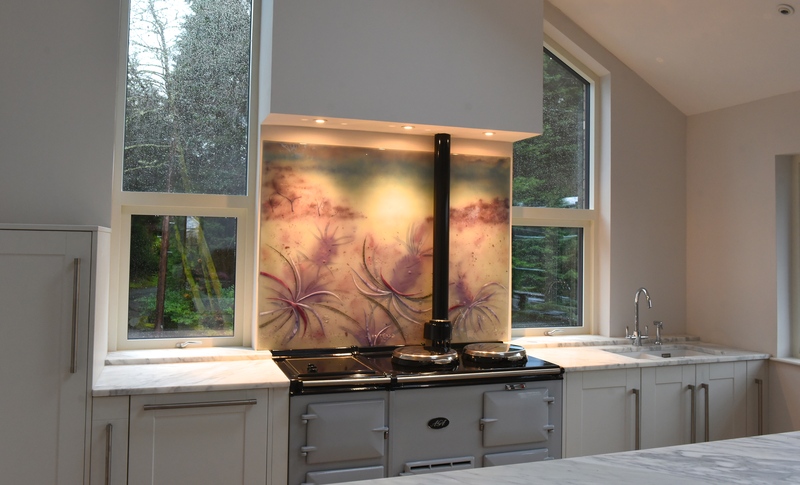 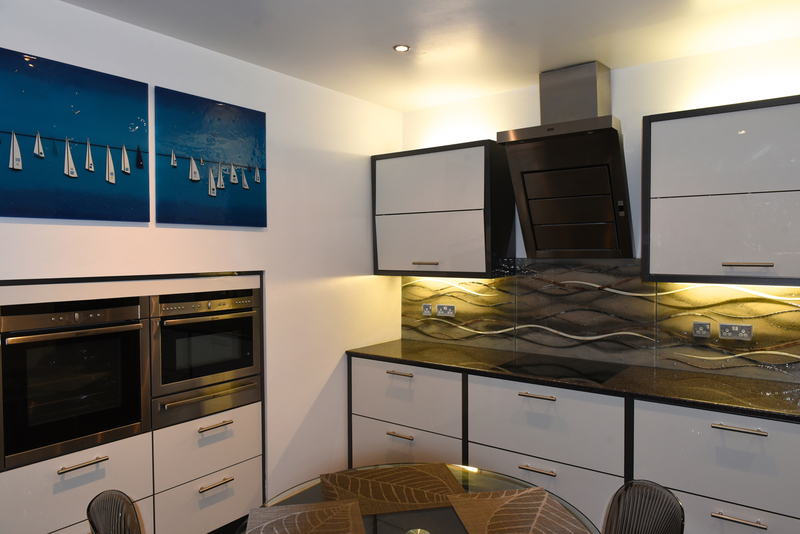 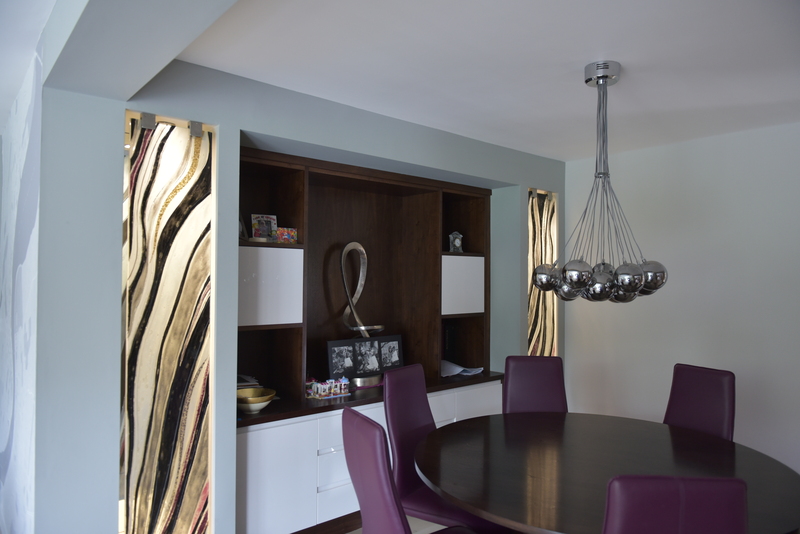 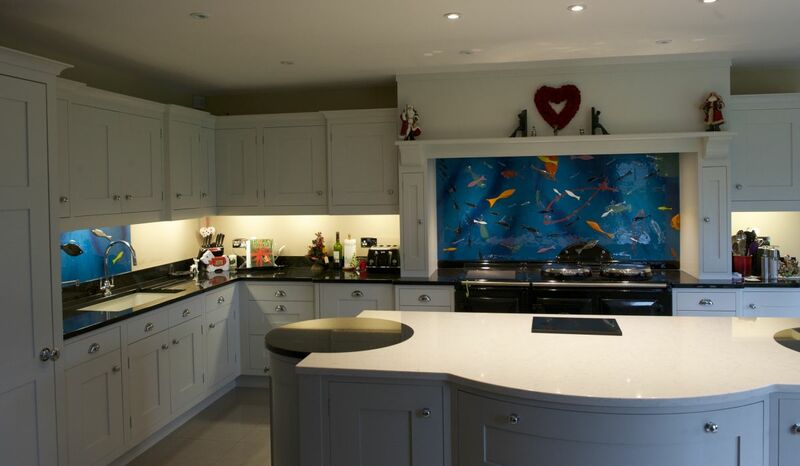 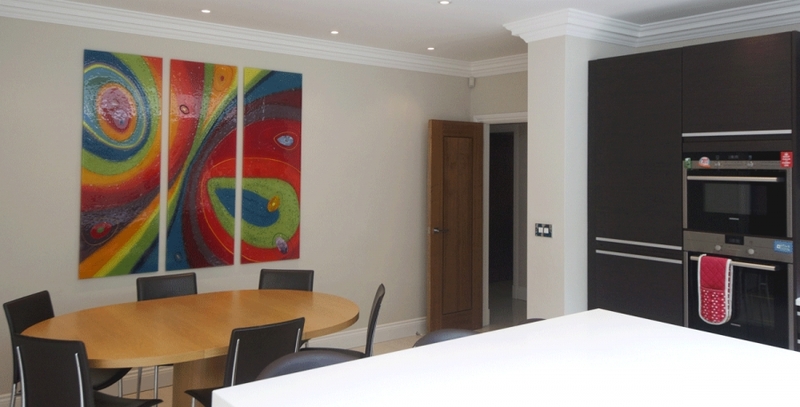 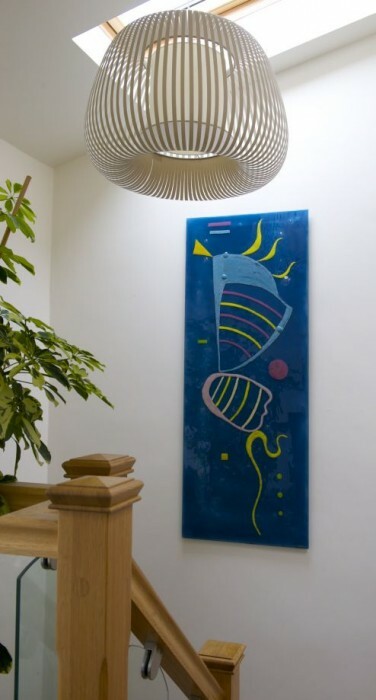 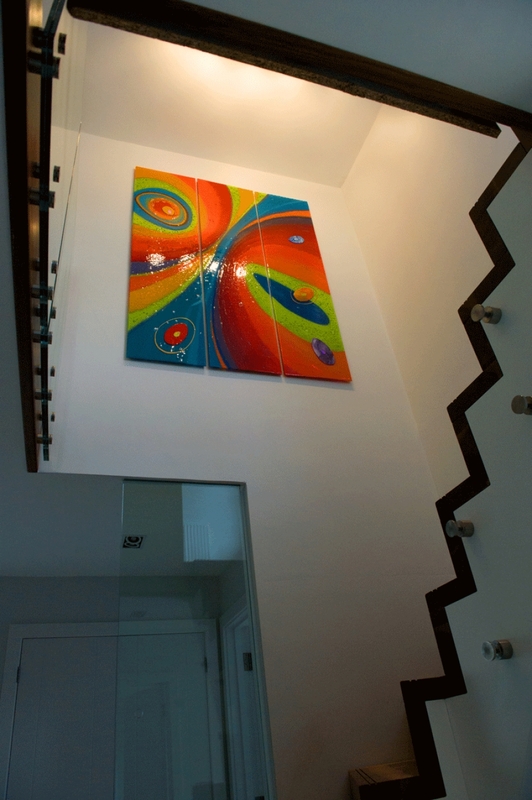 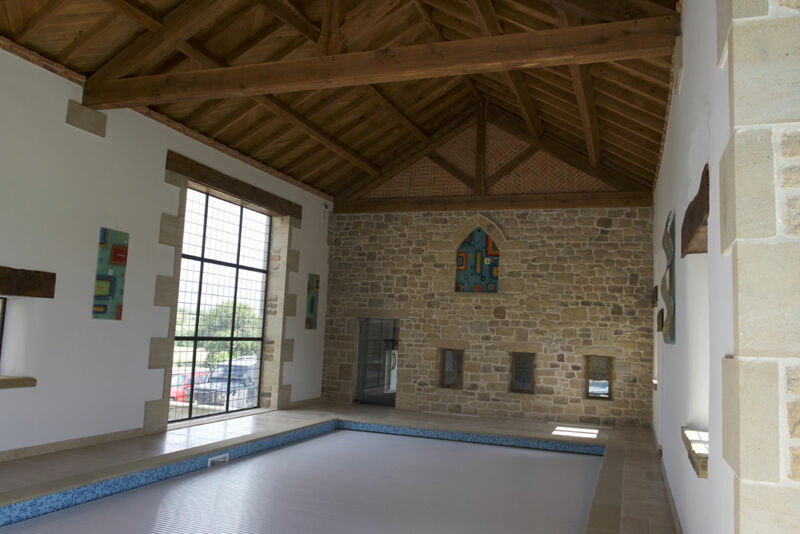 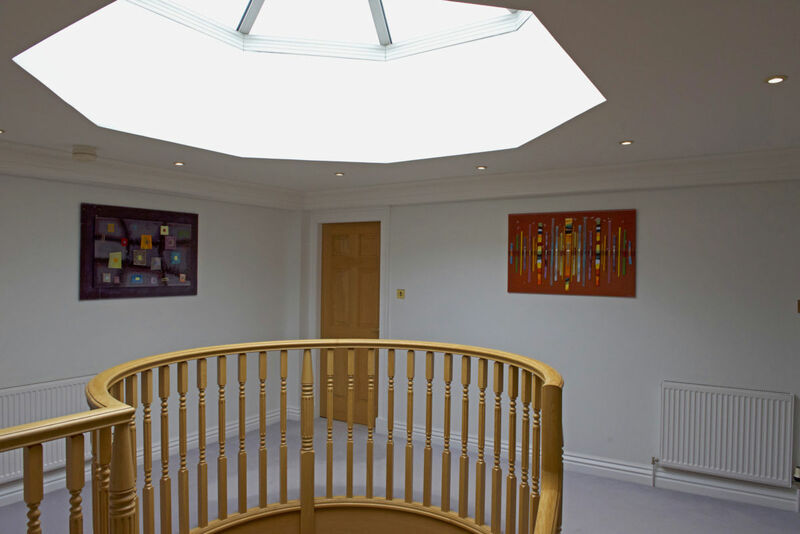 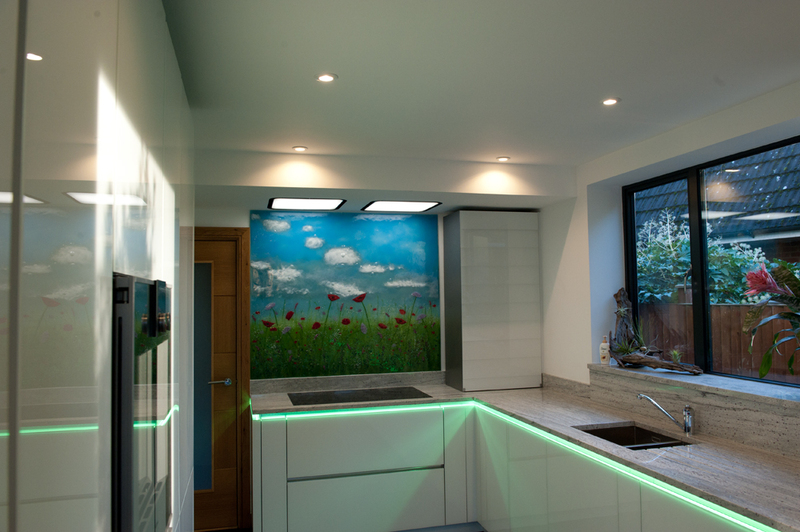 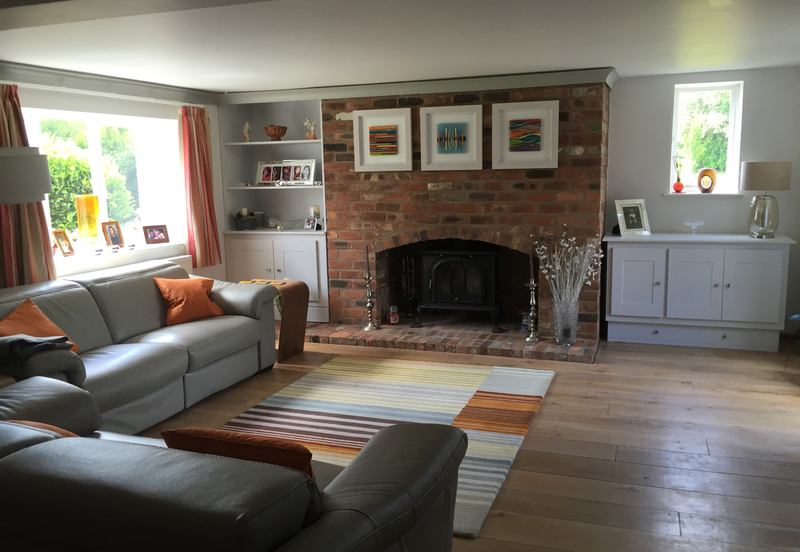 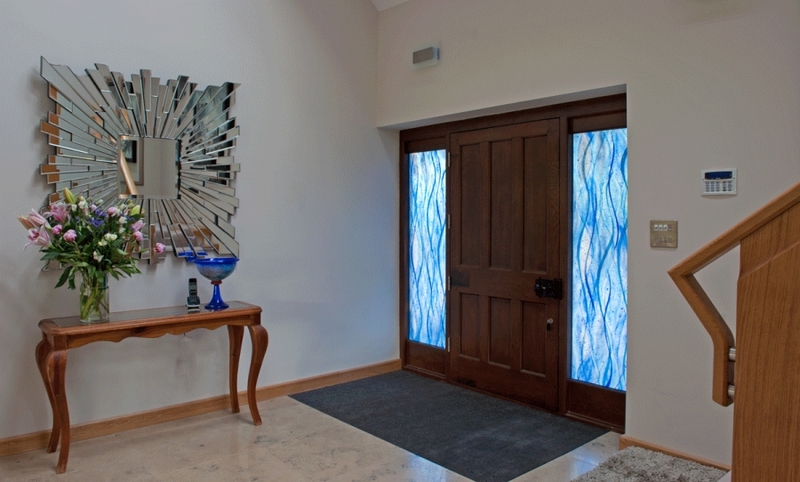 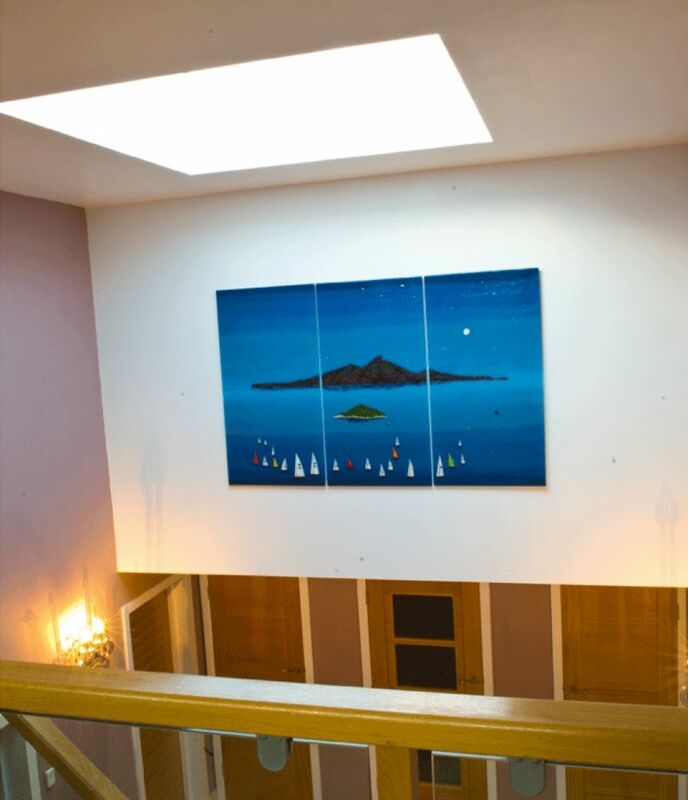 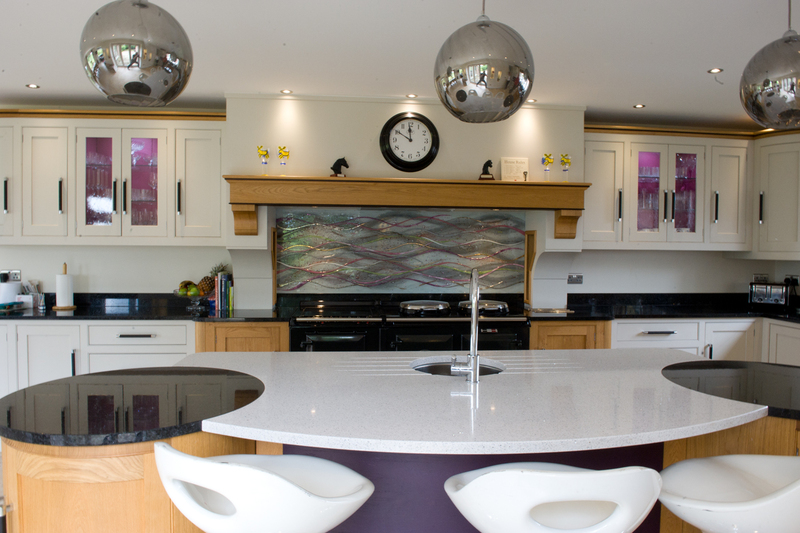 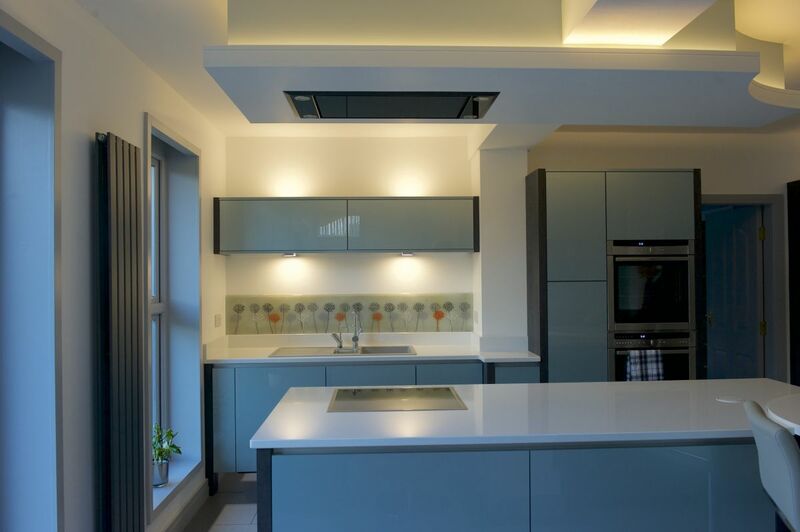 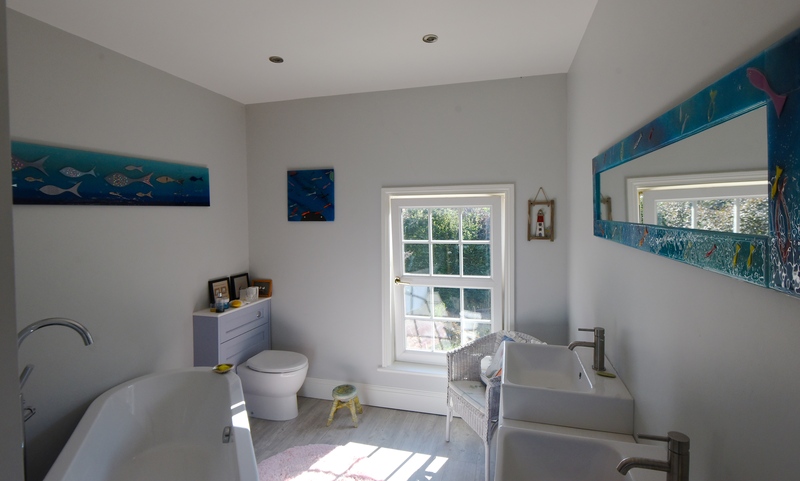 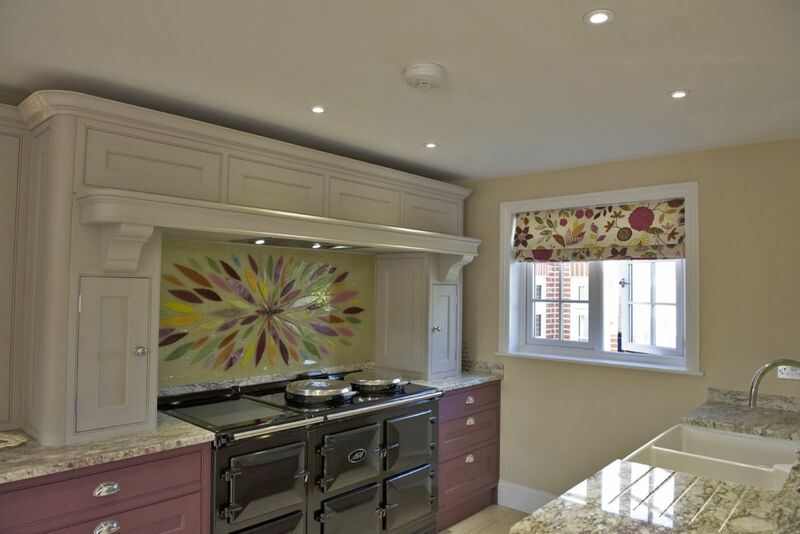 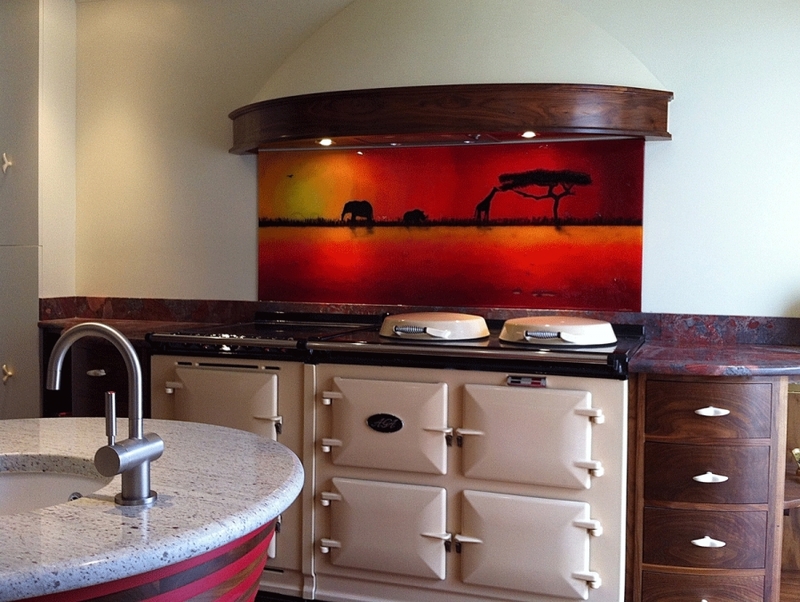 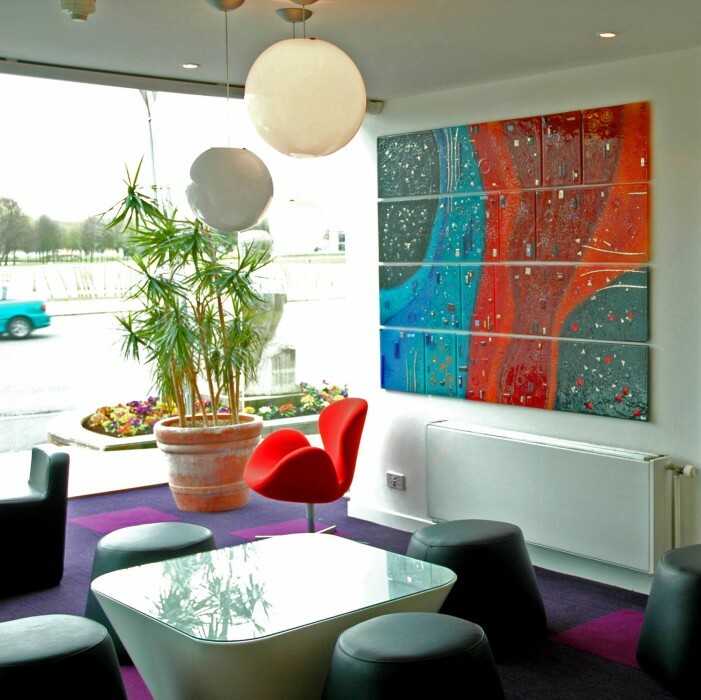 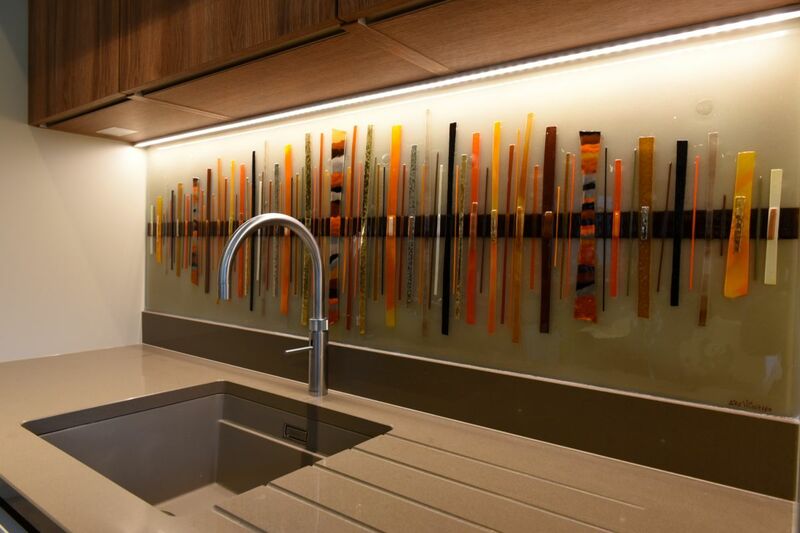 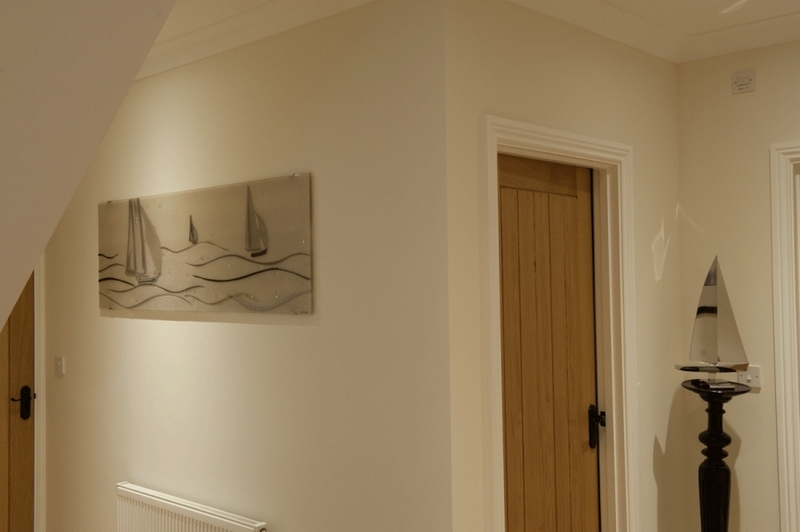 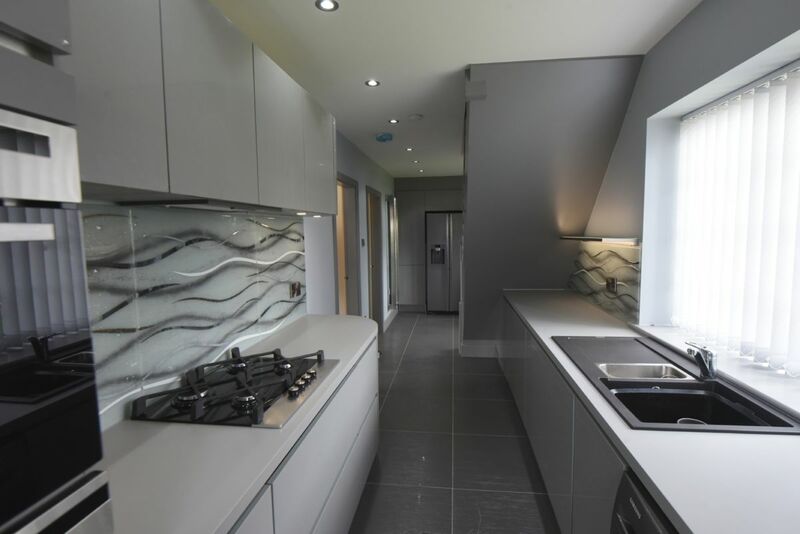 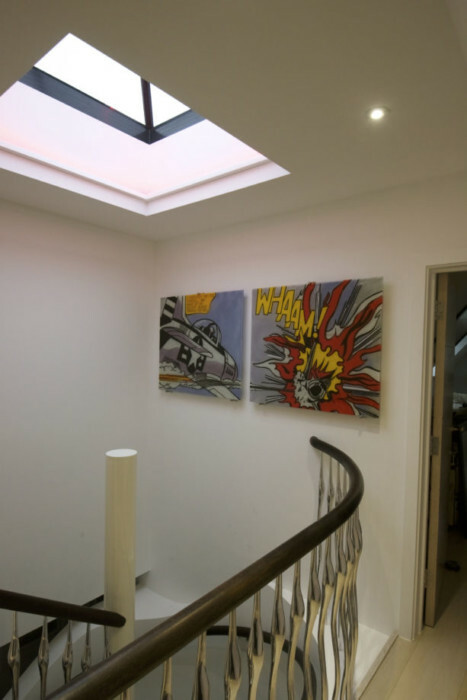 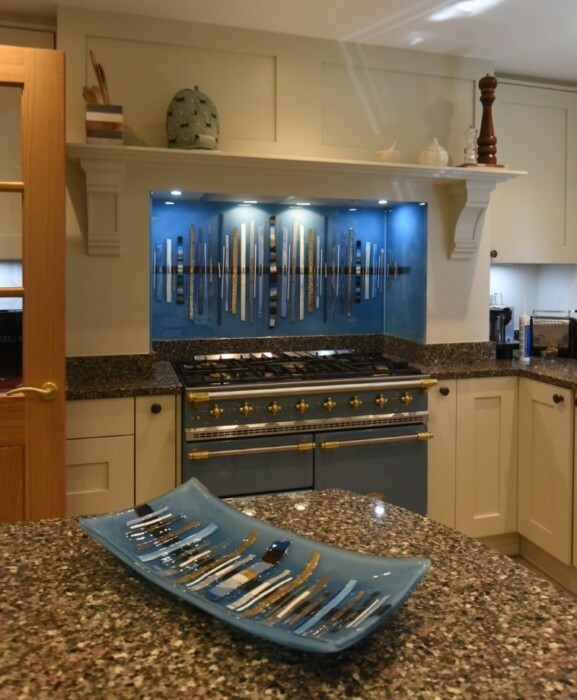 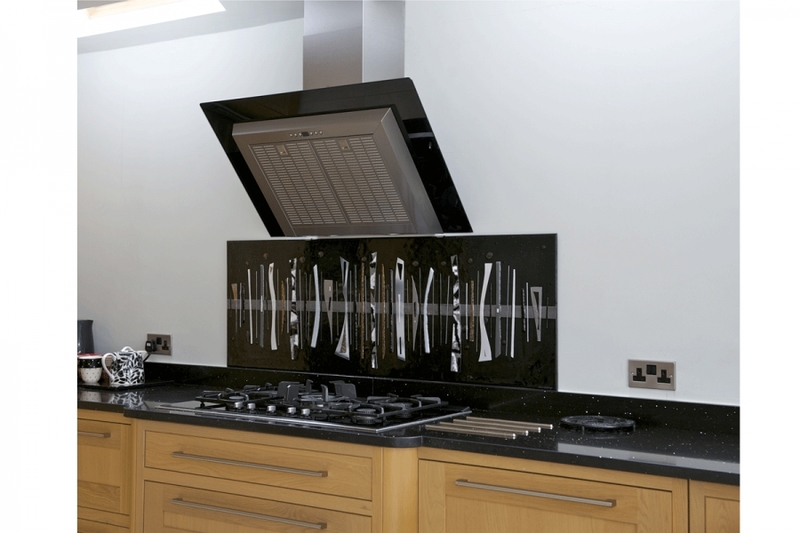 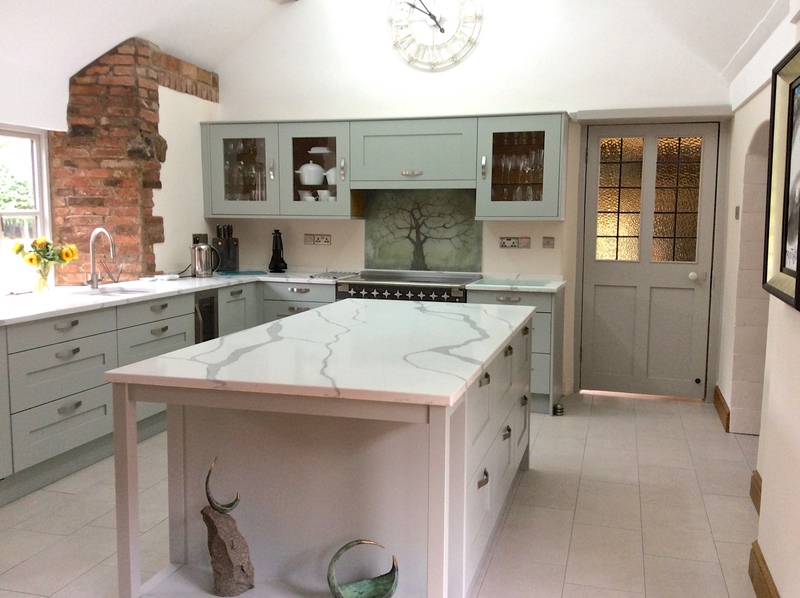 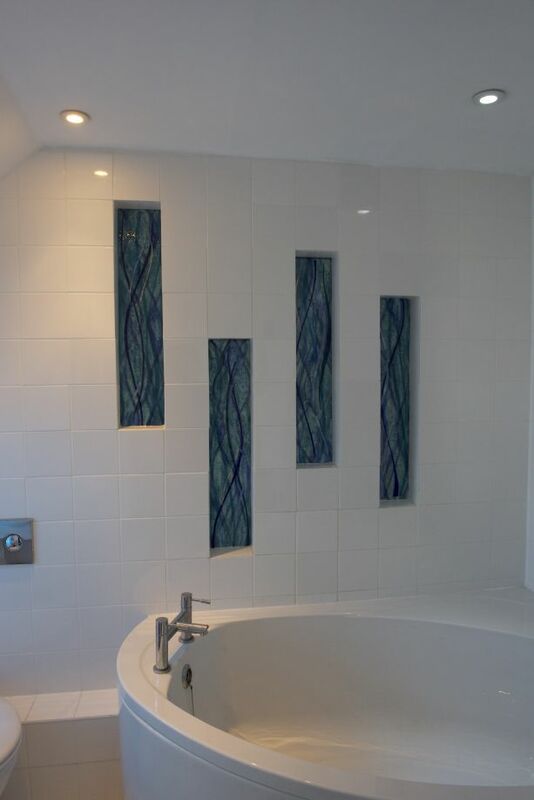 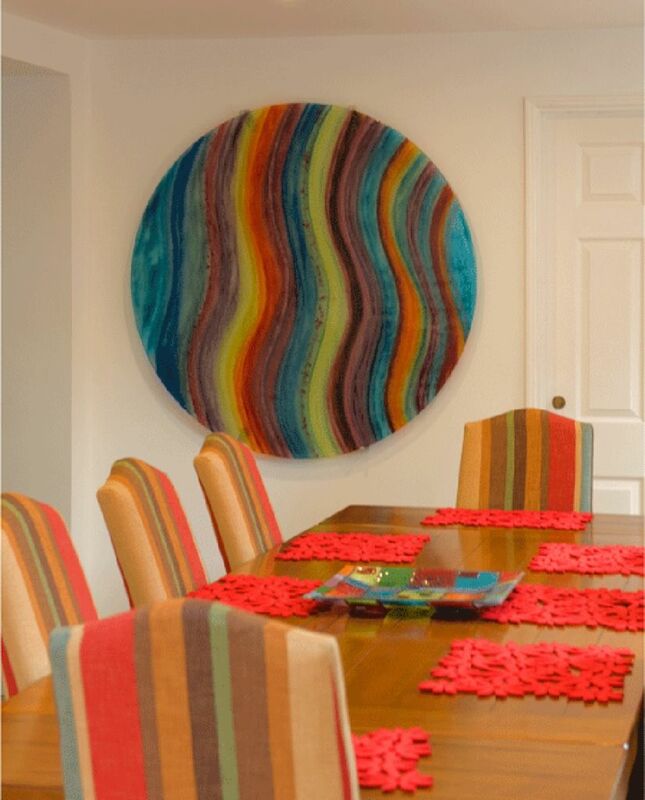 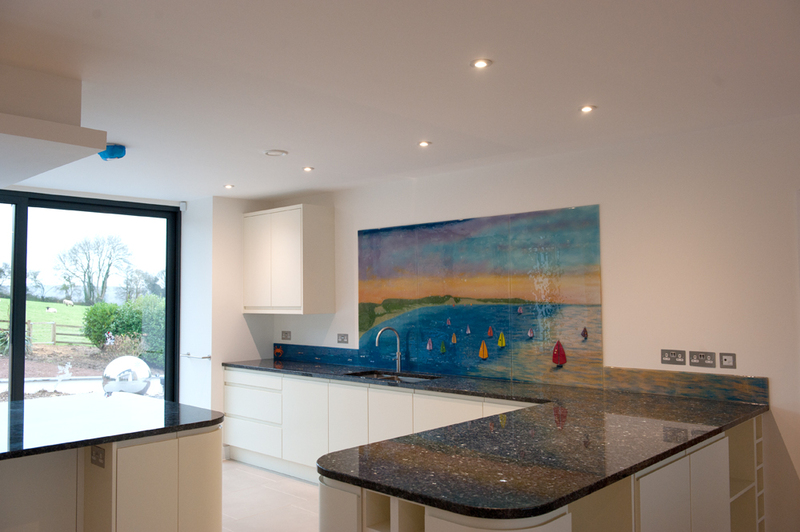 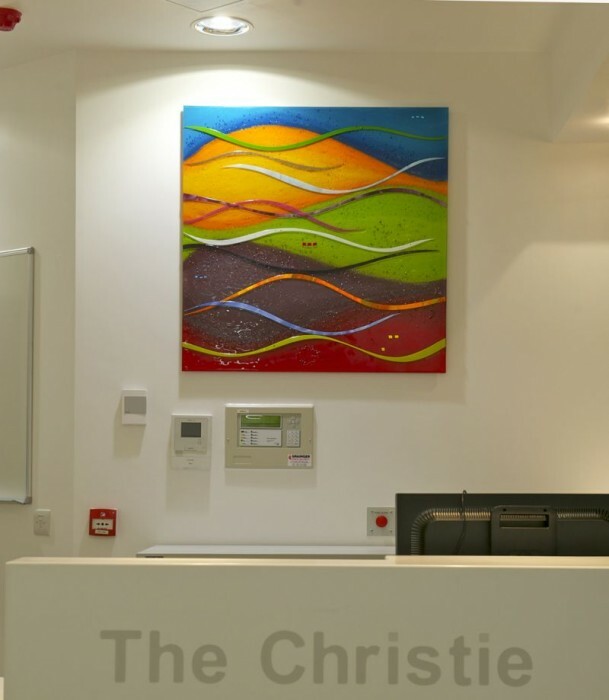 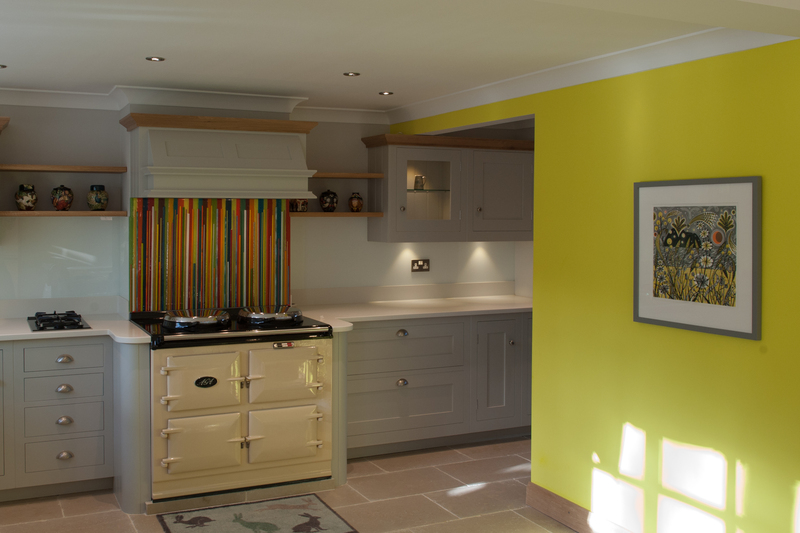 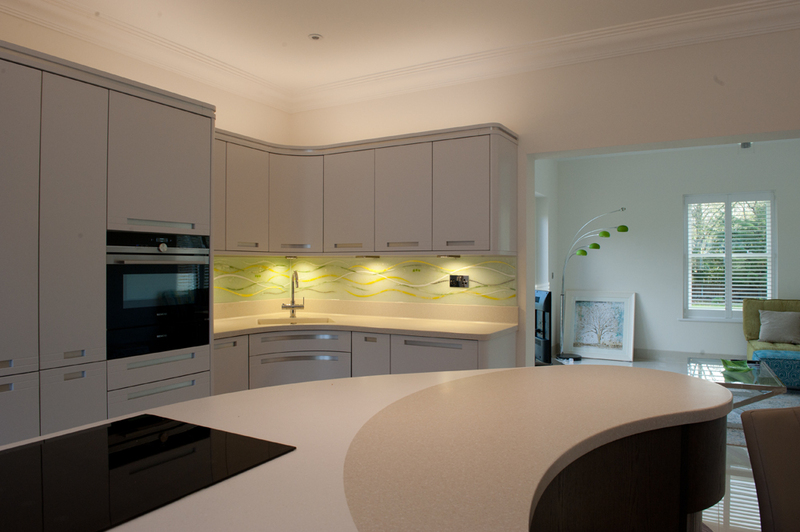 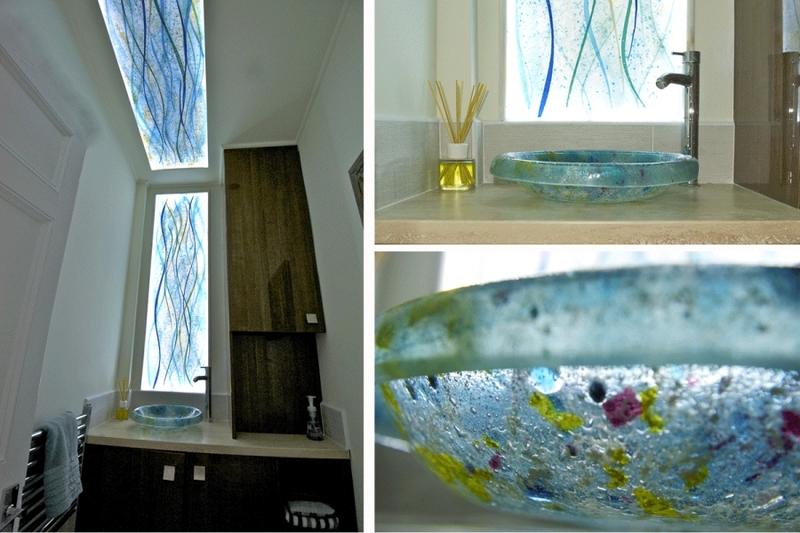 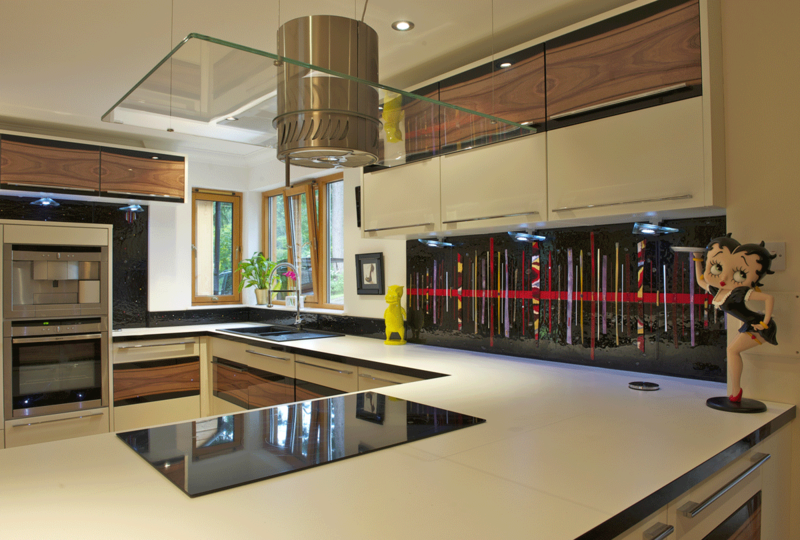 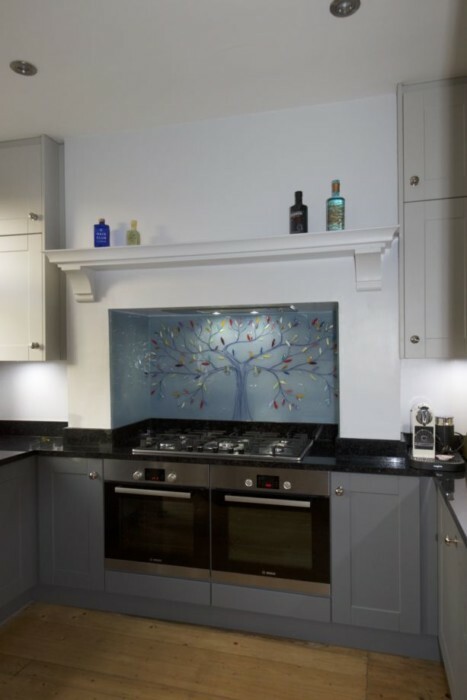 In this case, the addition of a splashback made for the ideal addition to a stunning space that combined contemporary design with a very traditional aesthetic. 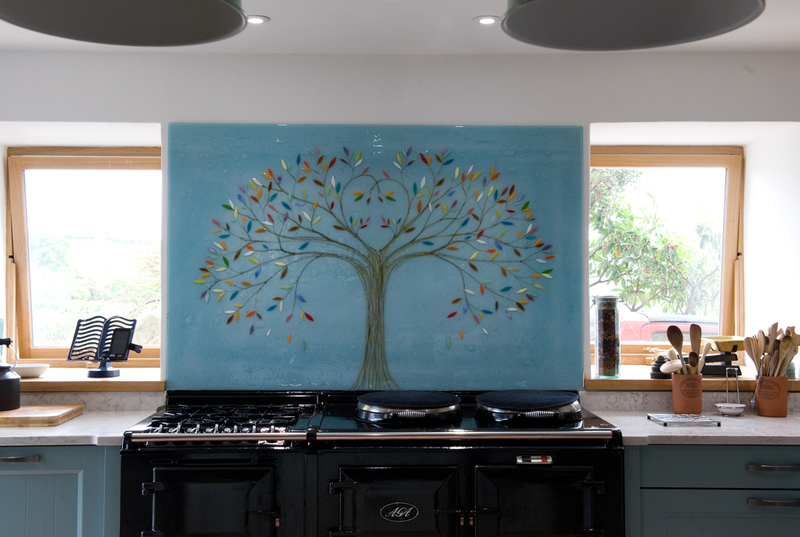 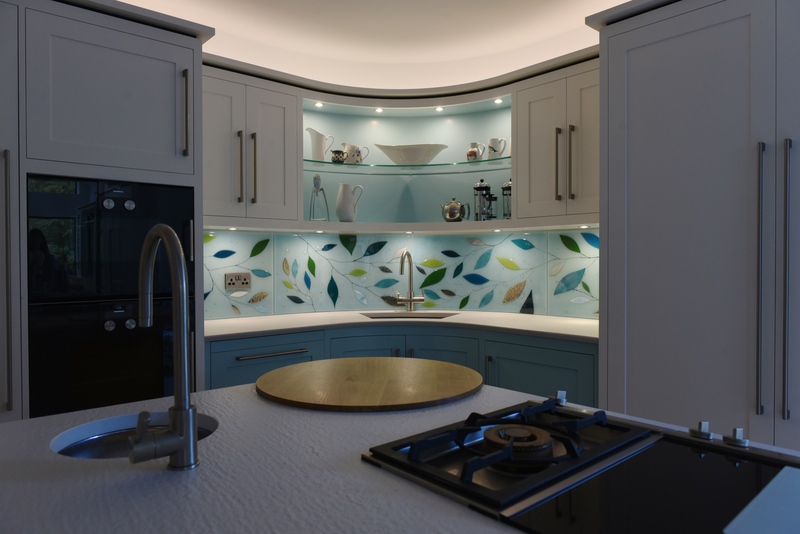 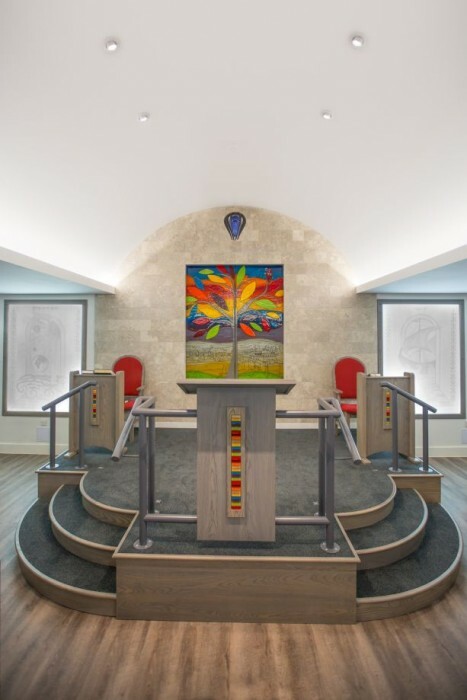 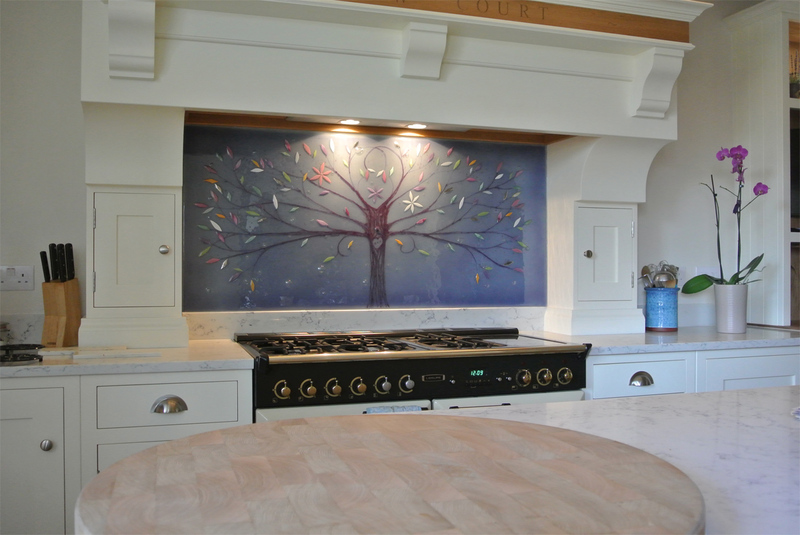 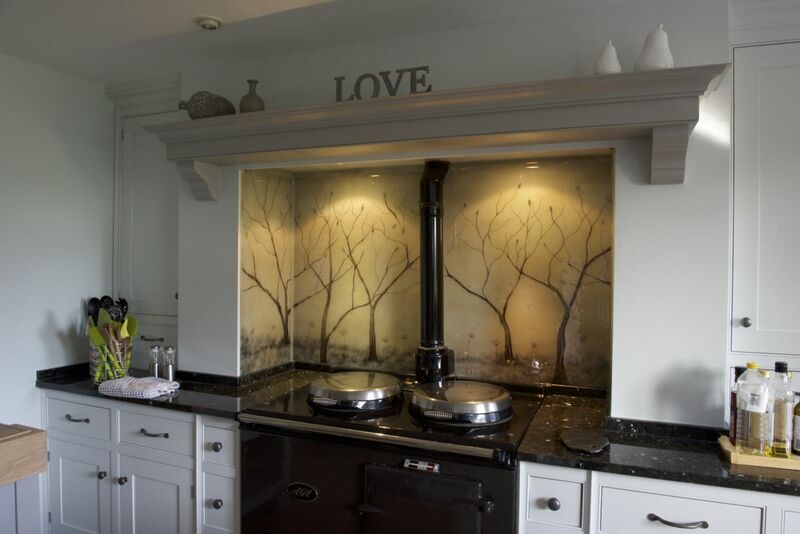 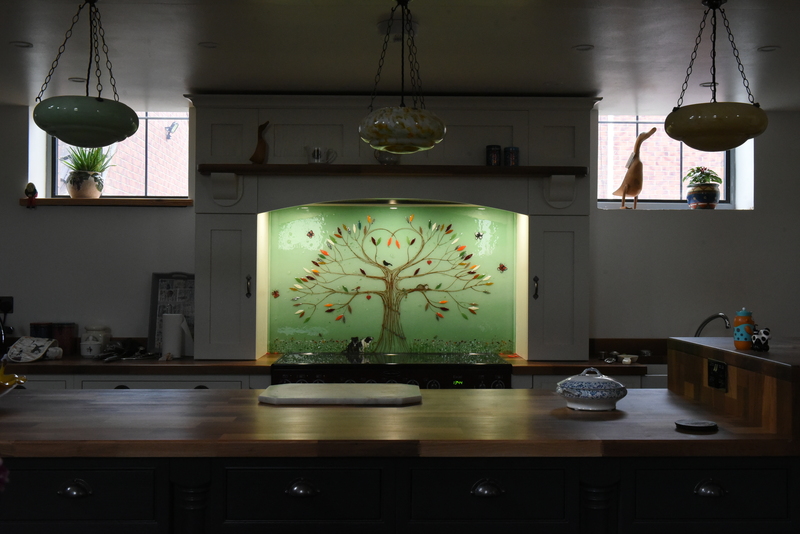 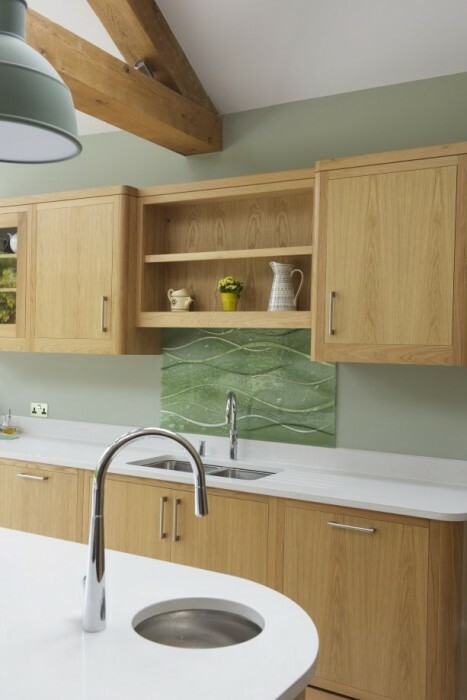 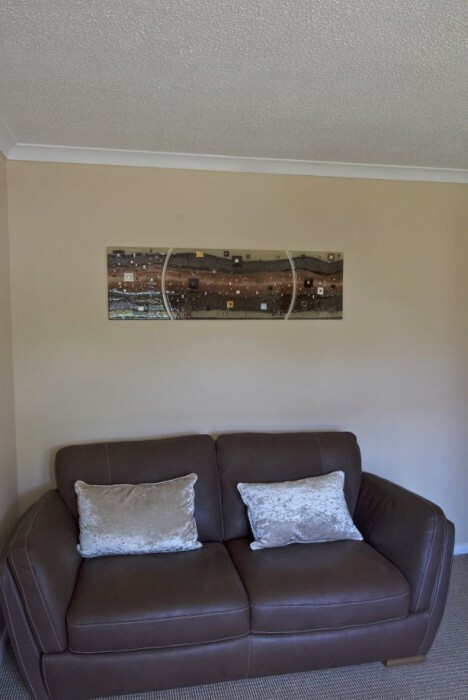 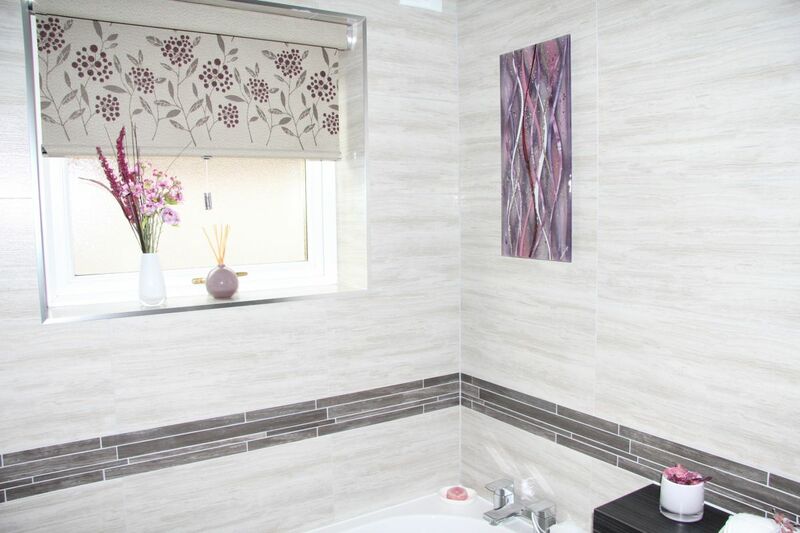 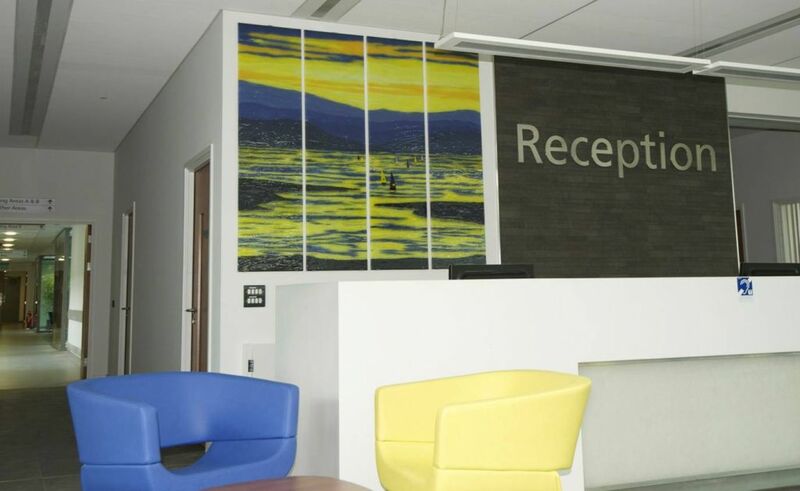 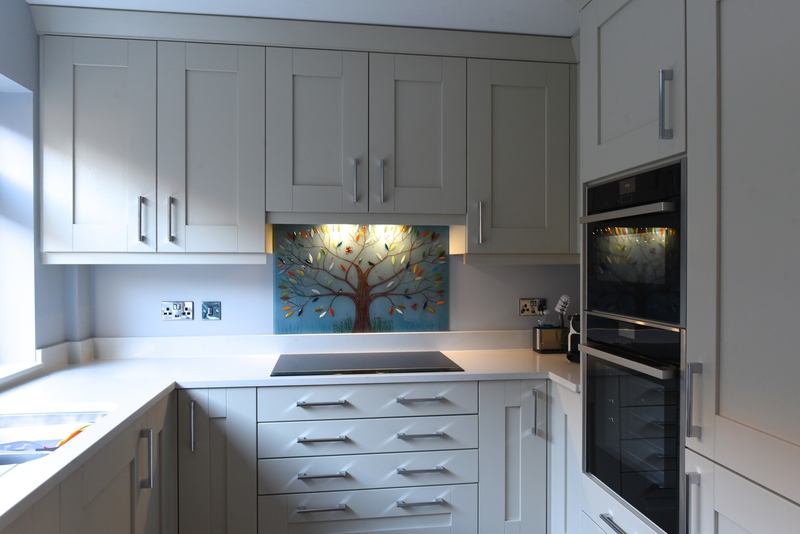 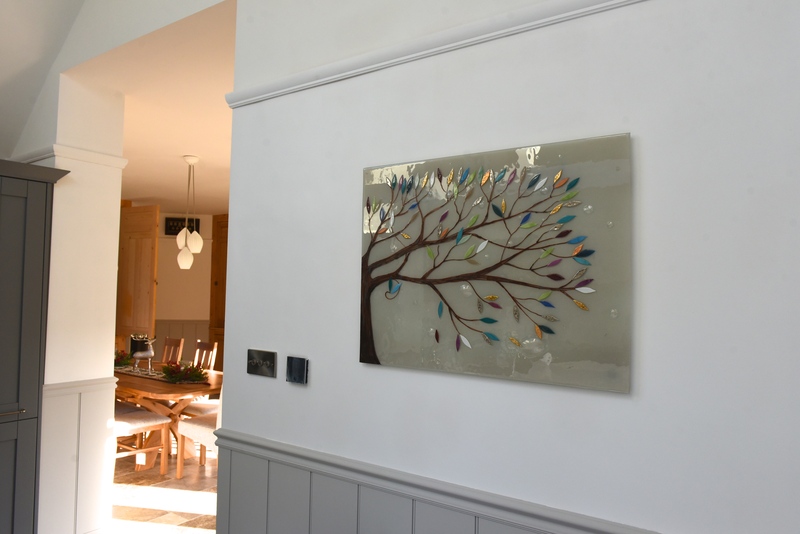 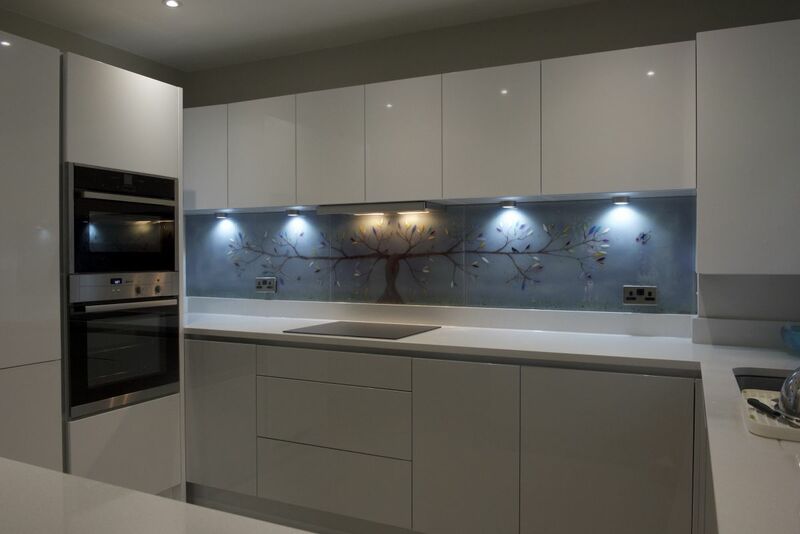 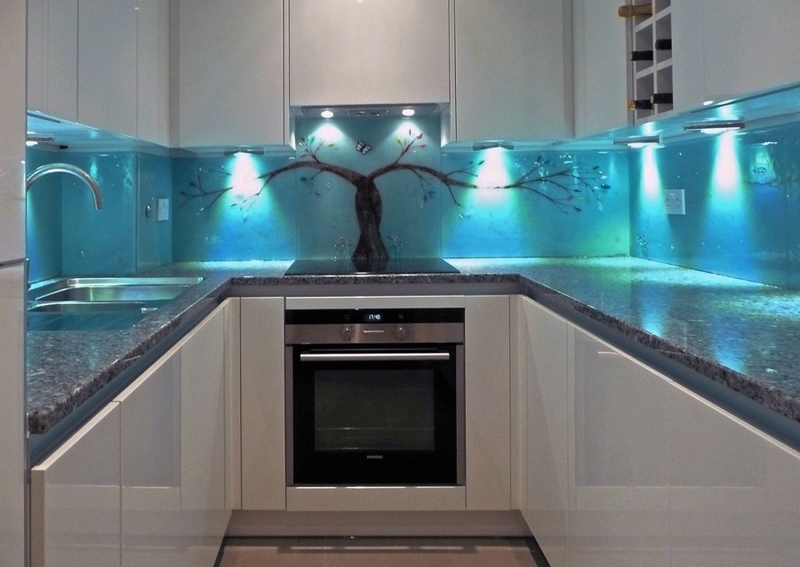 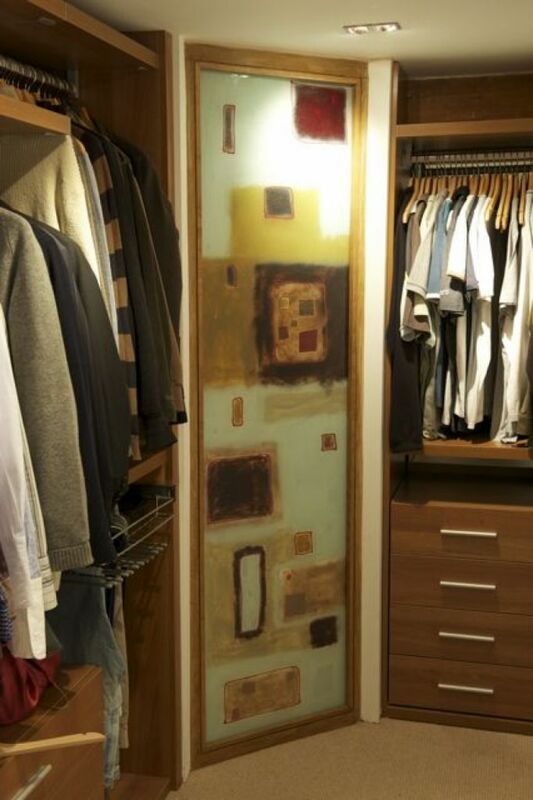 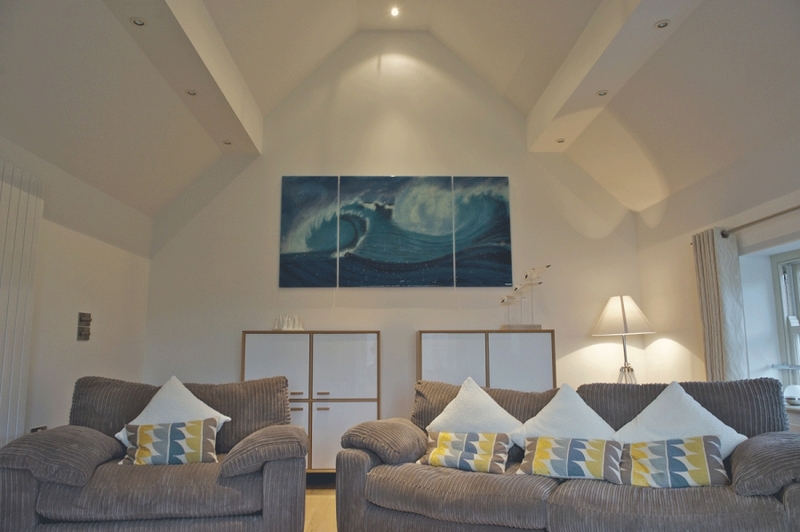 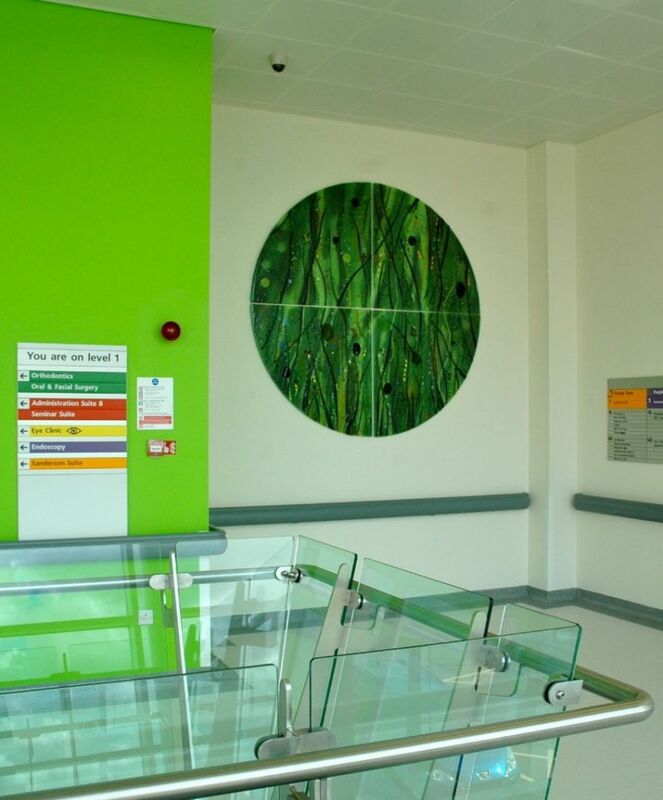 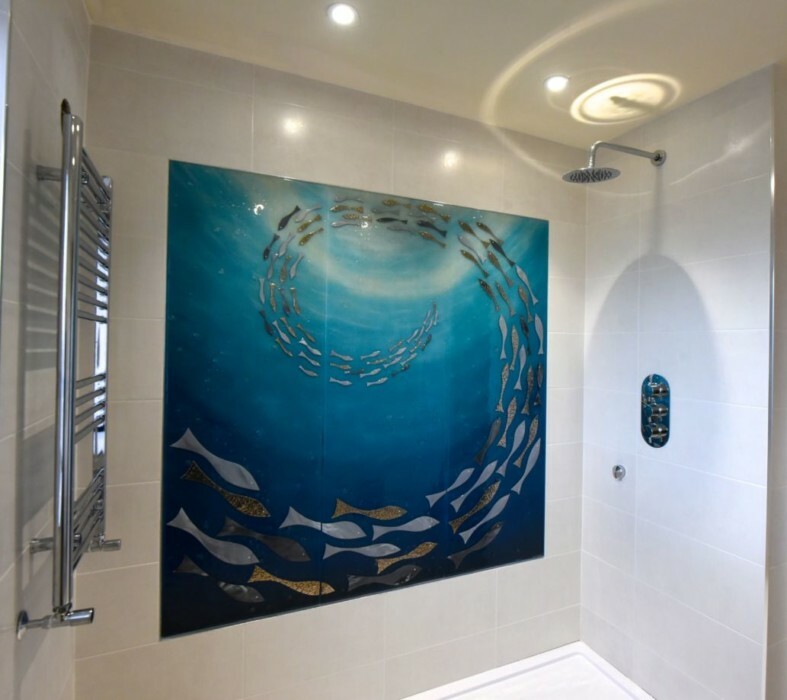 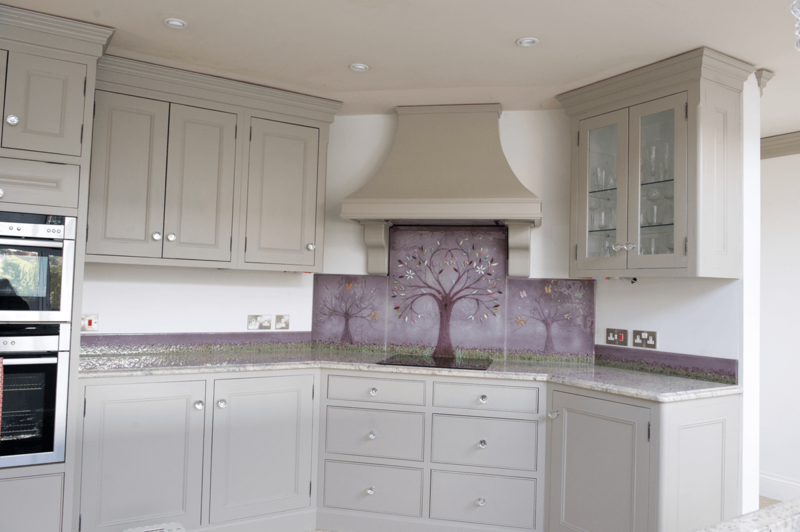 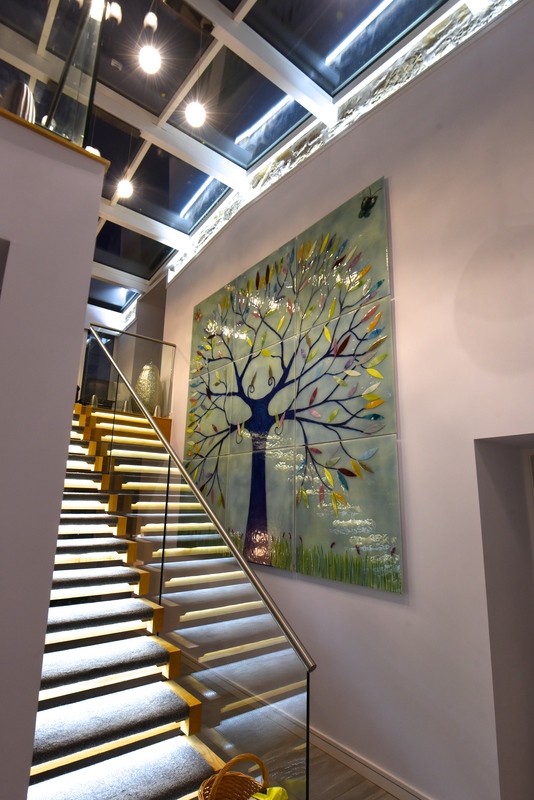 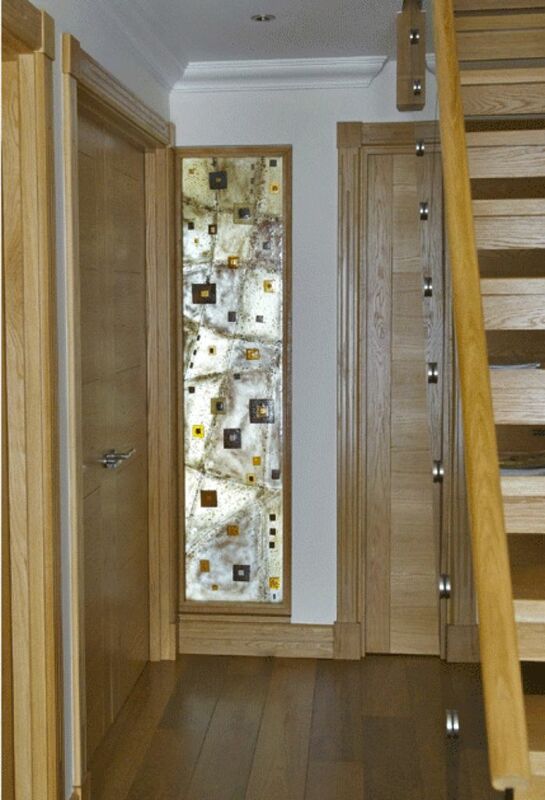 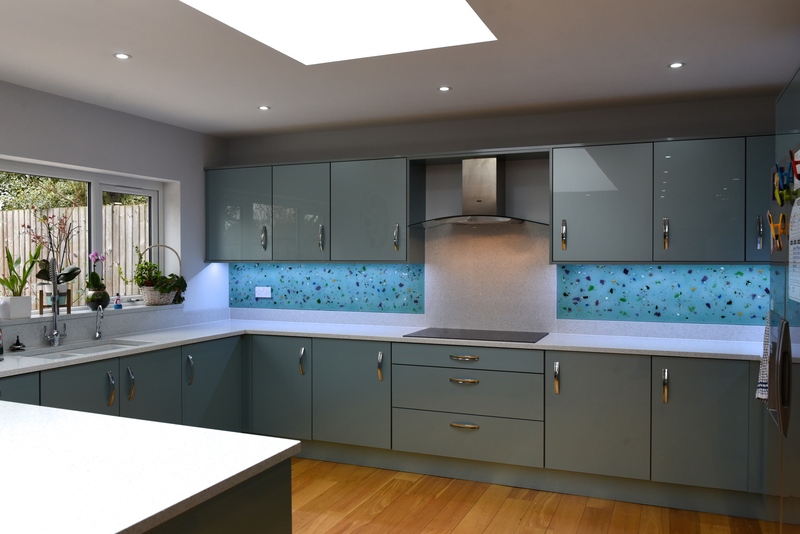 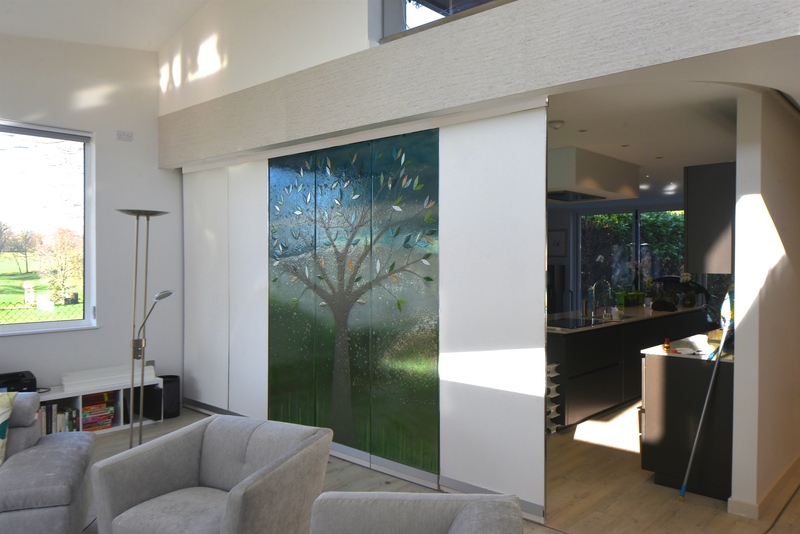 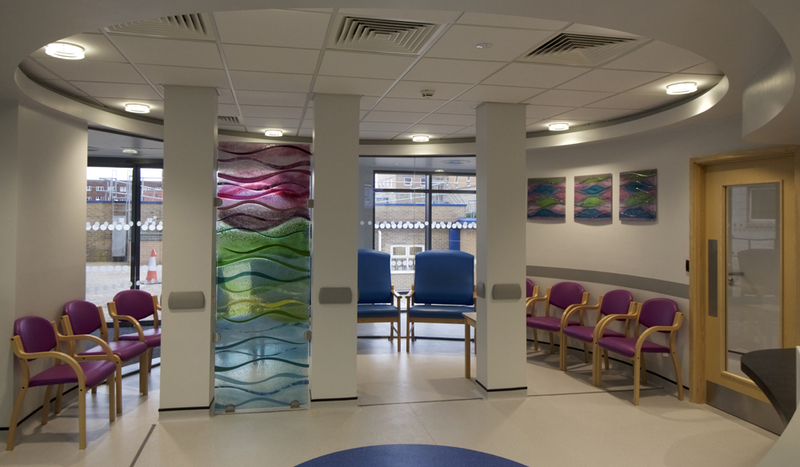 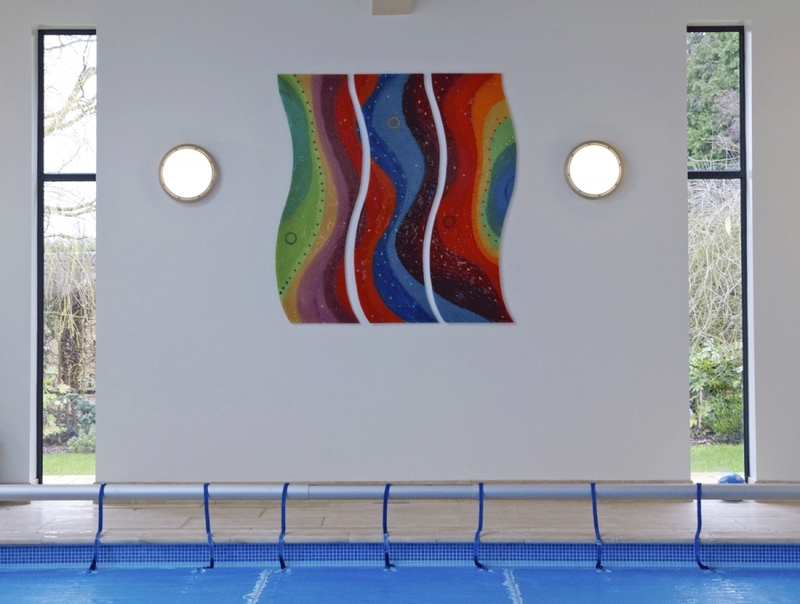 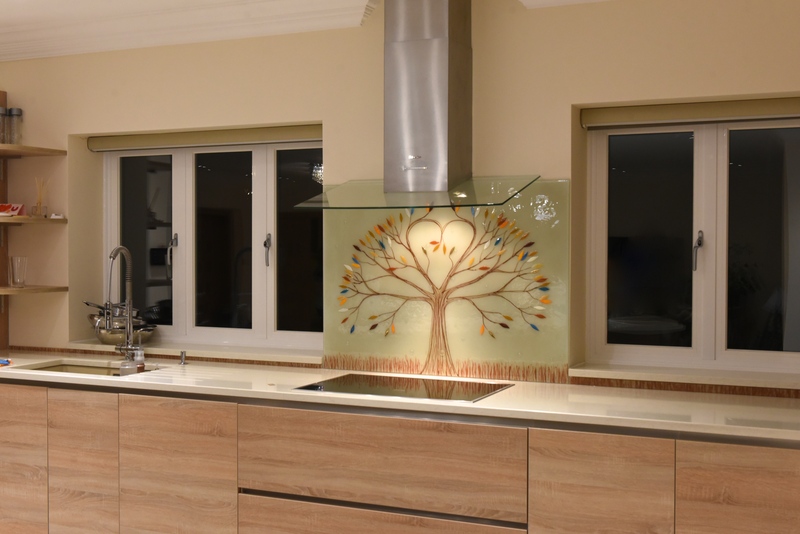 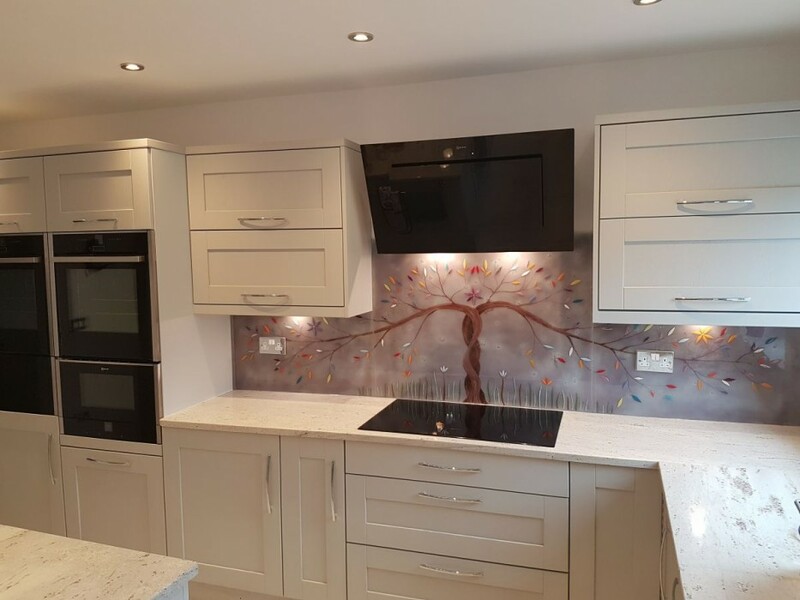 The splashback itself is a twist on our classic Tree of Life design, utilising muted colours and a beautifully desaturated look to match the very neutral tone of this breathtaking space. 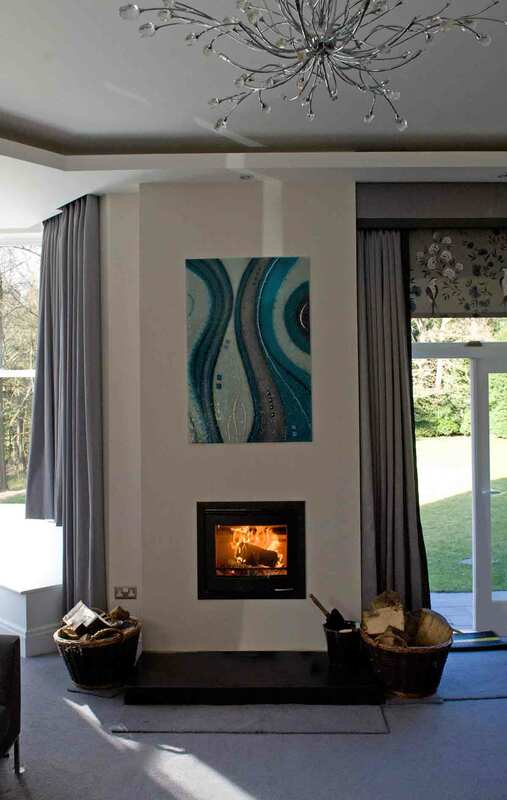 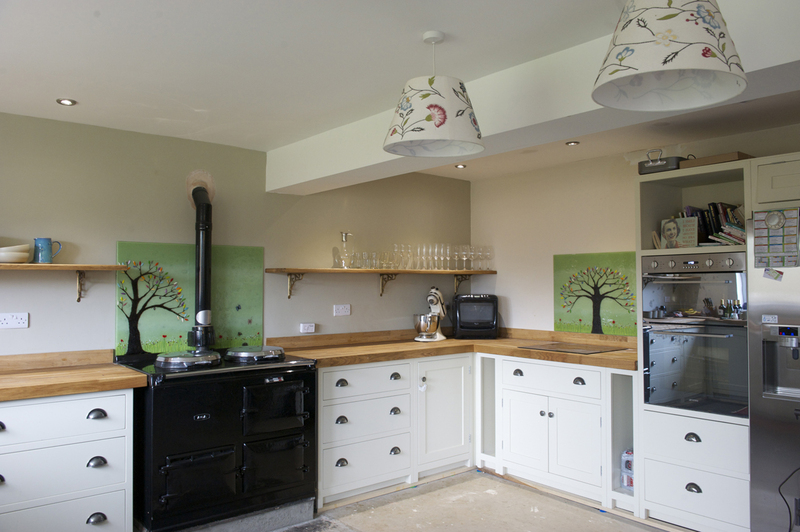 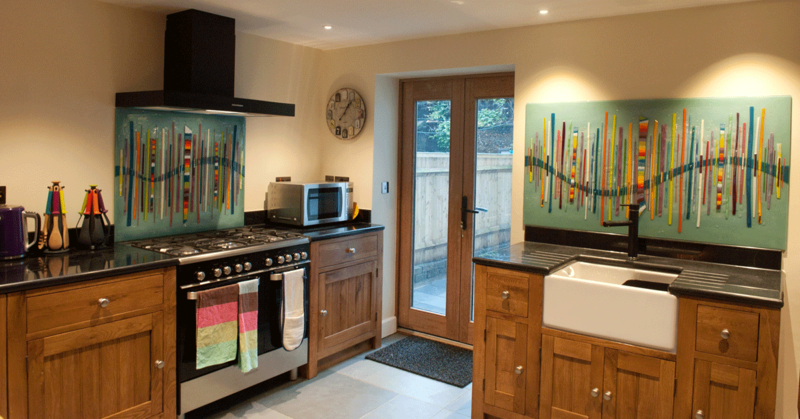 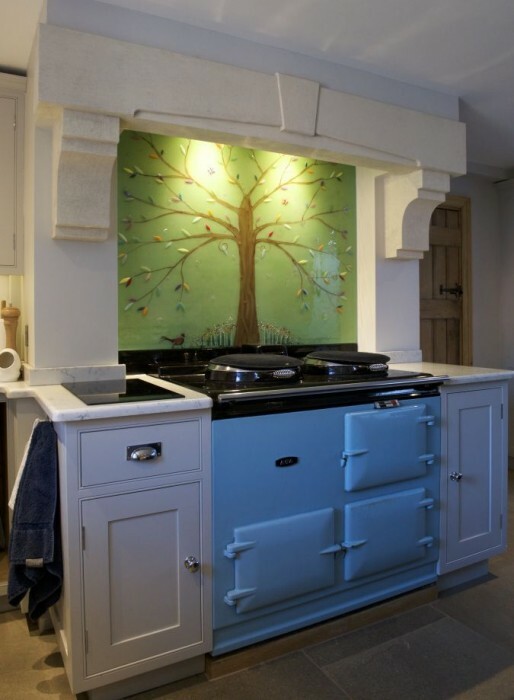 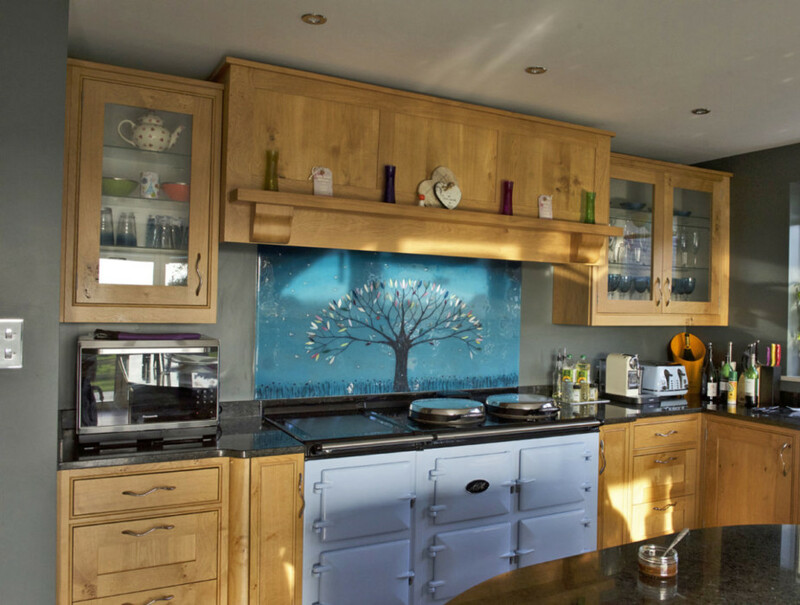 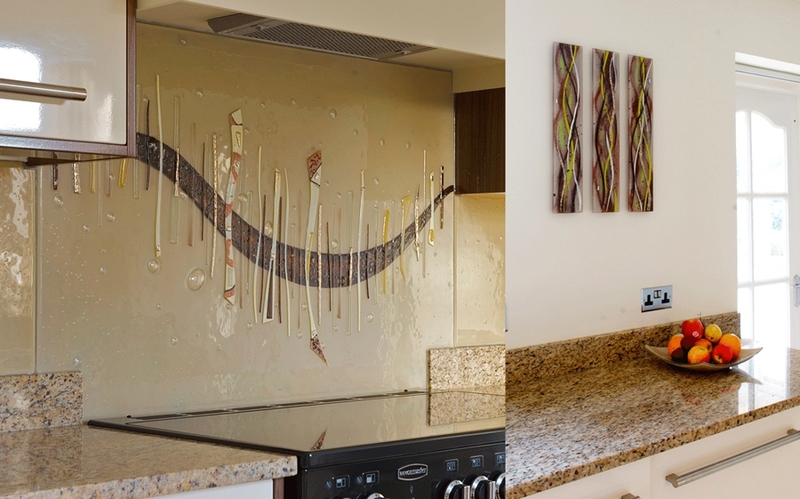 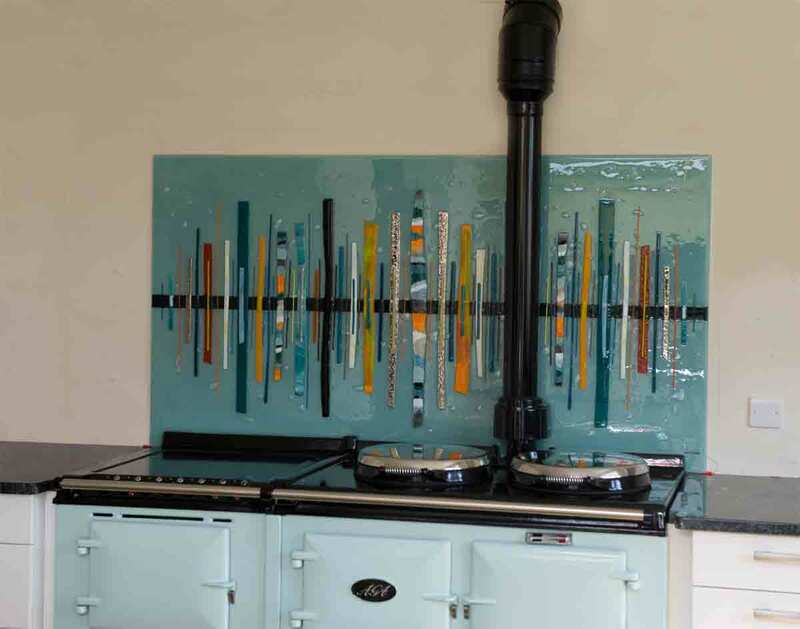 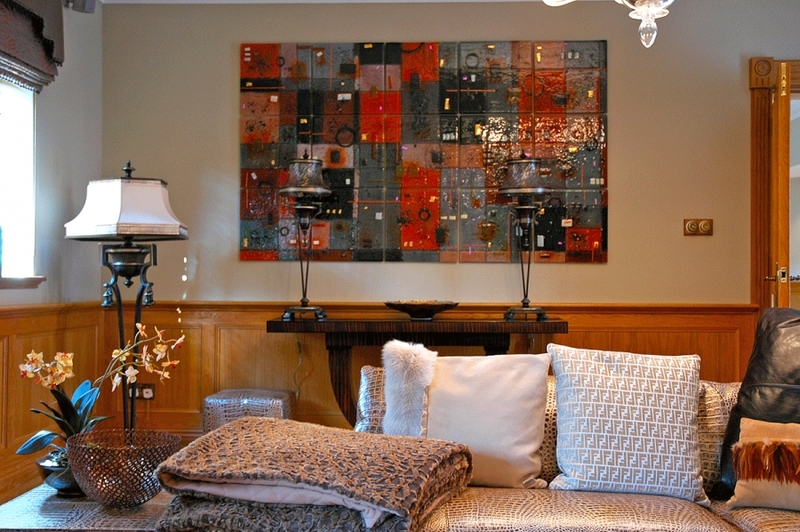 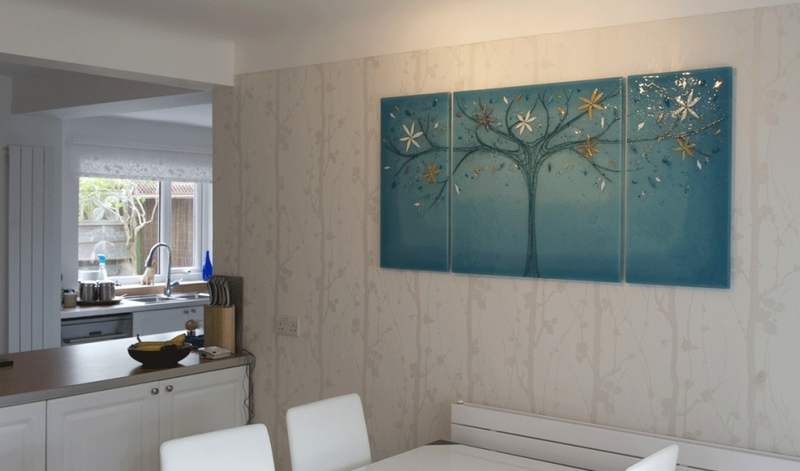 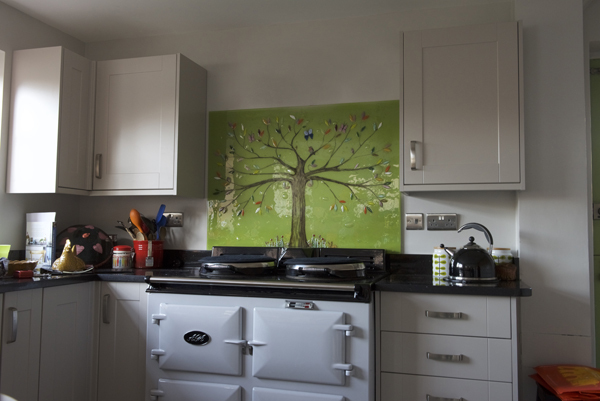 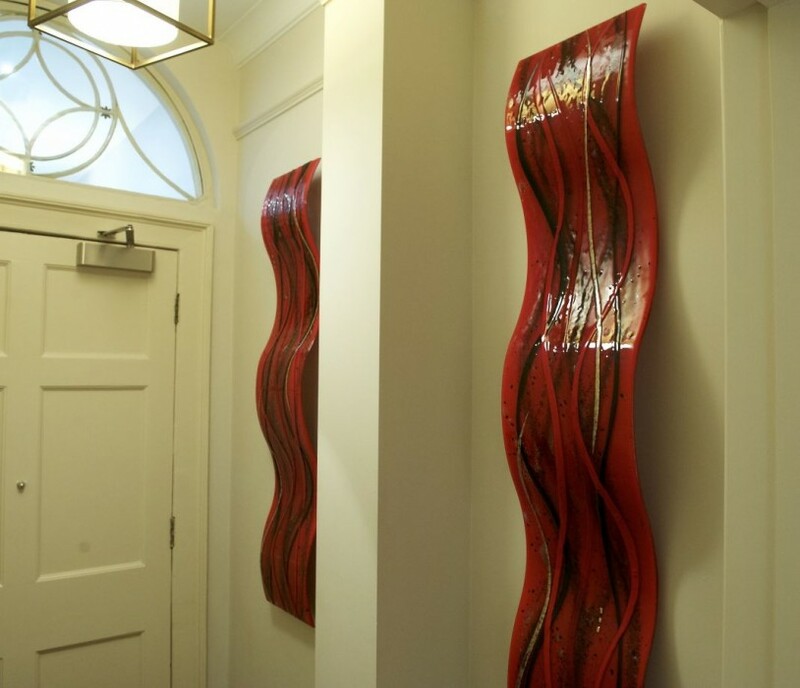 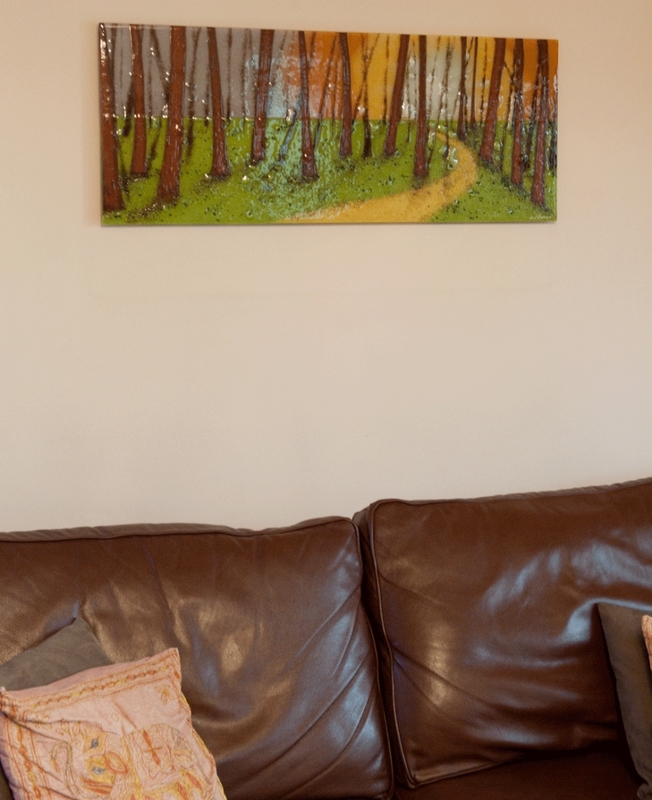 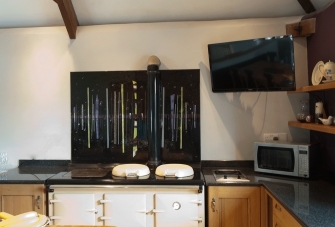 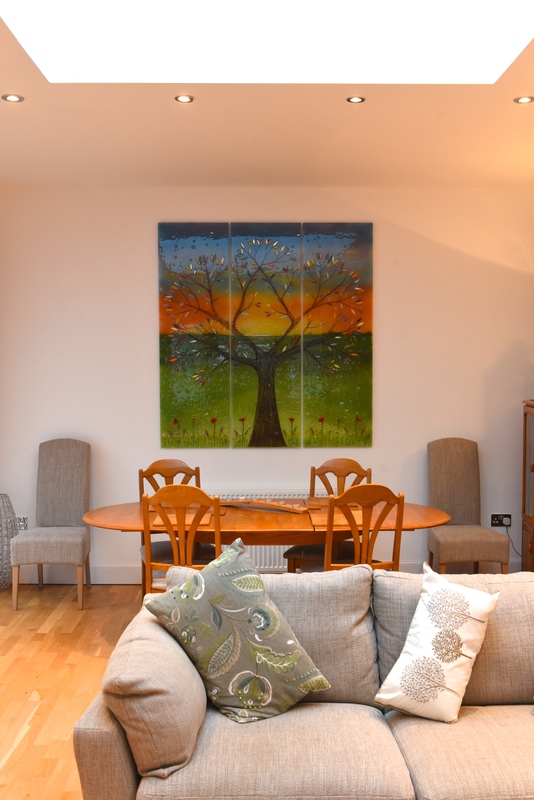 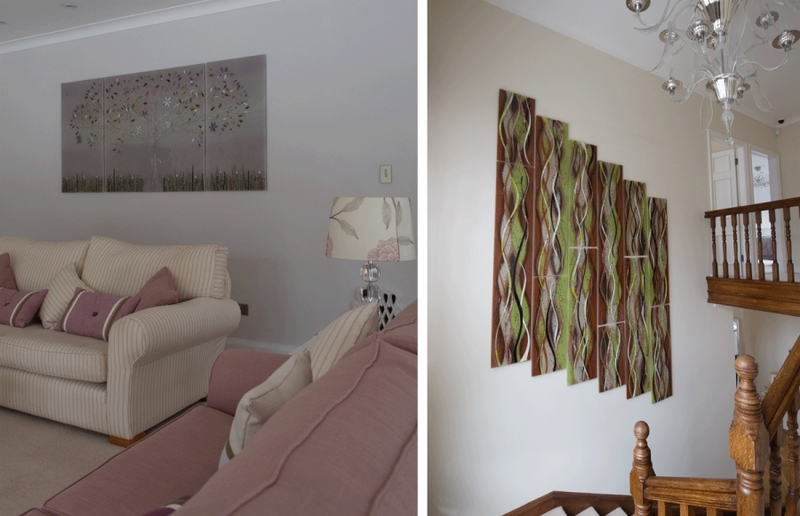 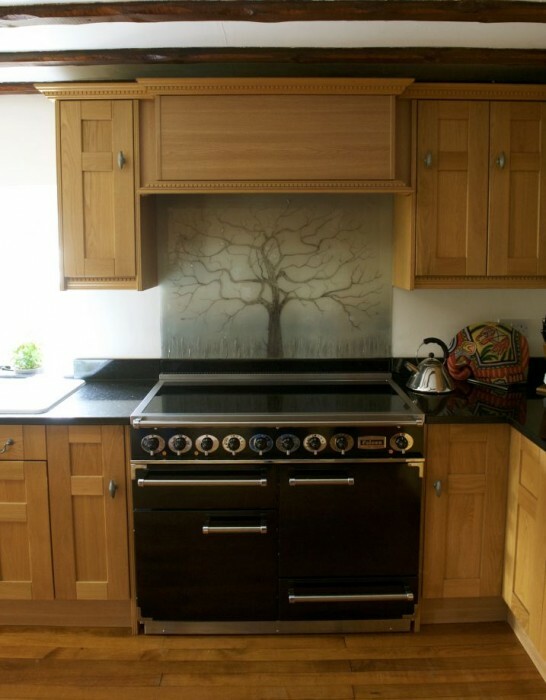 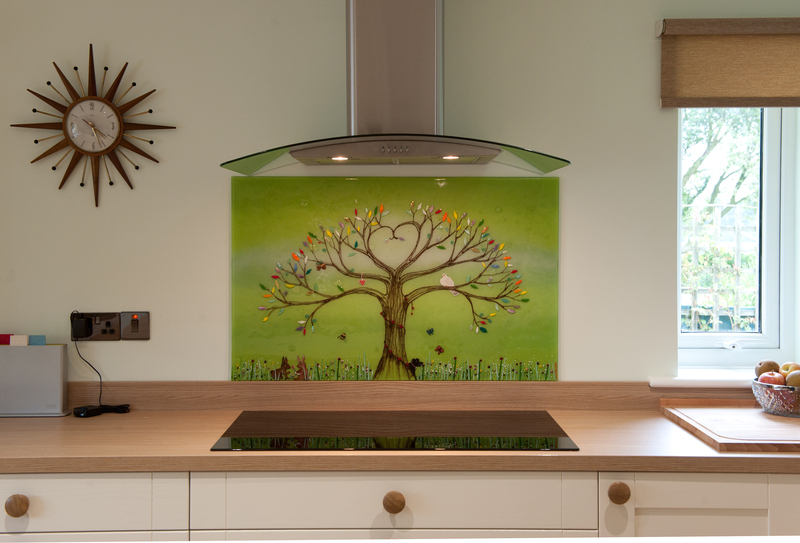 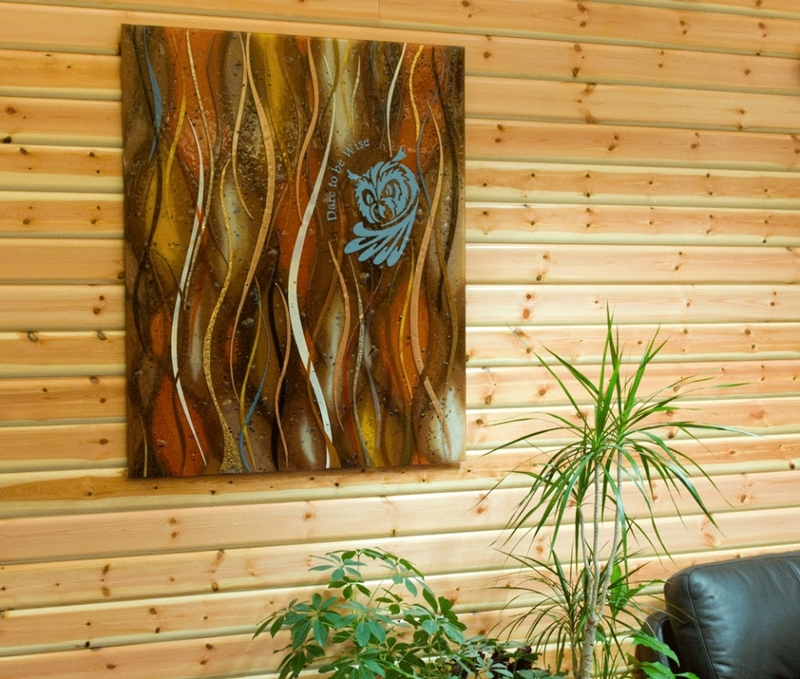 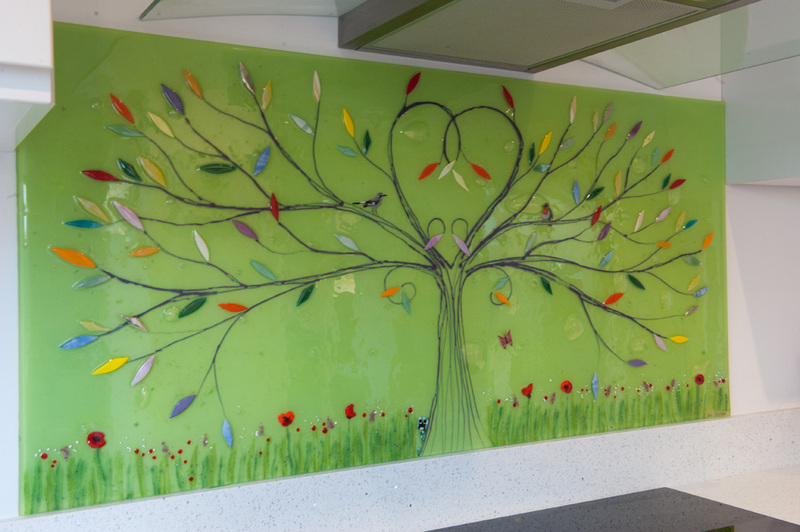 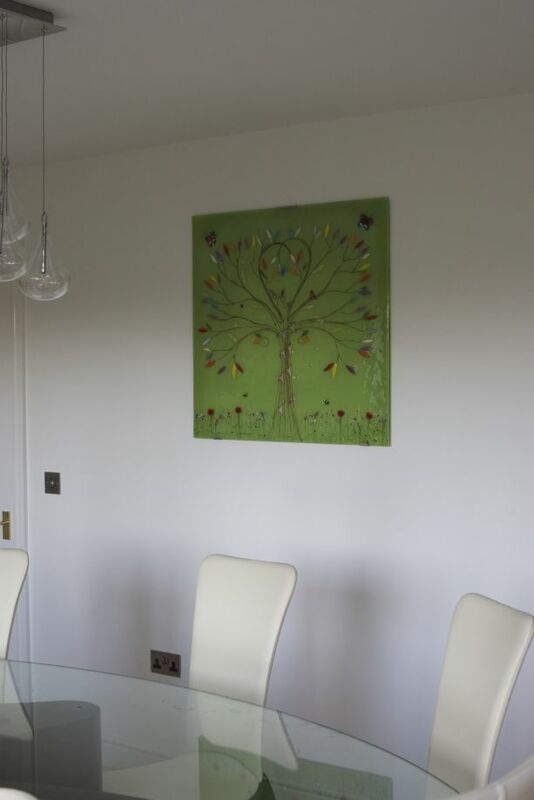 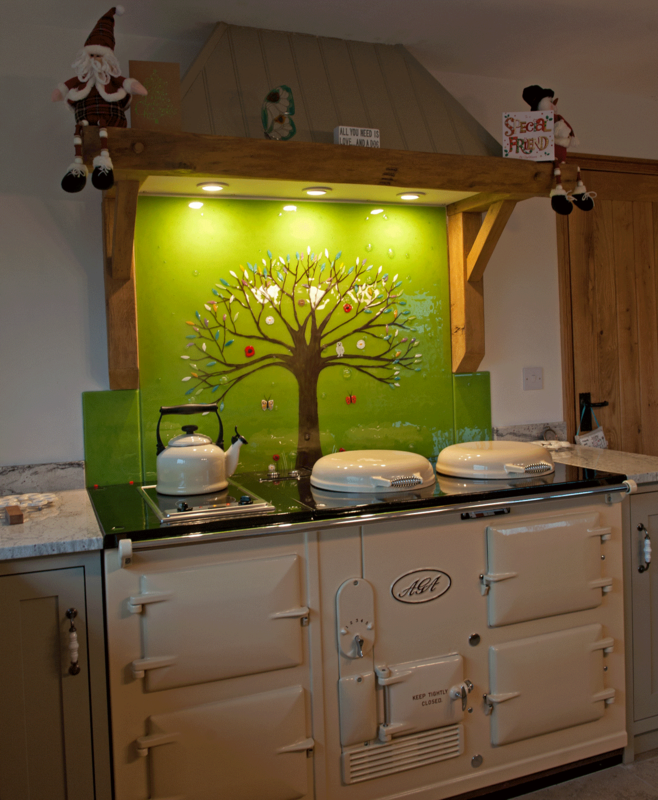 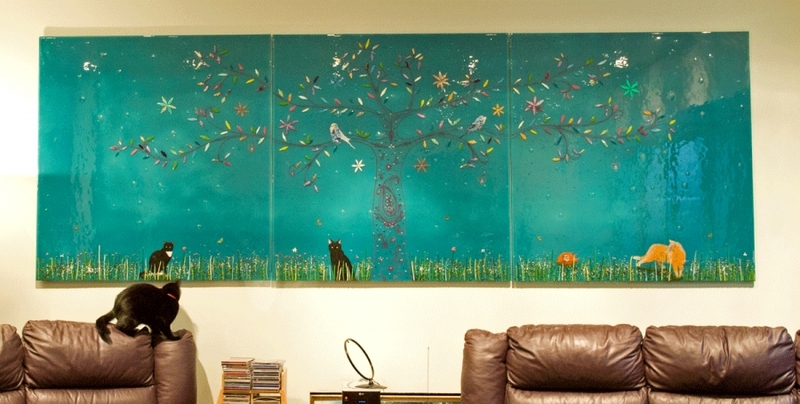 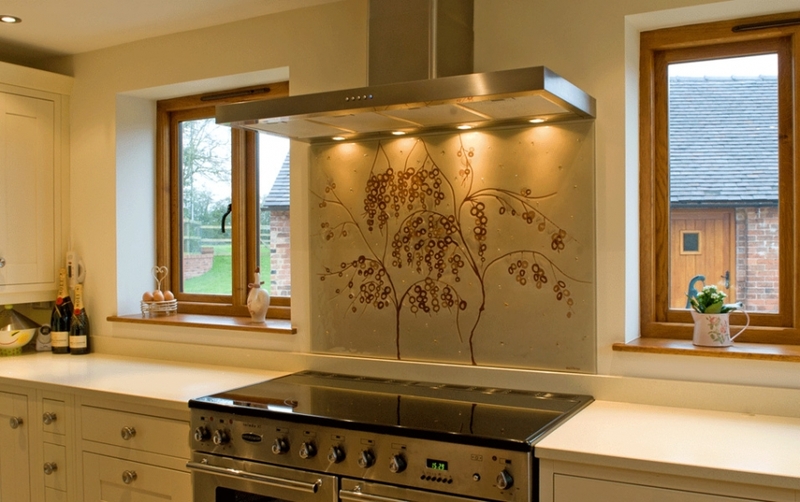 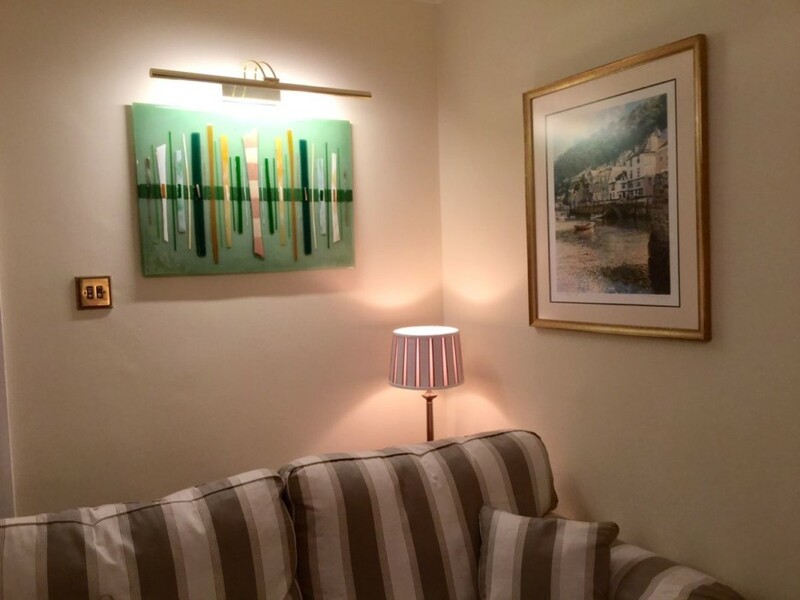 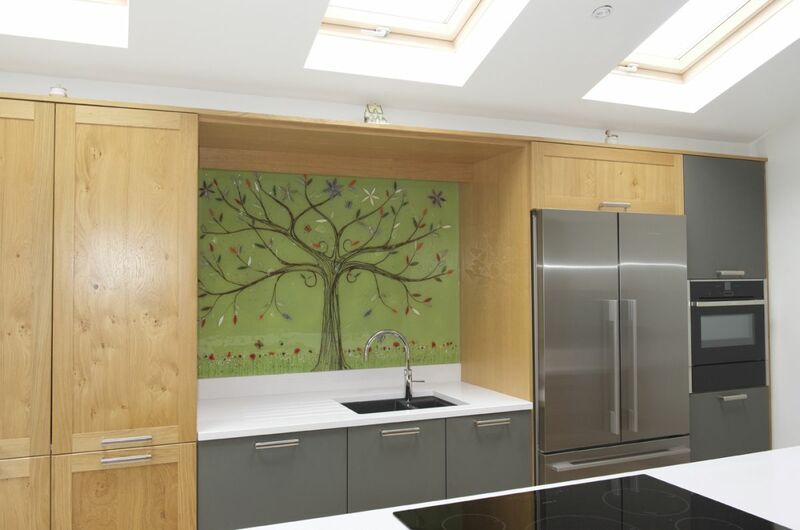 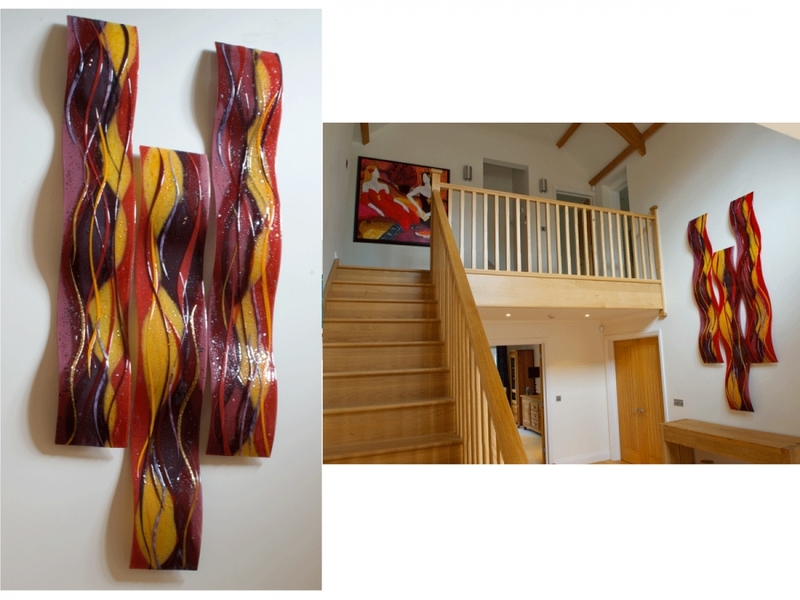 Without any leaves to speak of, there’s a huge amount of detail in the subtly textured background of the piece and in the way that the tree twists, bends and intricately weaves outwards to fill the space behind the cooker. 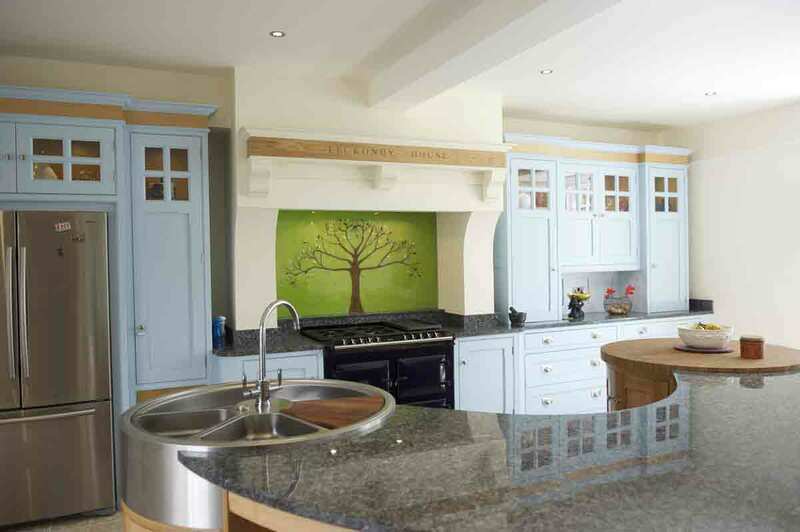 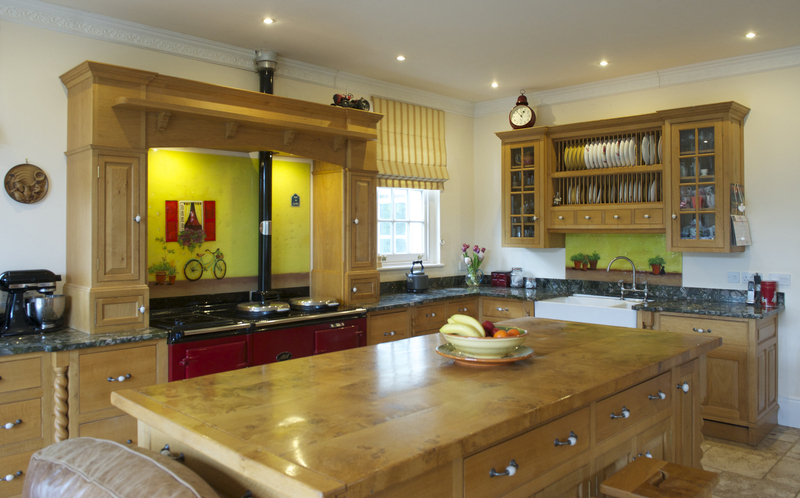 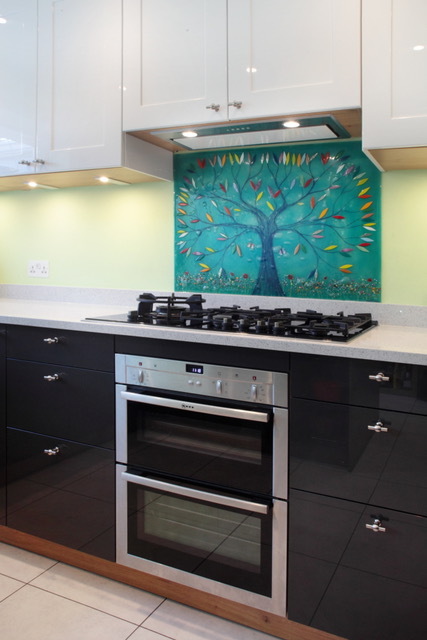 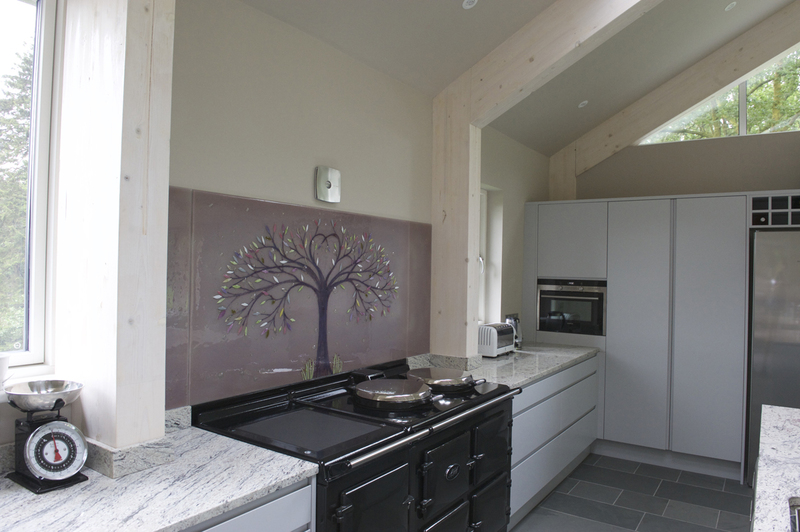 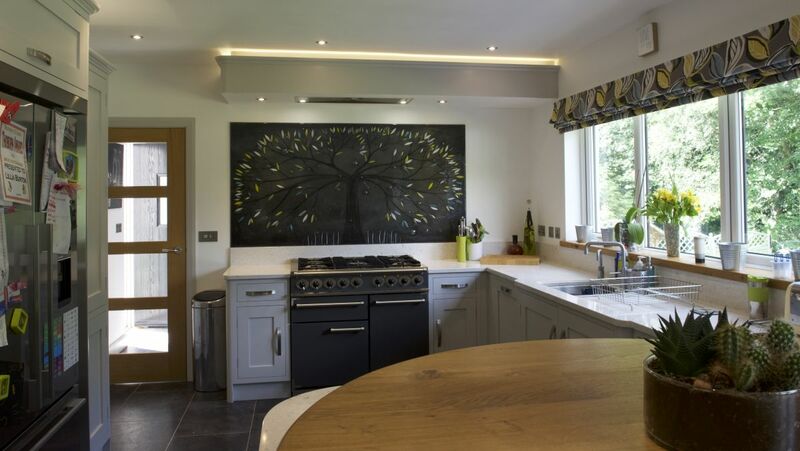 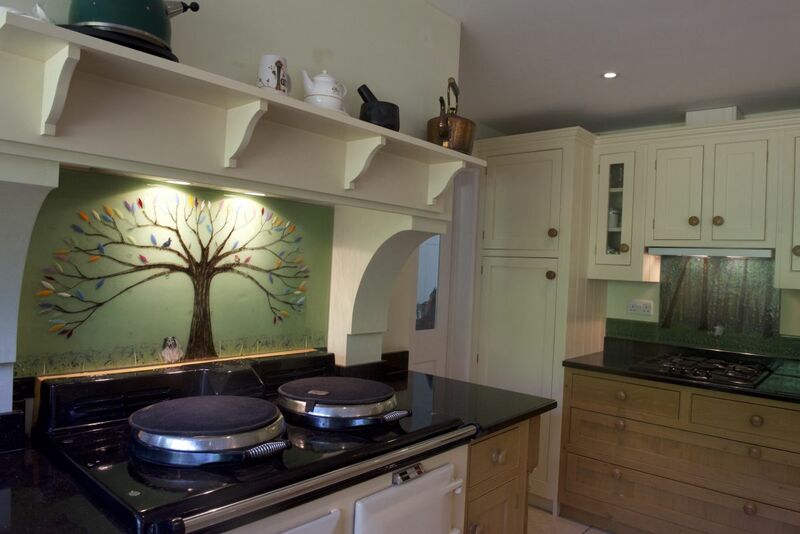 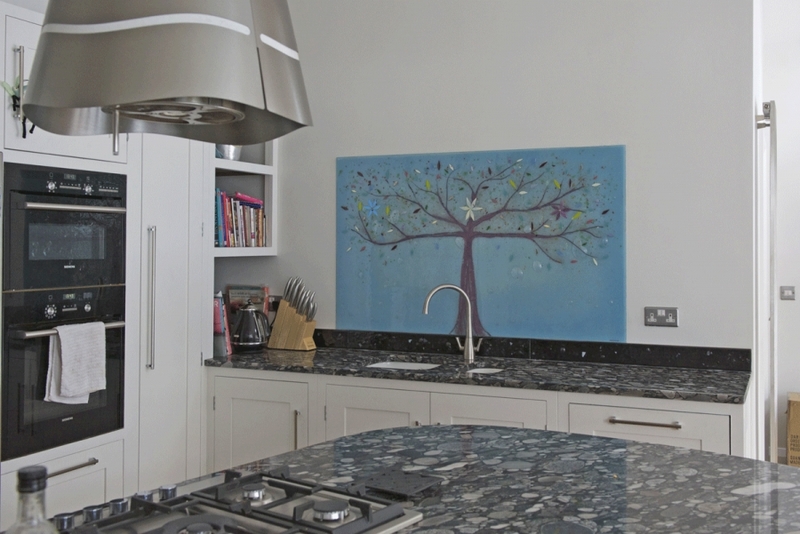 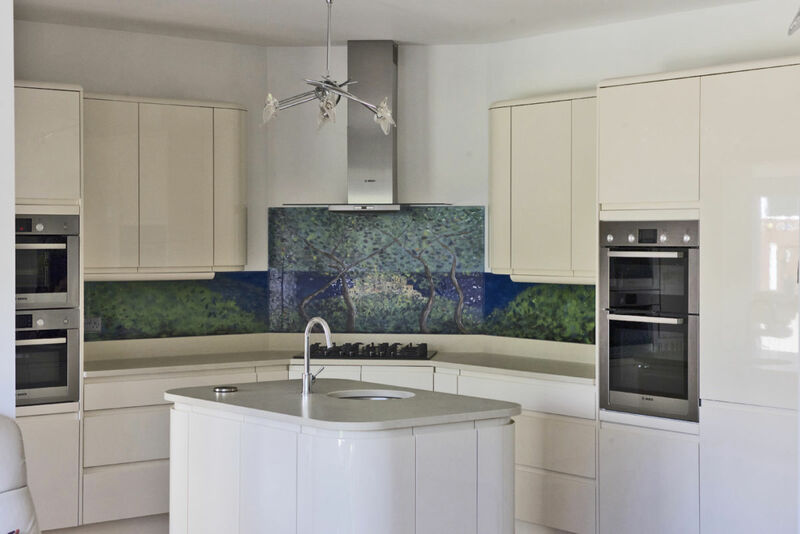 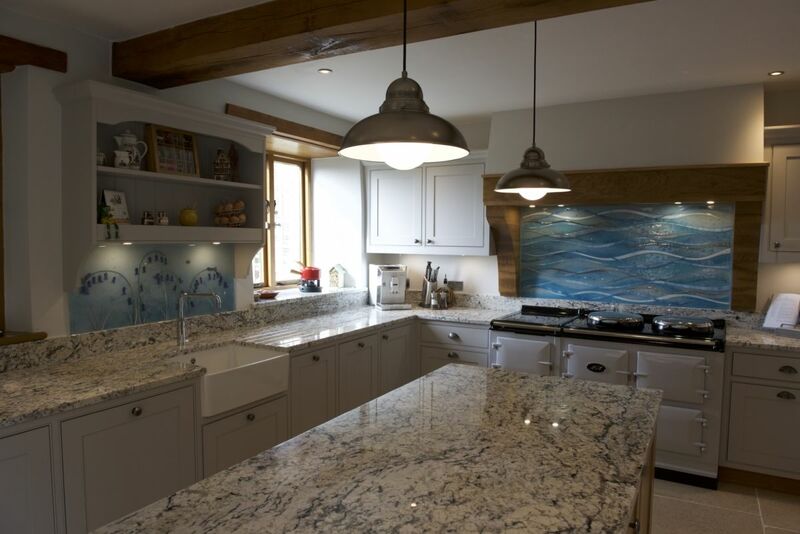 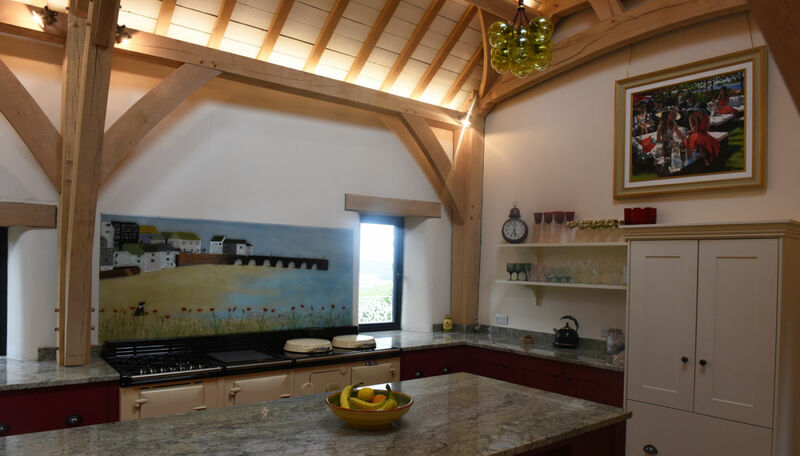 We especially love how the design of the tree matches the surface of the island in the middle of the kitchen, with the twisting branches mirroring the crack-like patterns. 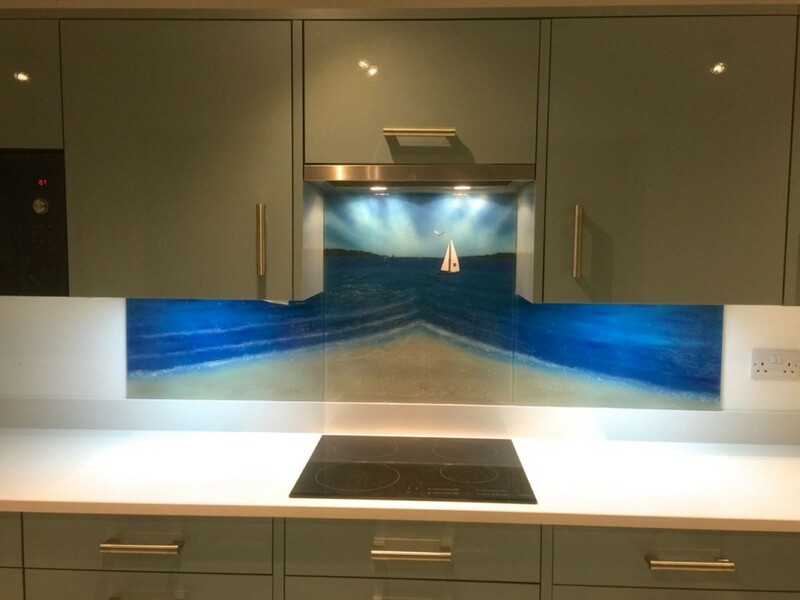 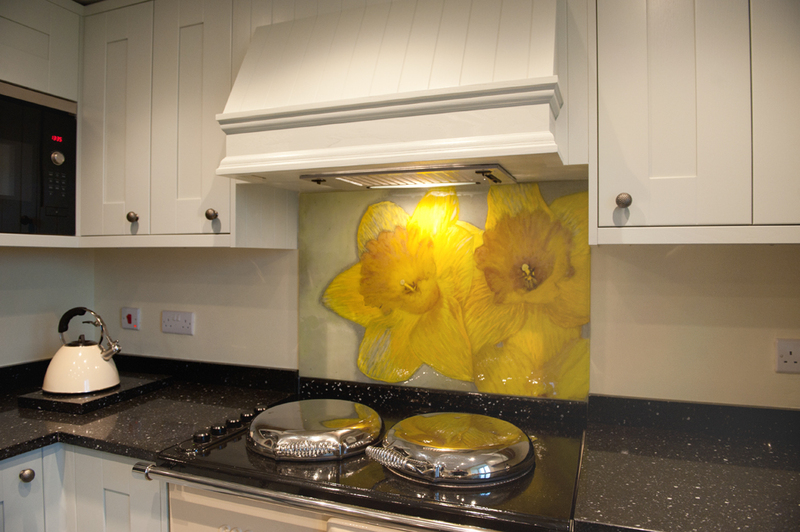 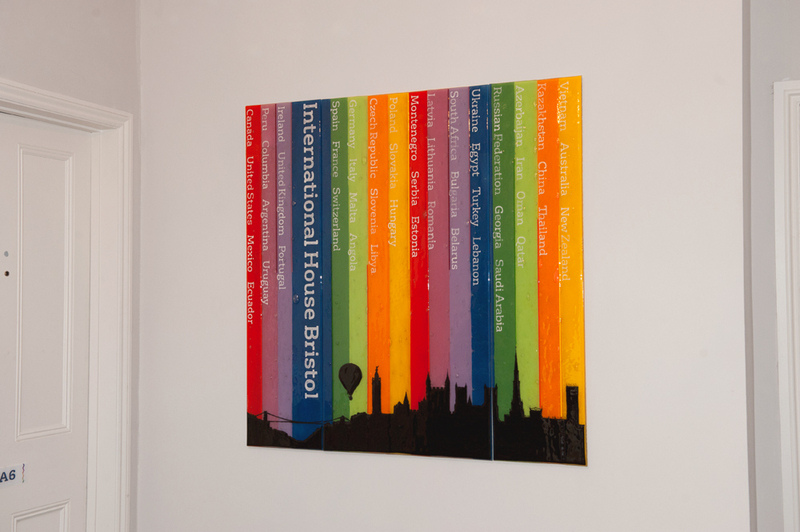 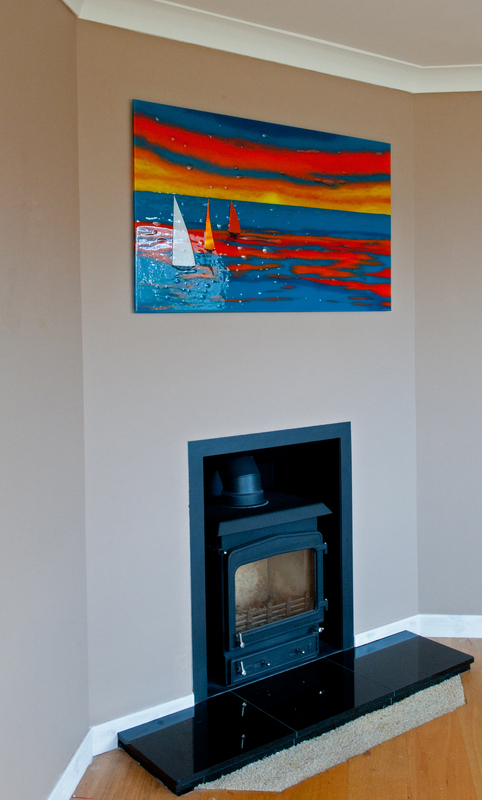 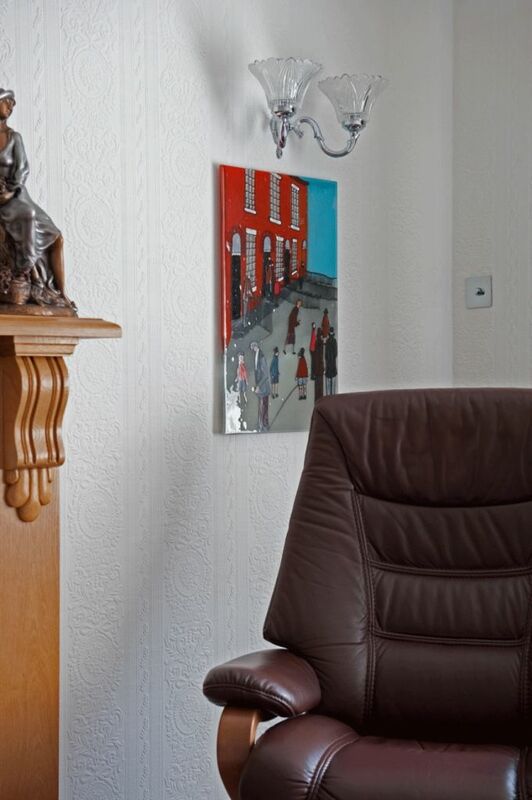 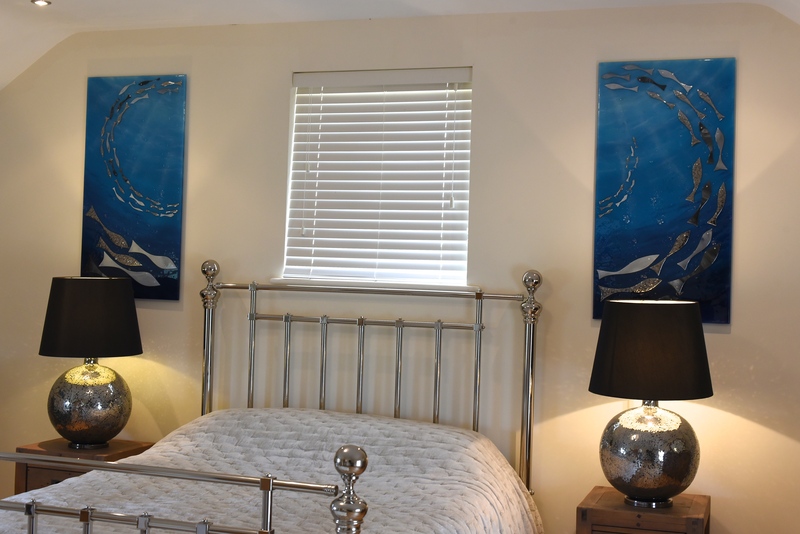 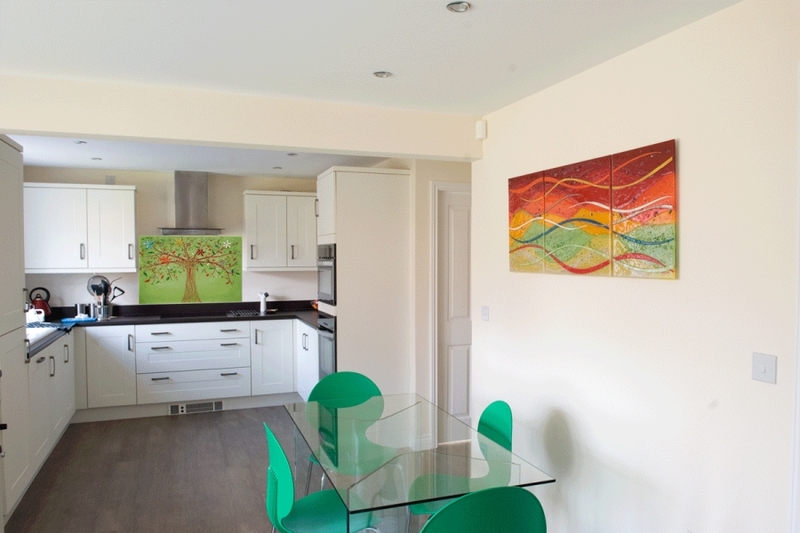 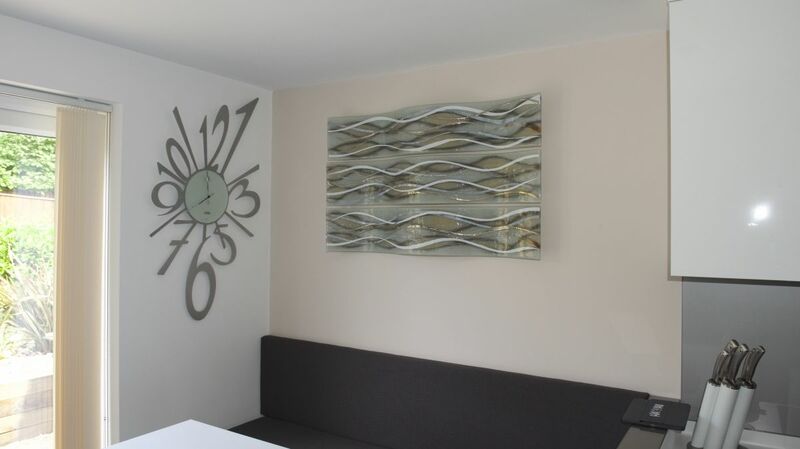 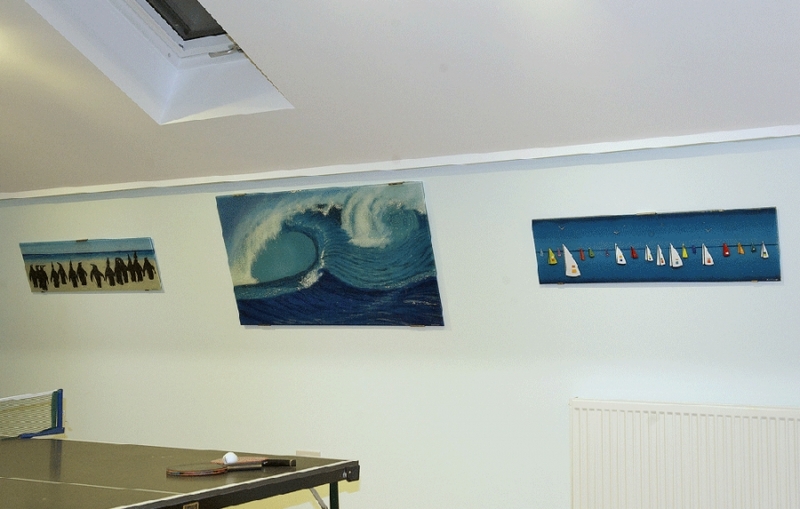 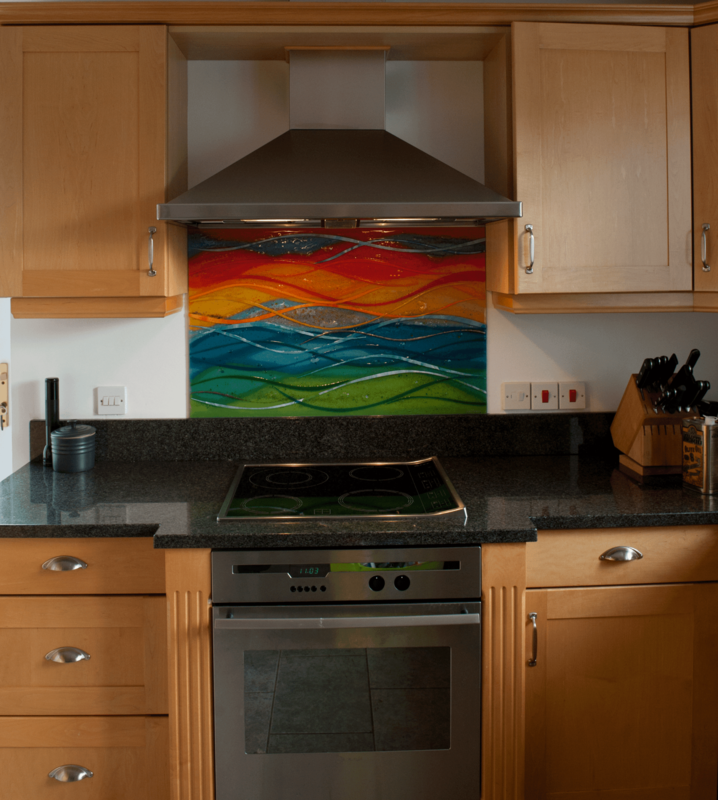 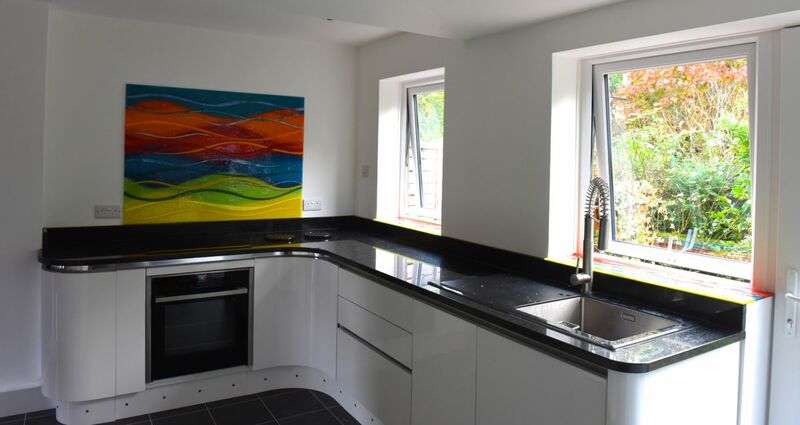 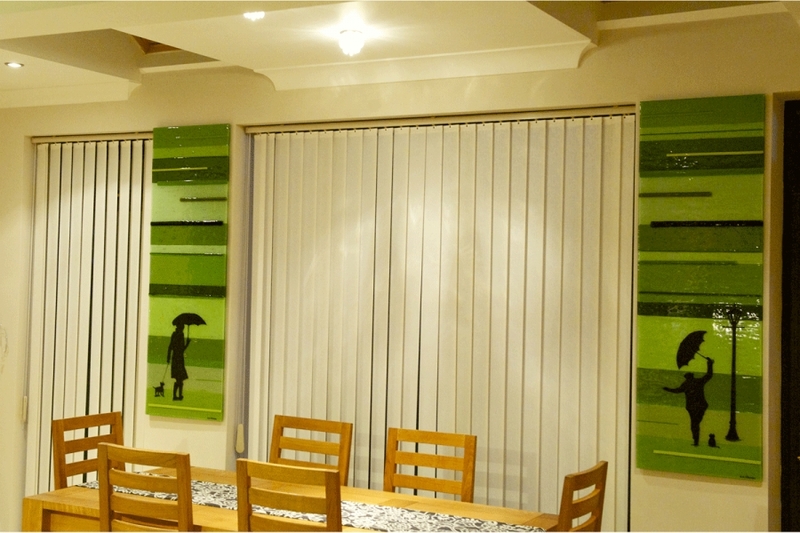 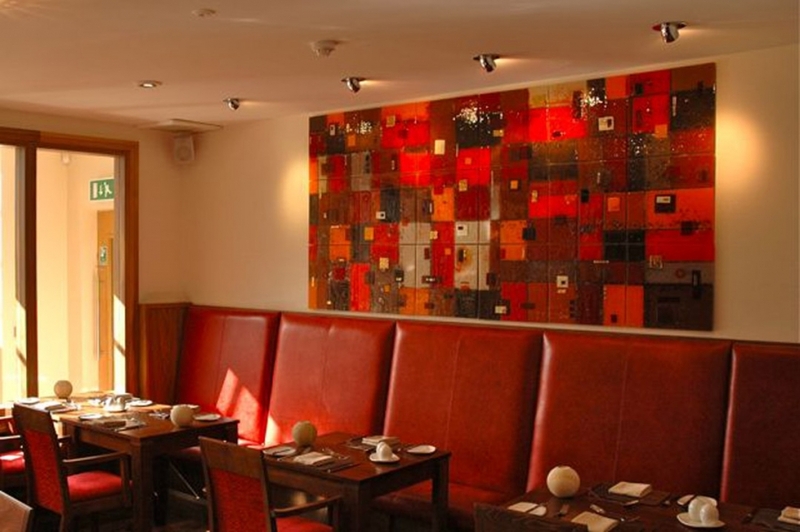 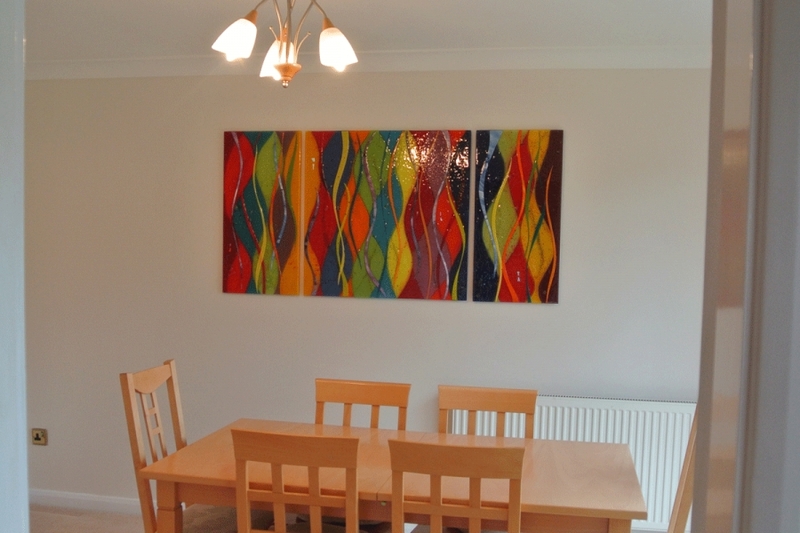 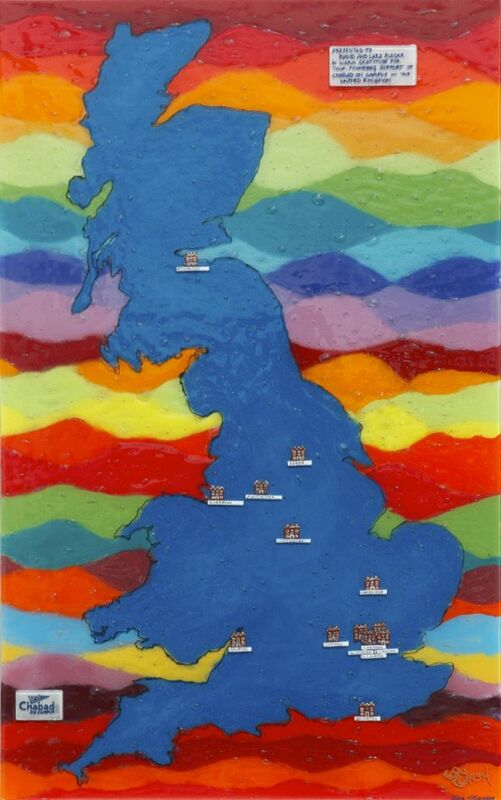 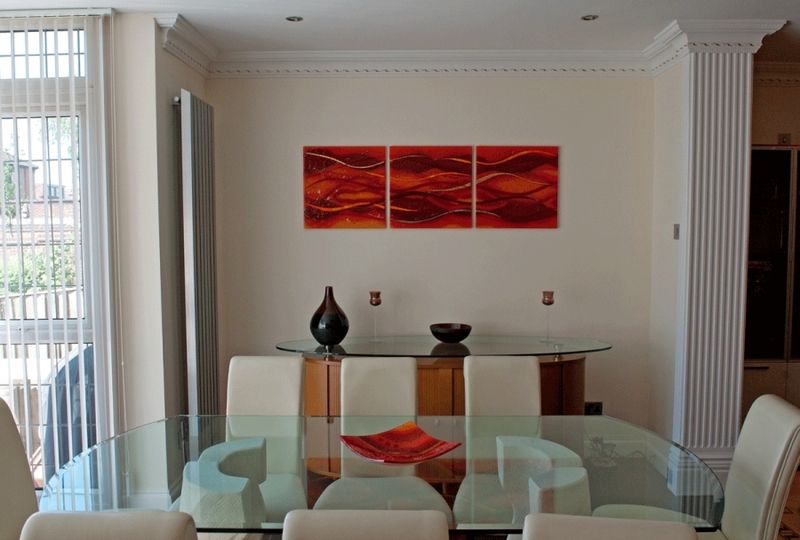 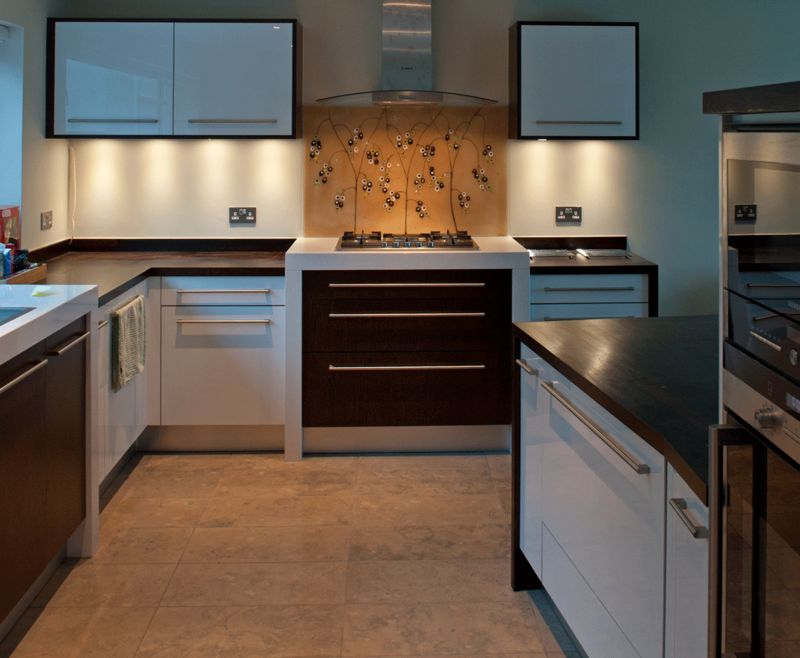 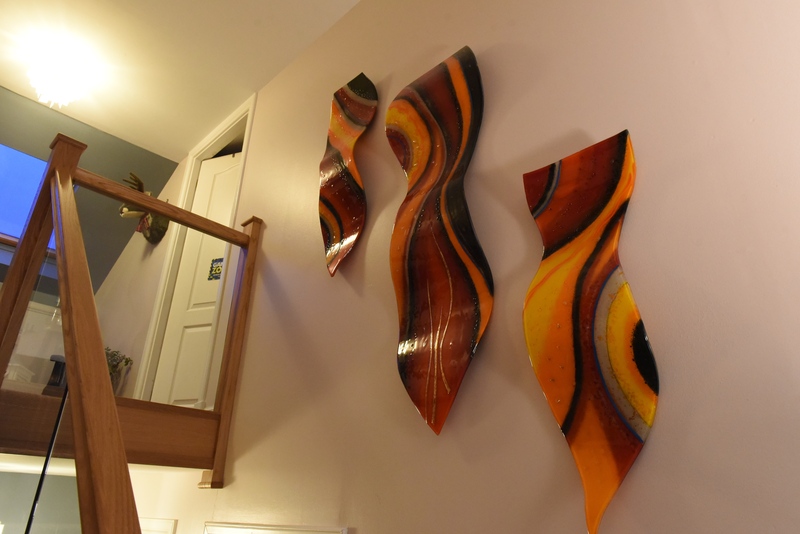 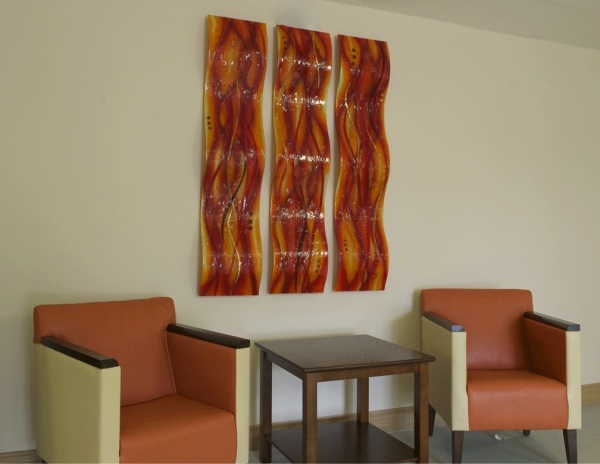 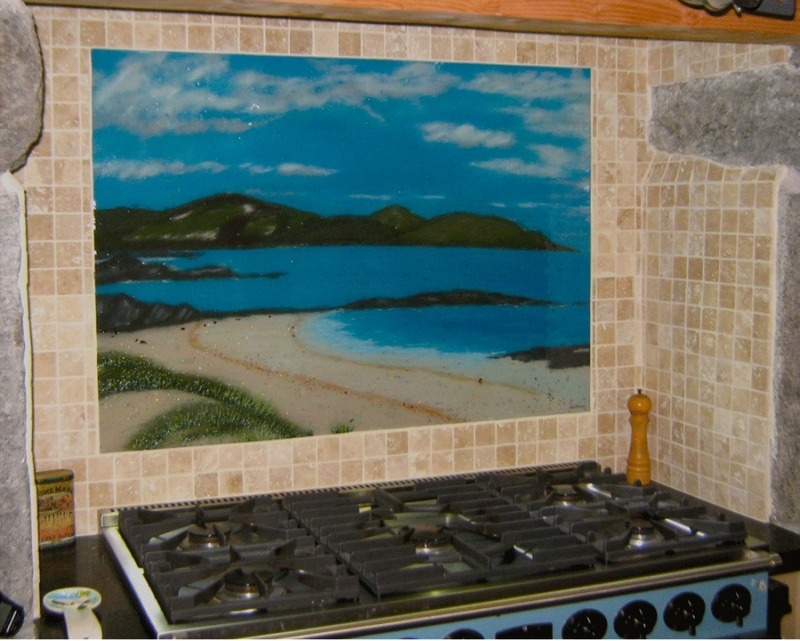 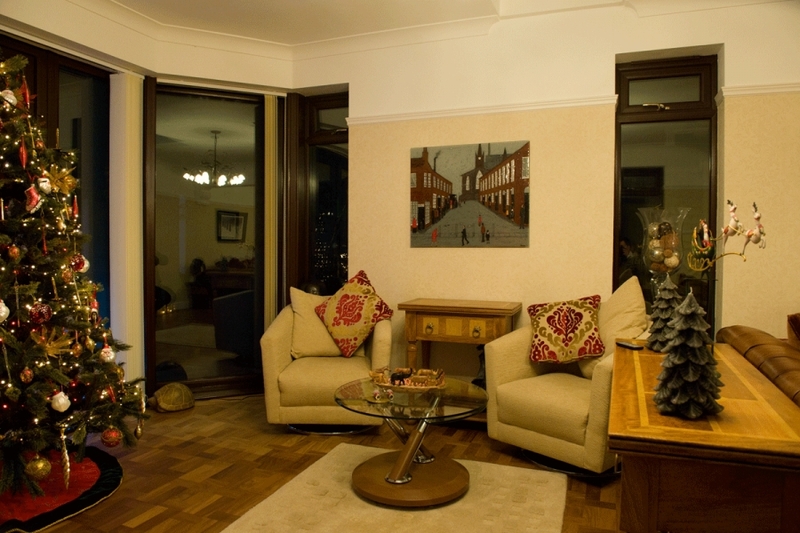 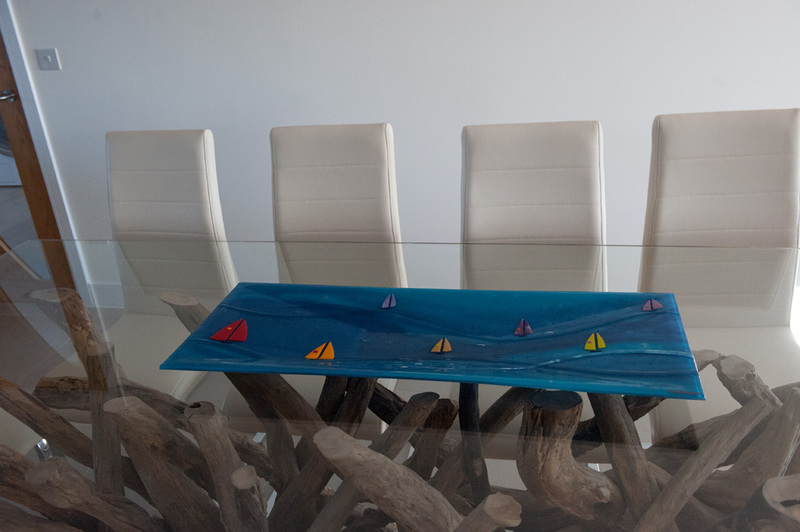 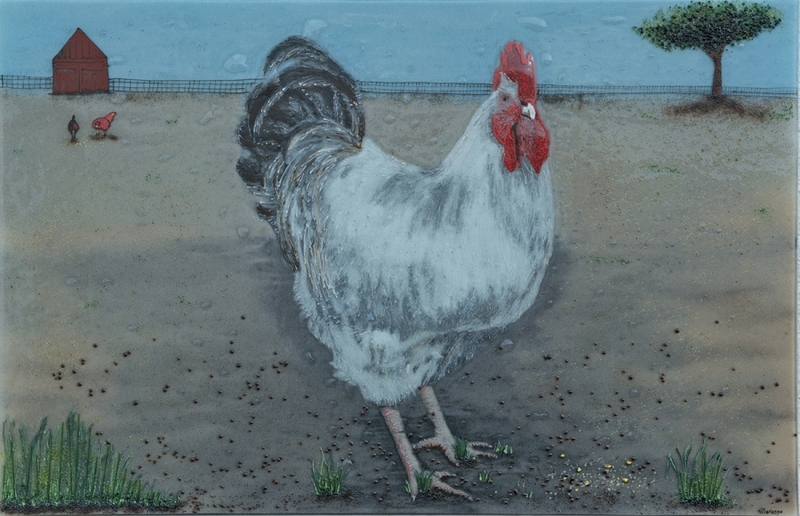 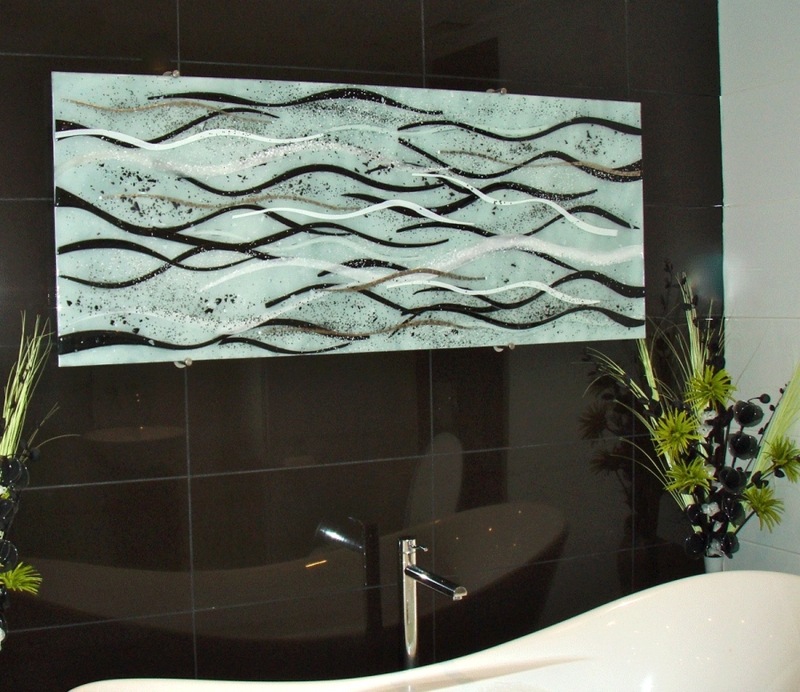 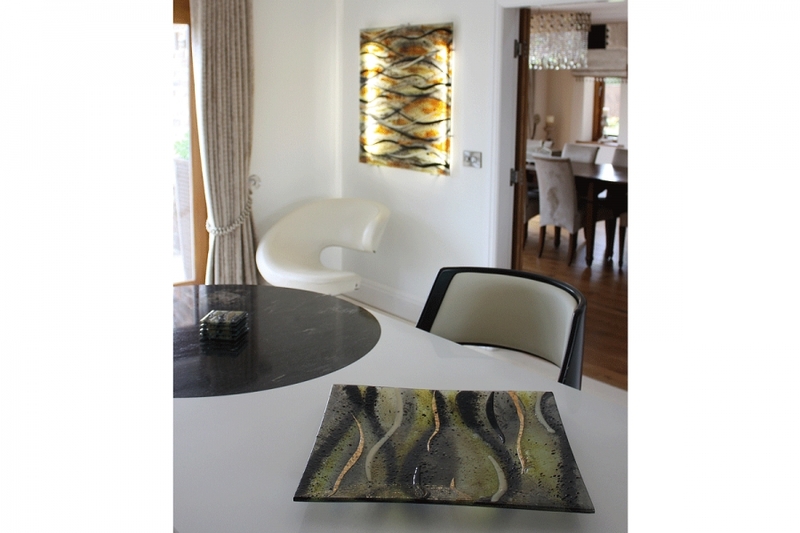 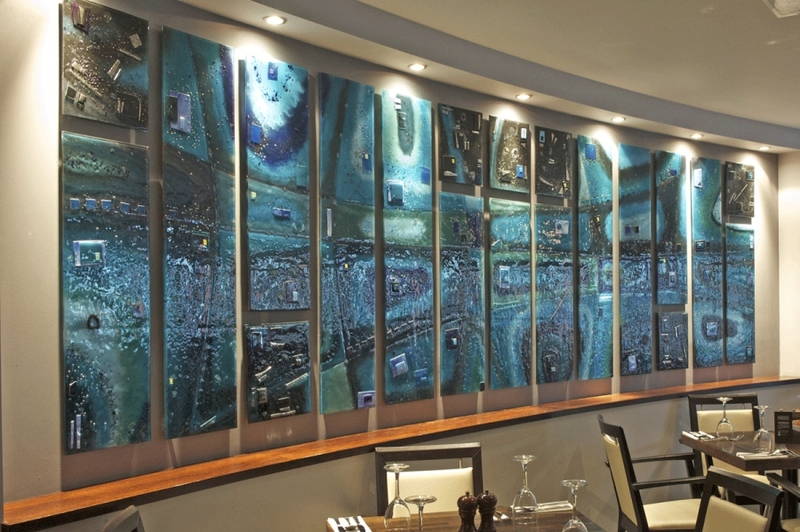 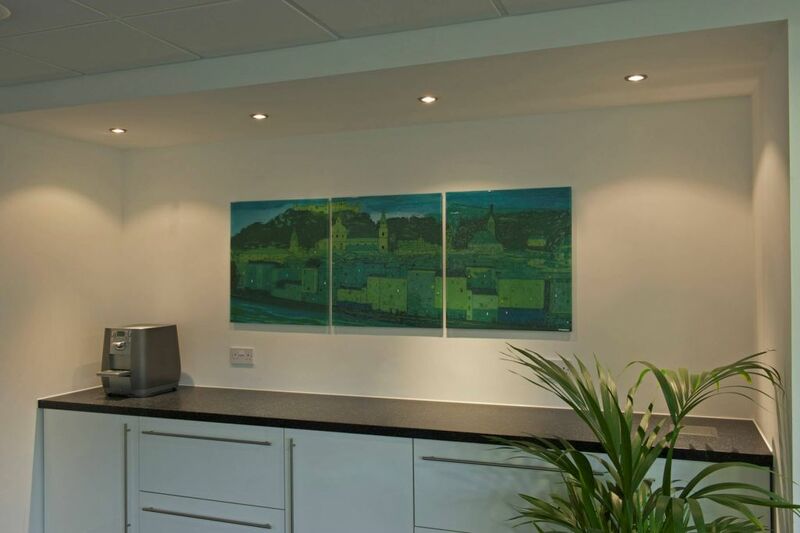 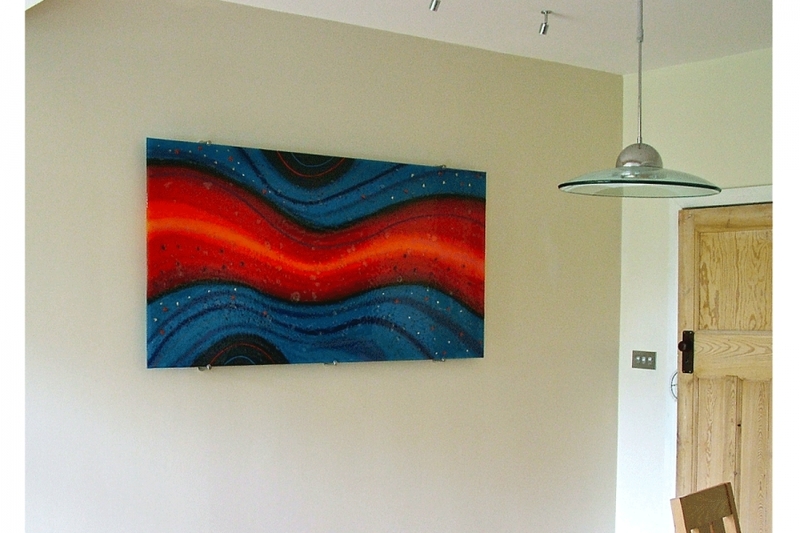 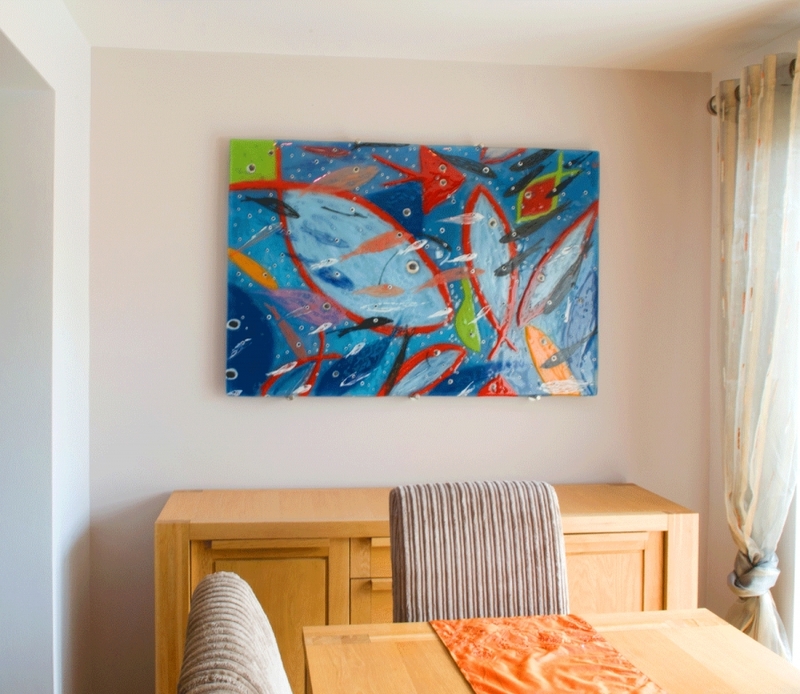 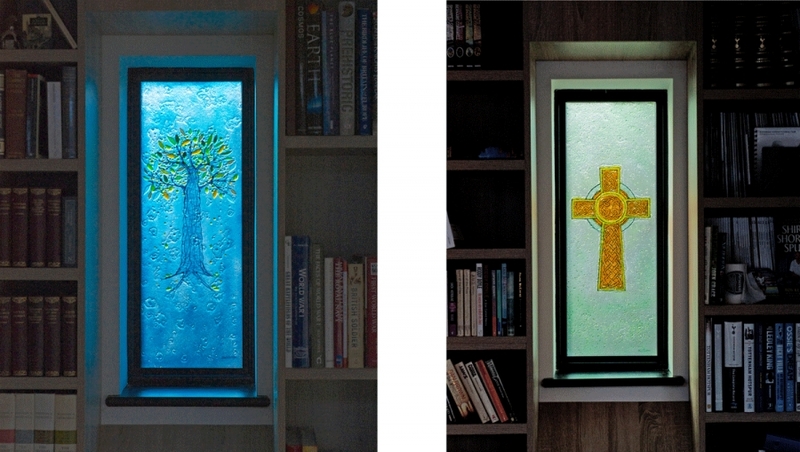 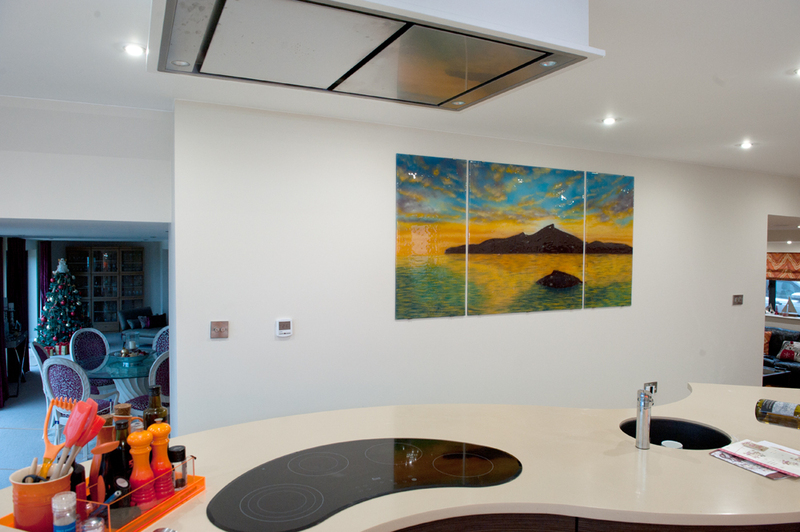 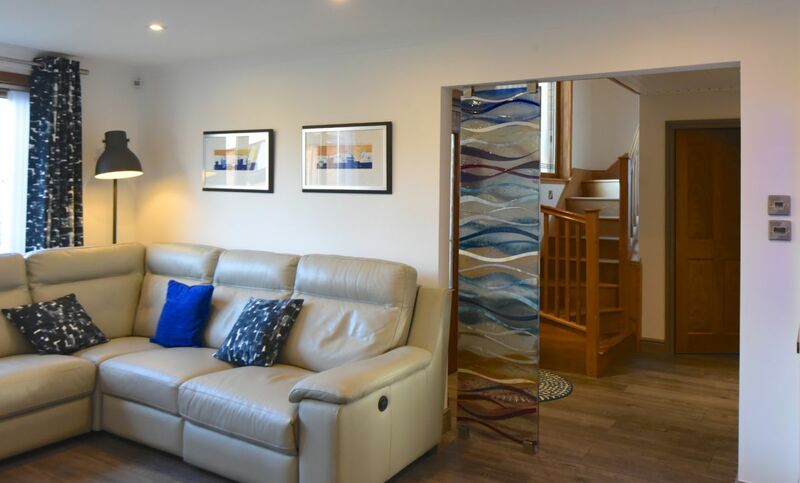 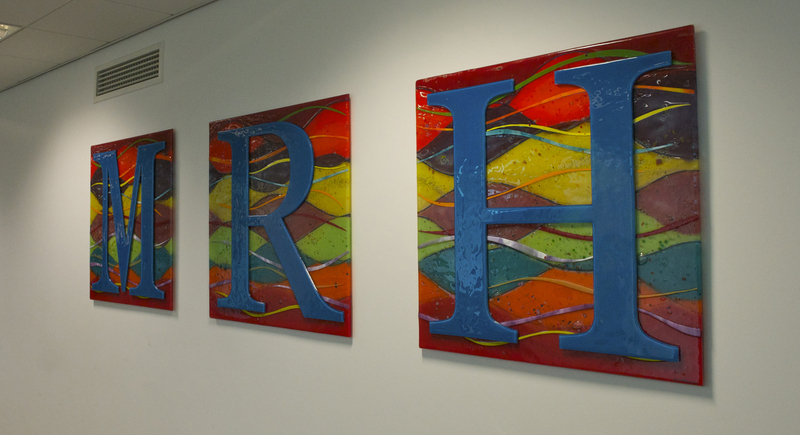 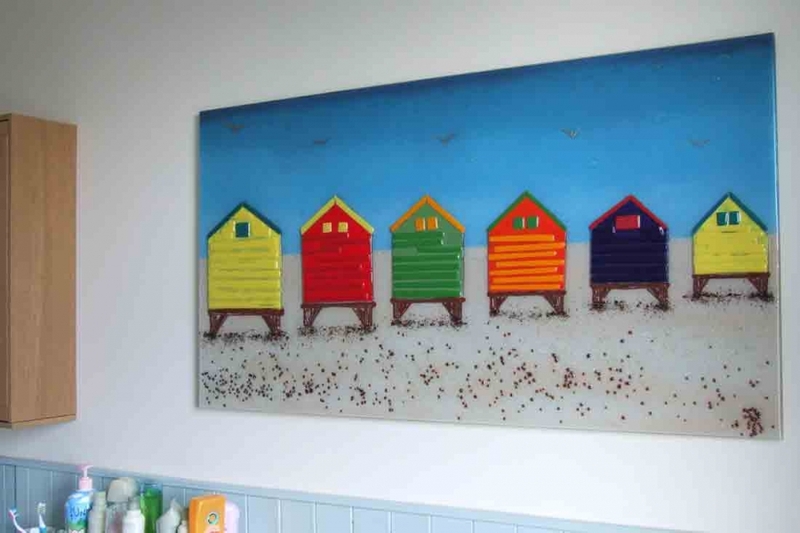 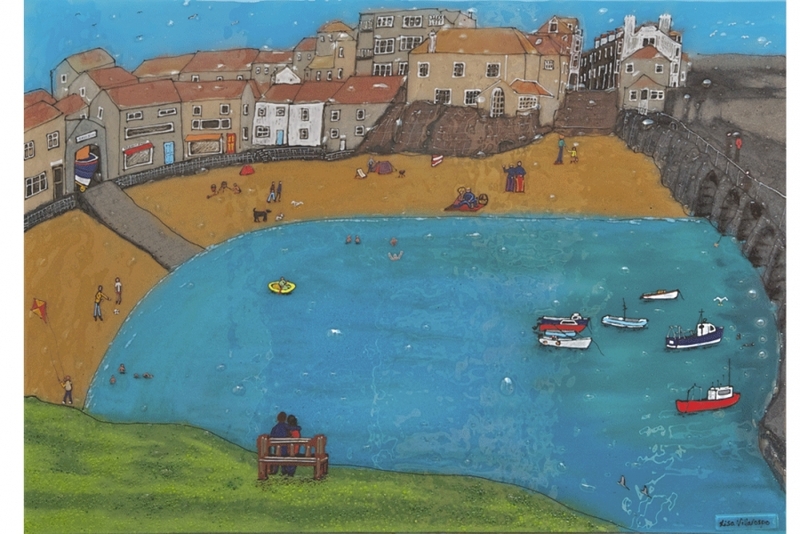 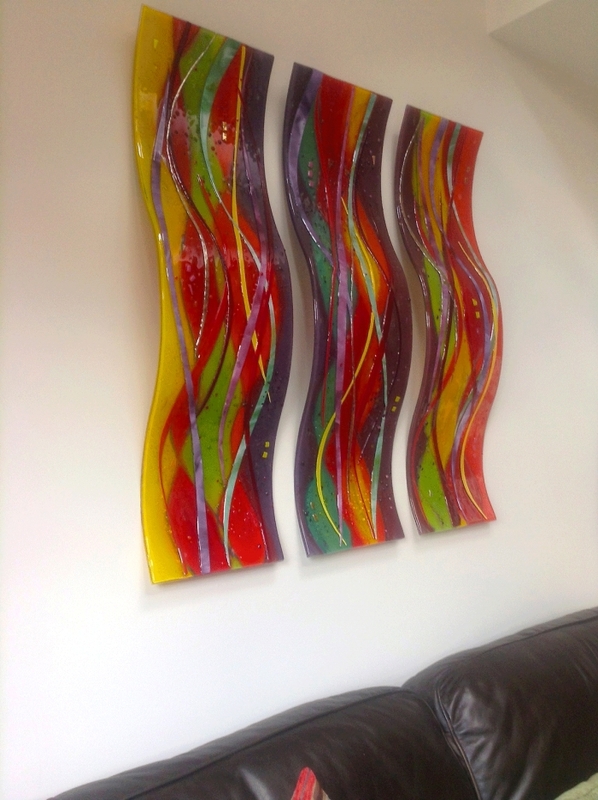 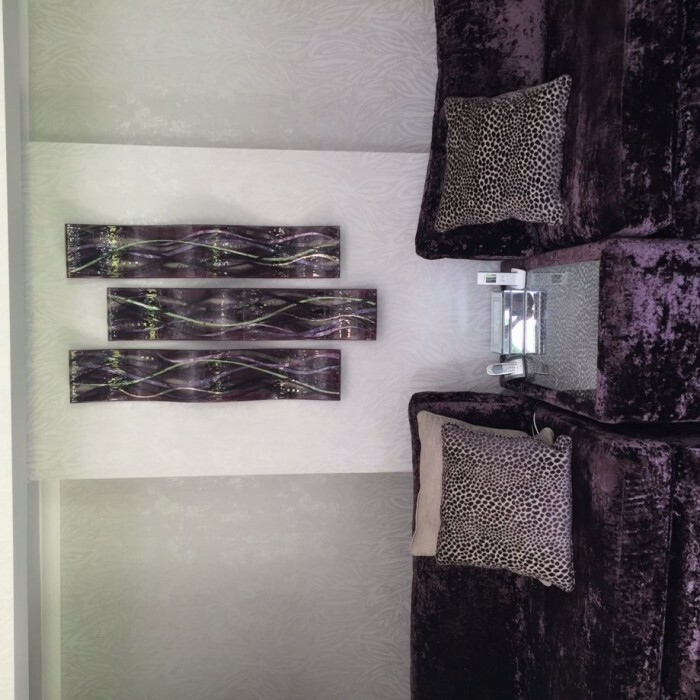 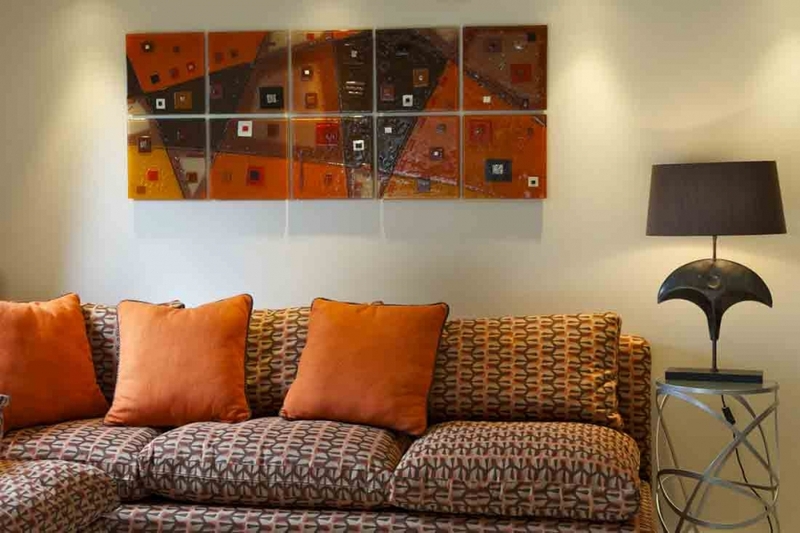 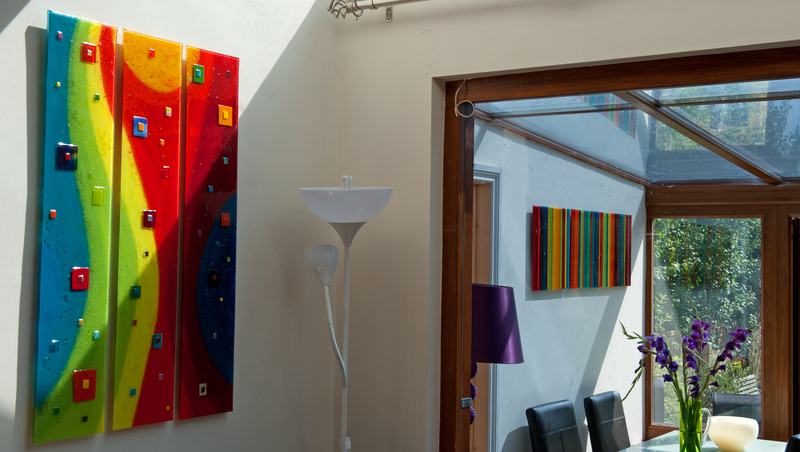 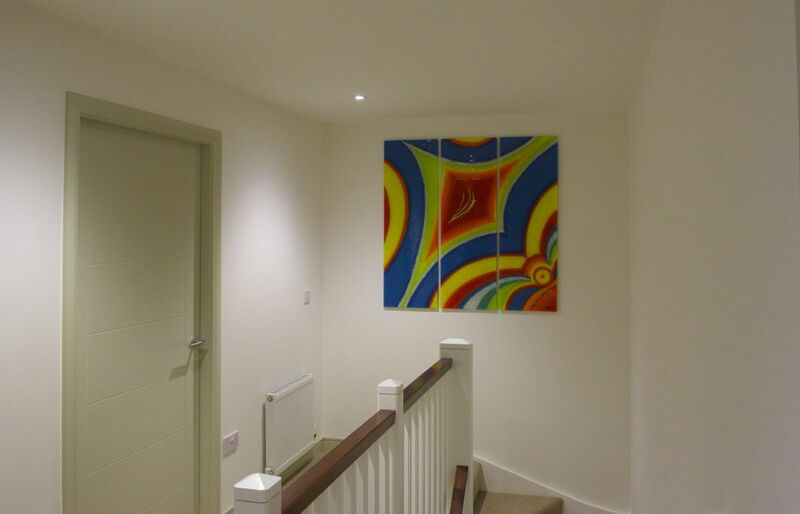 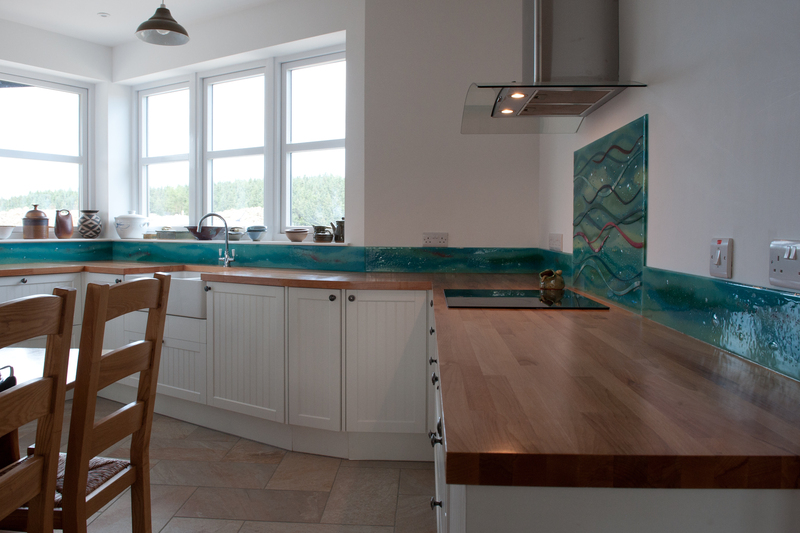 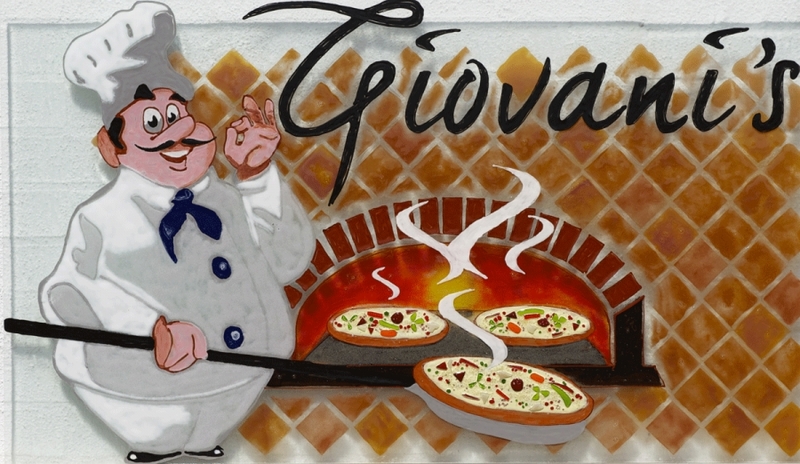 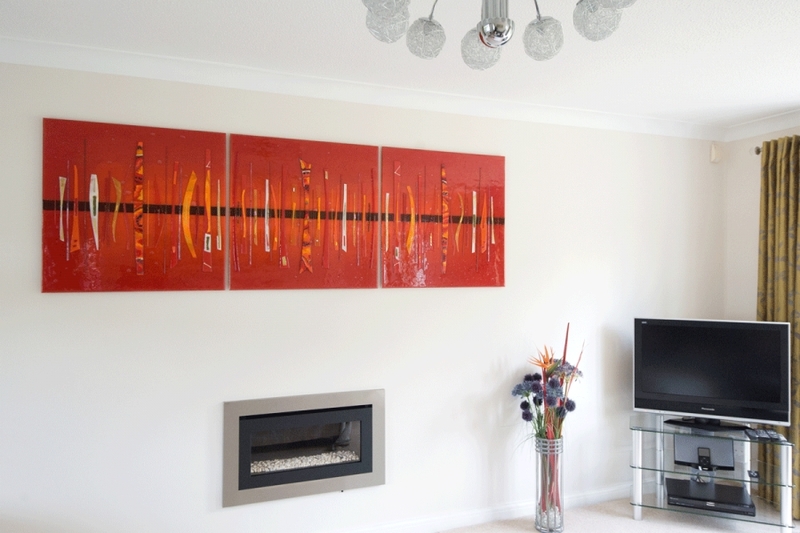 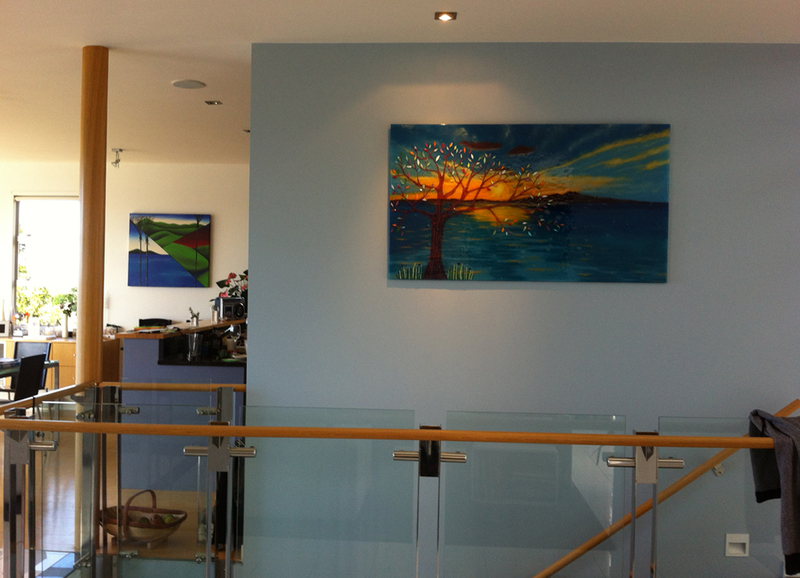 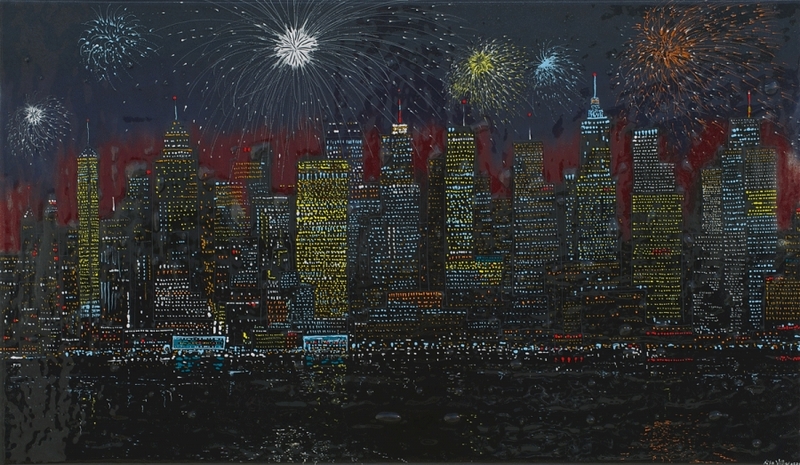 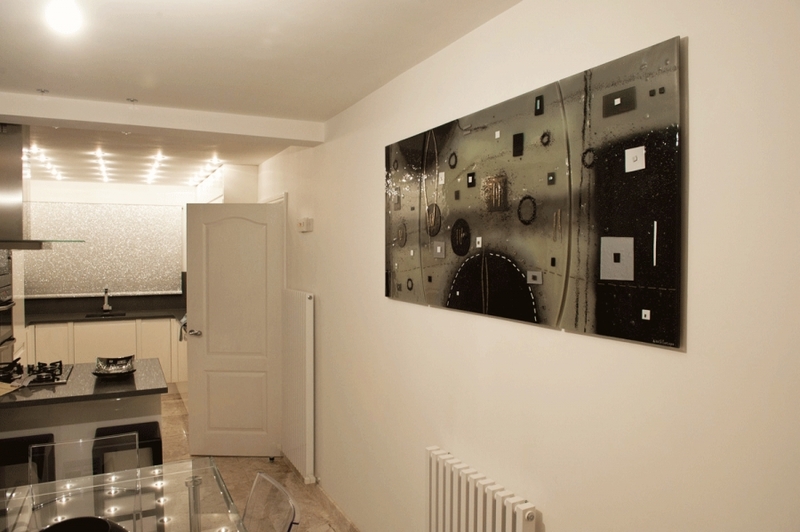 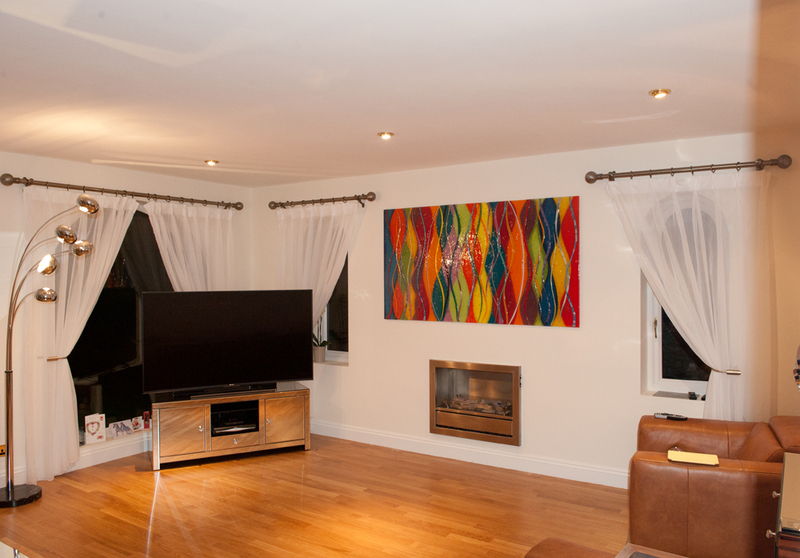 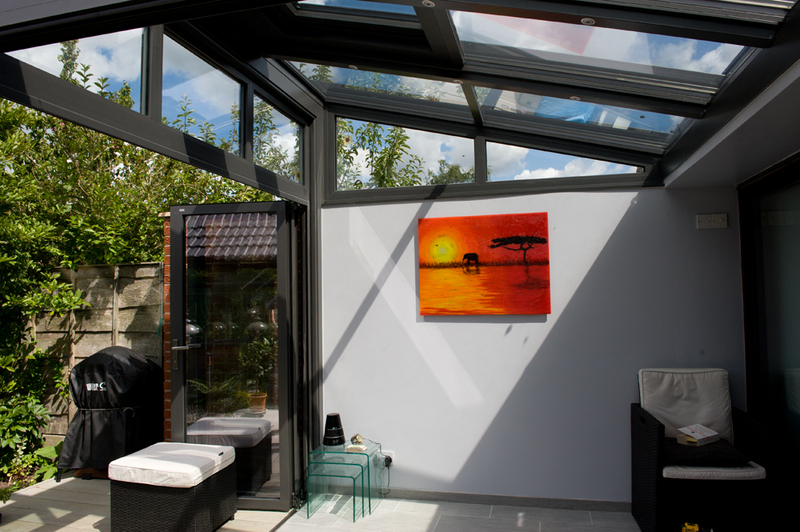 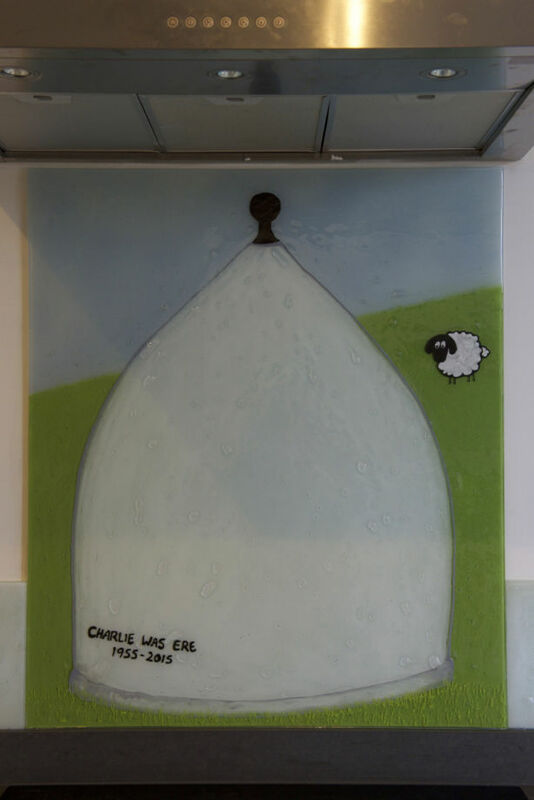 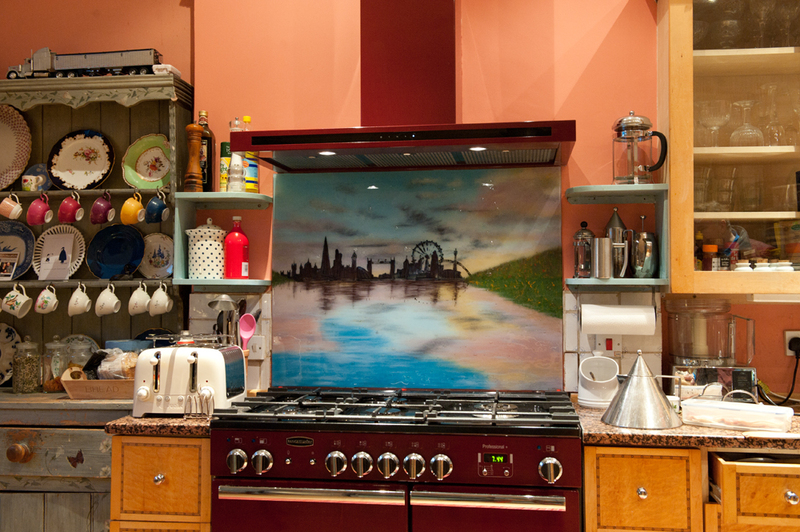 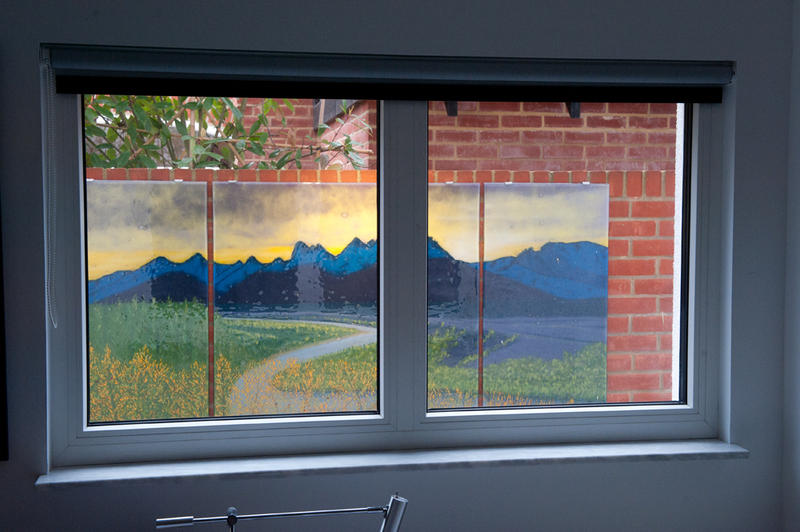 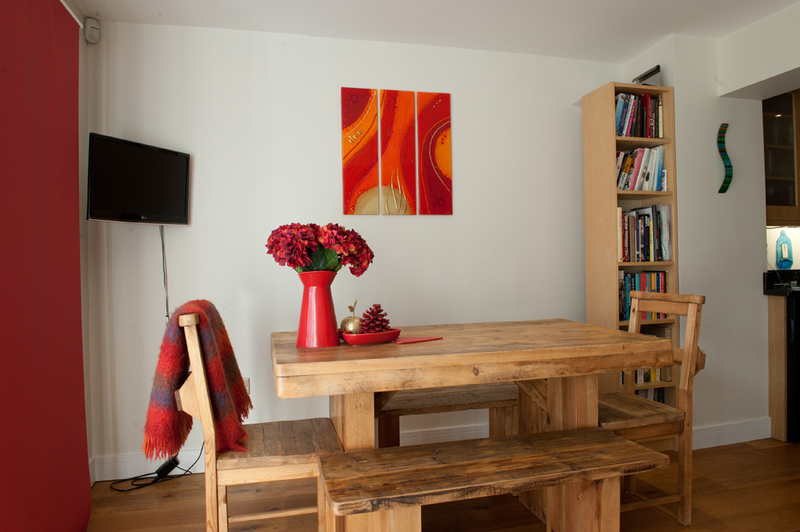 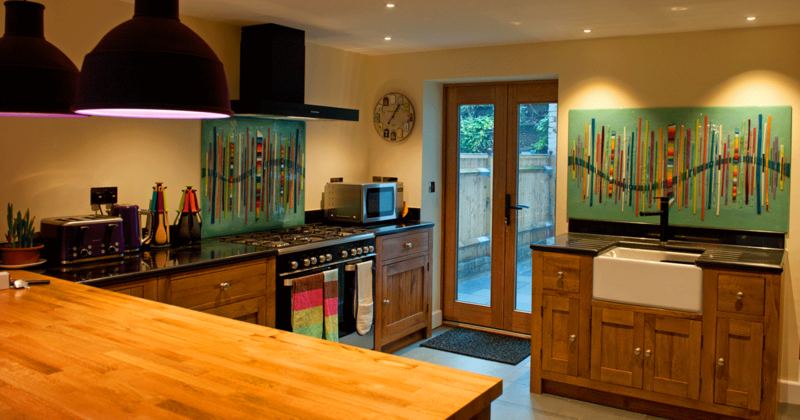 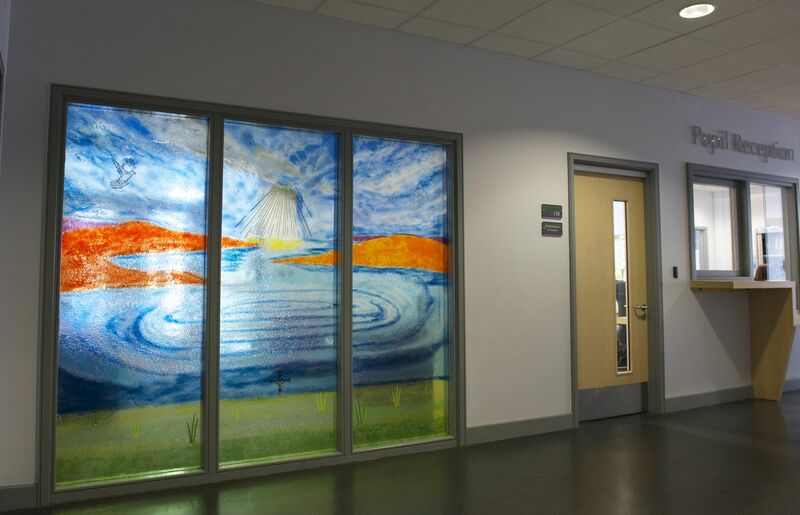 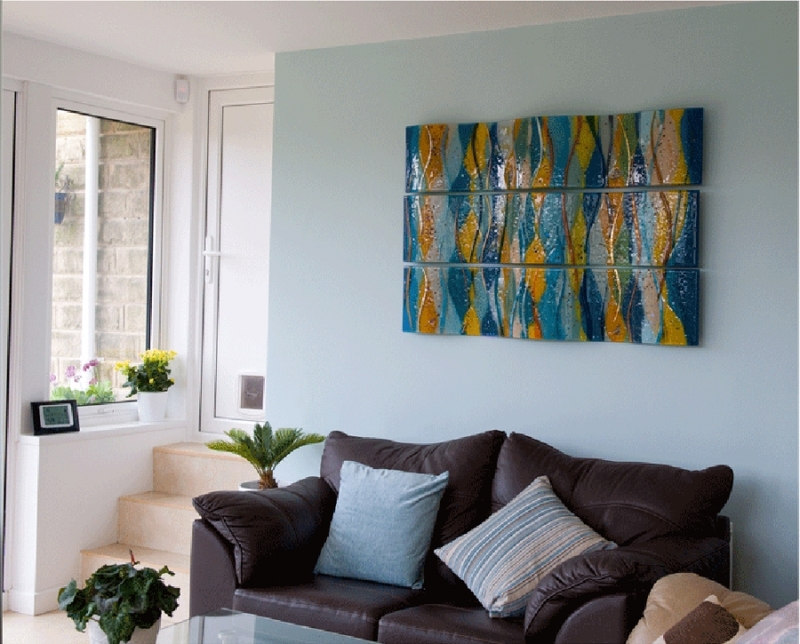 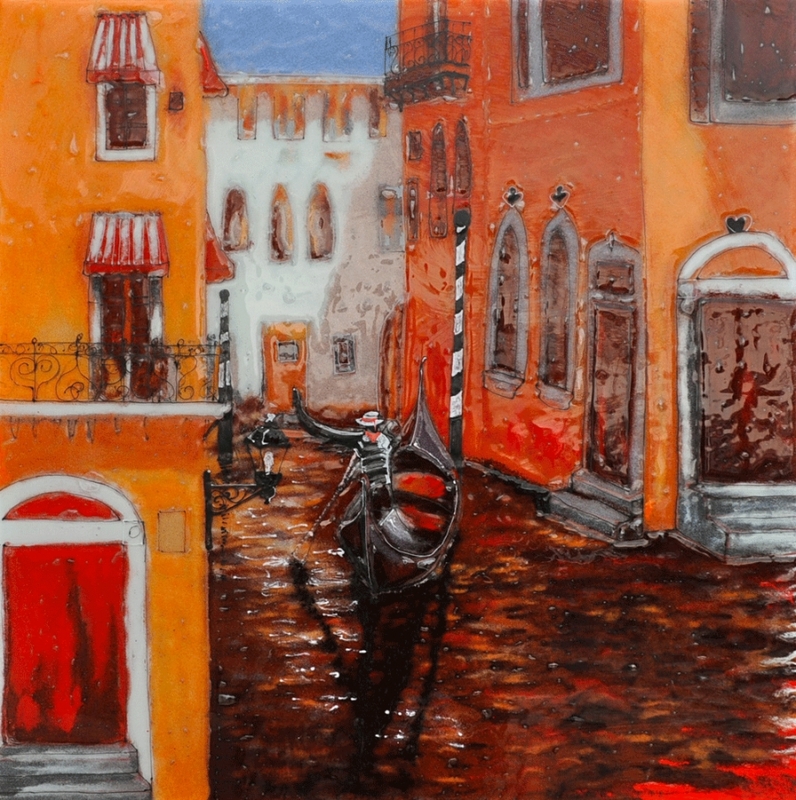 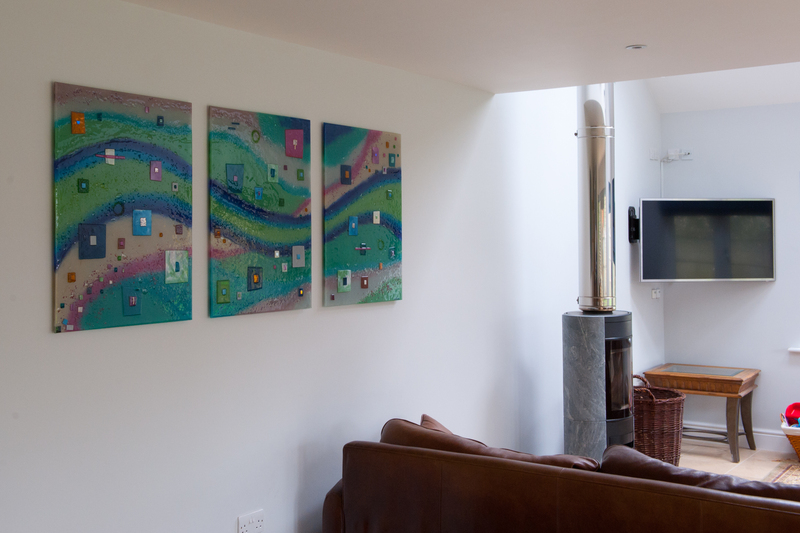 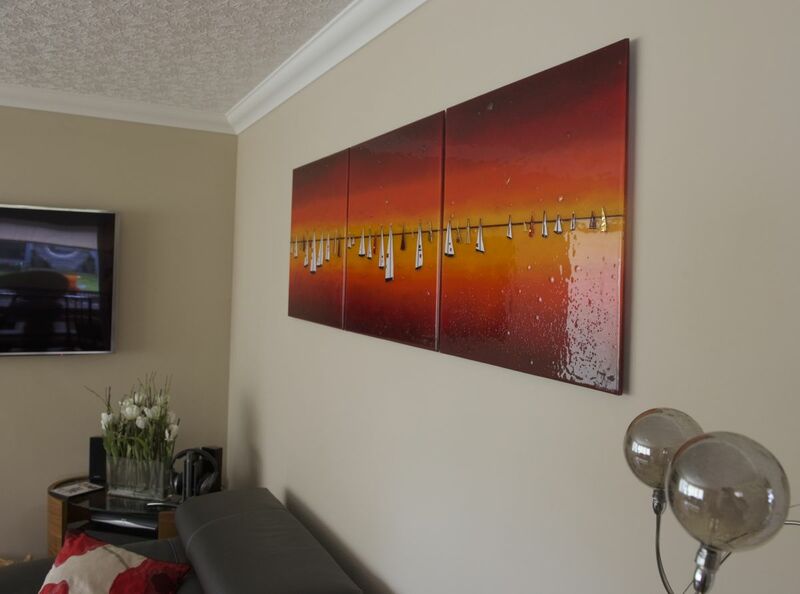 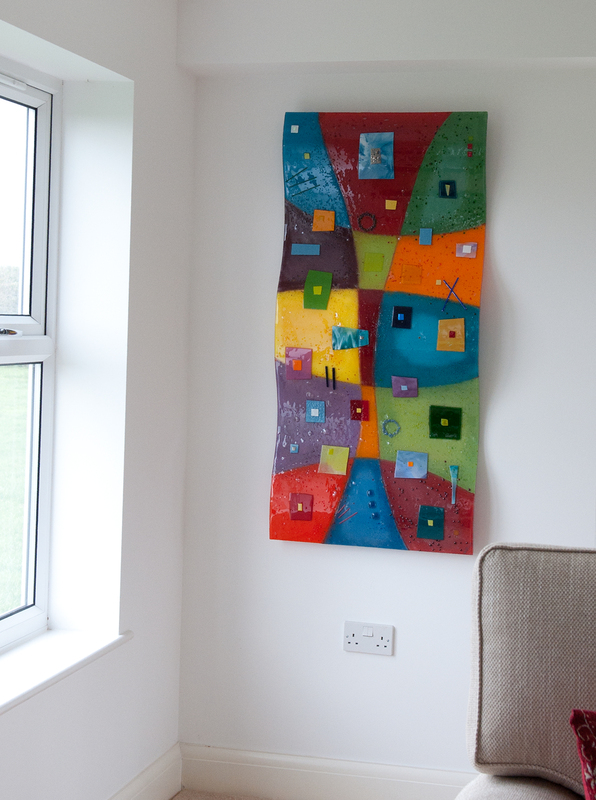 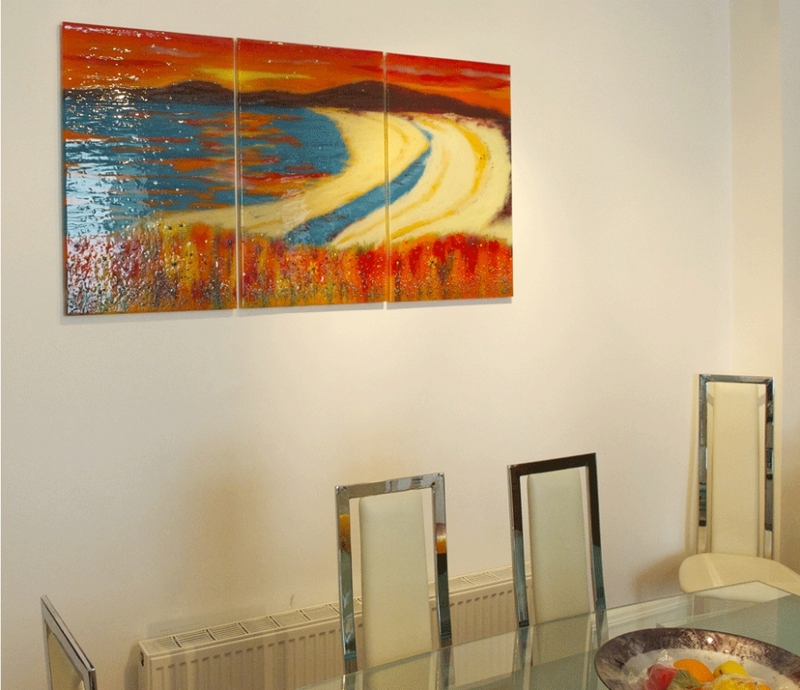 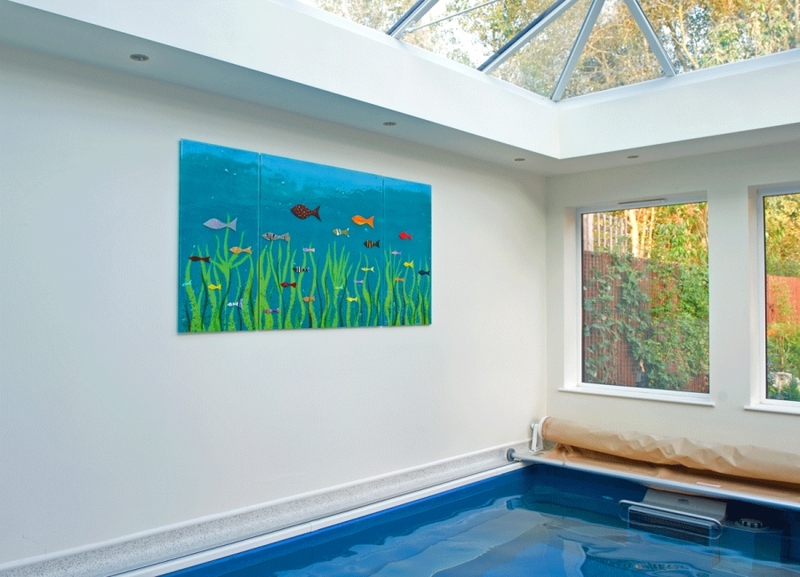 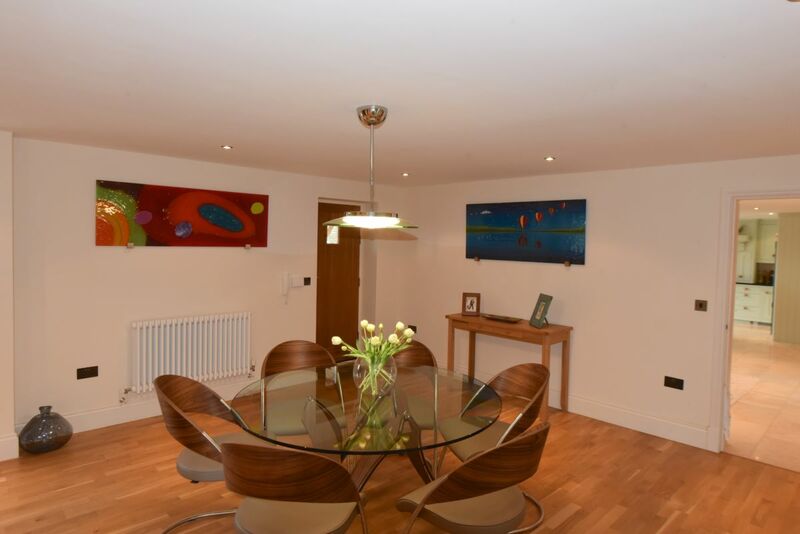 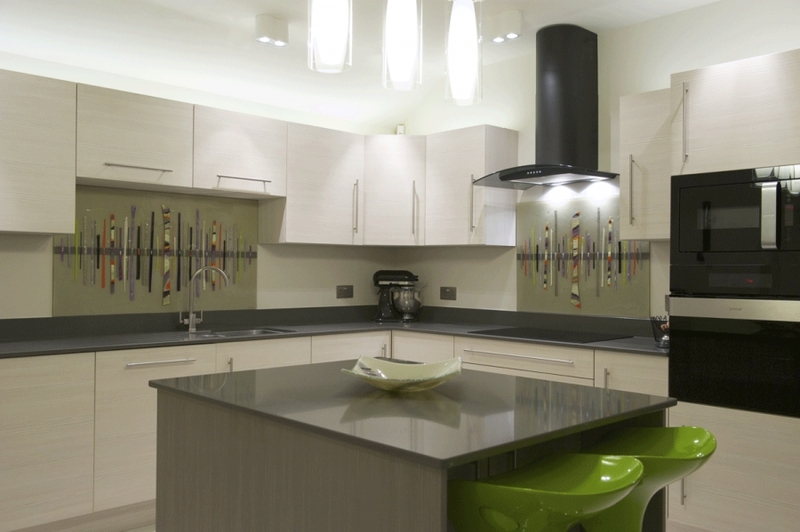 It almost looks like the splashback is being reflected!